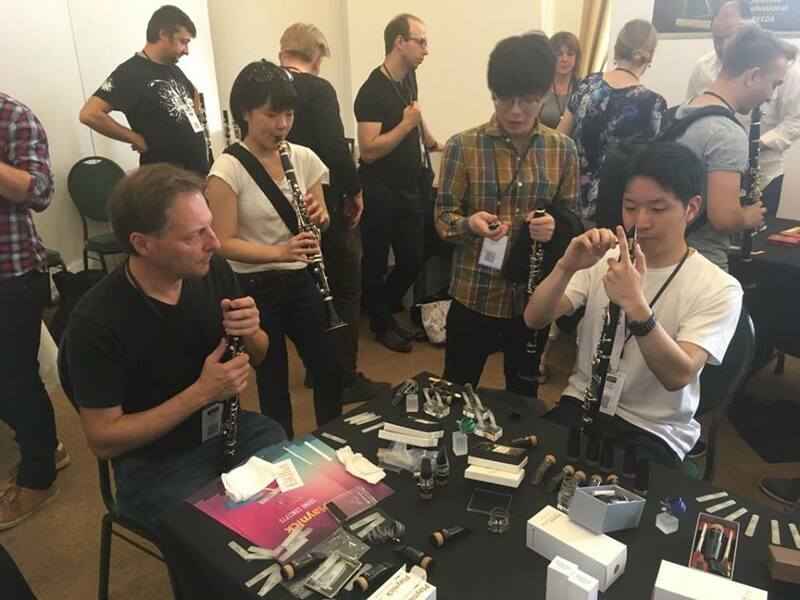 We enjoyed five-days clarinet feast. 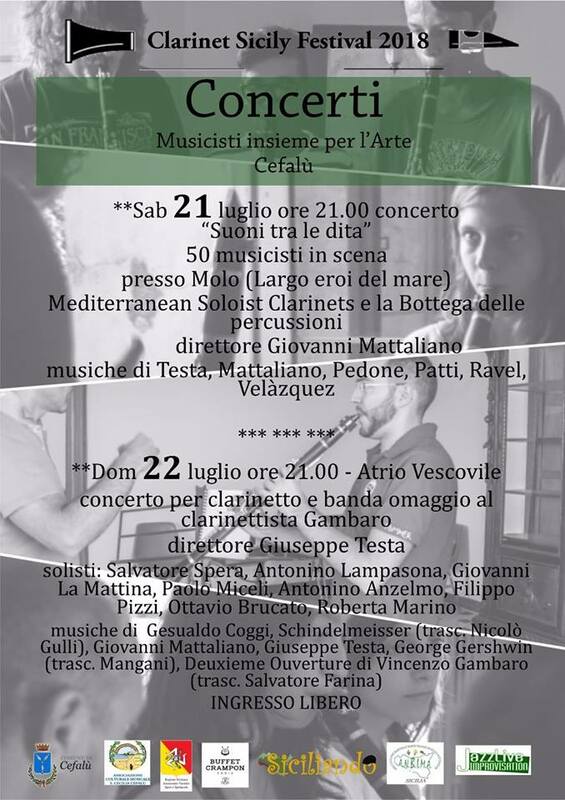 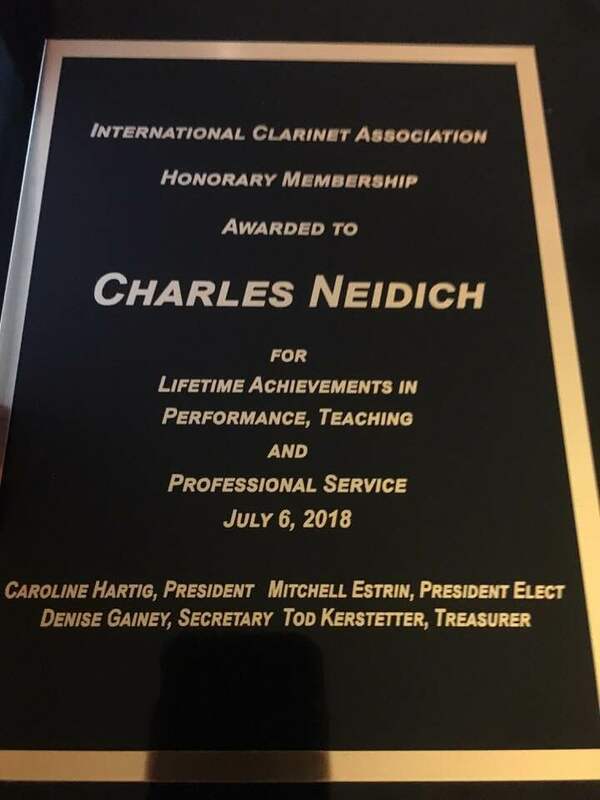 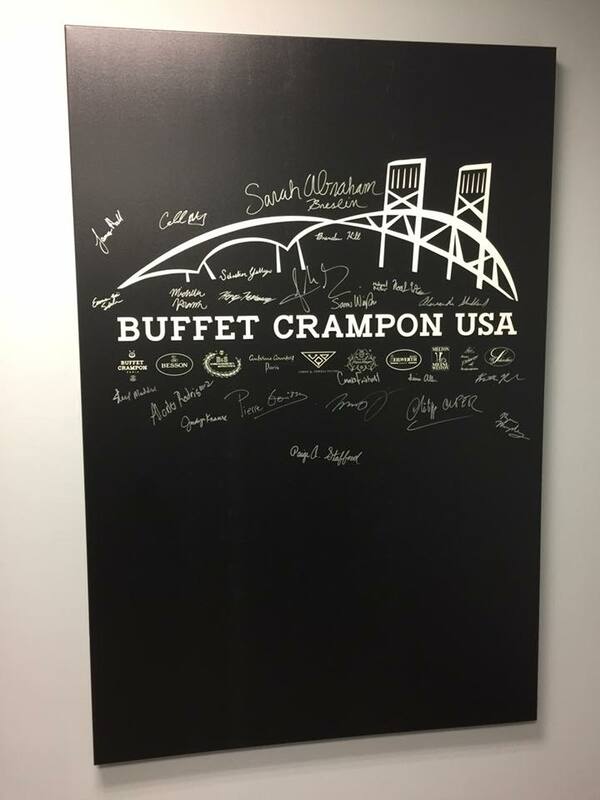 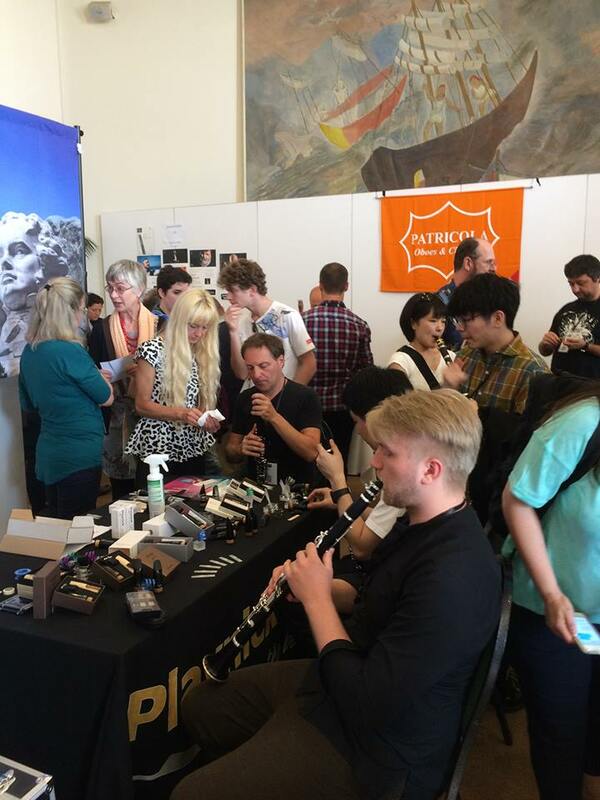 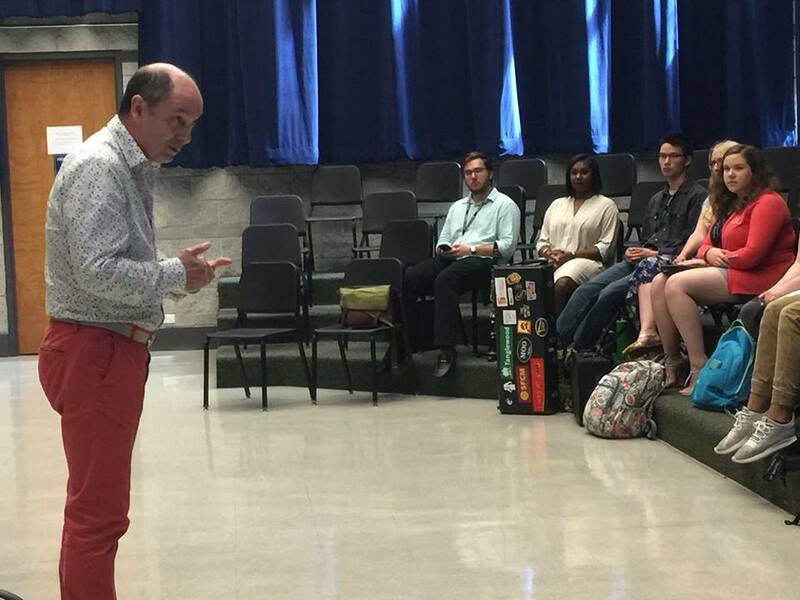 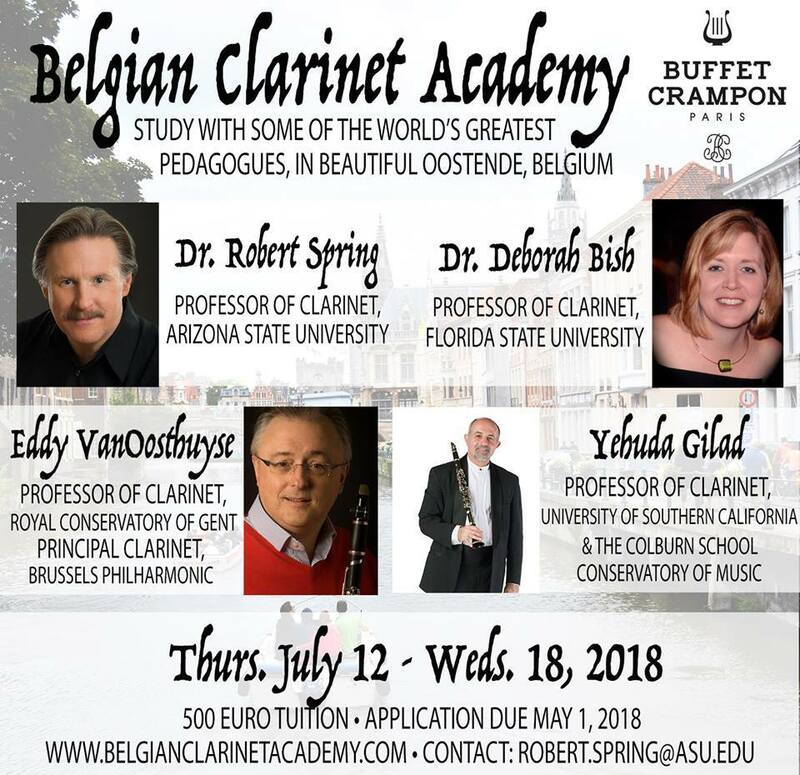 Thank International and domestic clarinetists and students. 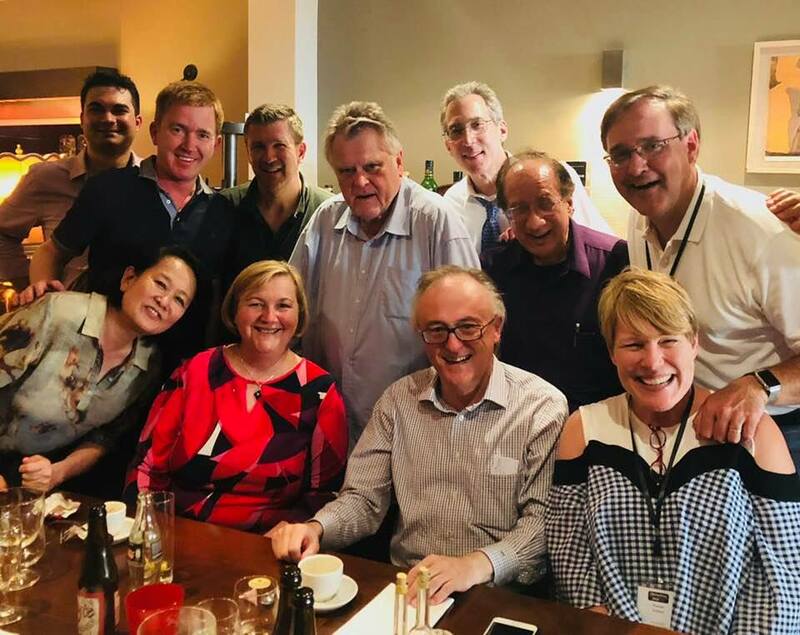 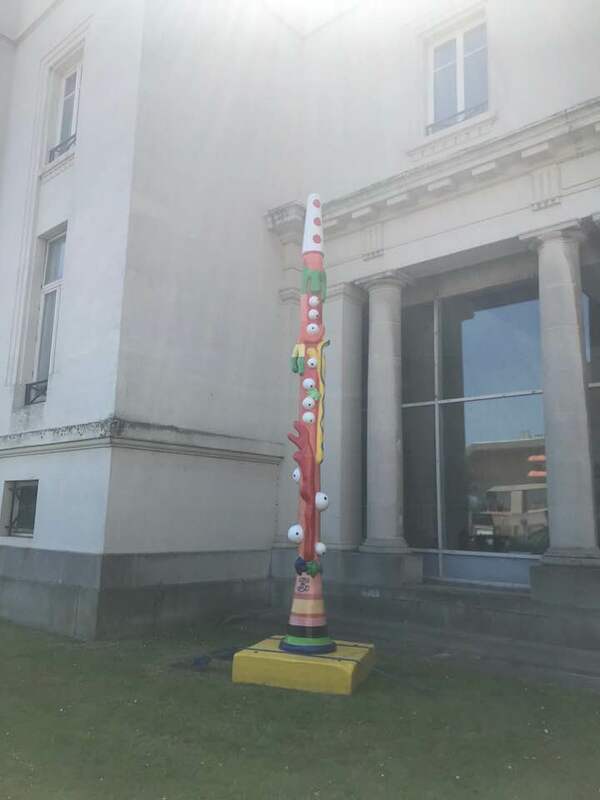 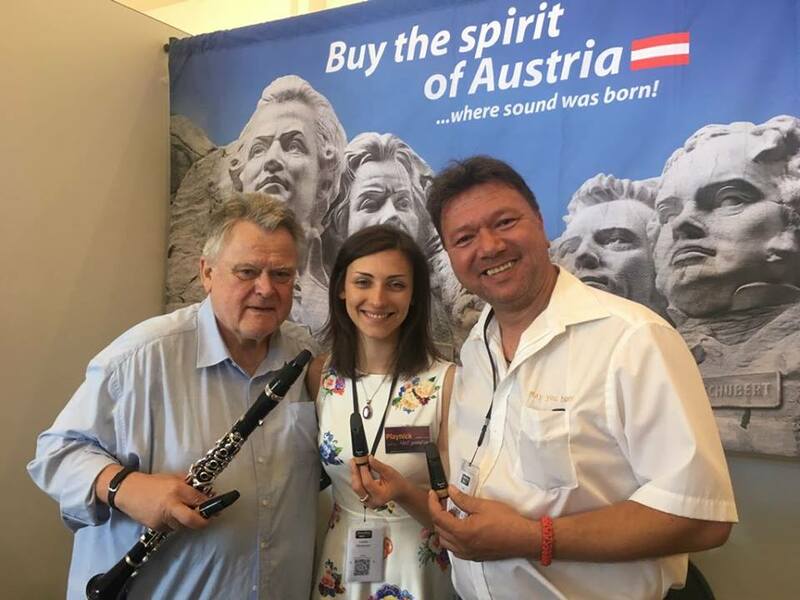 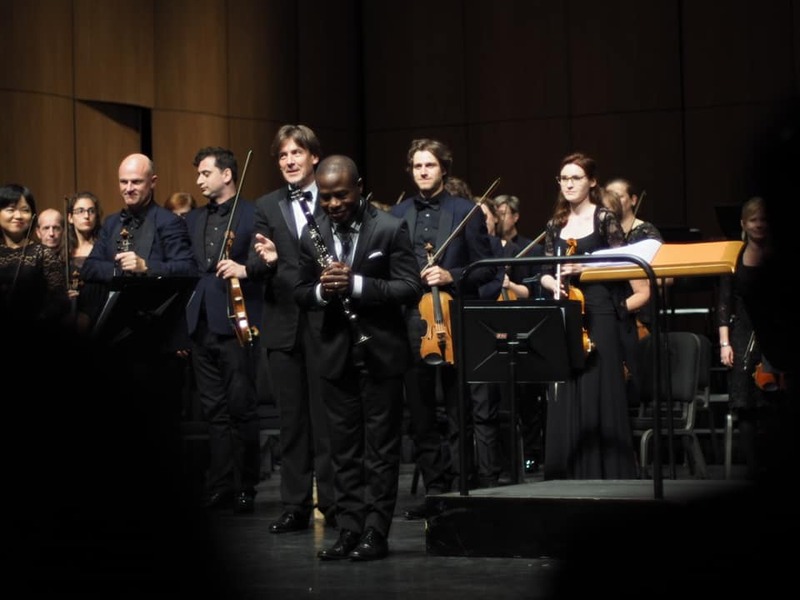 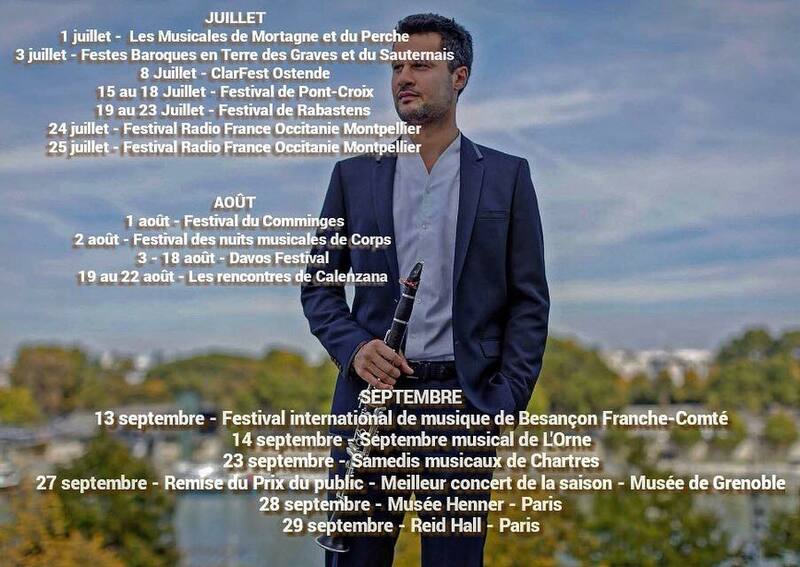 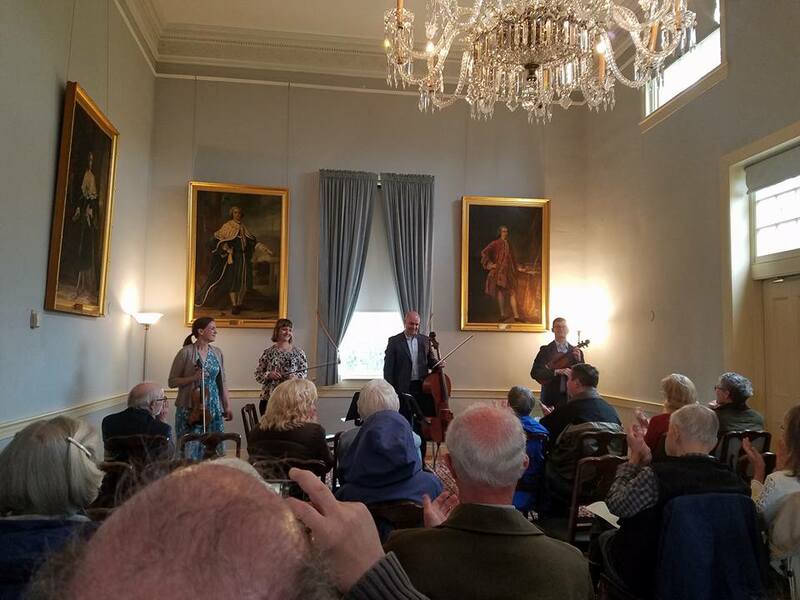 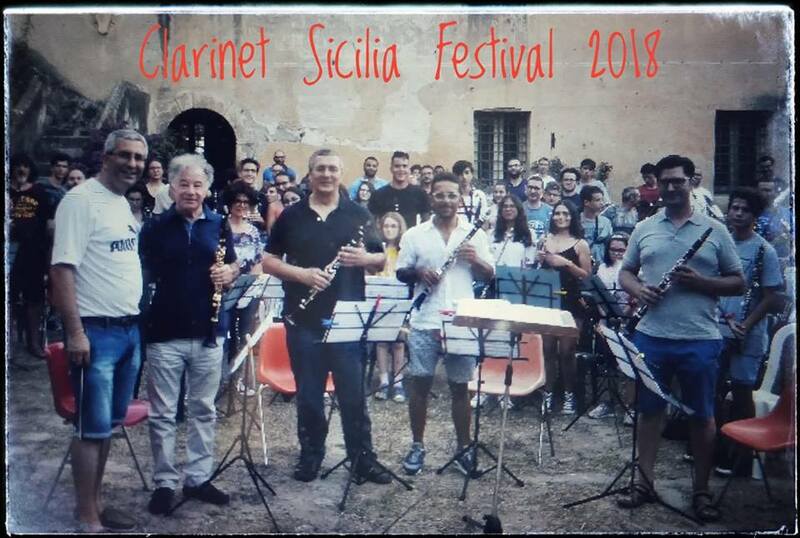 Each festival is an opportunity to close our relationship, deepen our friendship and trust, exchange clarinet playing experience and virtuosity, cross region, border and culture, everyone here is equal. 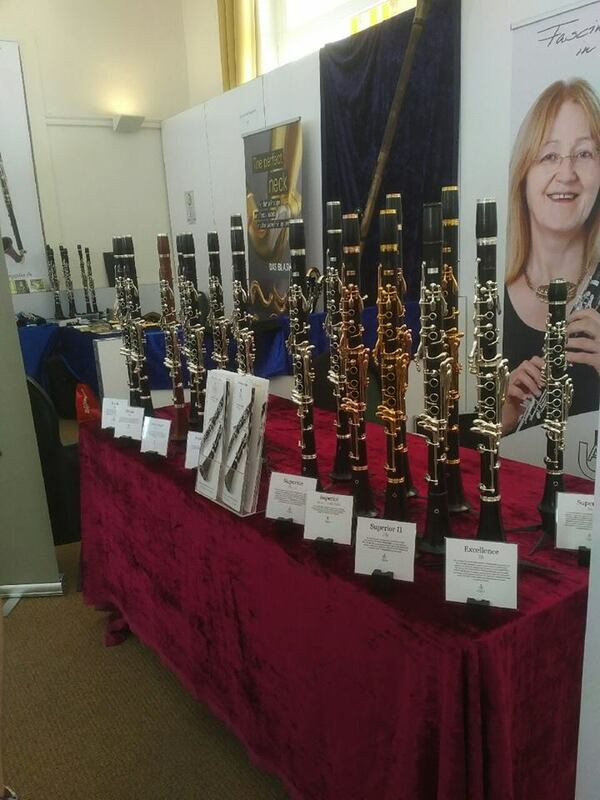 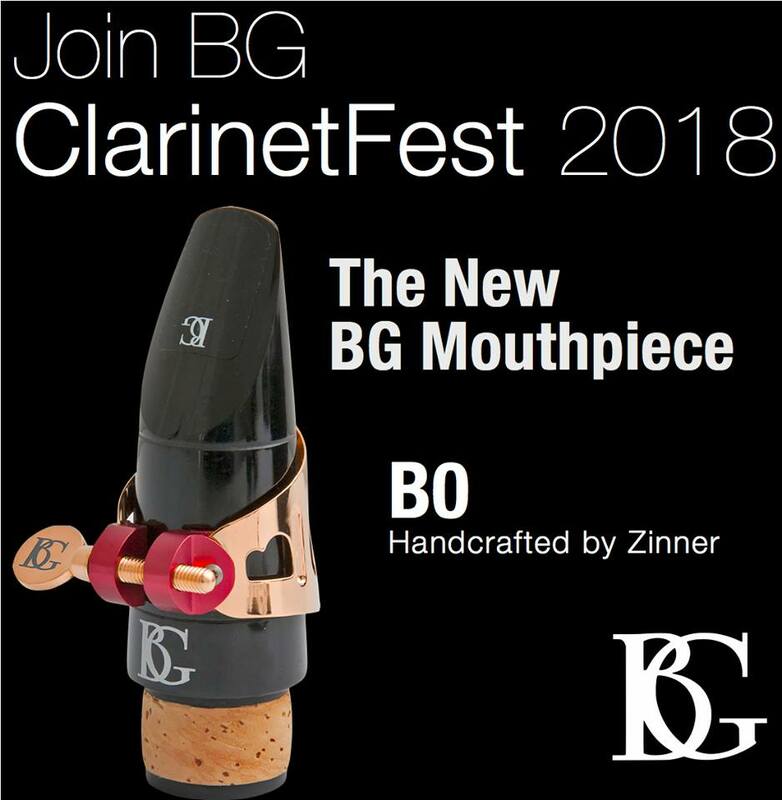 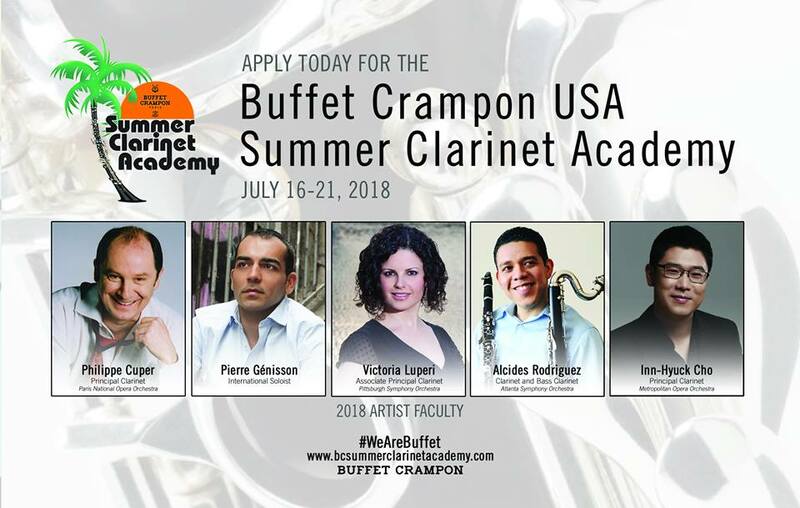 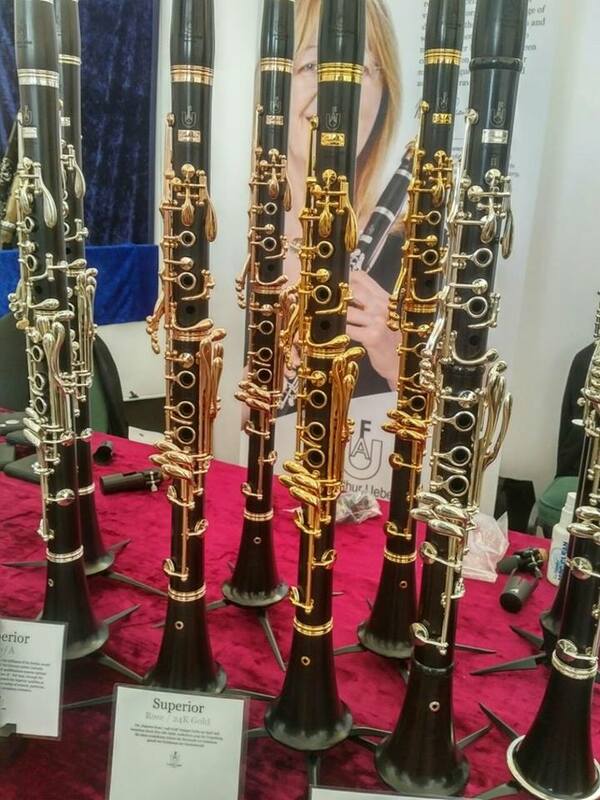 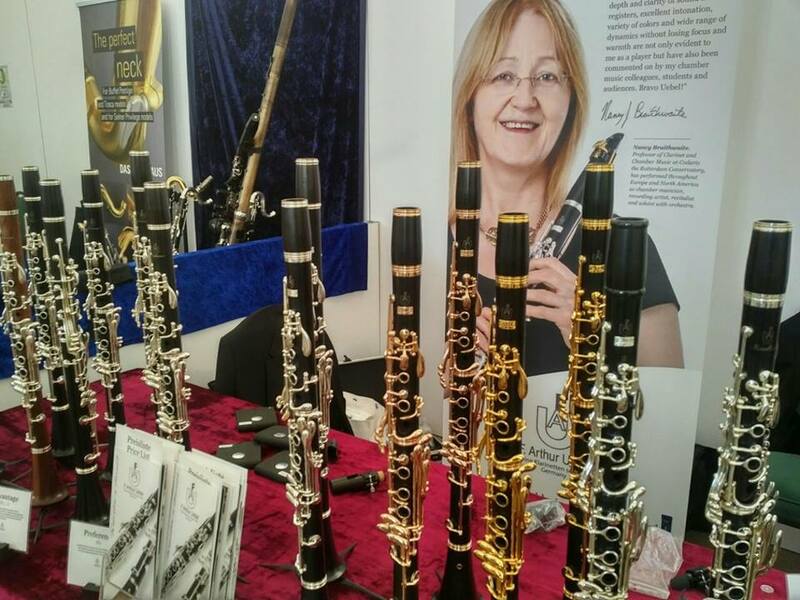 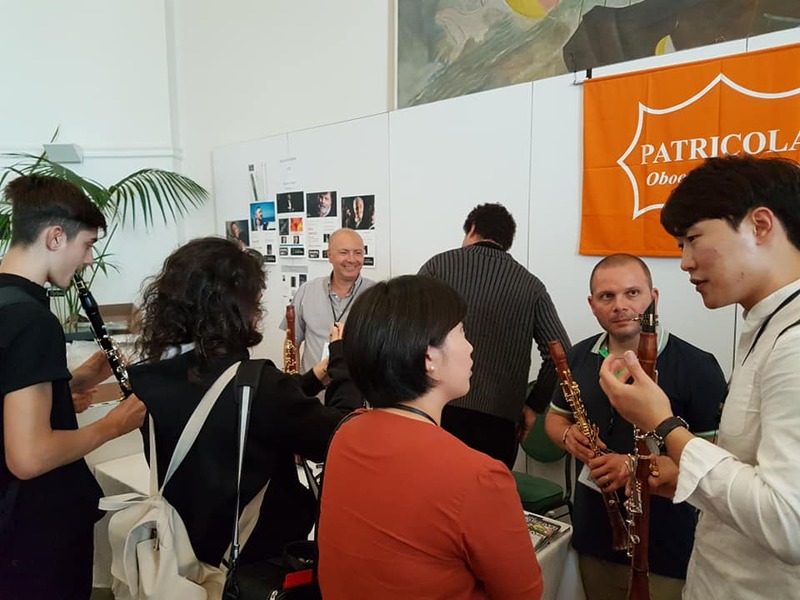 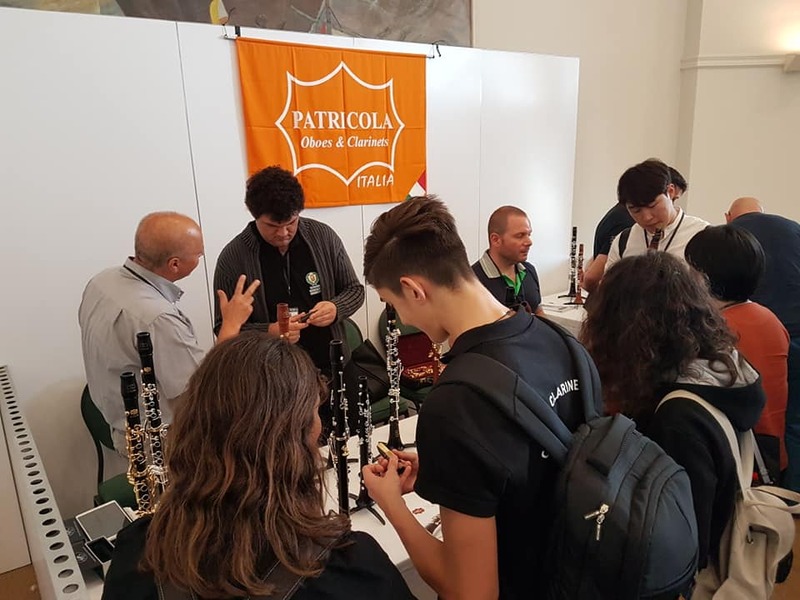 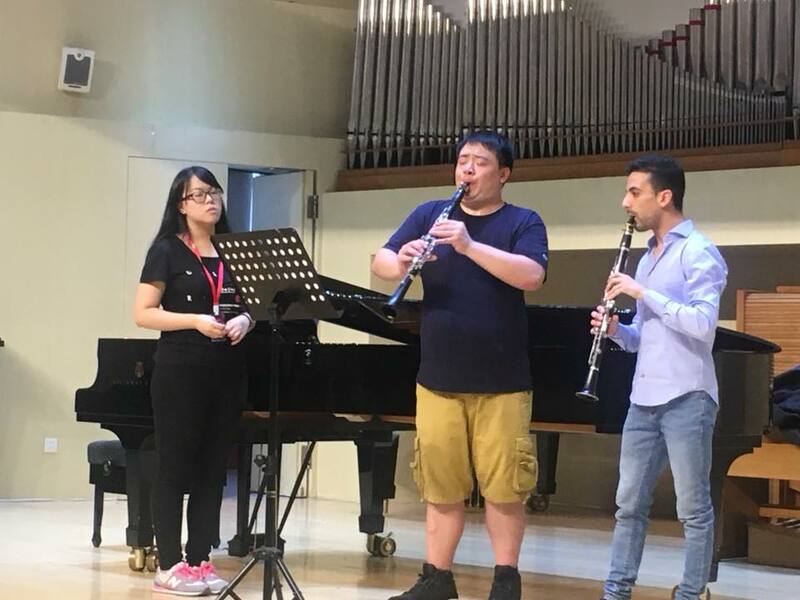 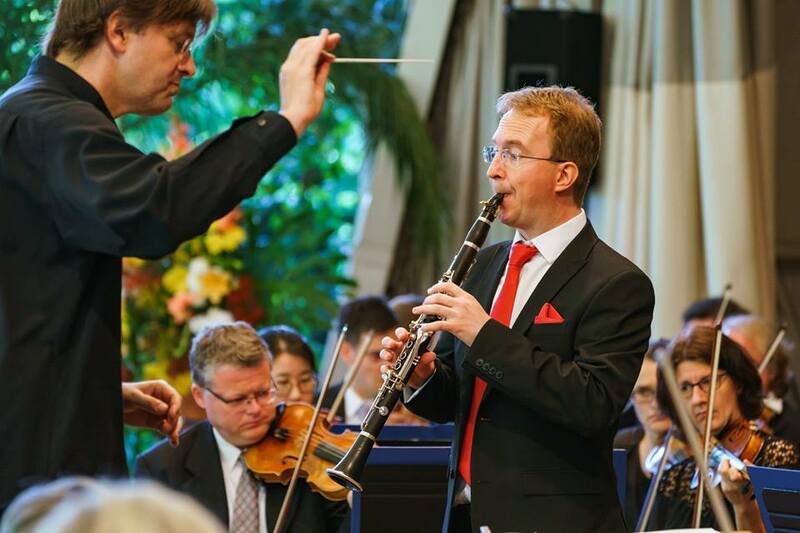 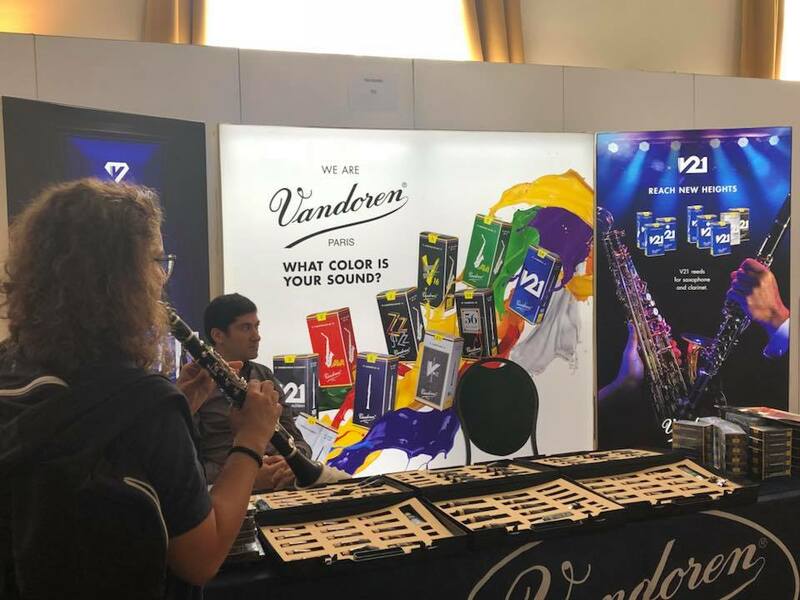 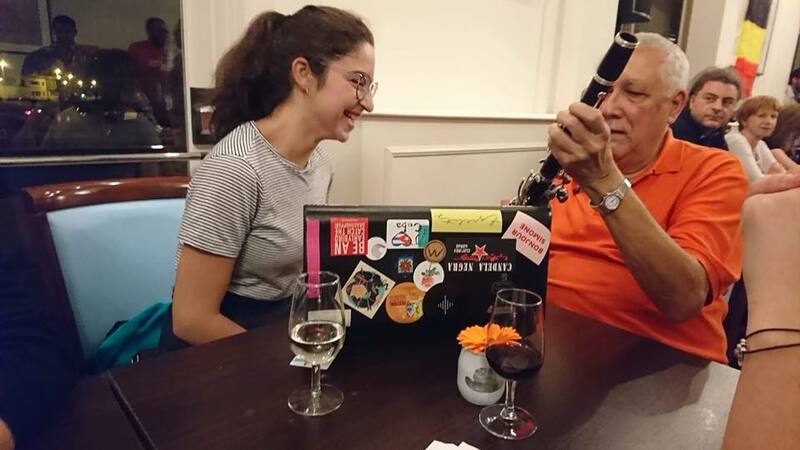 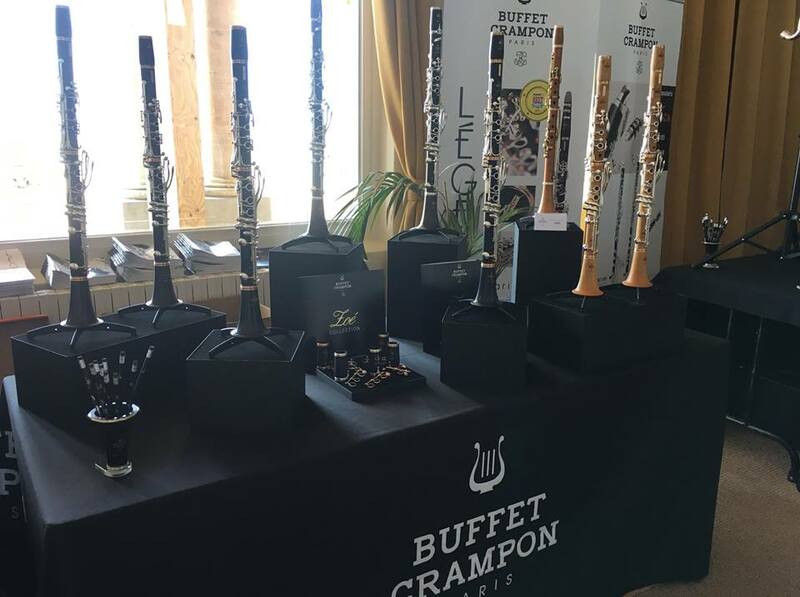 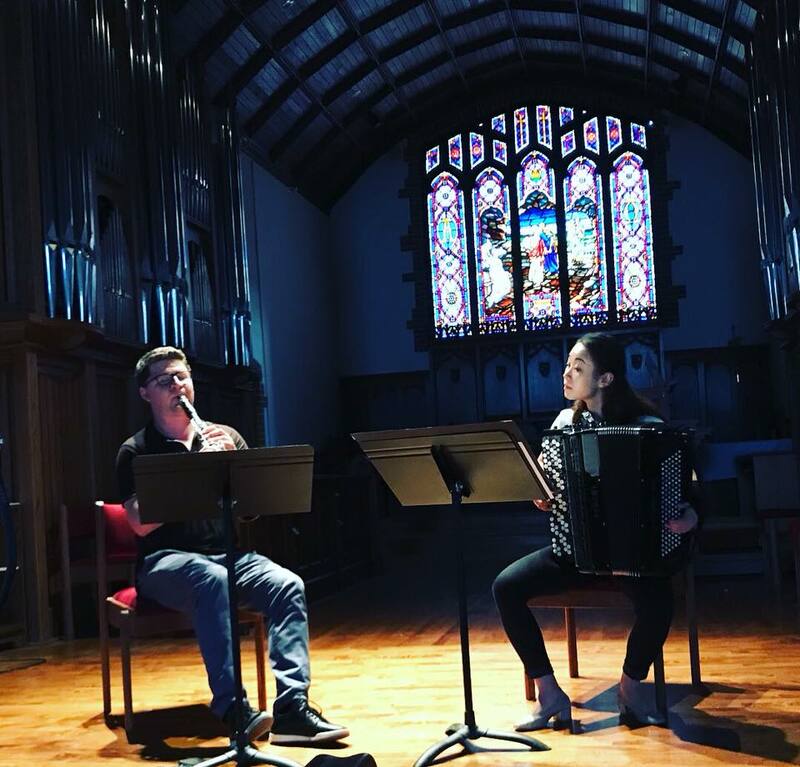 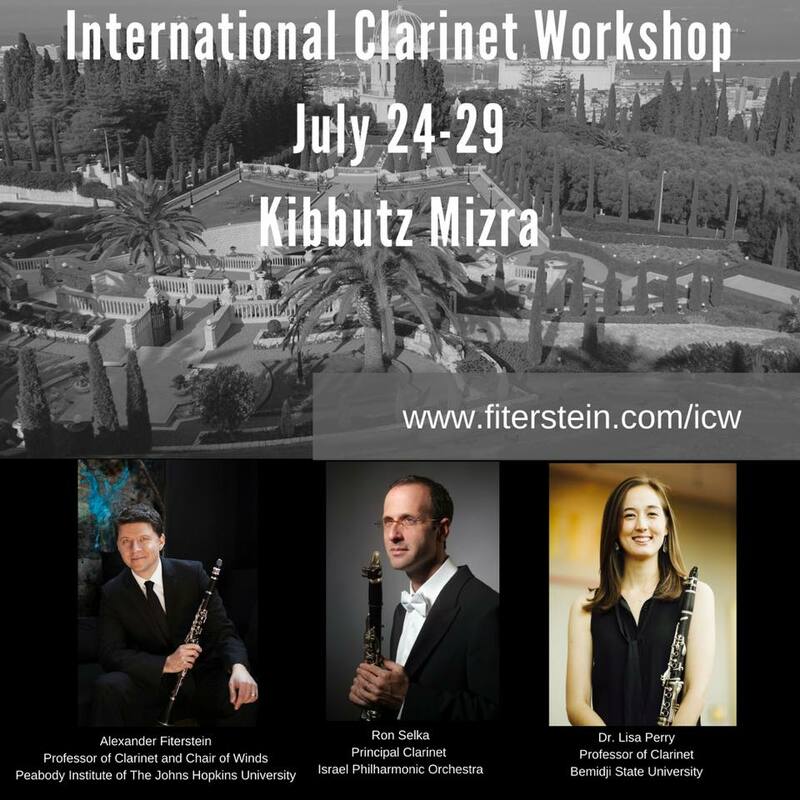 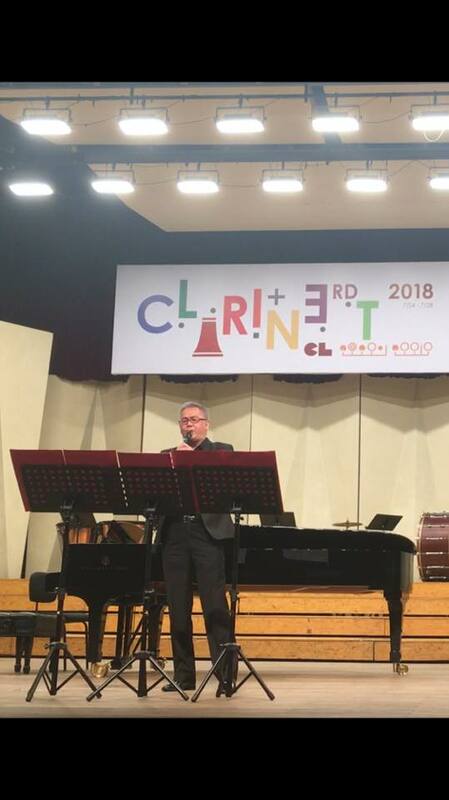 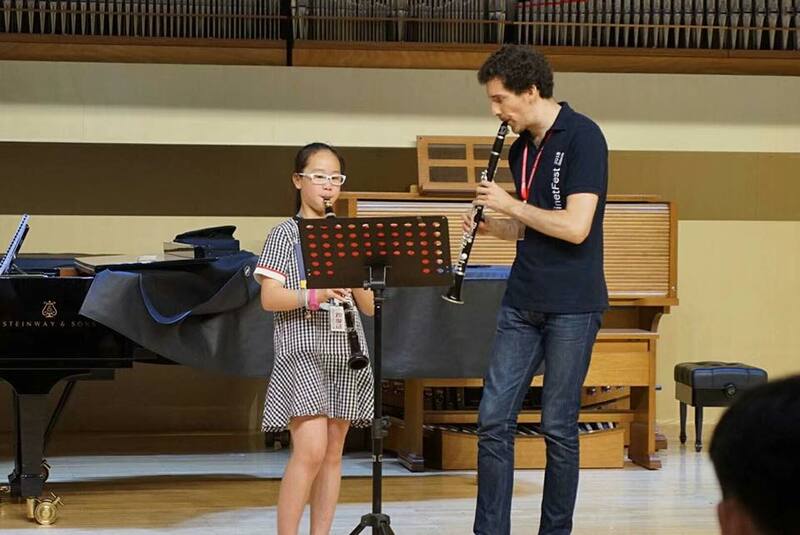 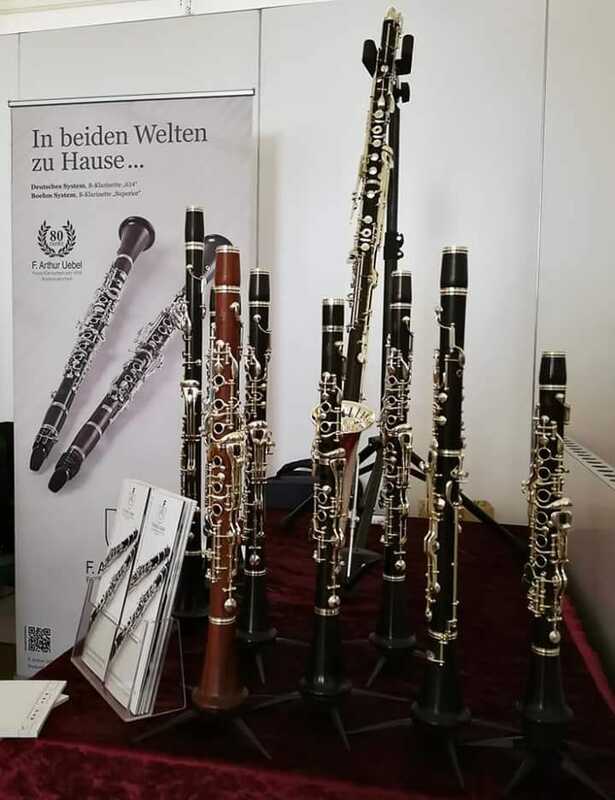 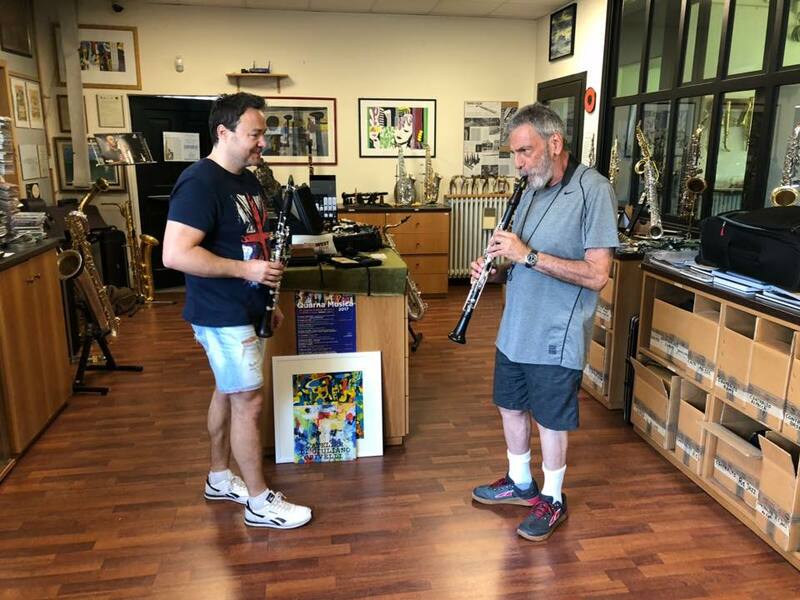 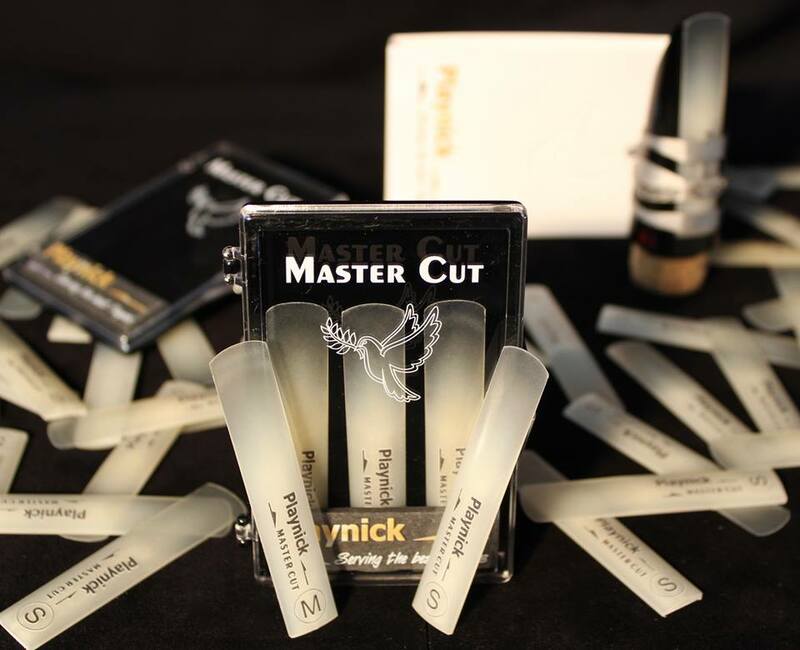 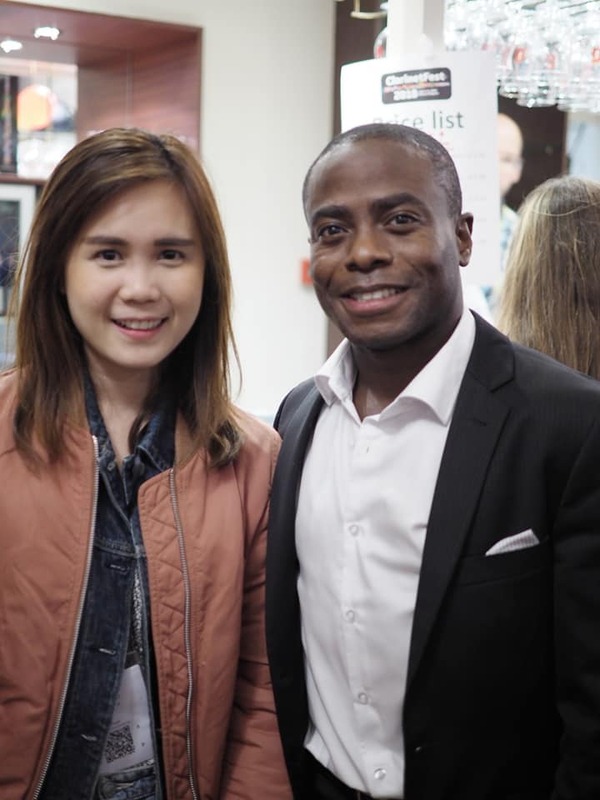 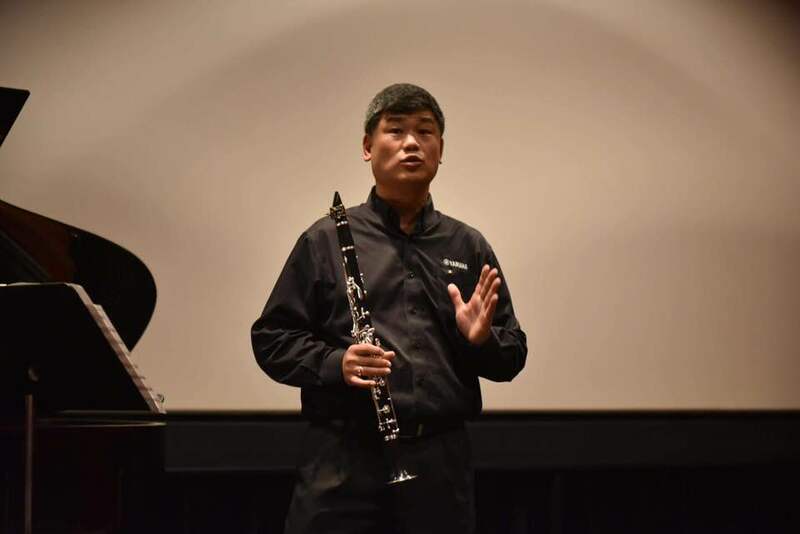 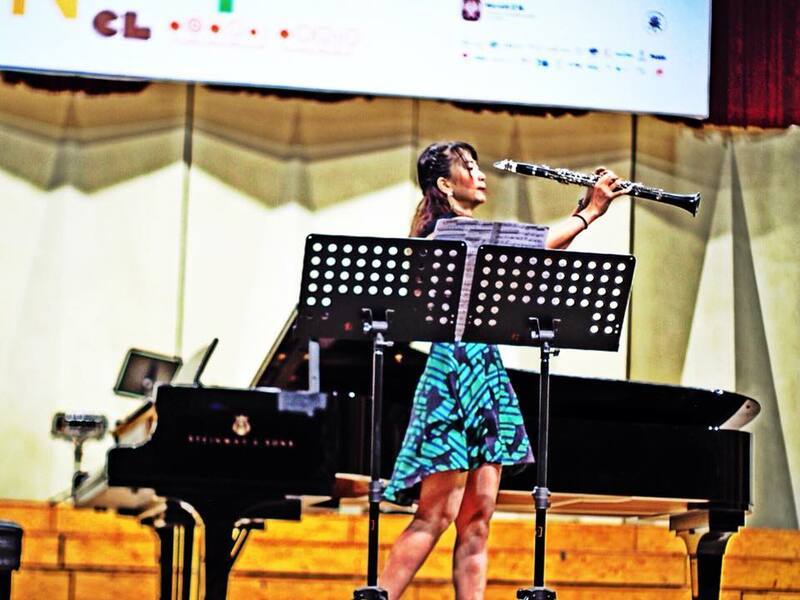 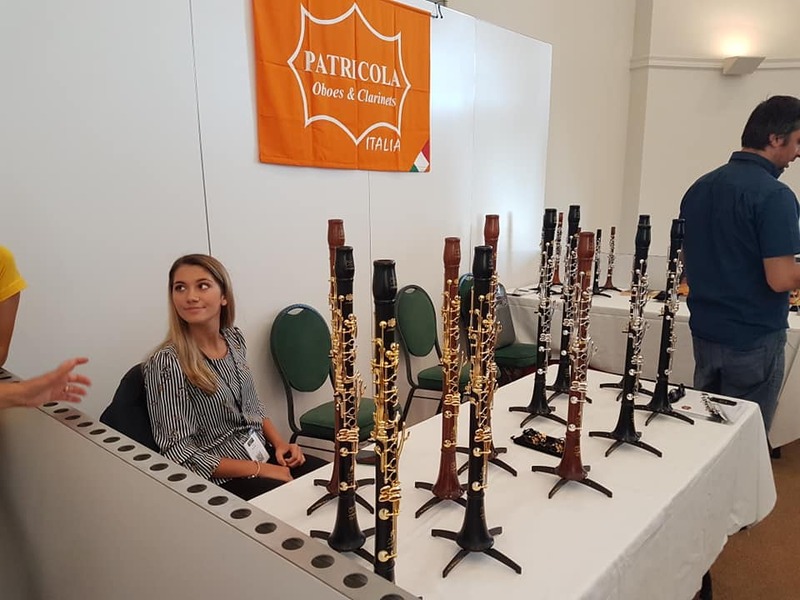 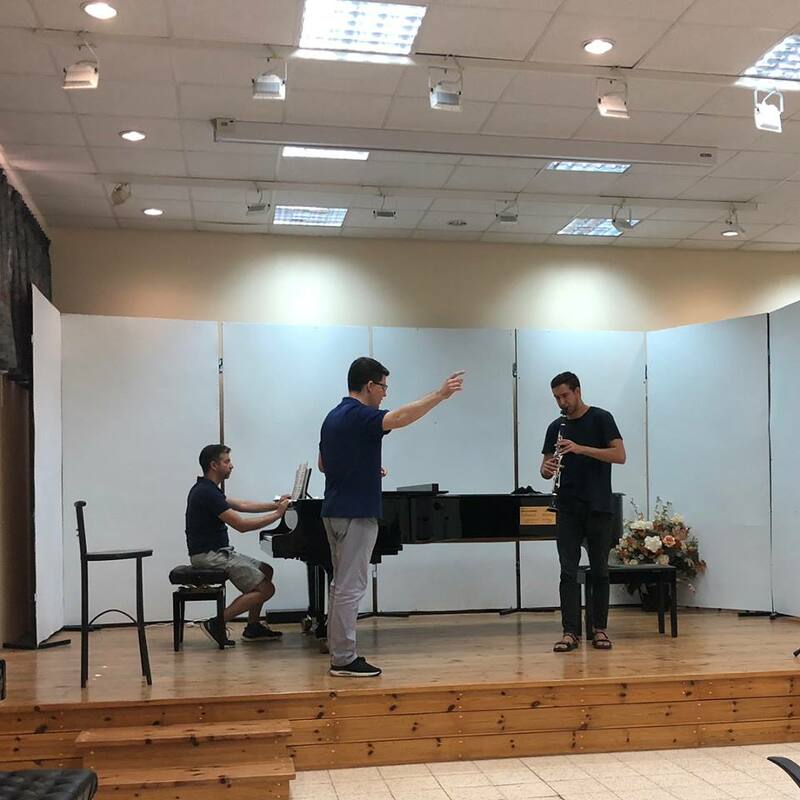 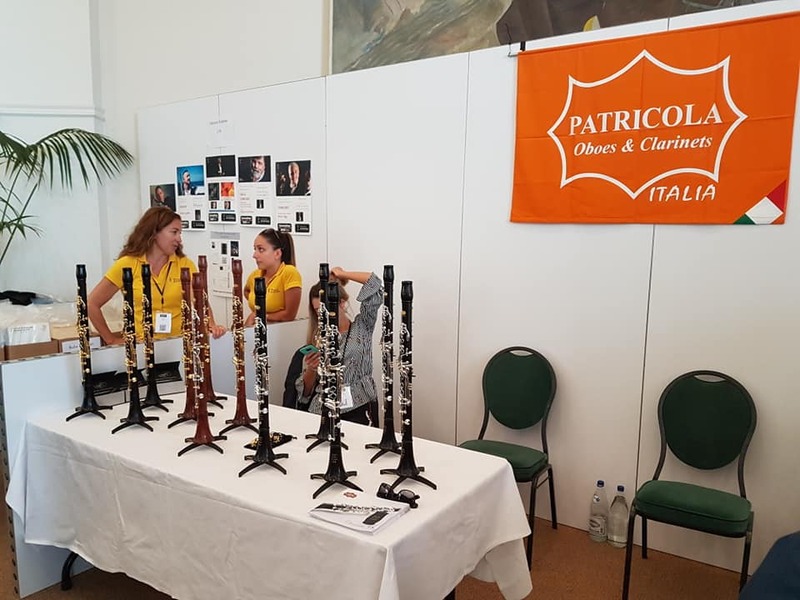 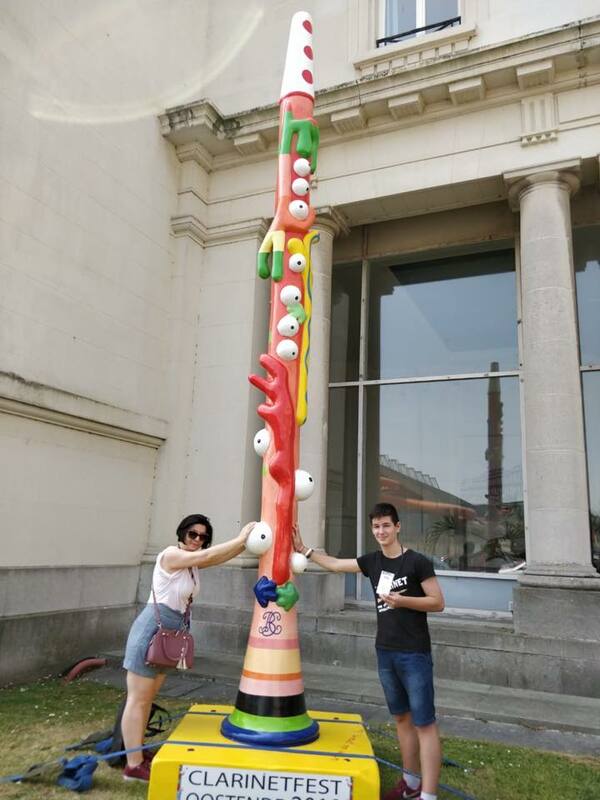 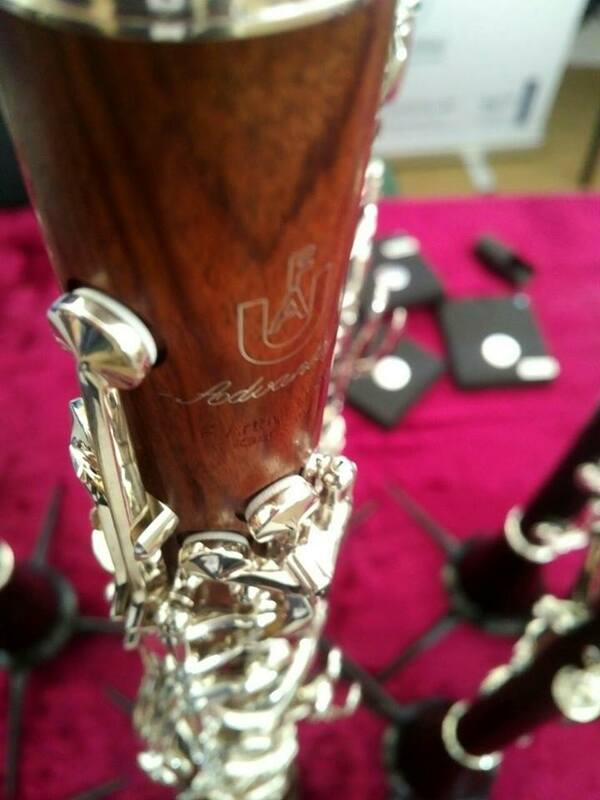 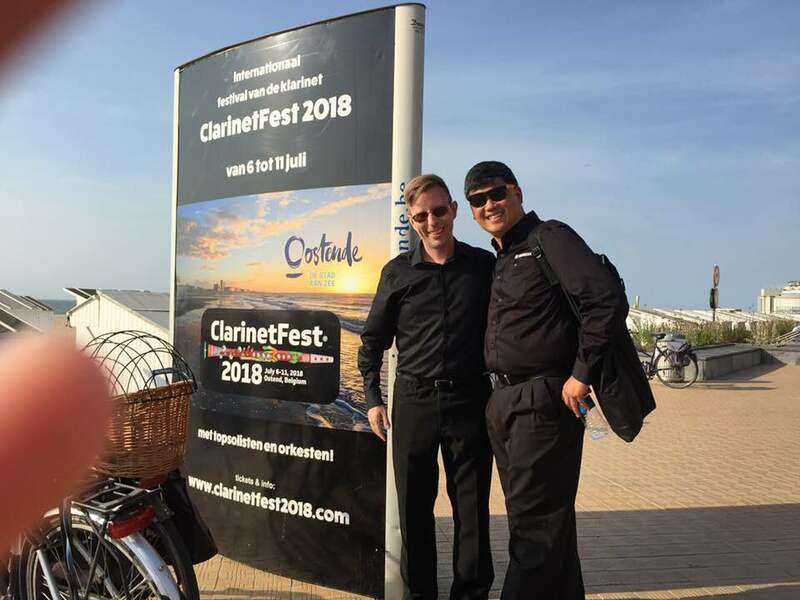 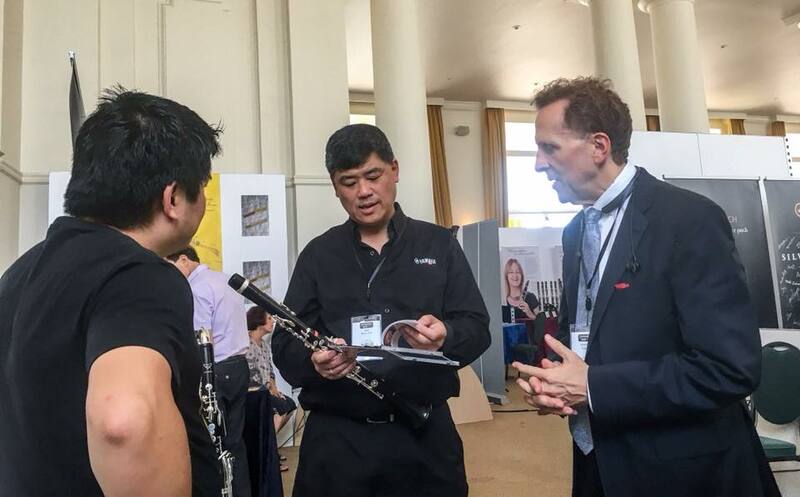 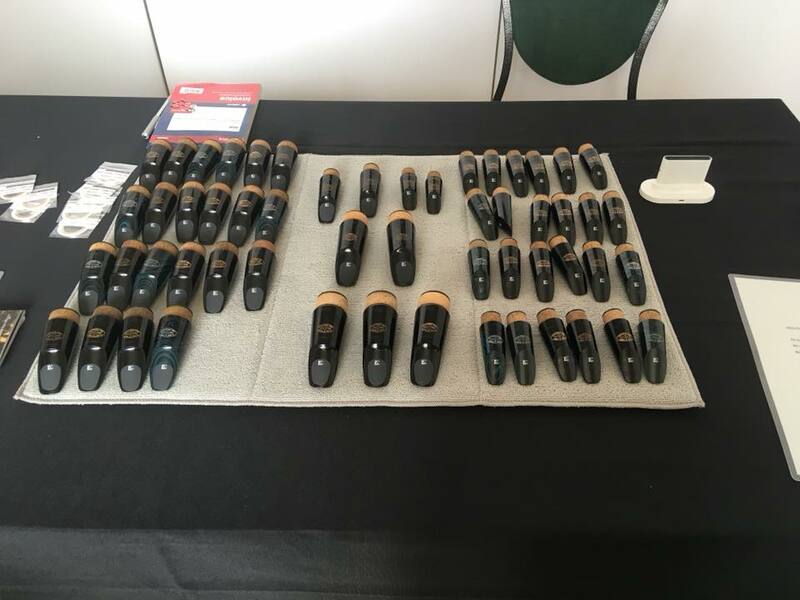 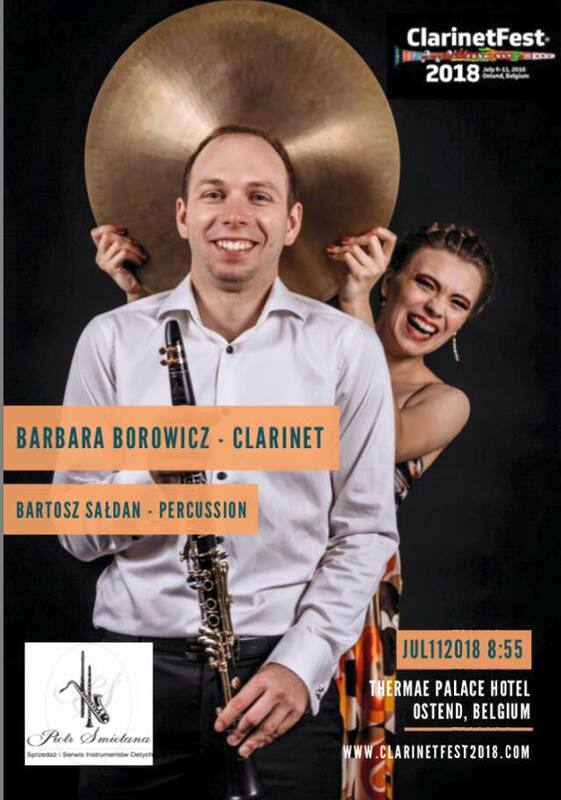 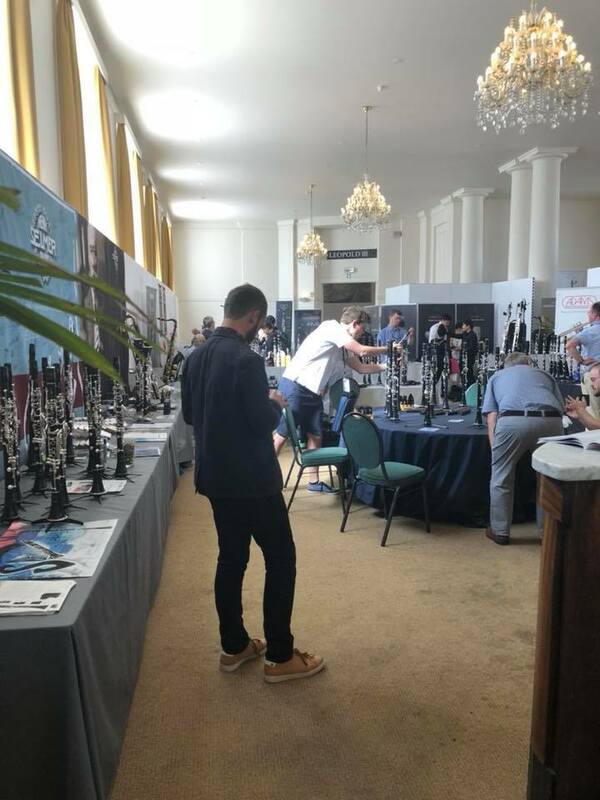 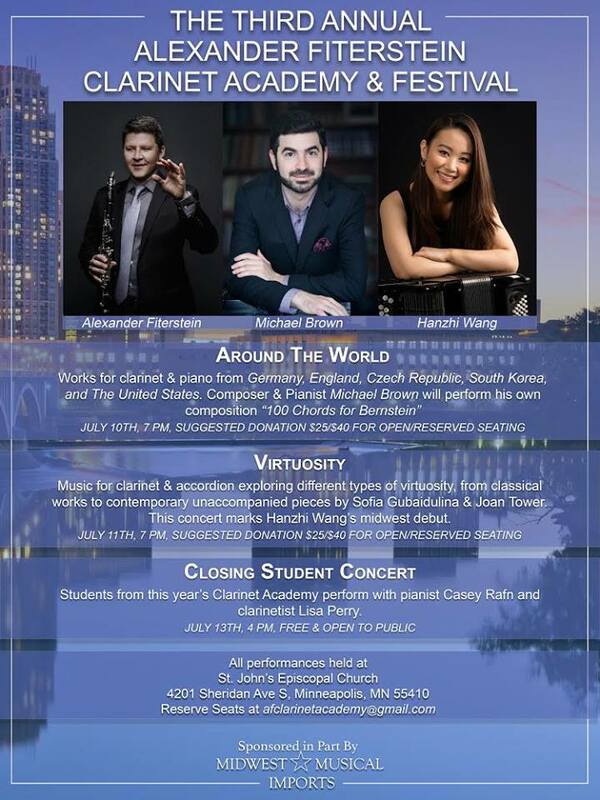 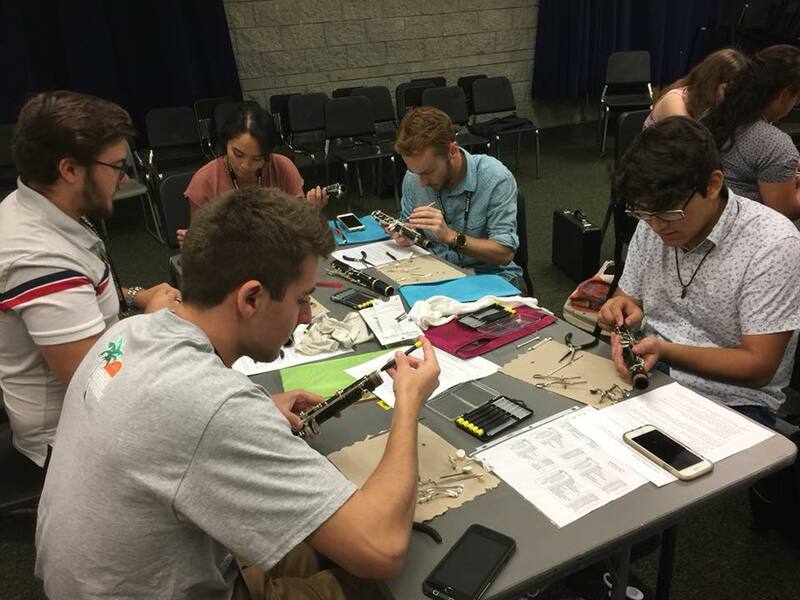 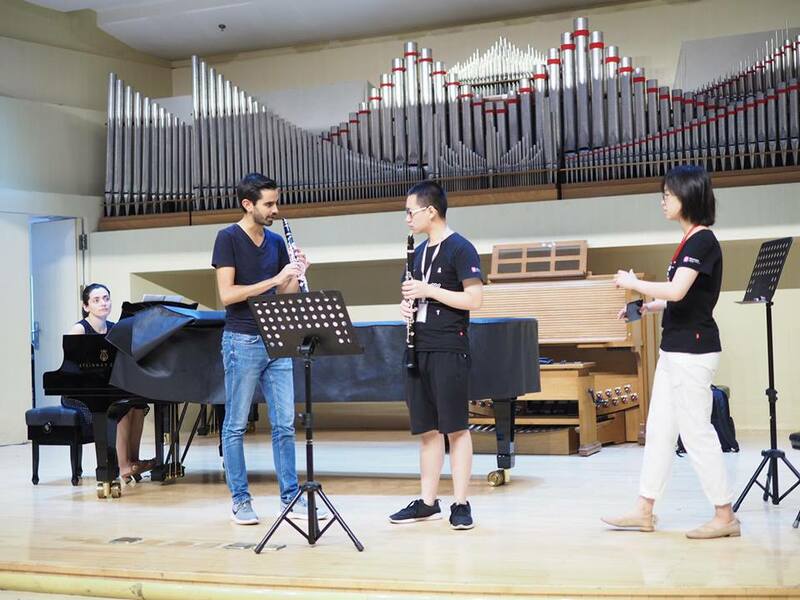 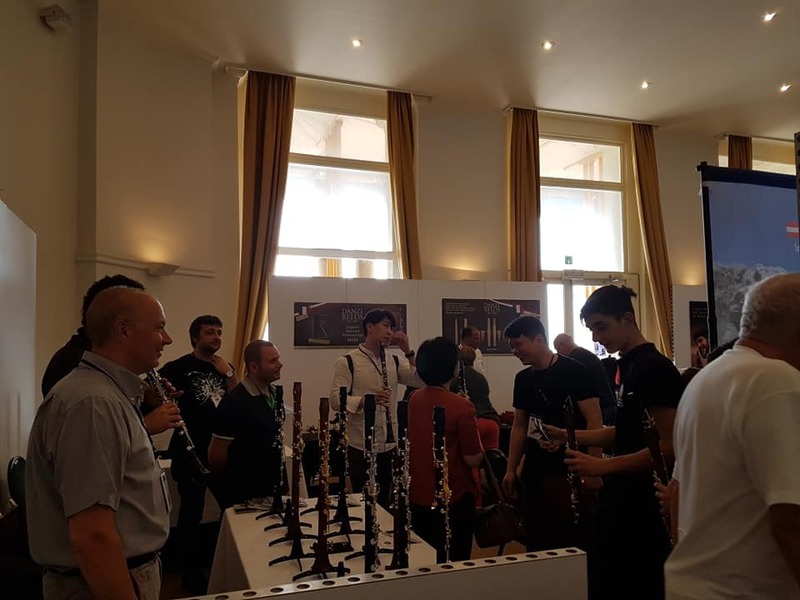 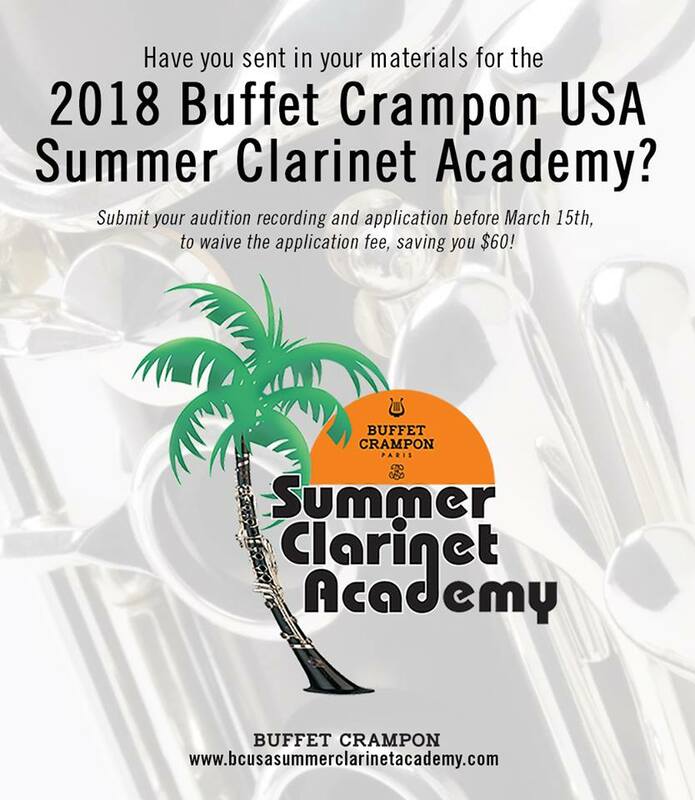 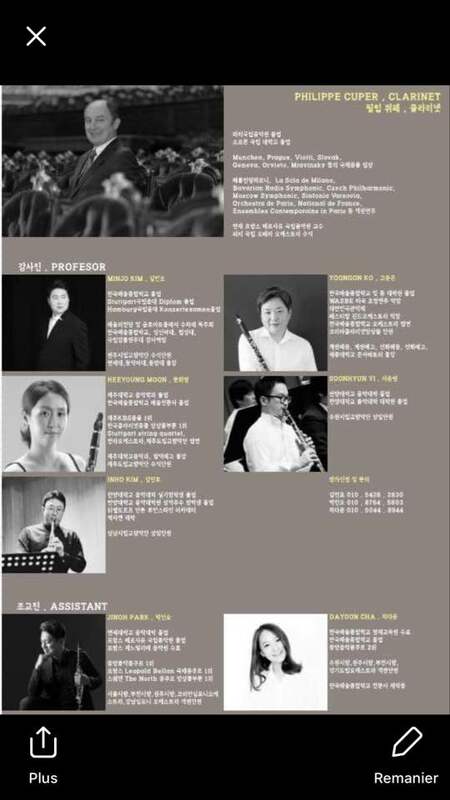 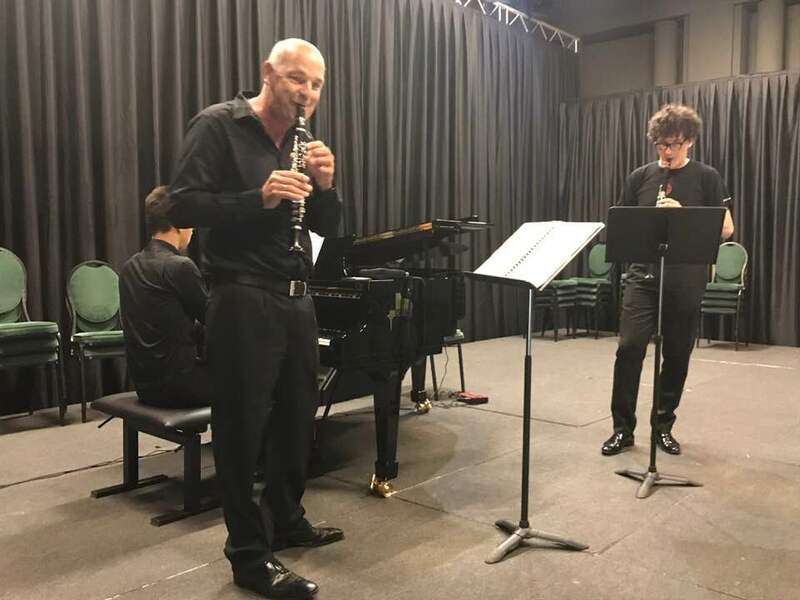 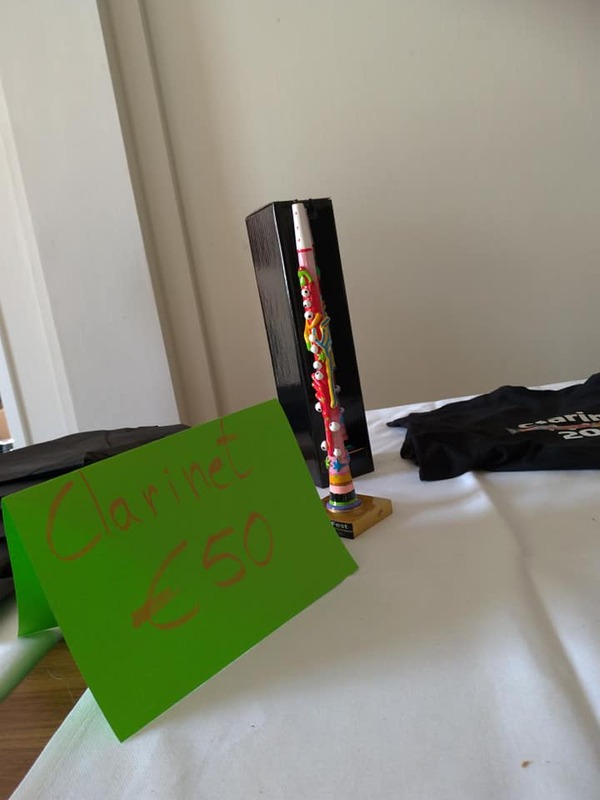 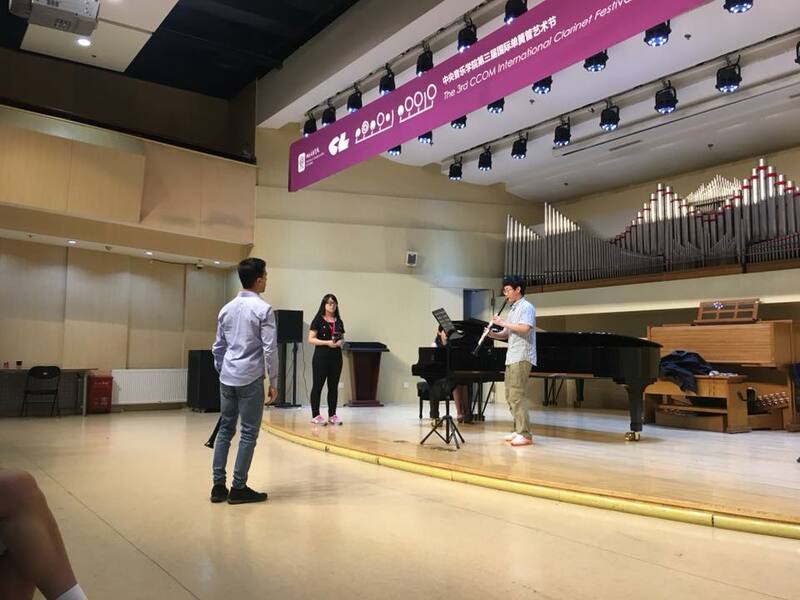 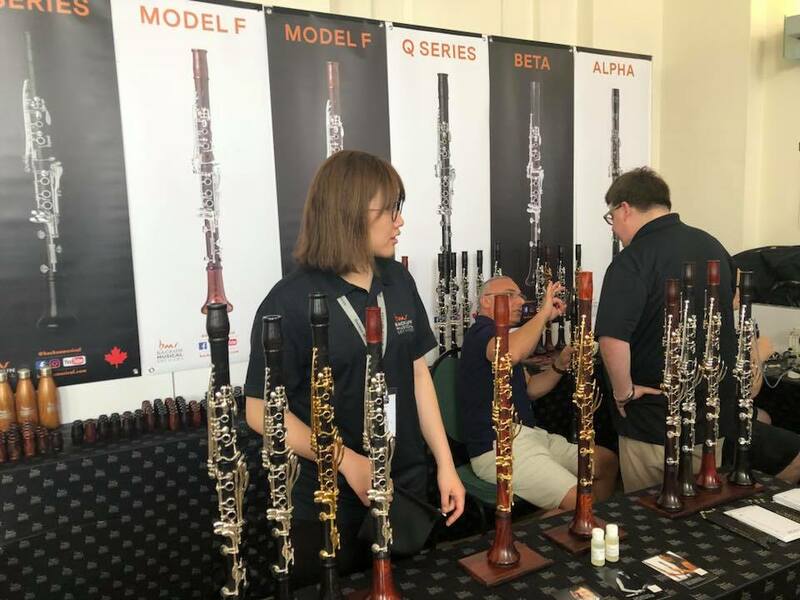 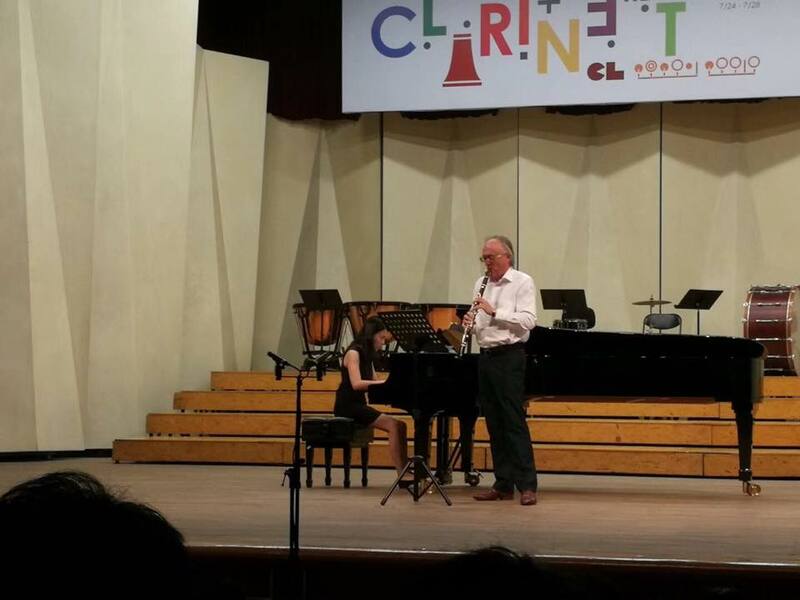 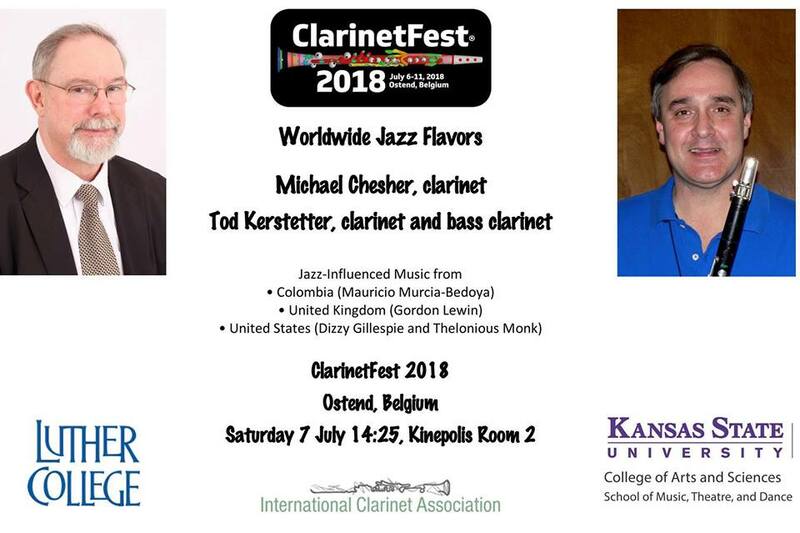 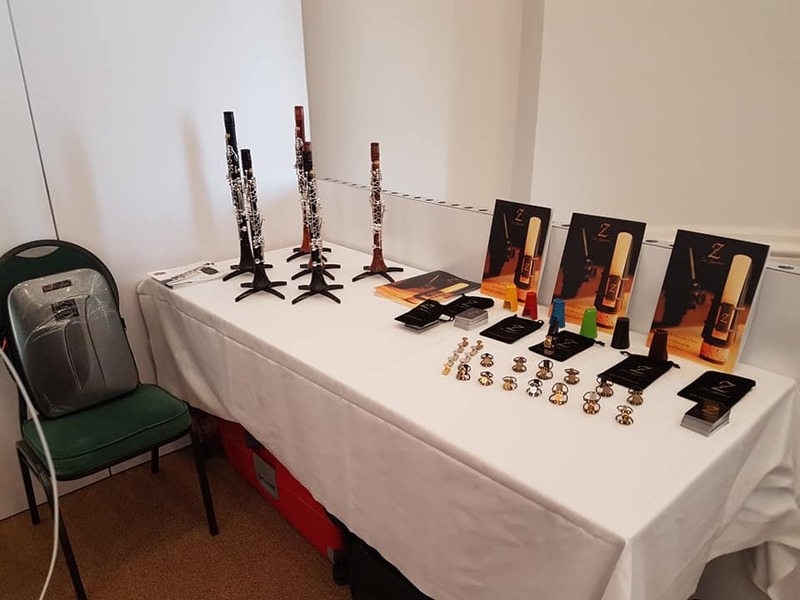 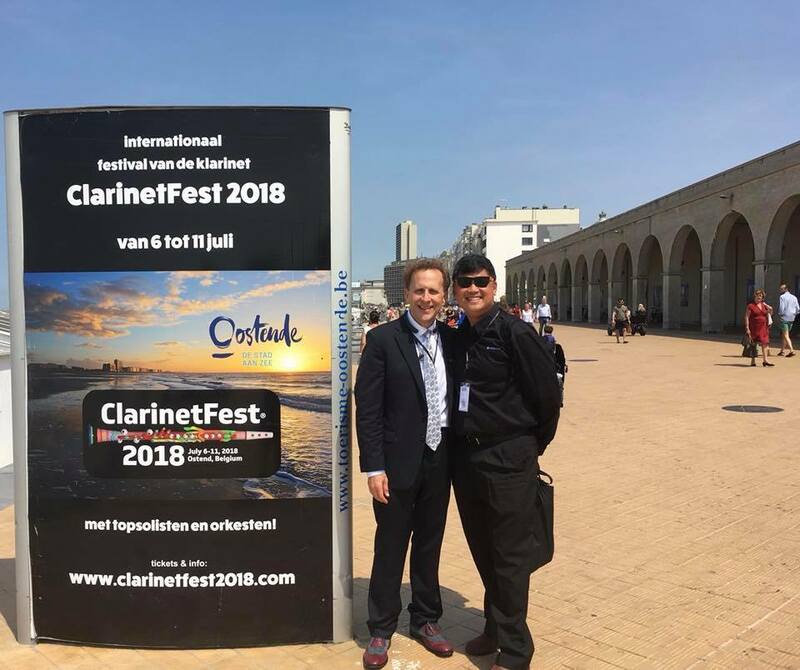 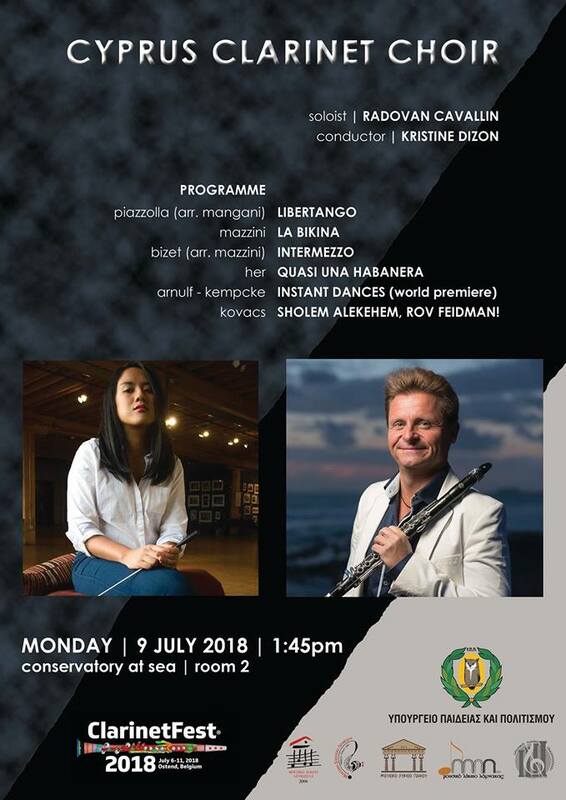 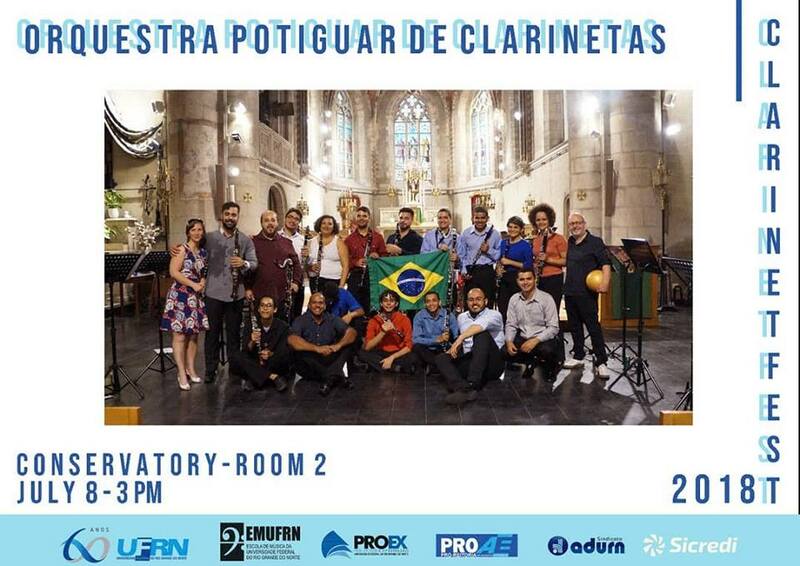 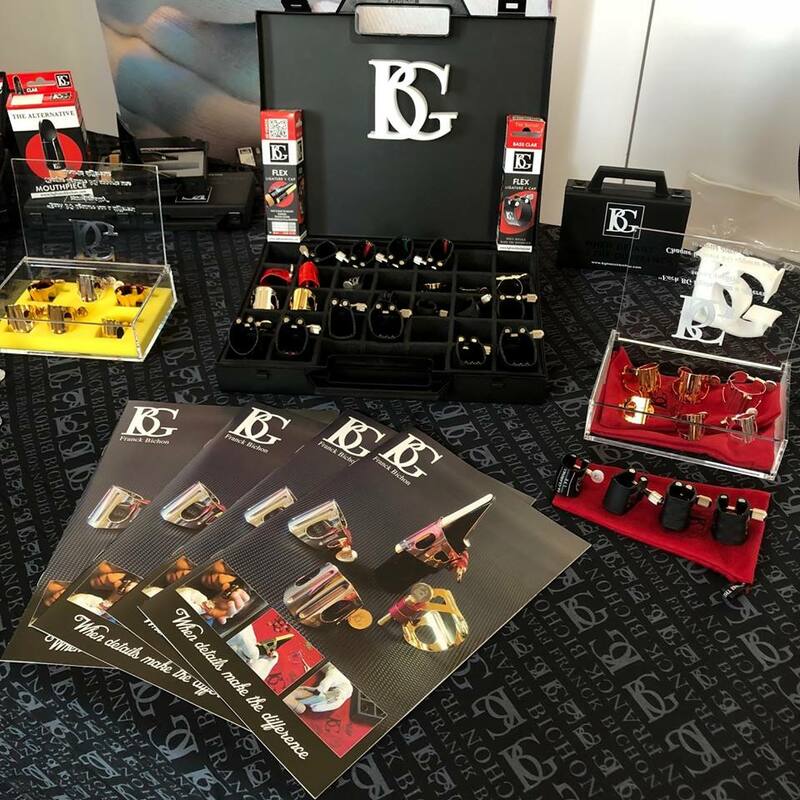 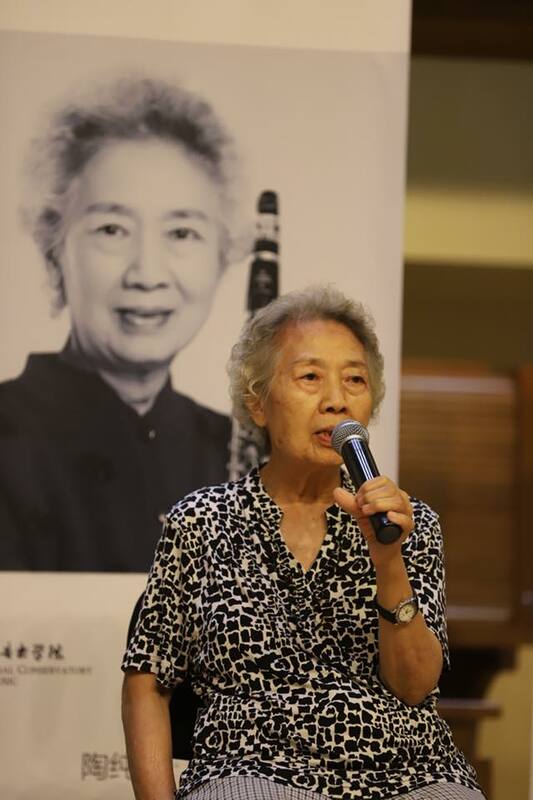 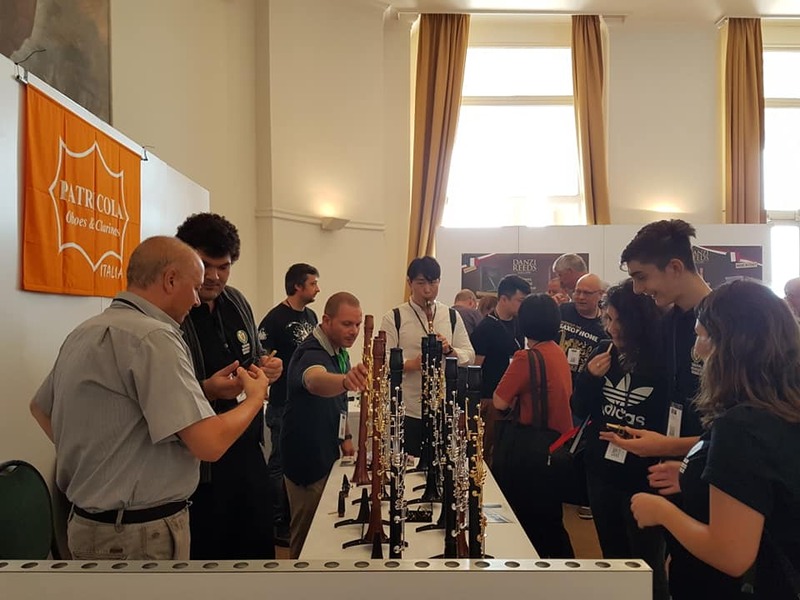 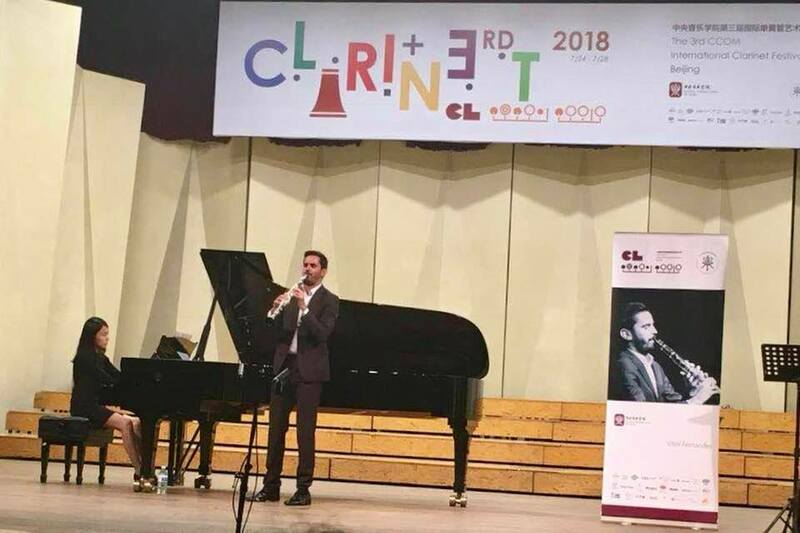 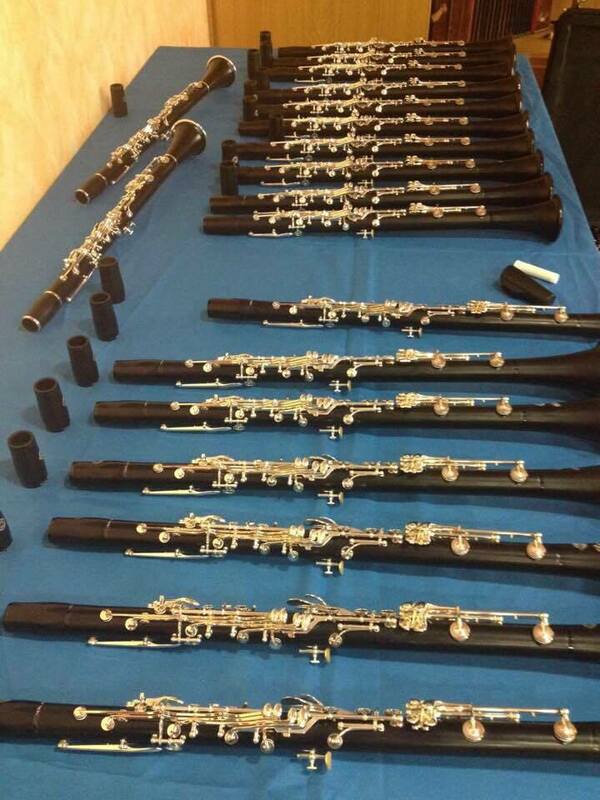 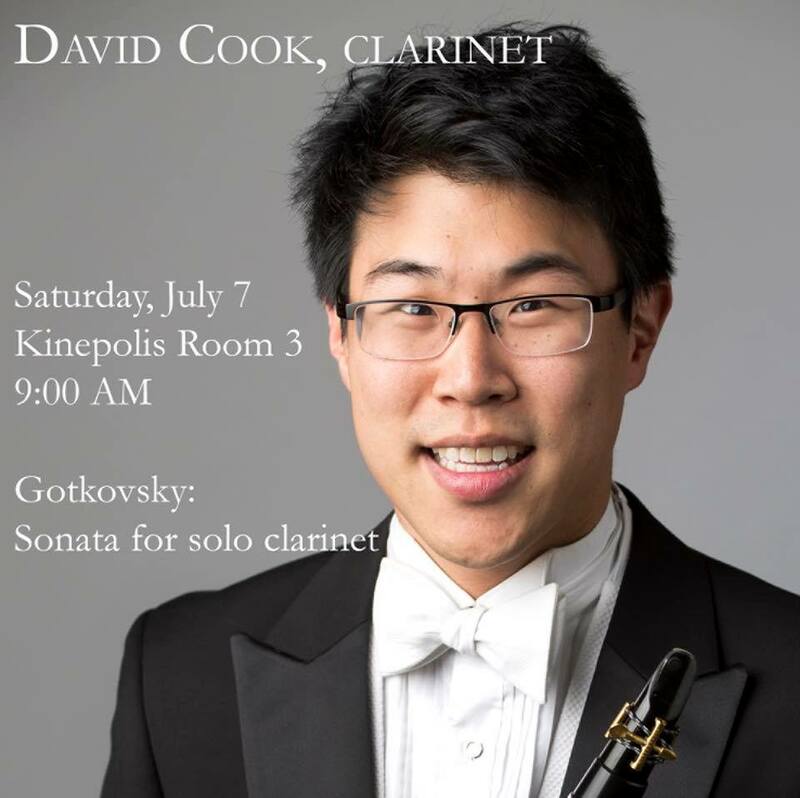 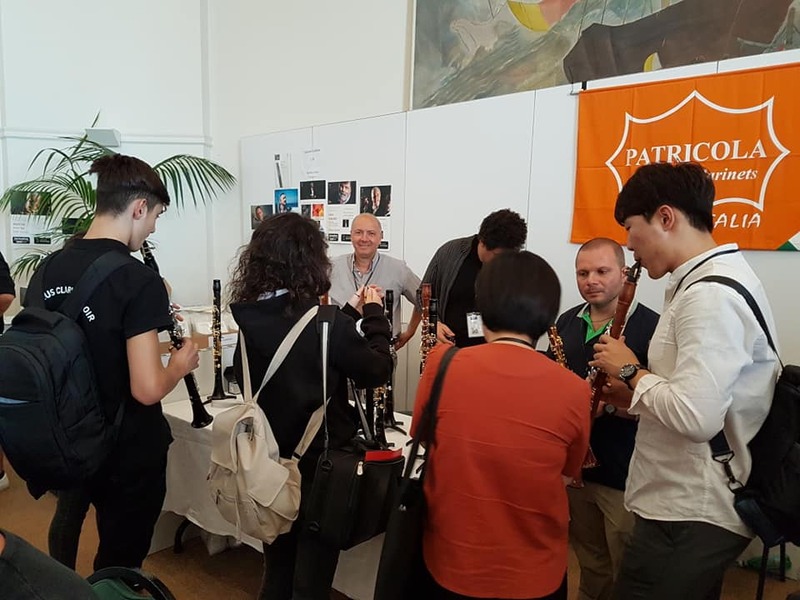 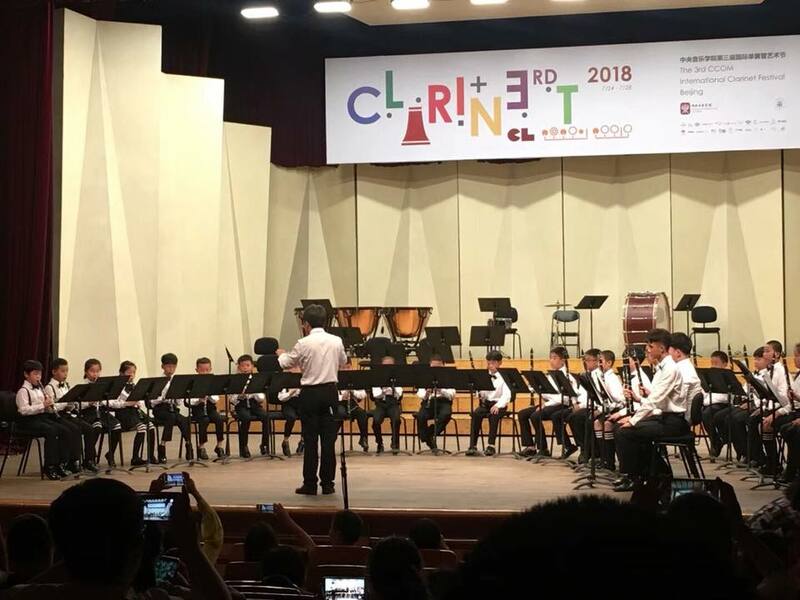 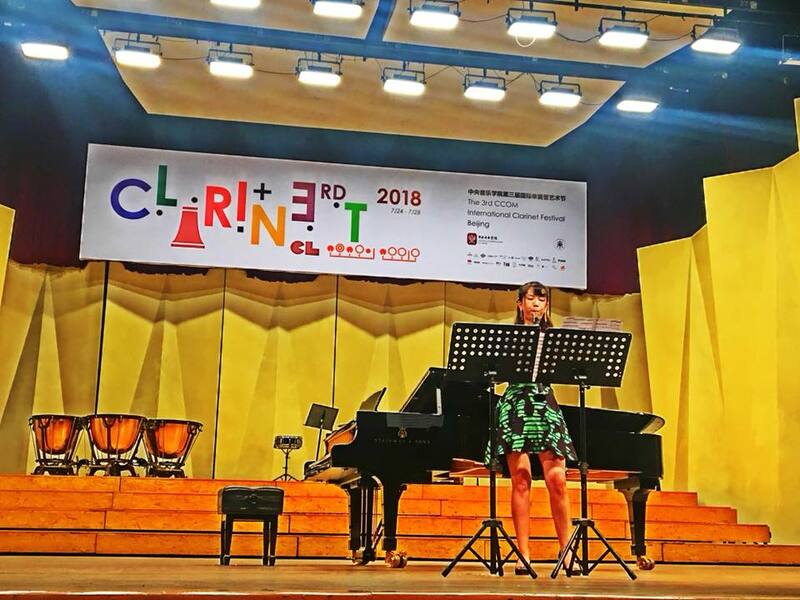 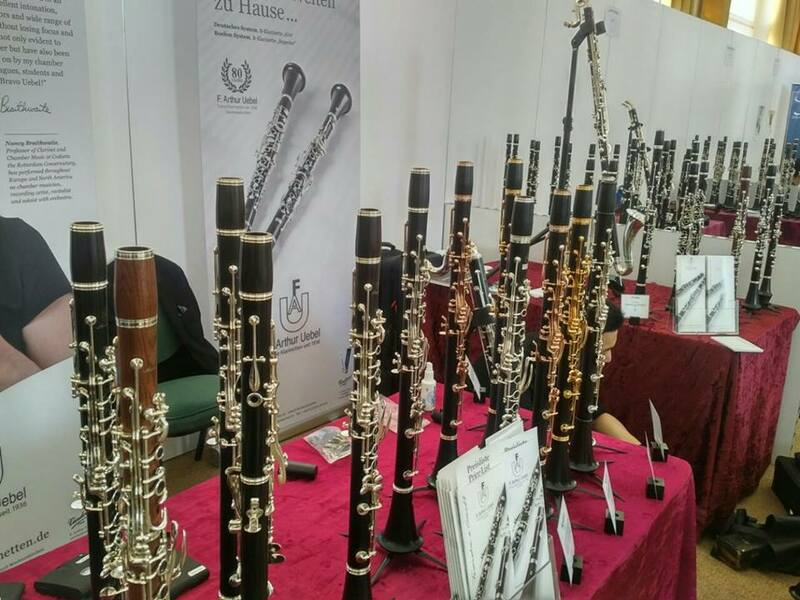 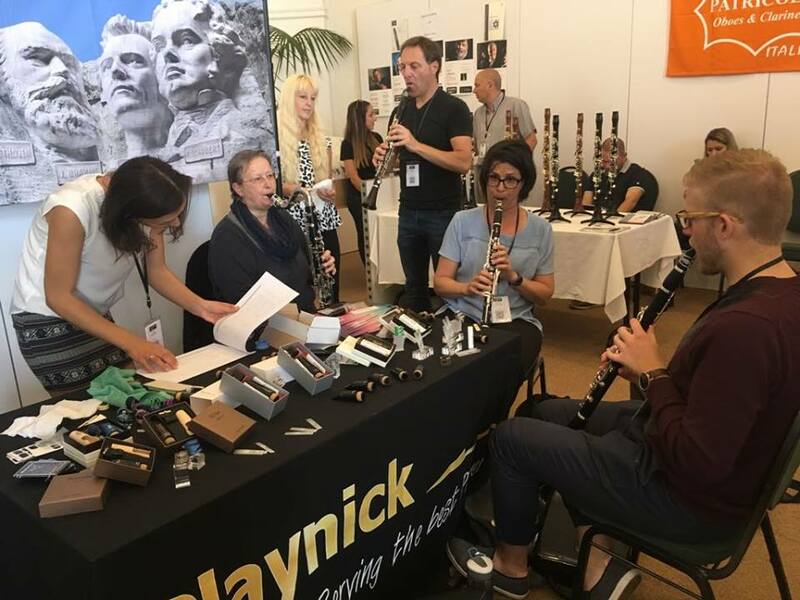 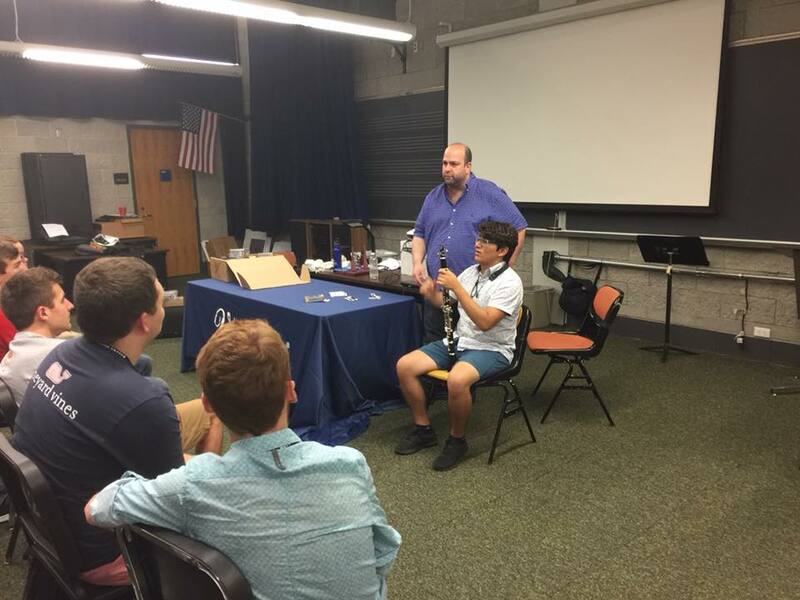 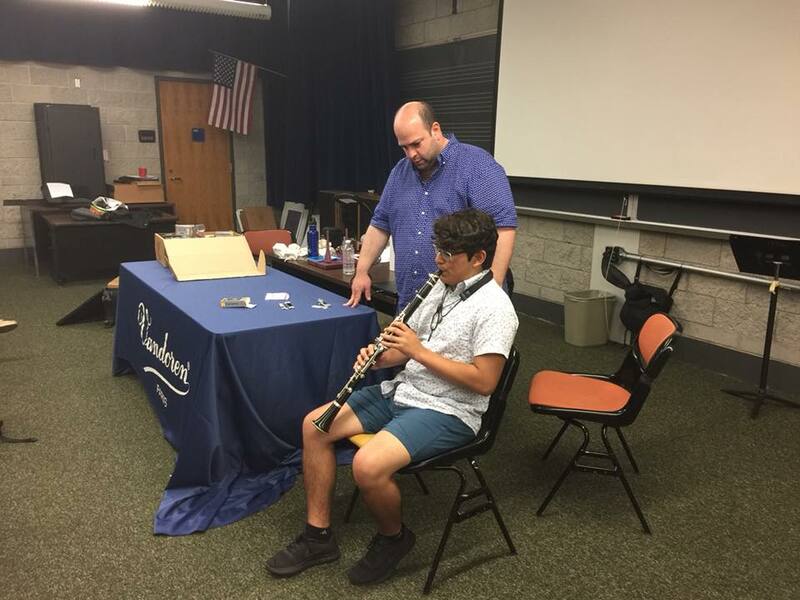 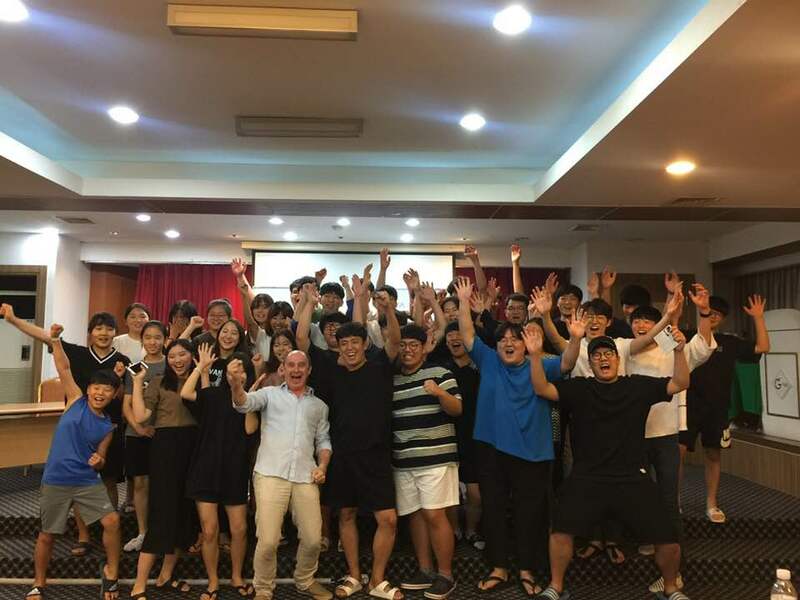 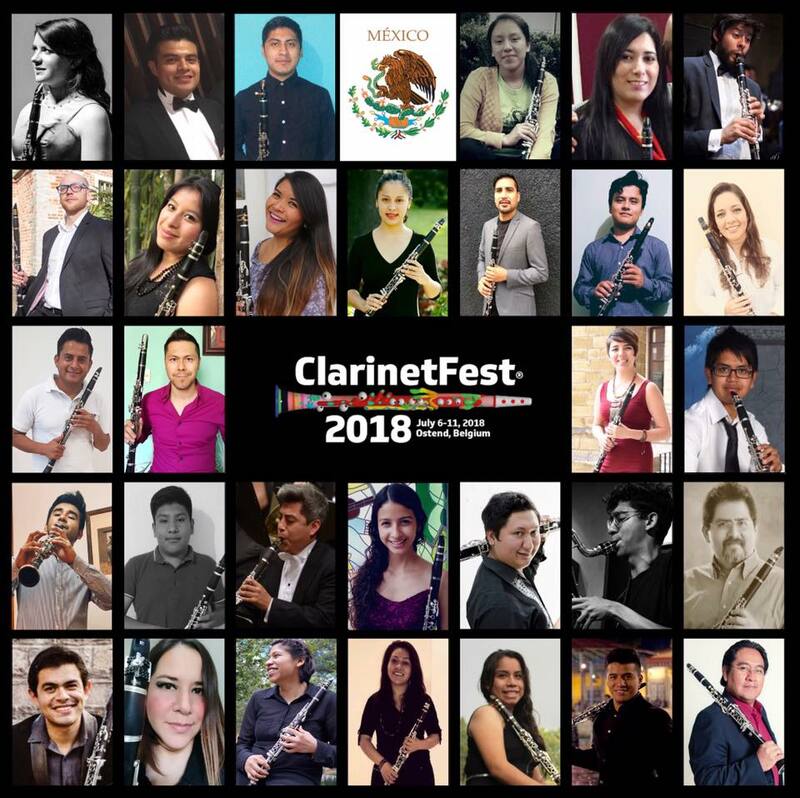 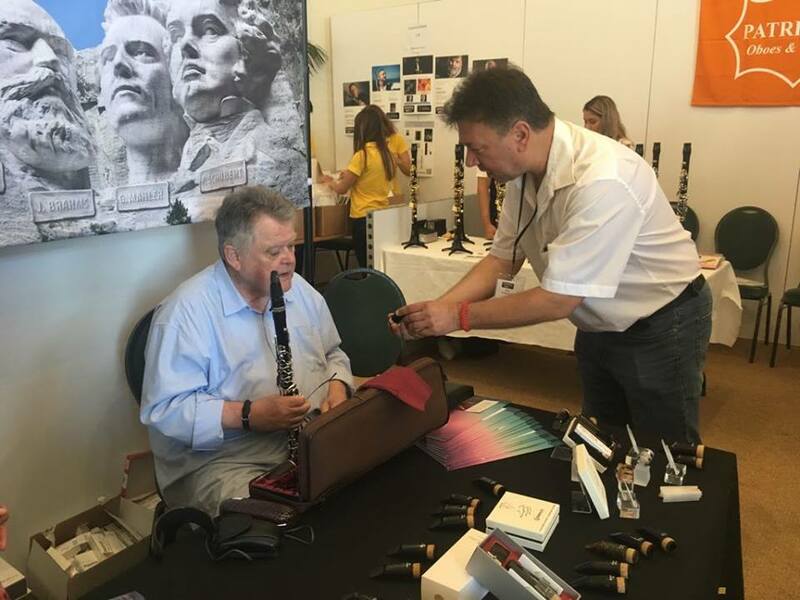 We hope Chinese students could hear the highest clarinet playing level in the world, learn about technic for playing the clarinet, understand the developing tendency of international clarinet playing, blend themselves in the ocean of international clarinetistry. 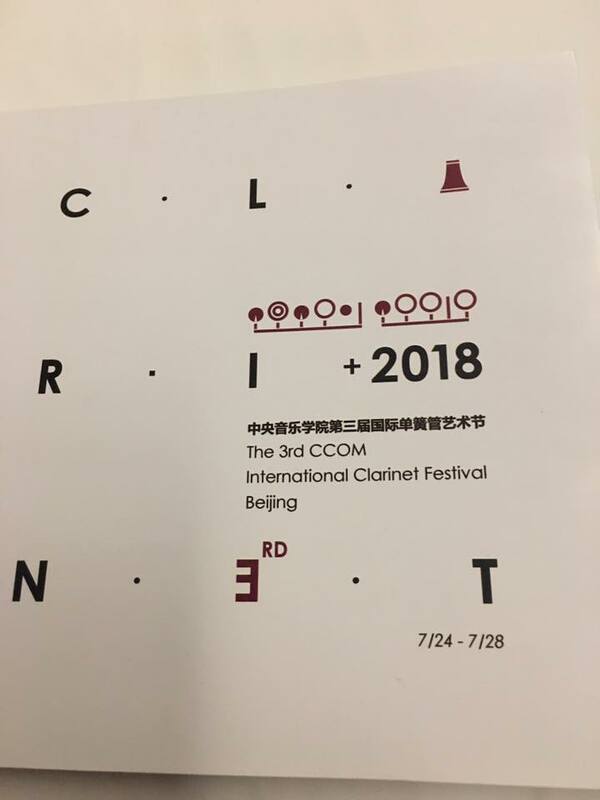 There are 3 words written on the first page of our festival magazine, hope, modern and future, this is exactly our original intention to organize this festival. 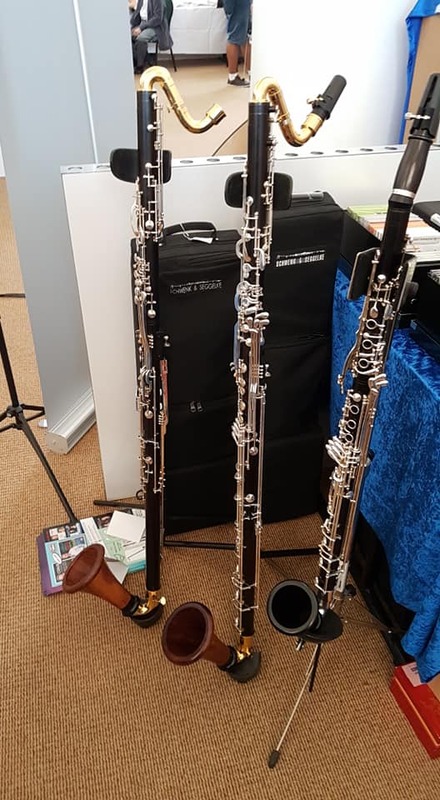 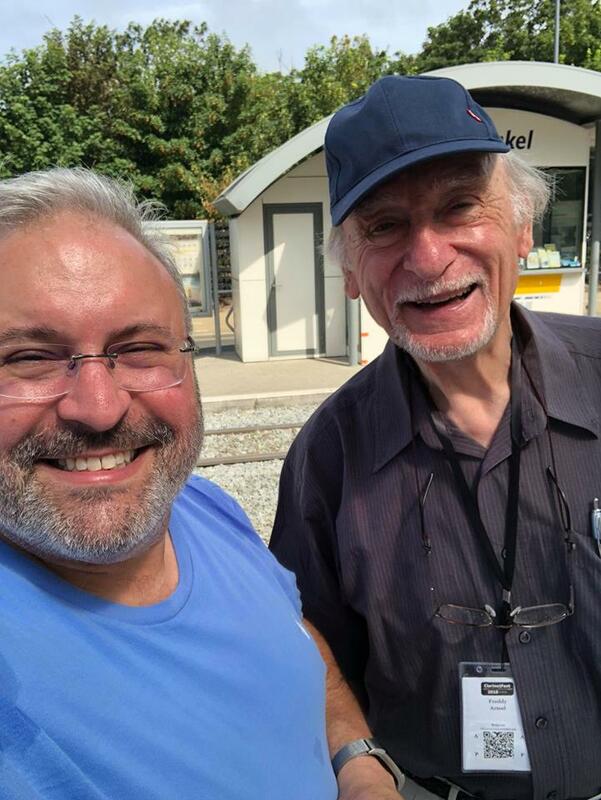 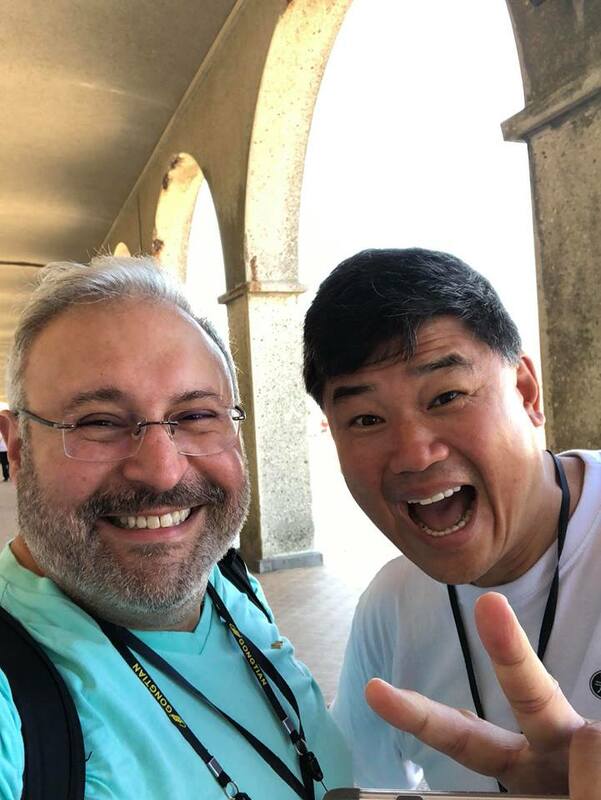 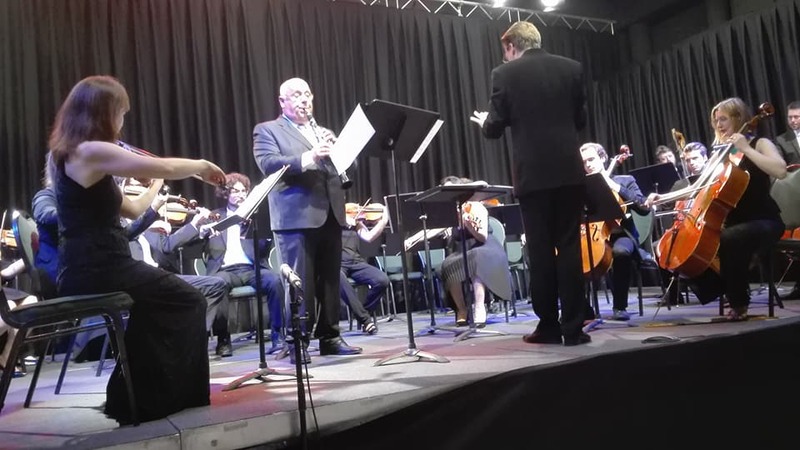 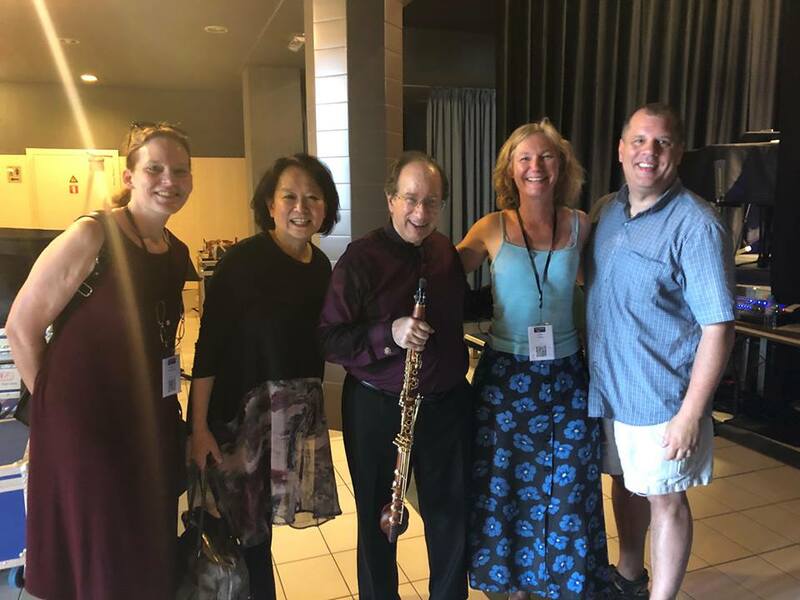 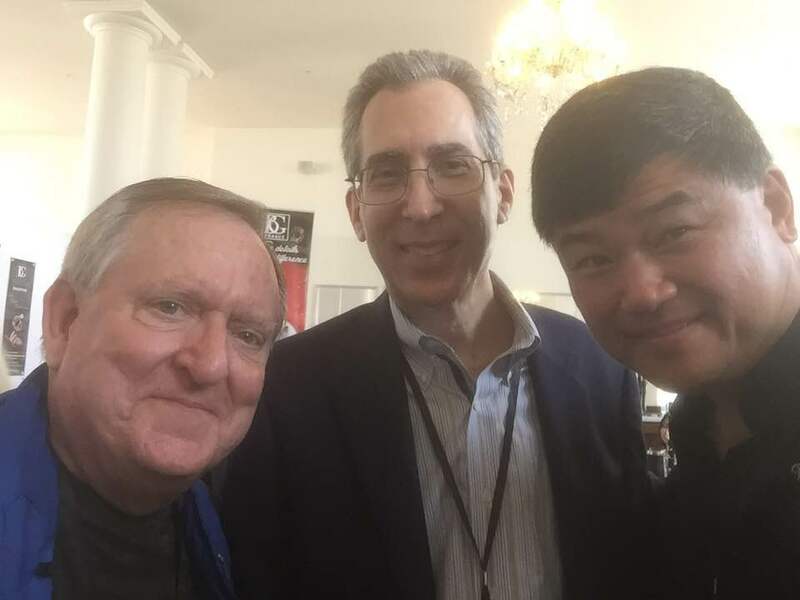 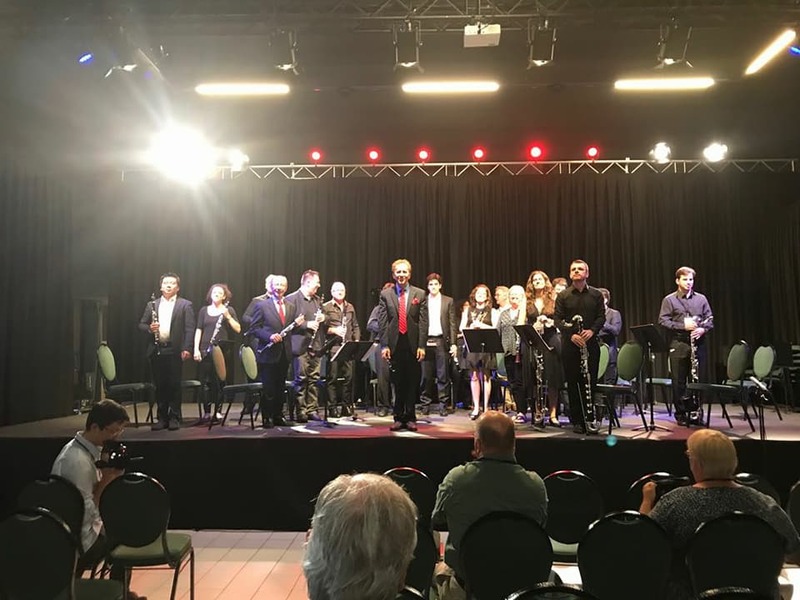 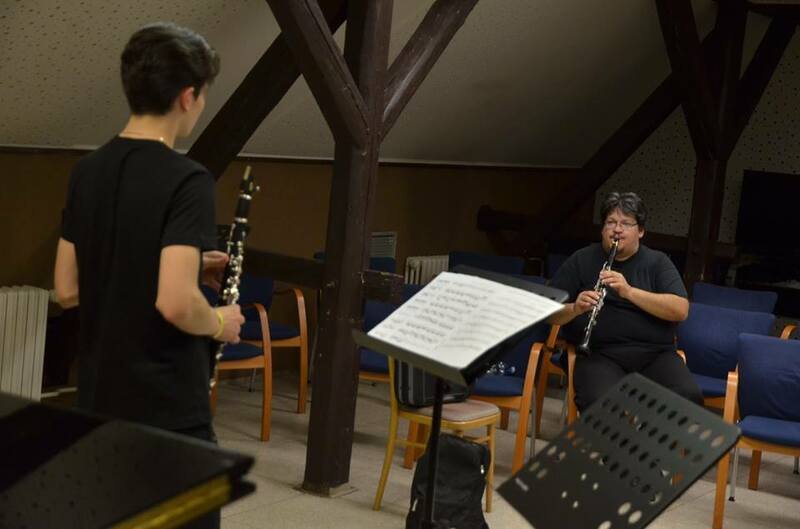 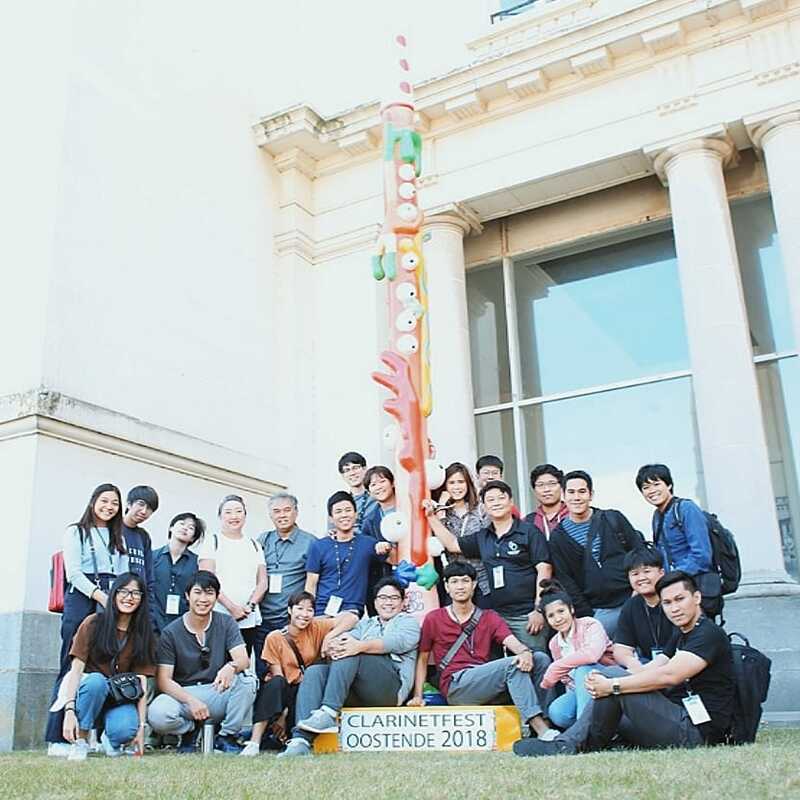 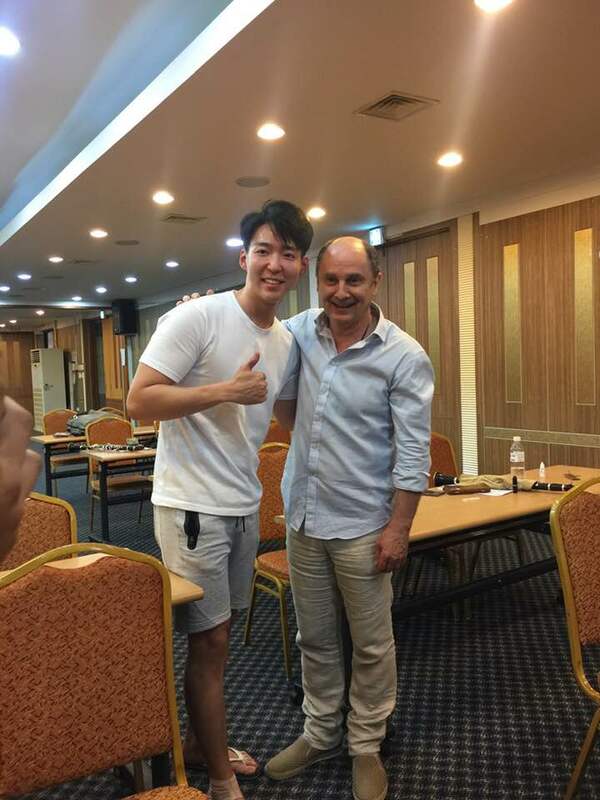 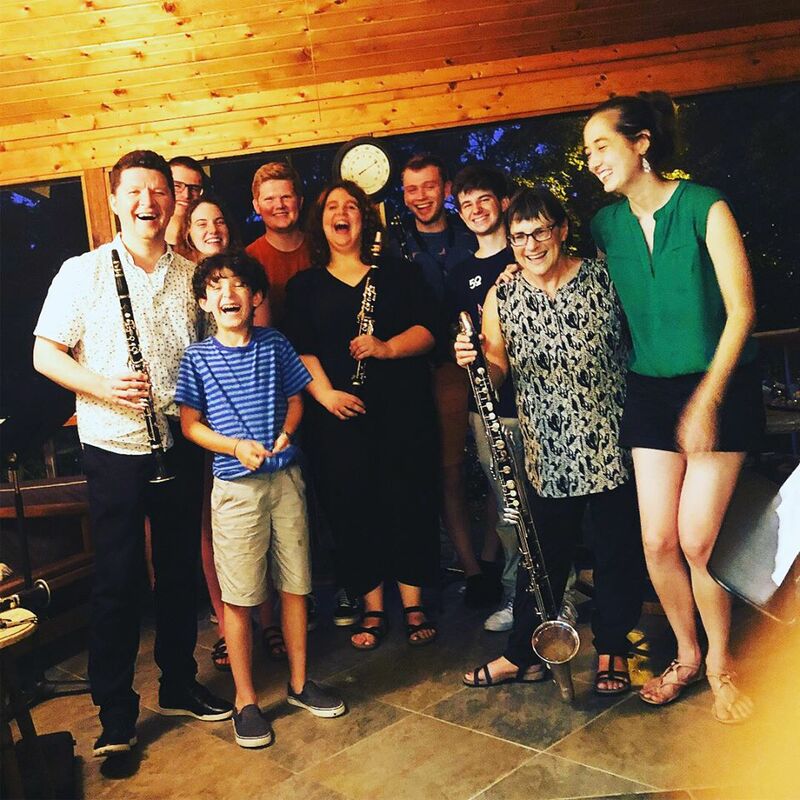 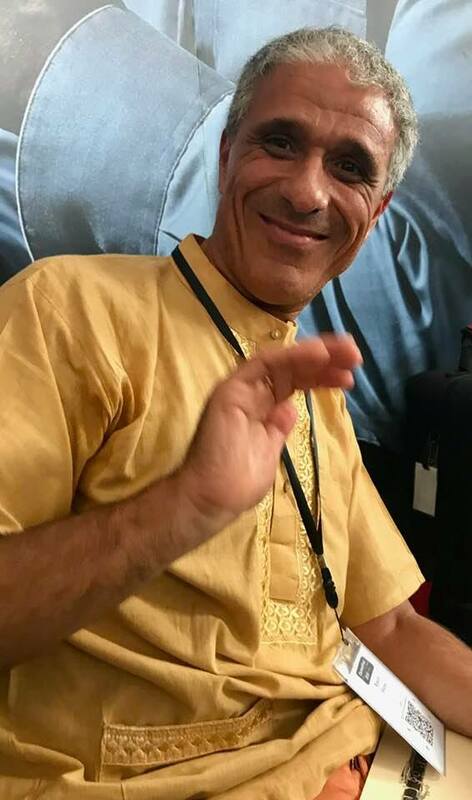 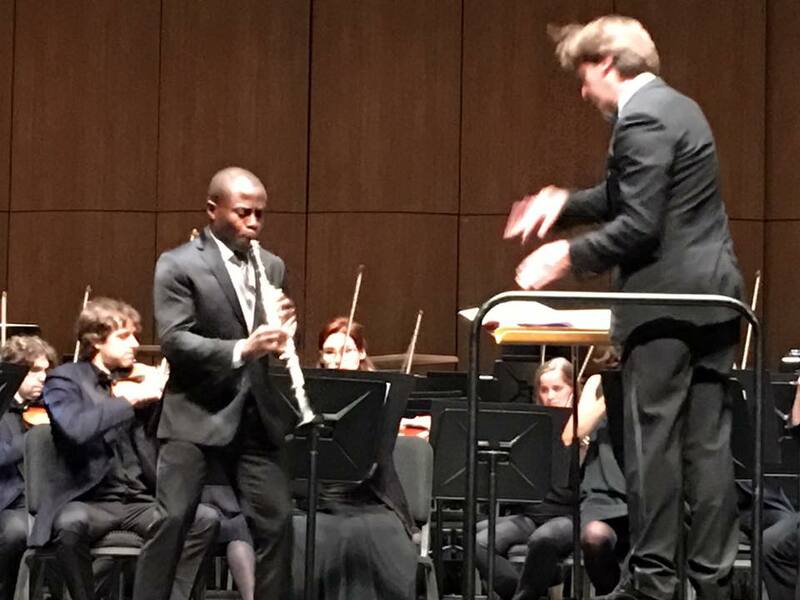 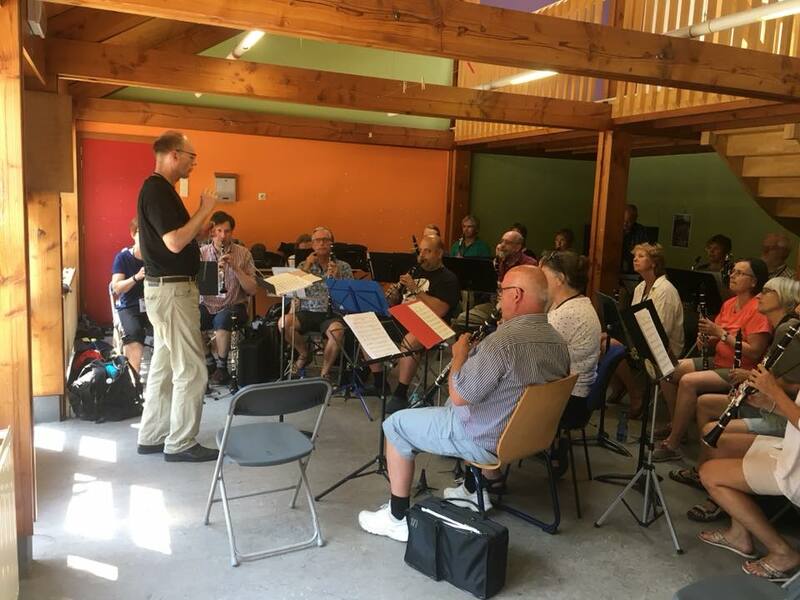 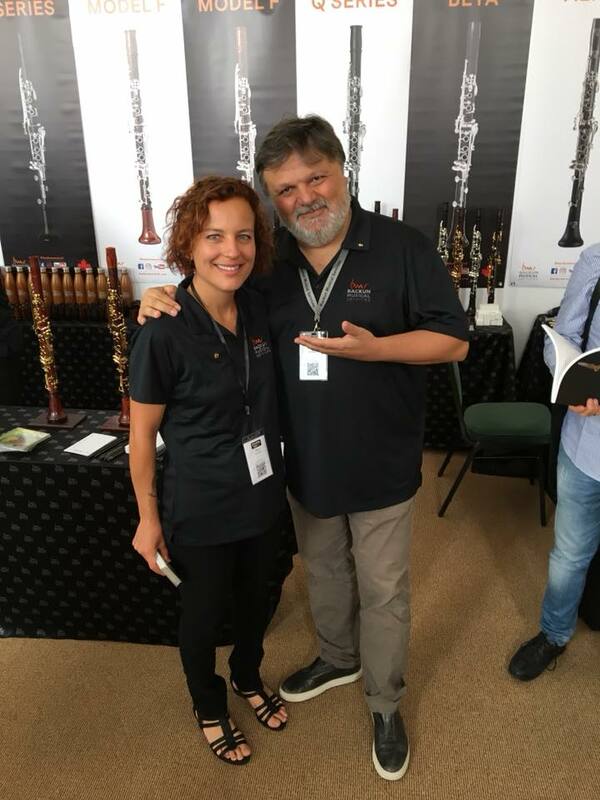 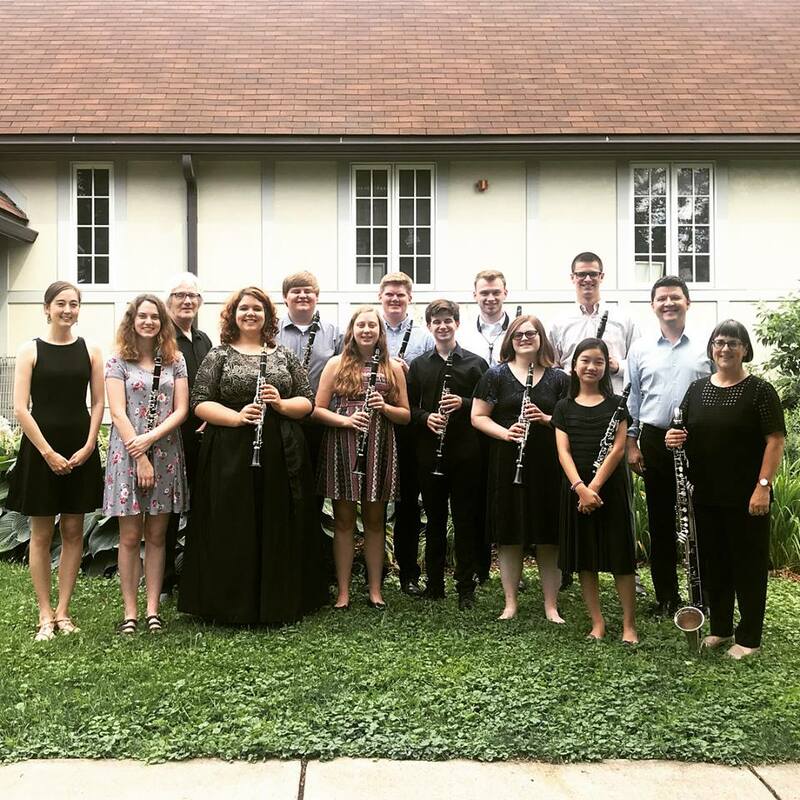 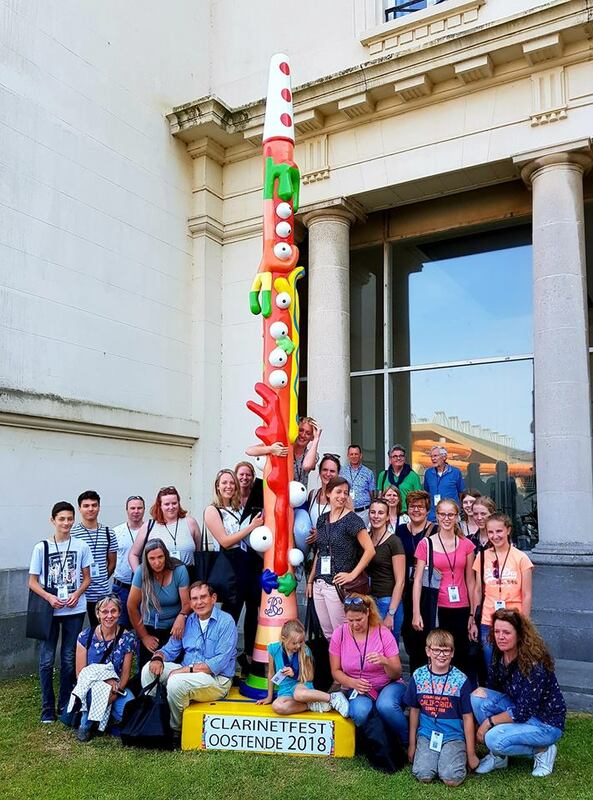 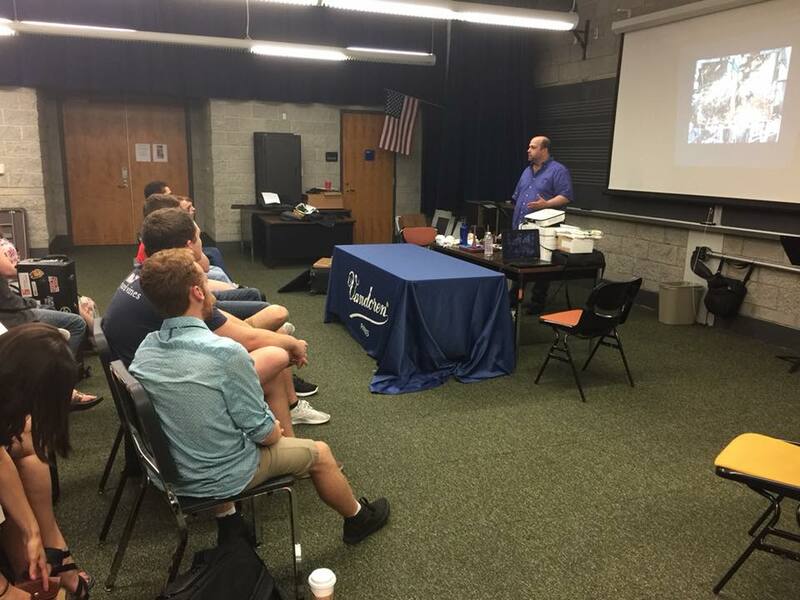 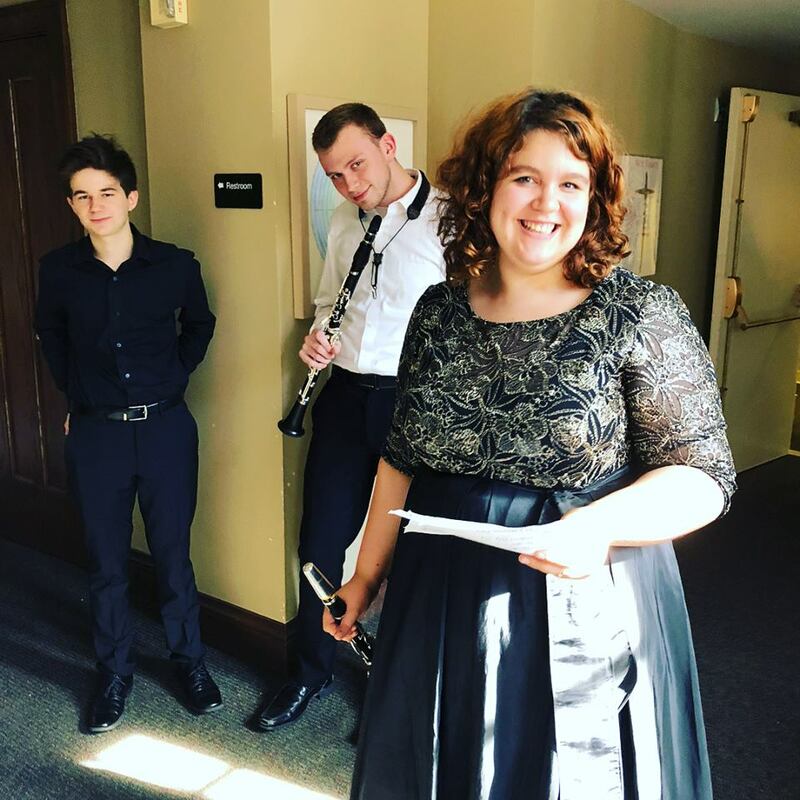 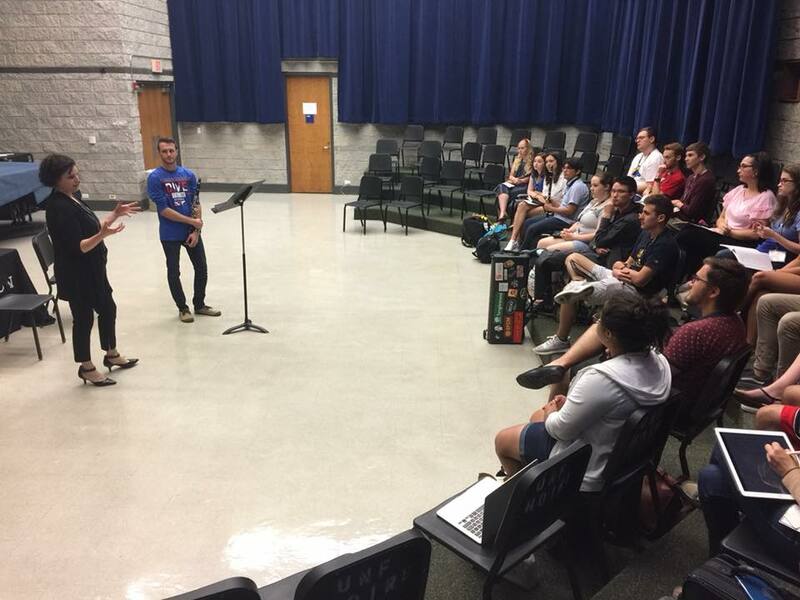 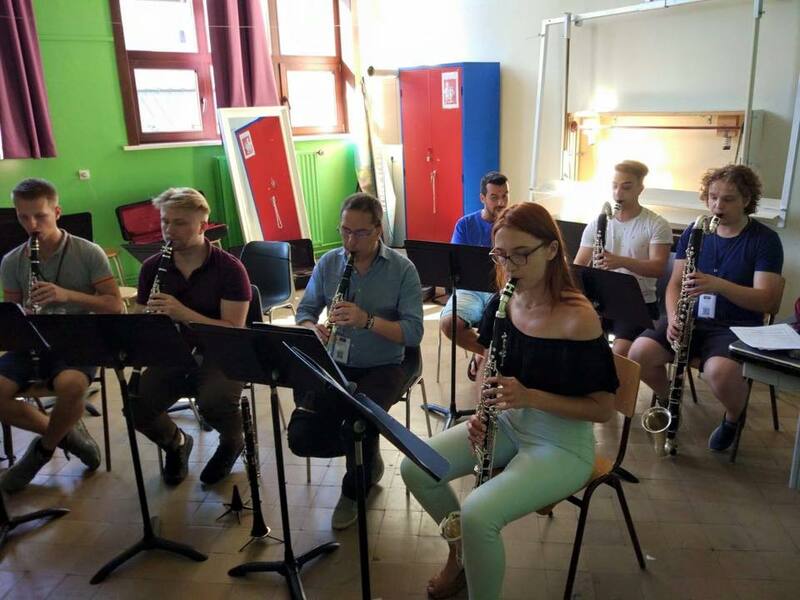 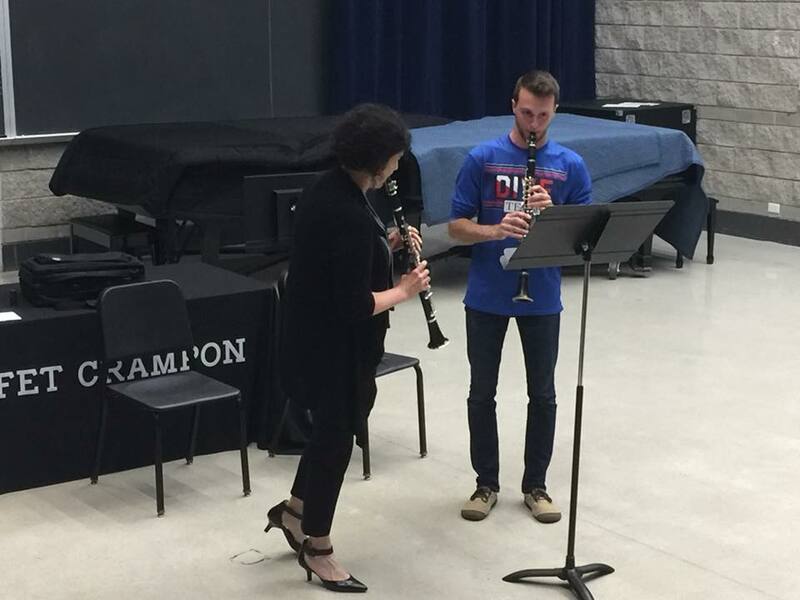 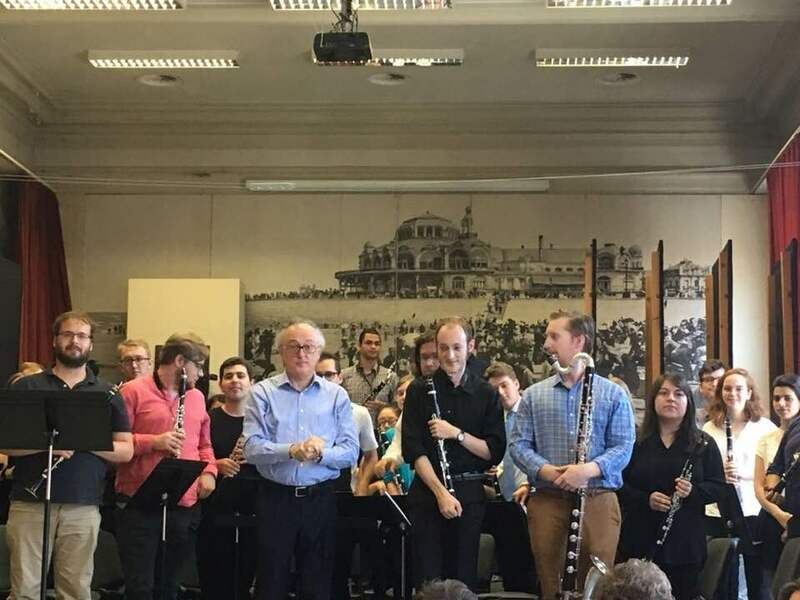 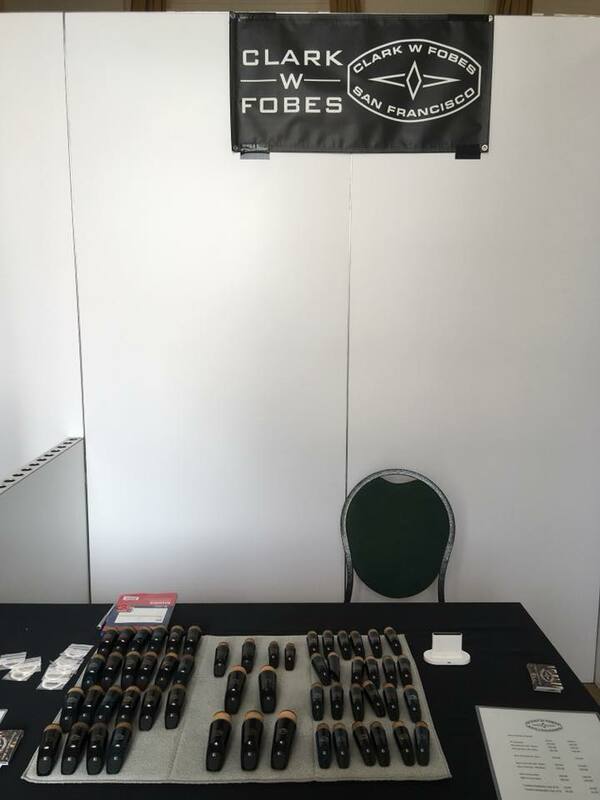 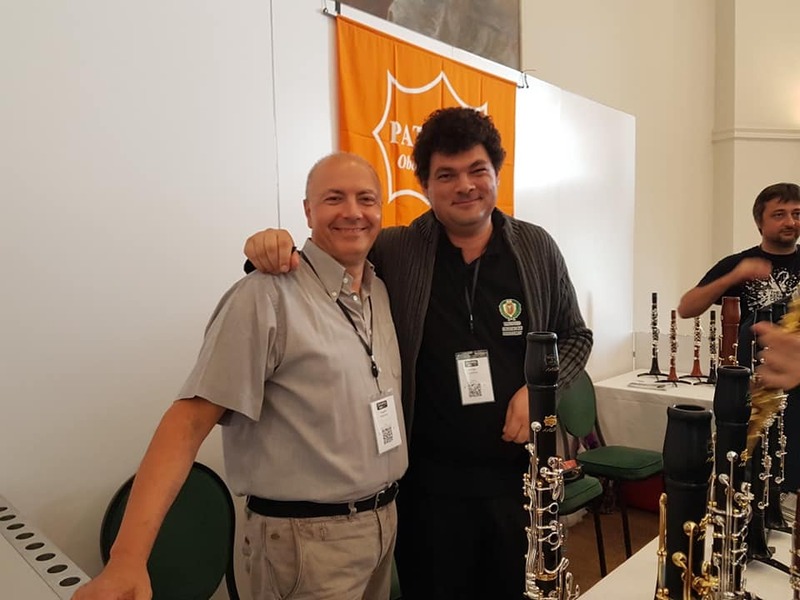 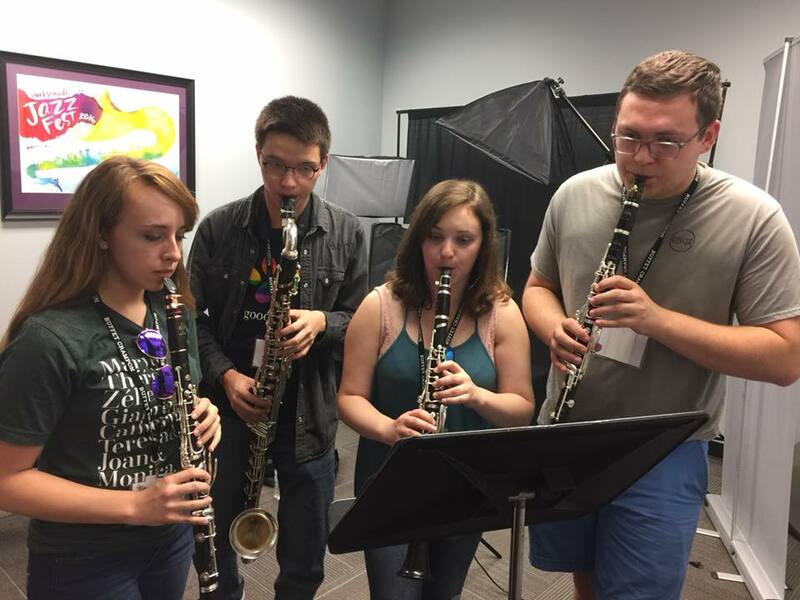 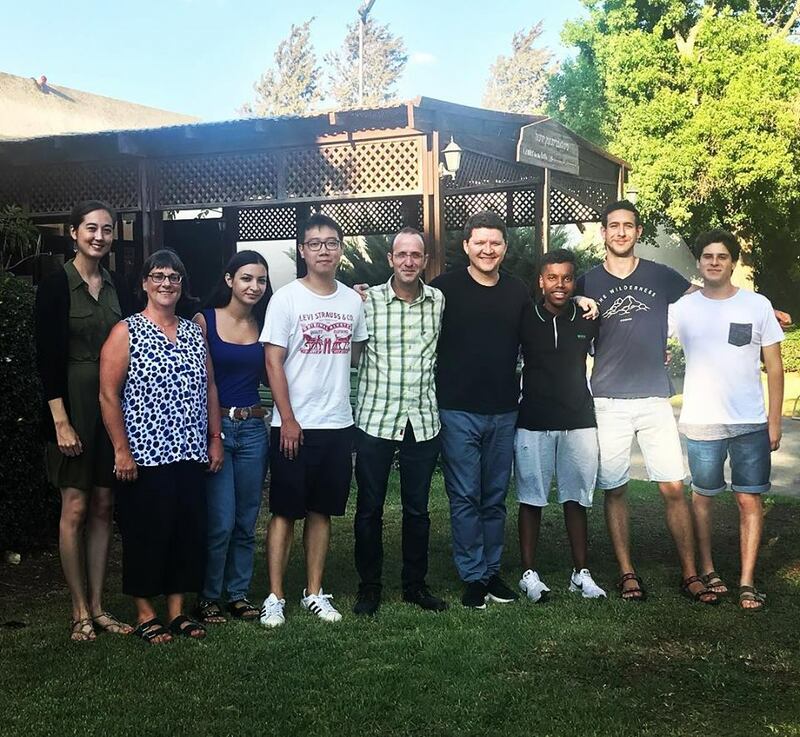 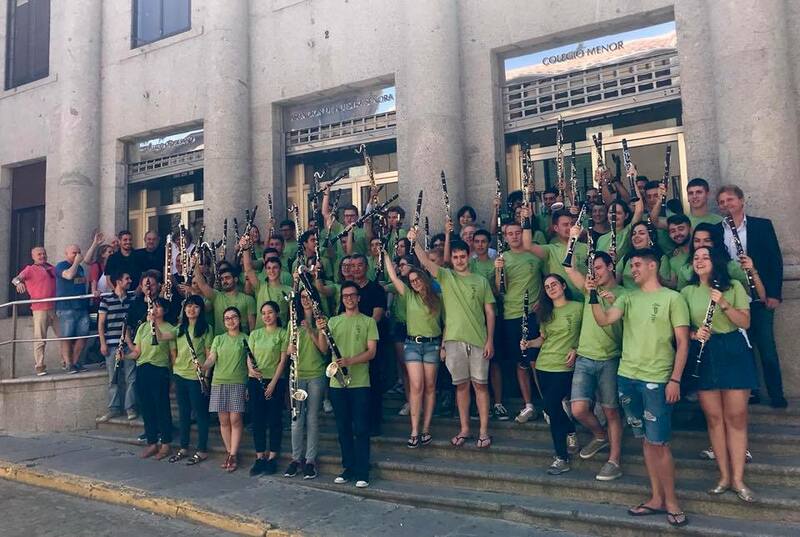 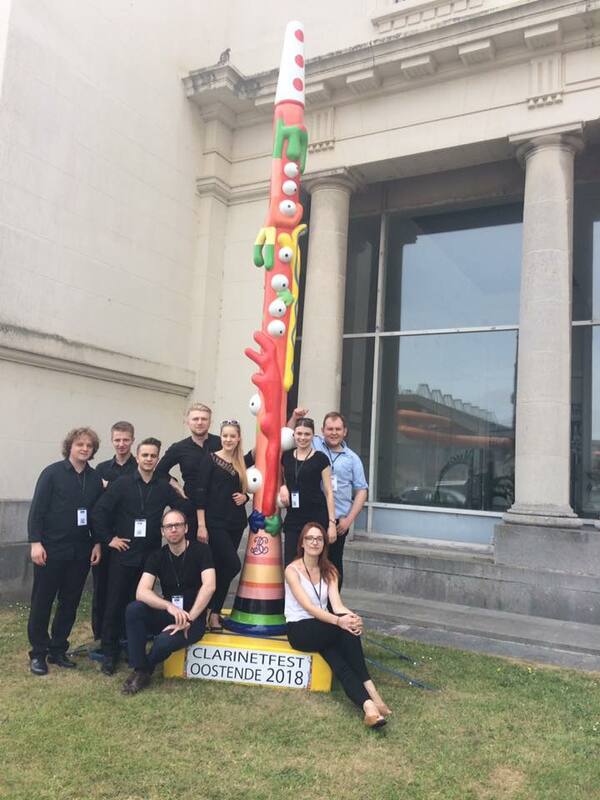 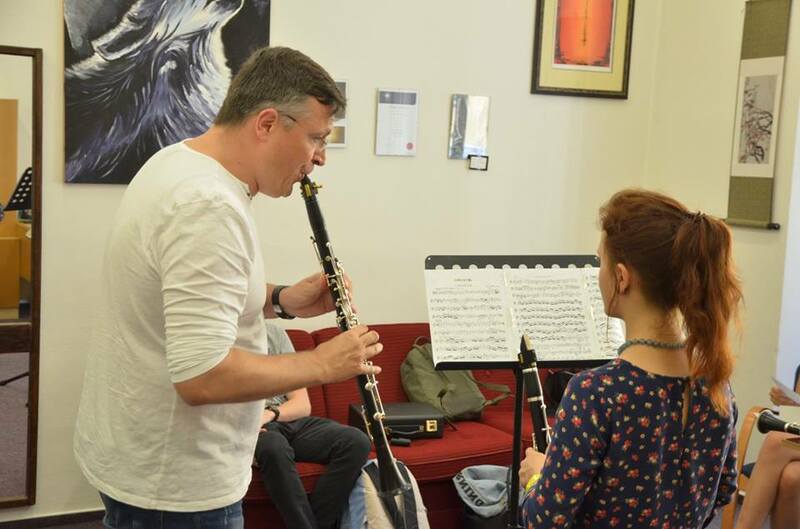 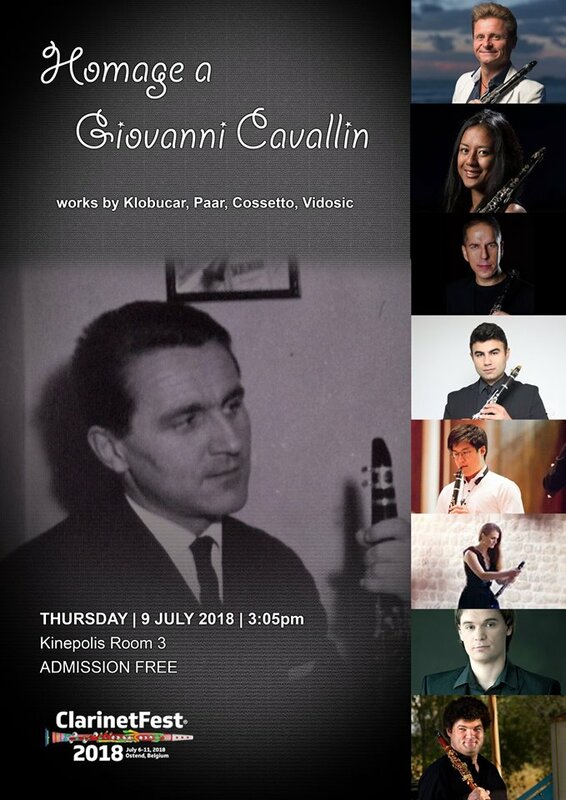 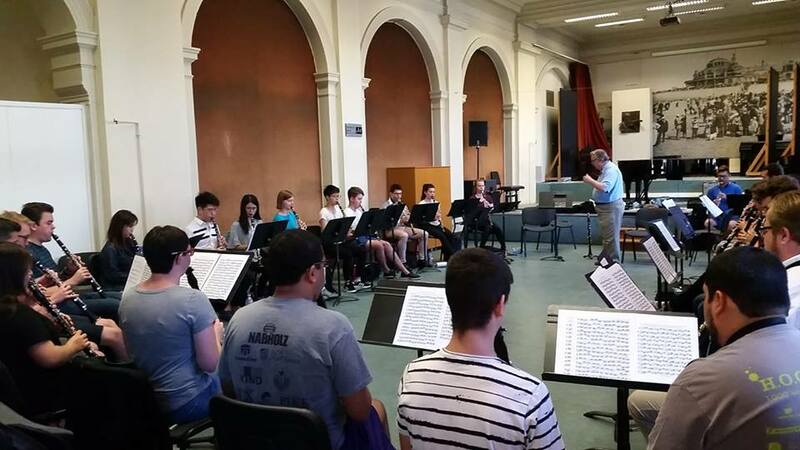 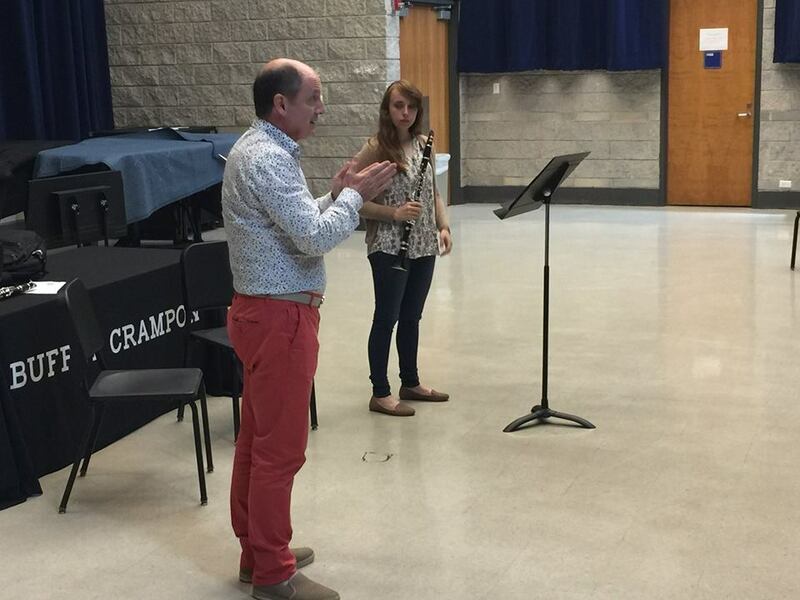 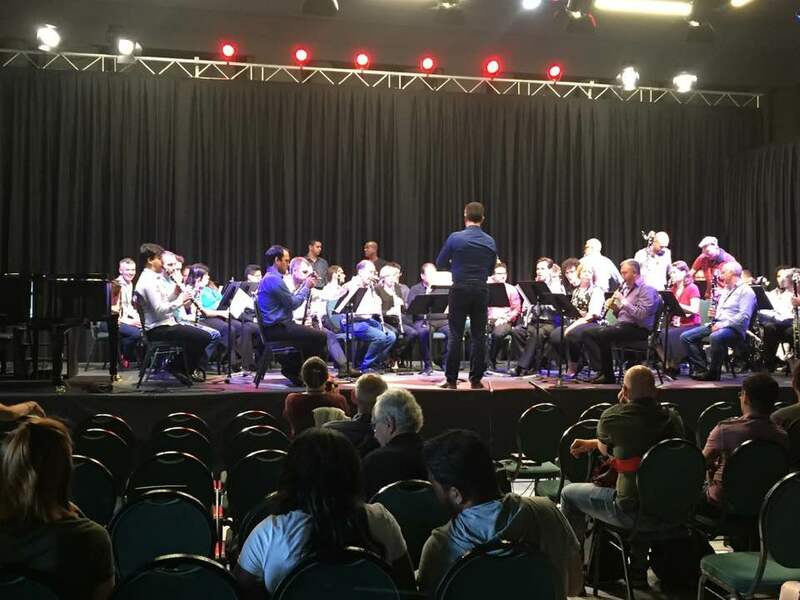 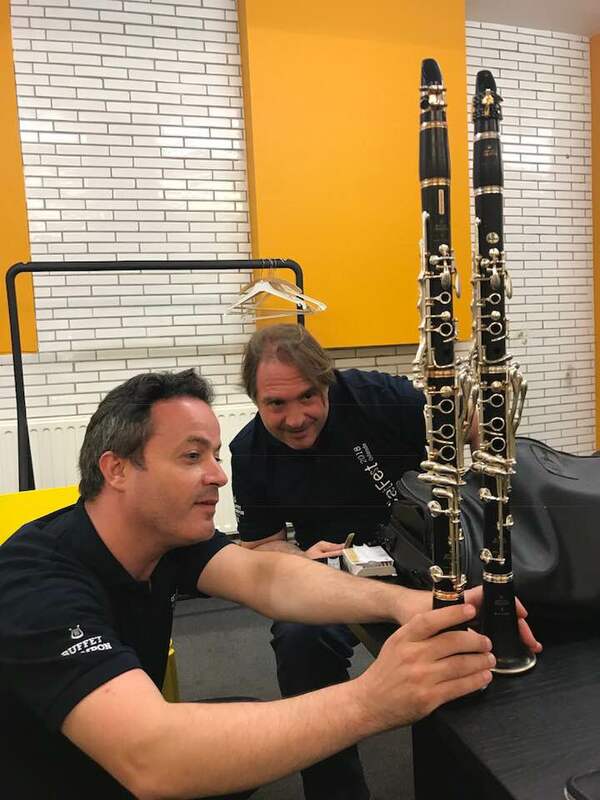 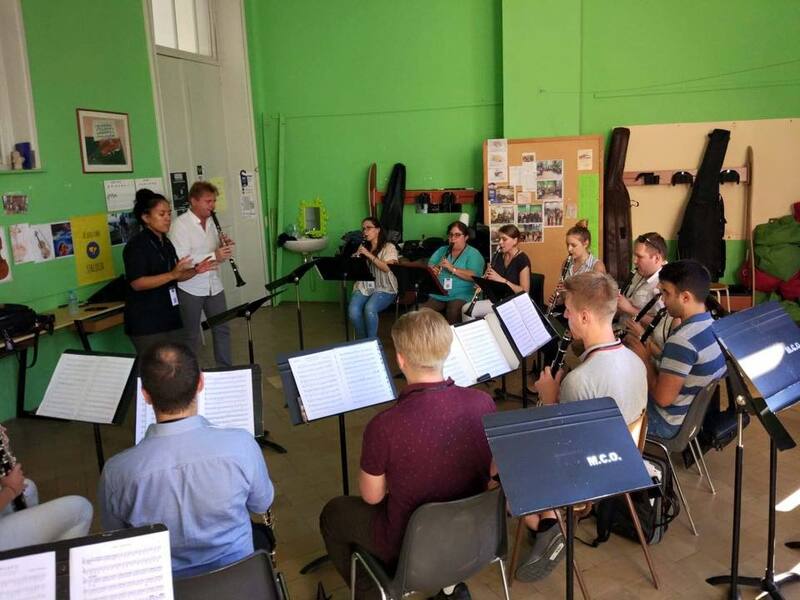 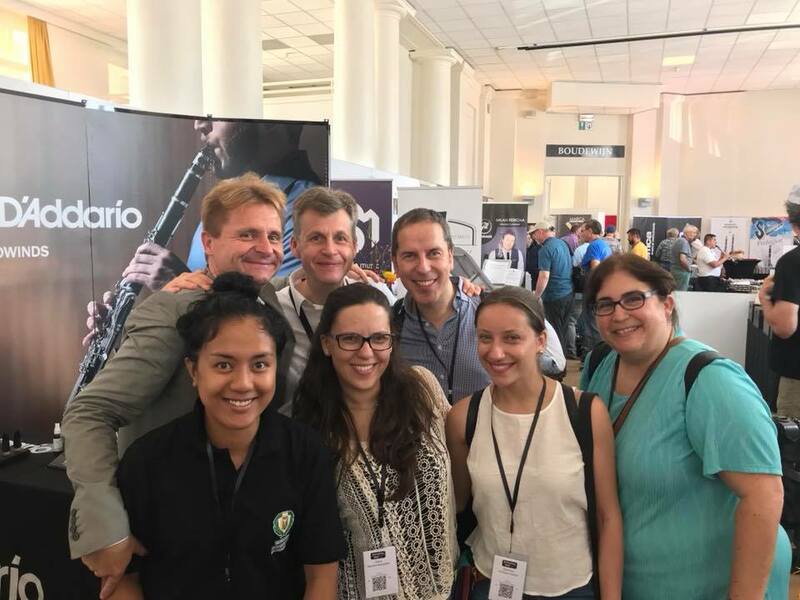 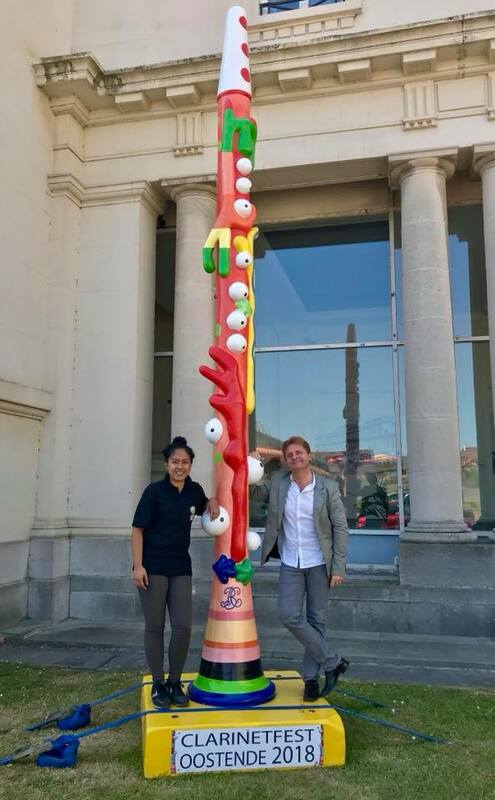 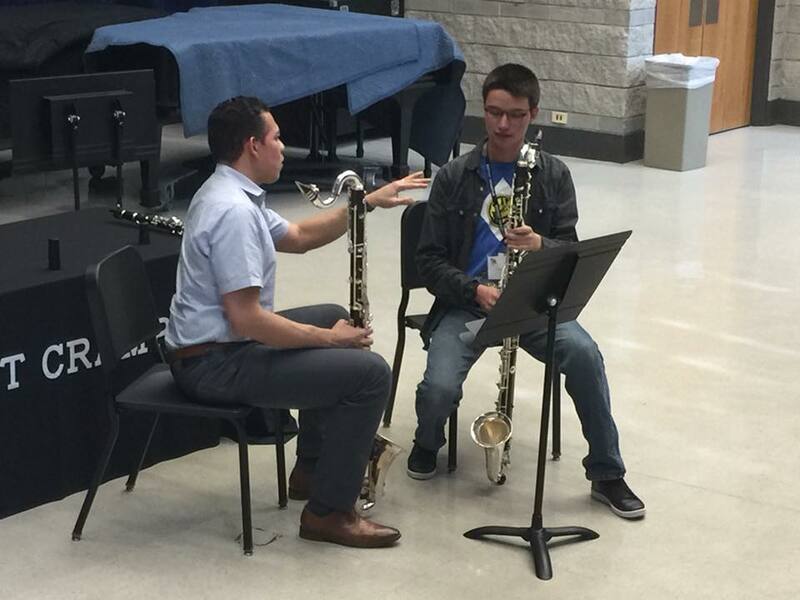 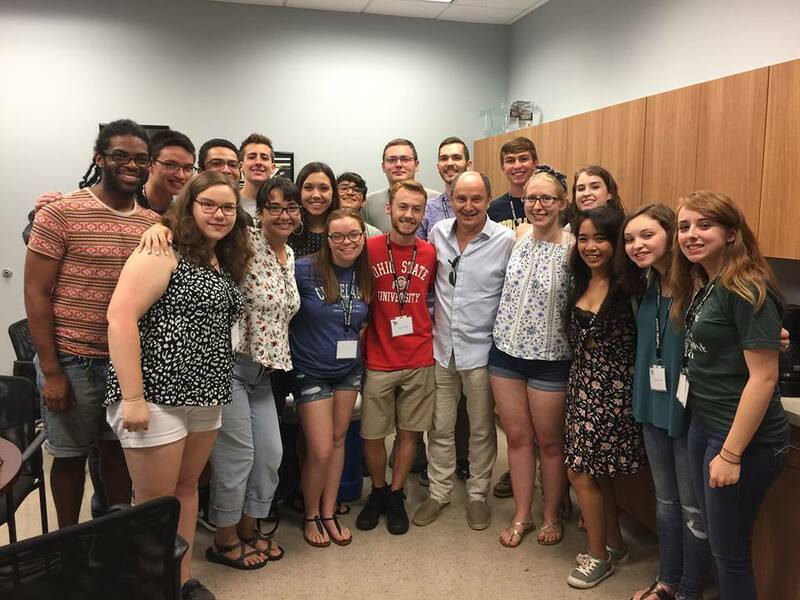 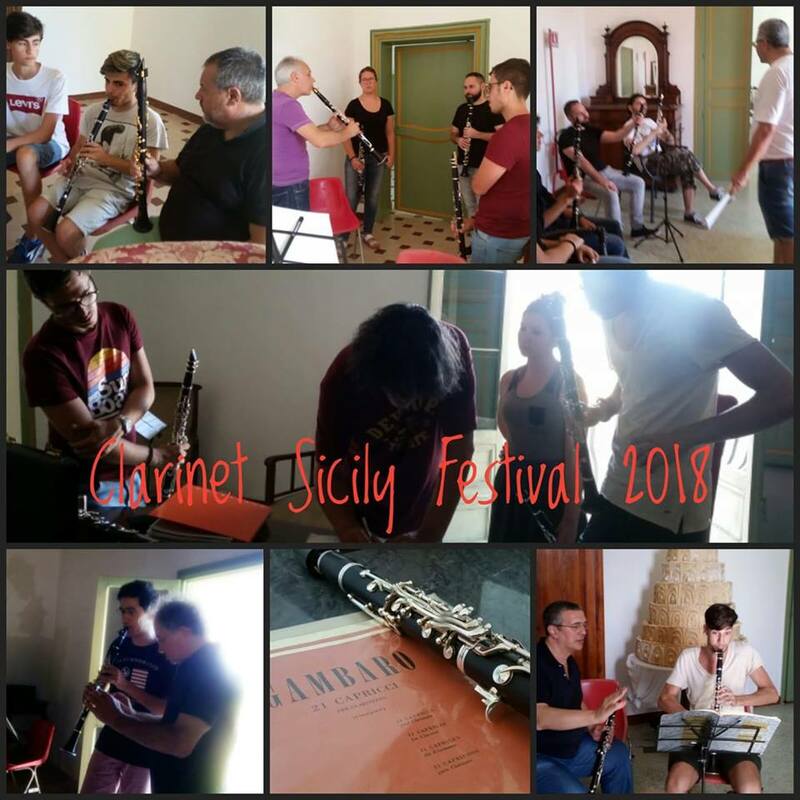 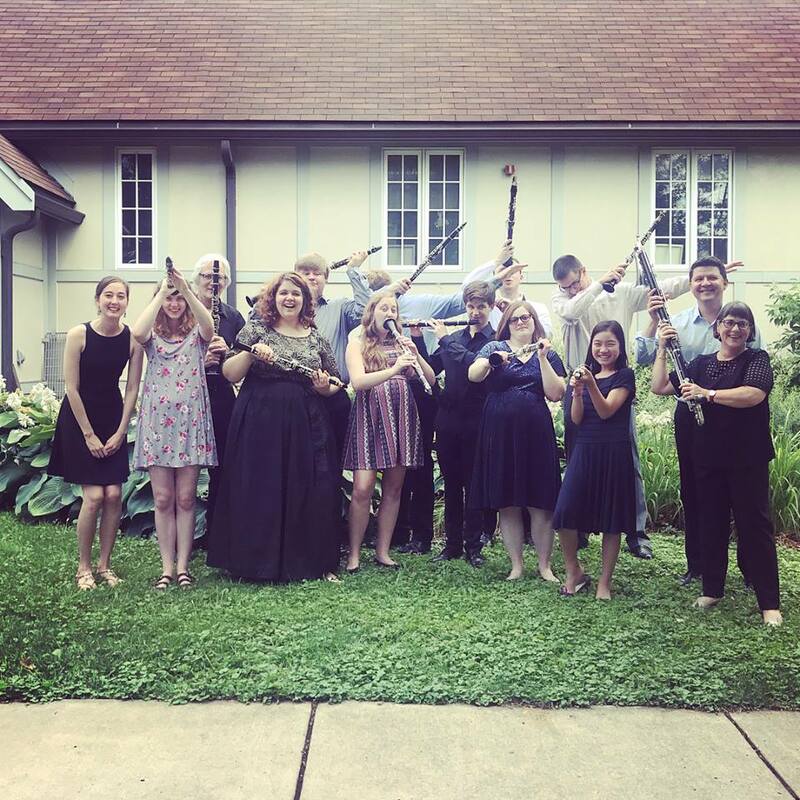 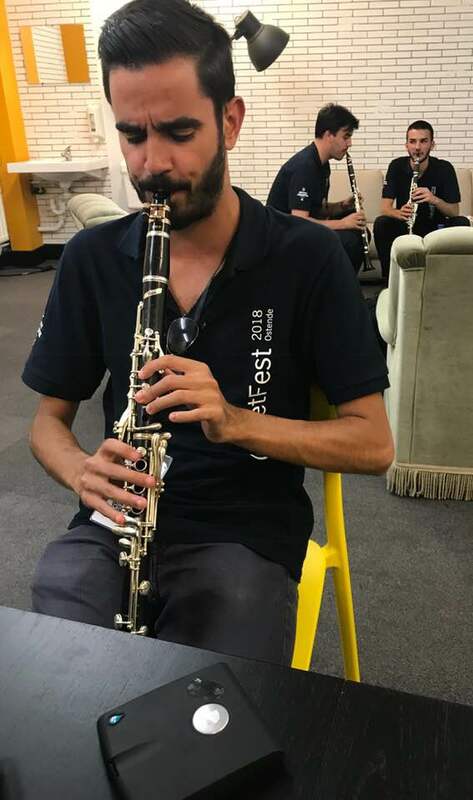 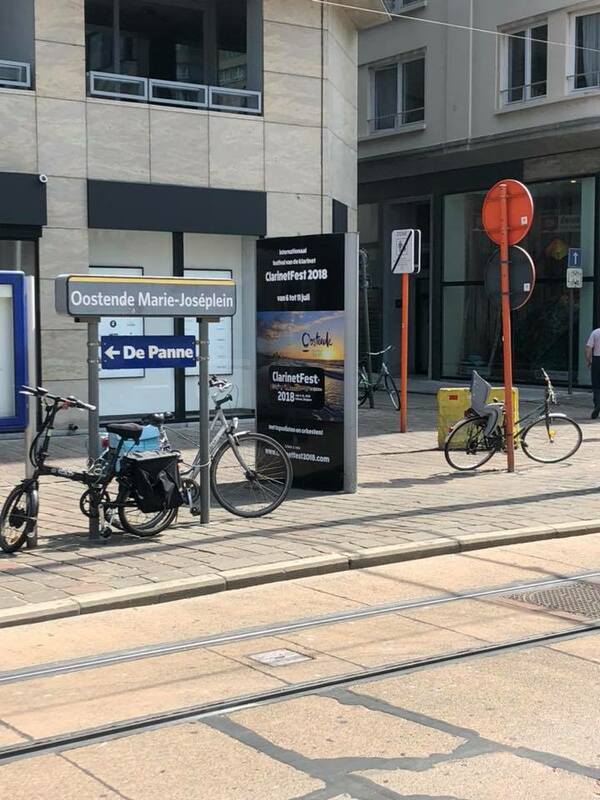 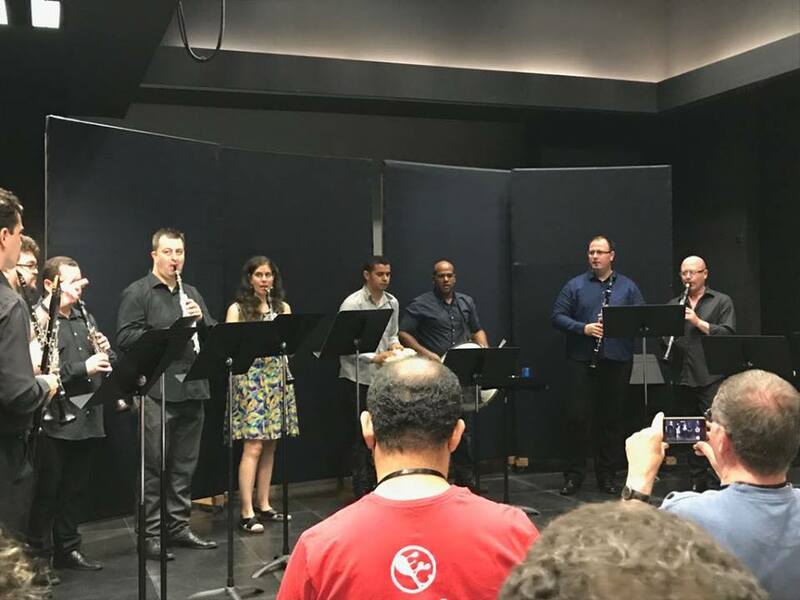 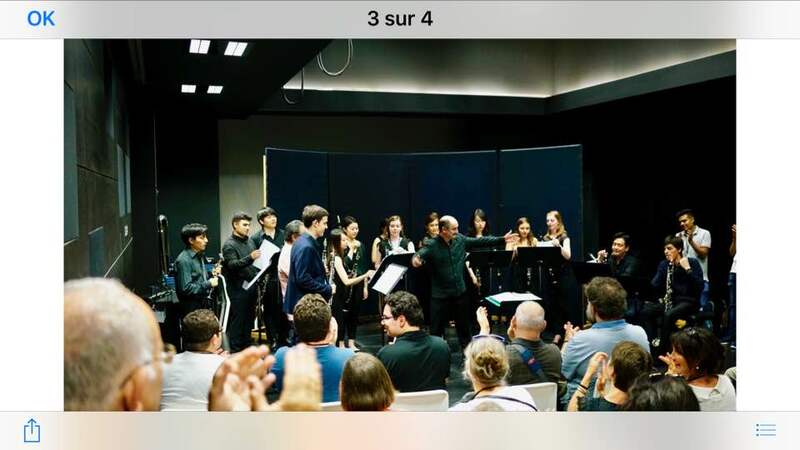 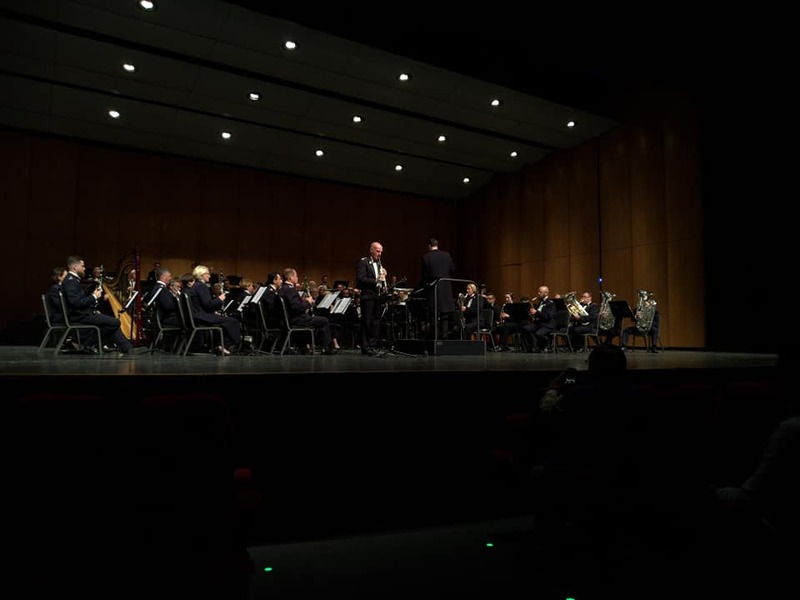 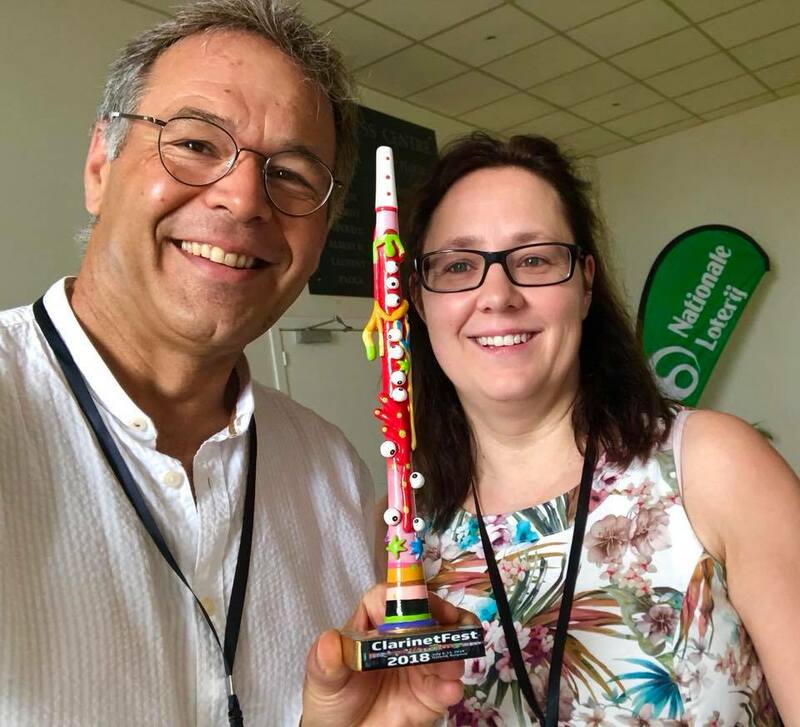 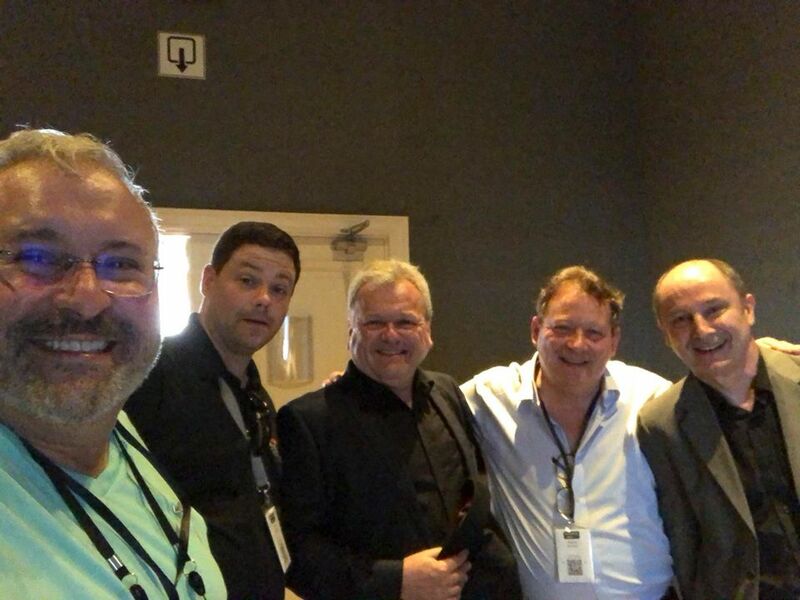 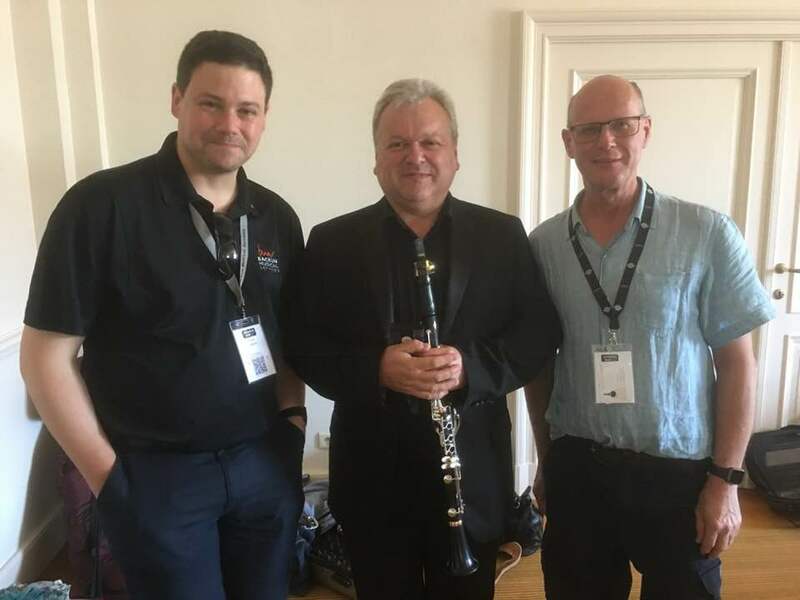 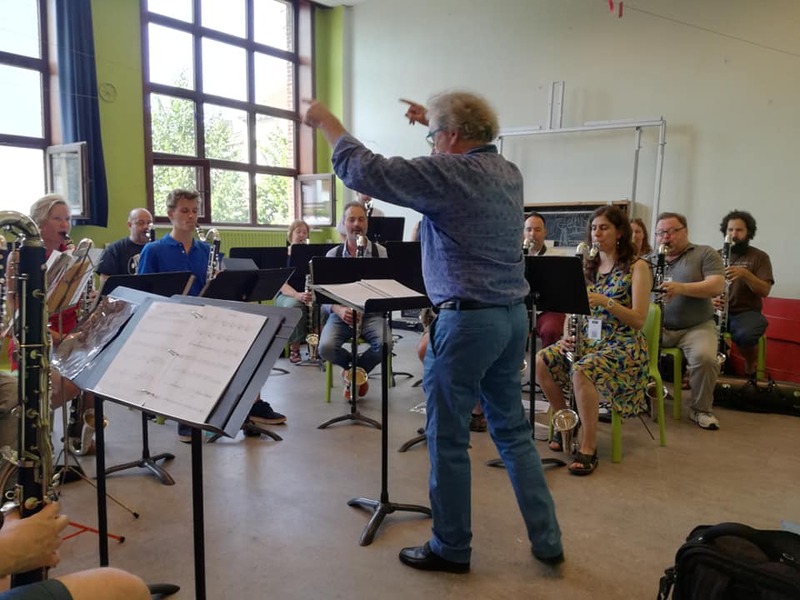 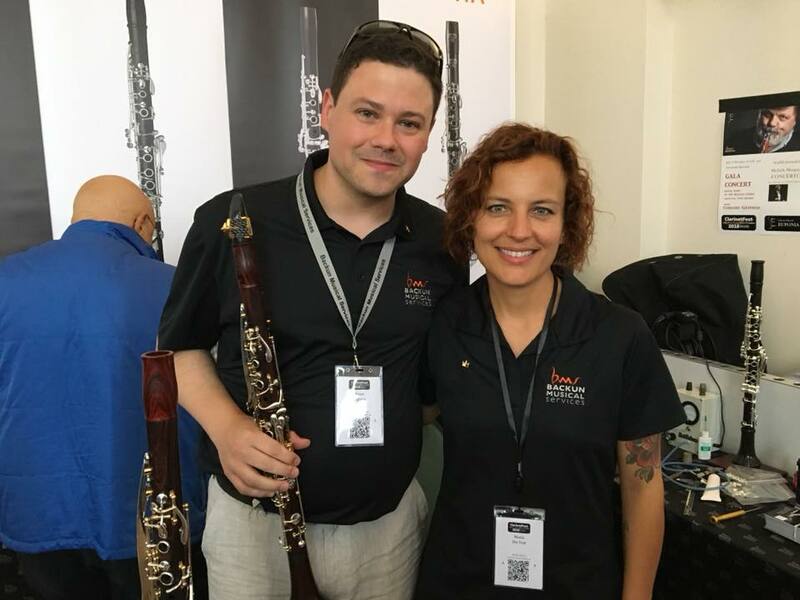 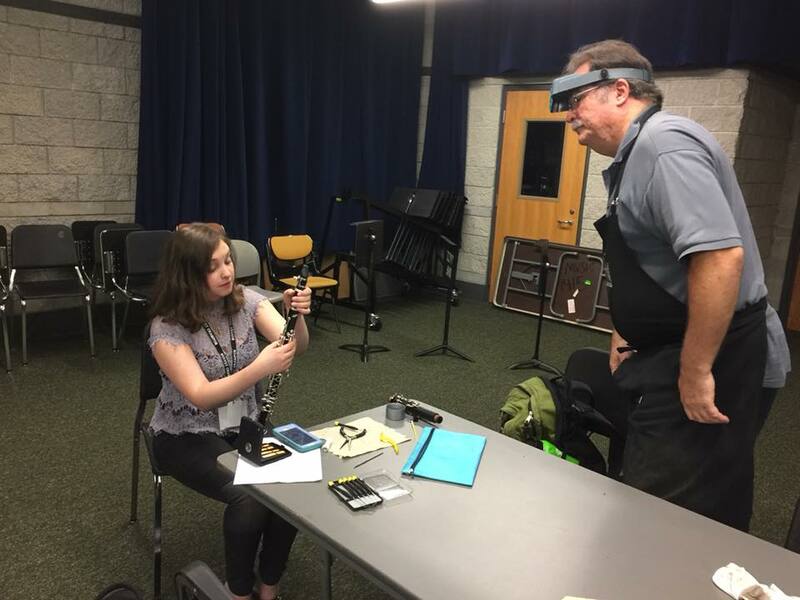 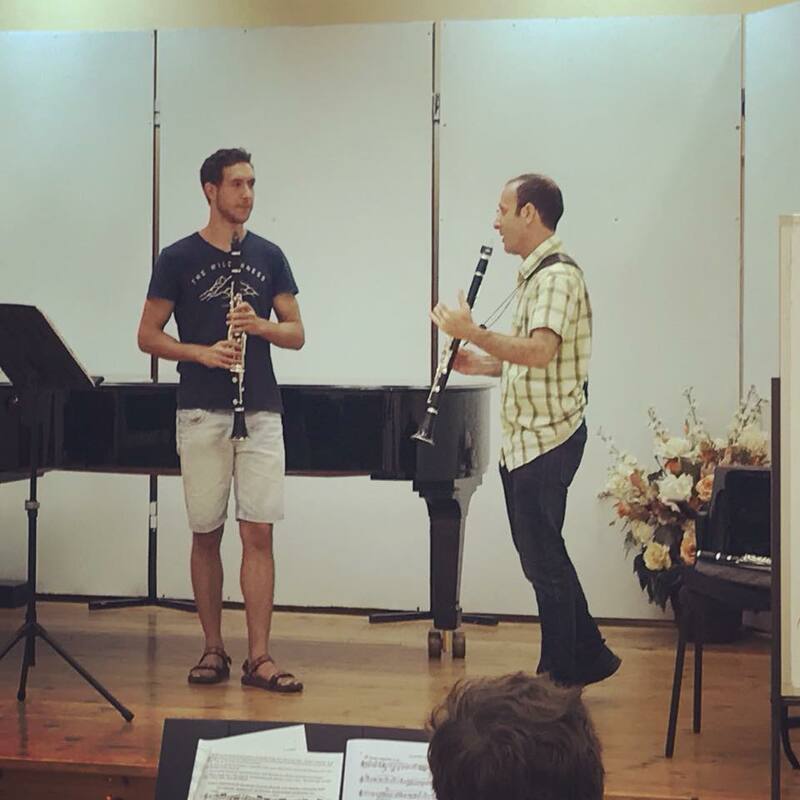 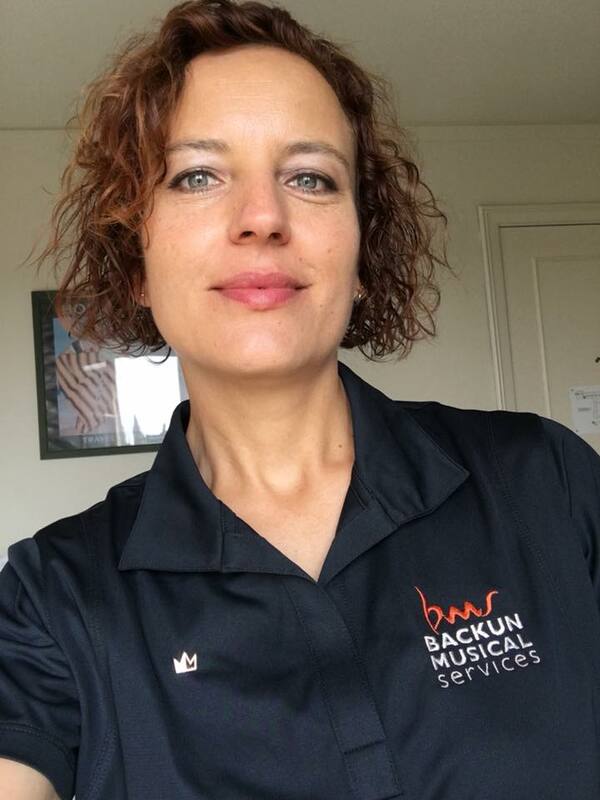 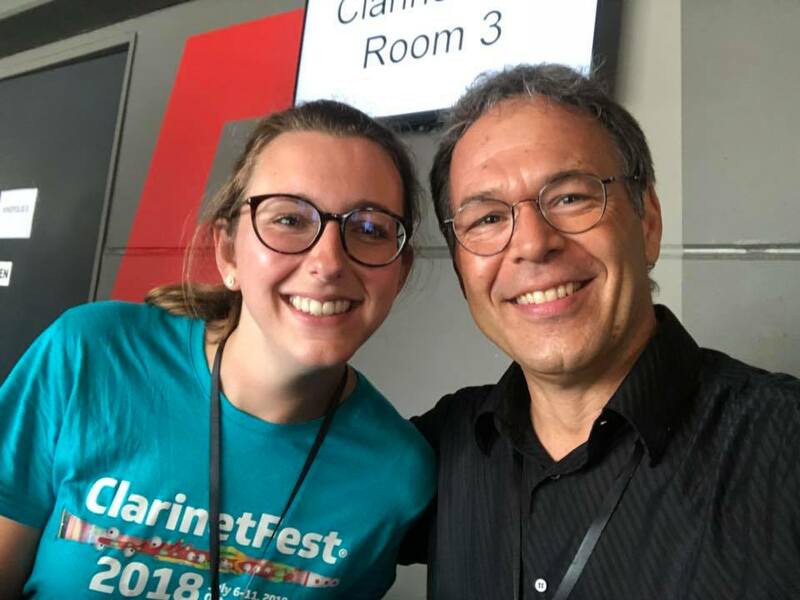 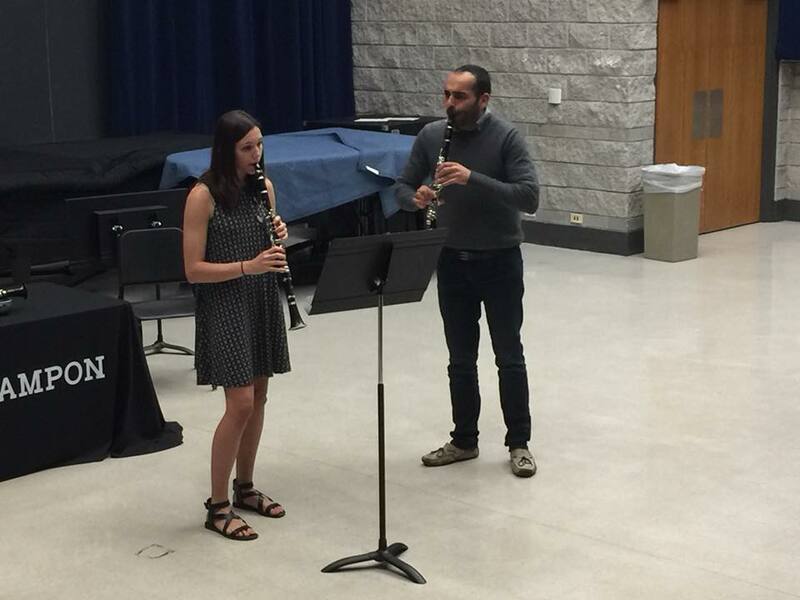 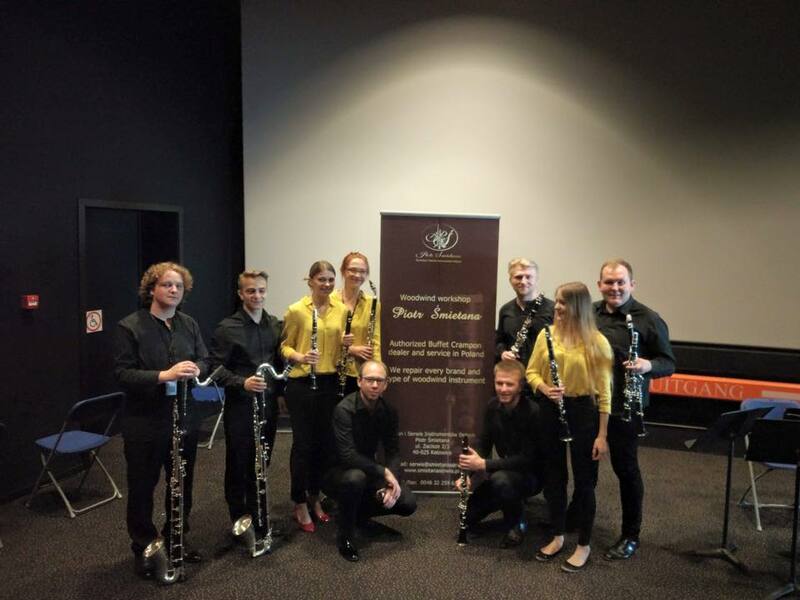 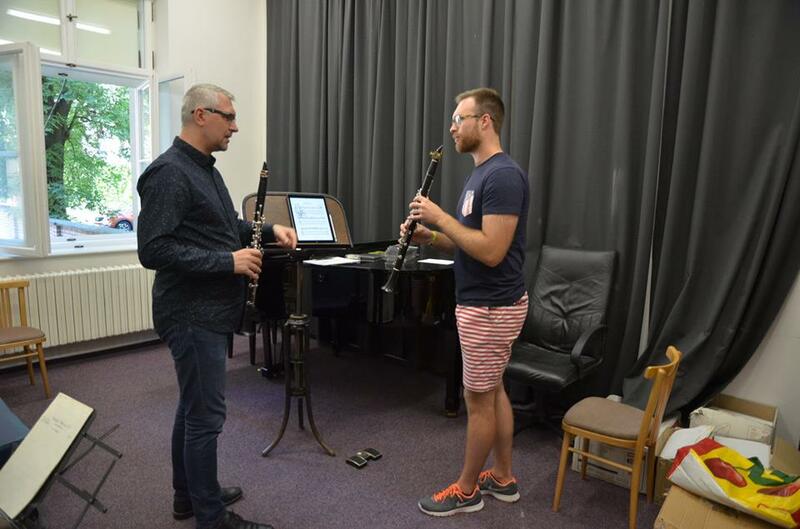 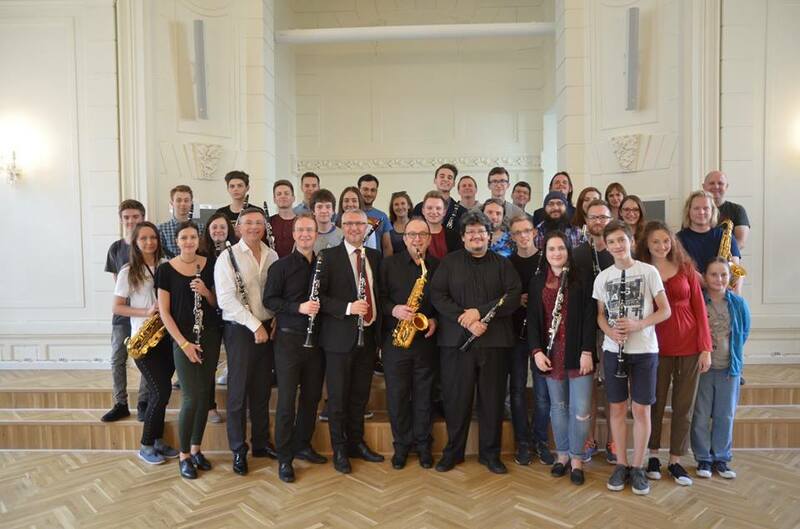 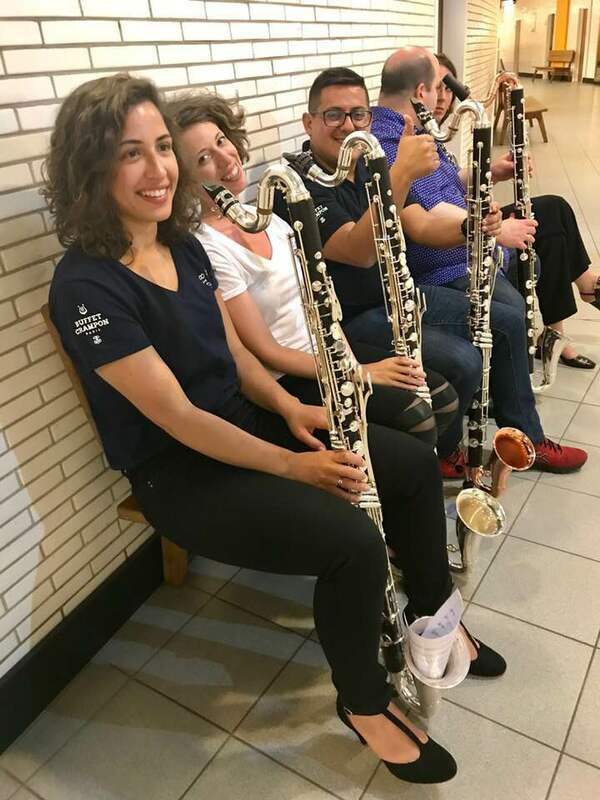 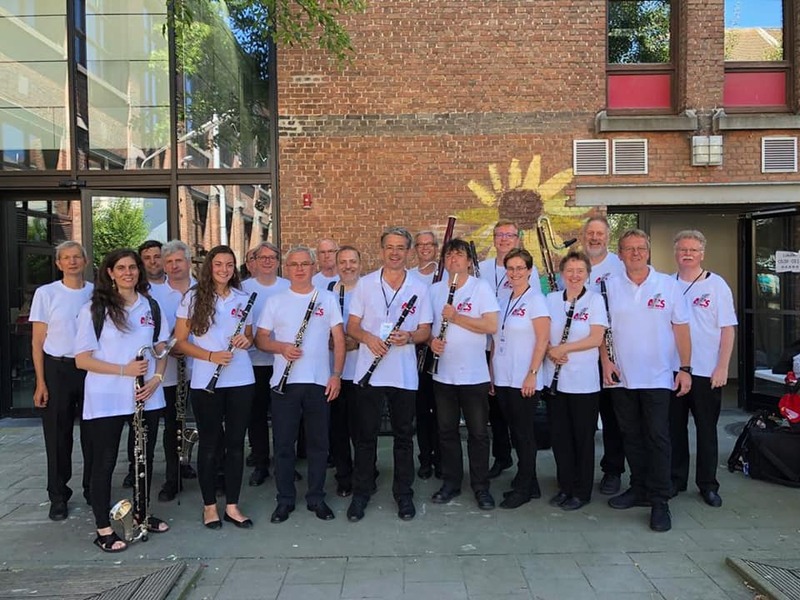 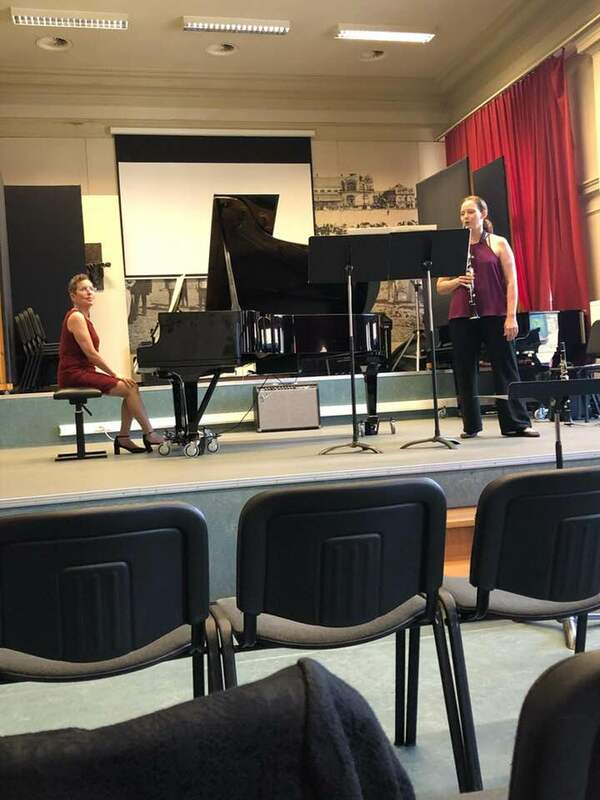 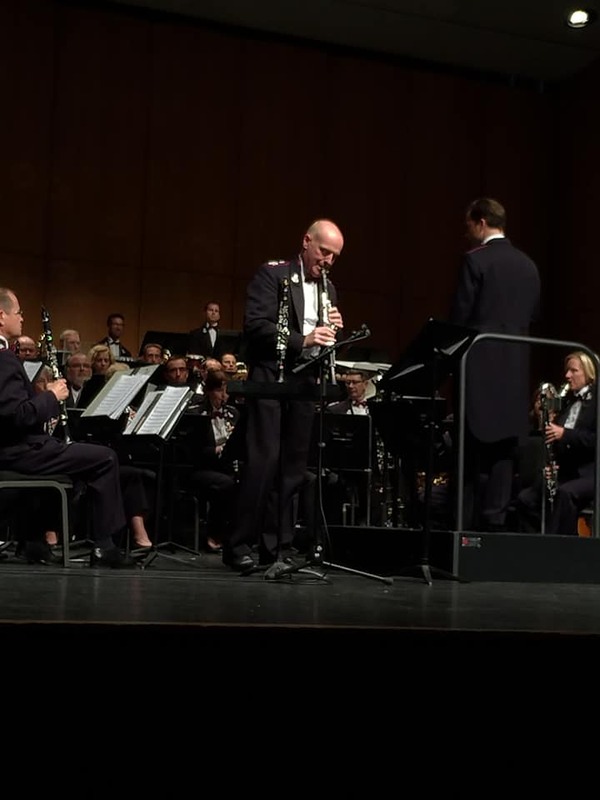 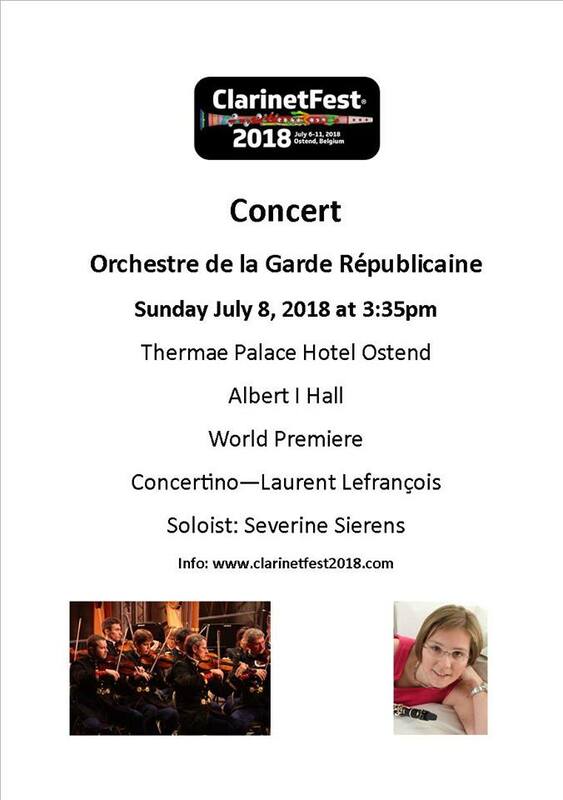 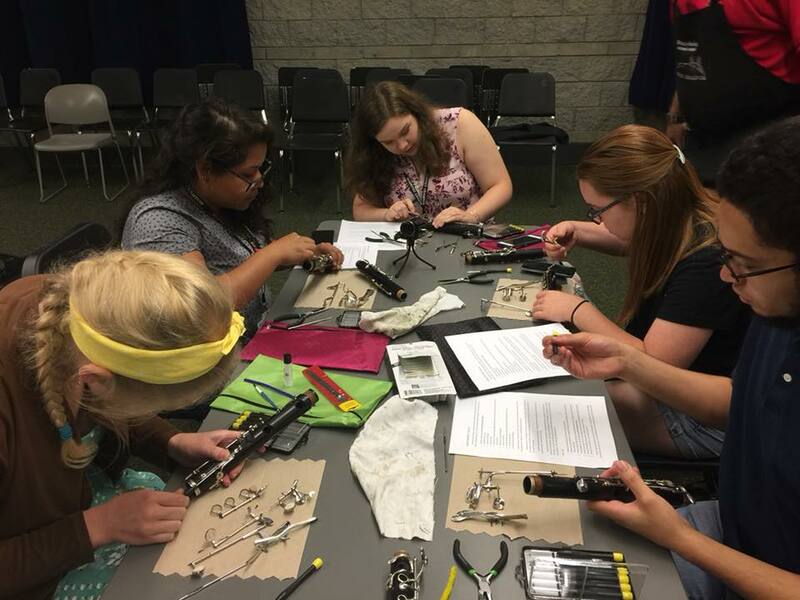 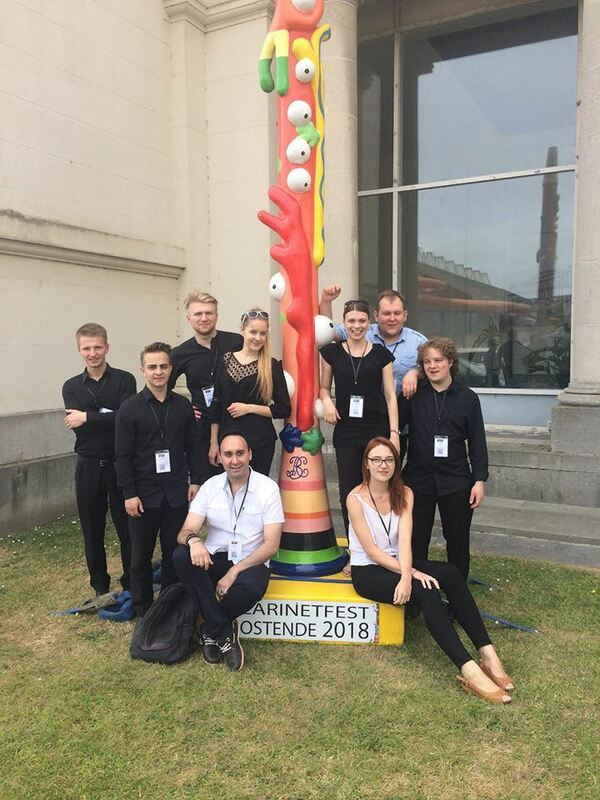 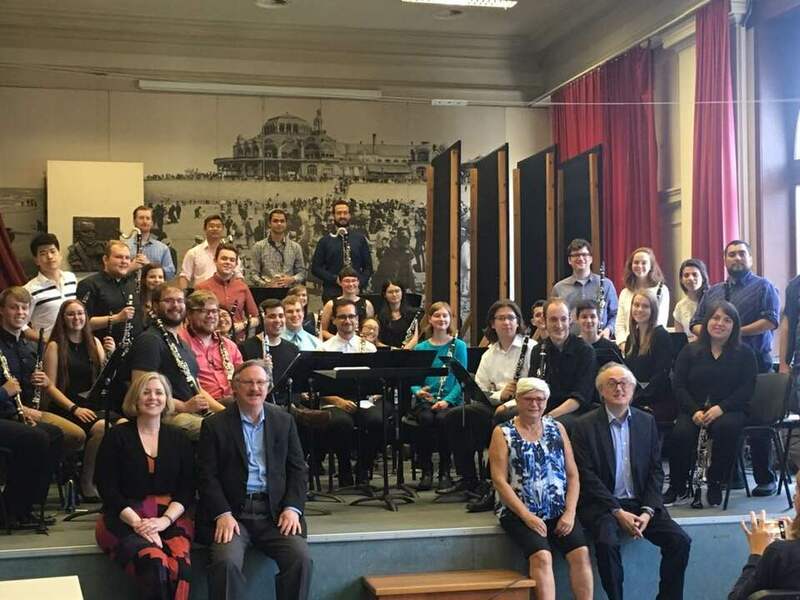 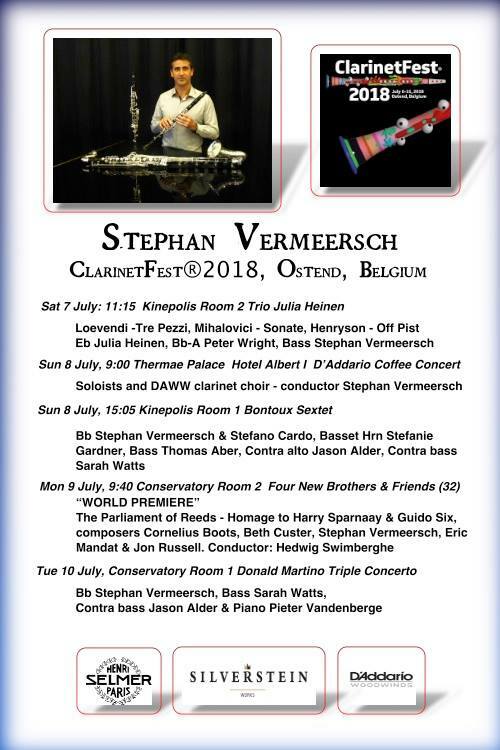 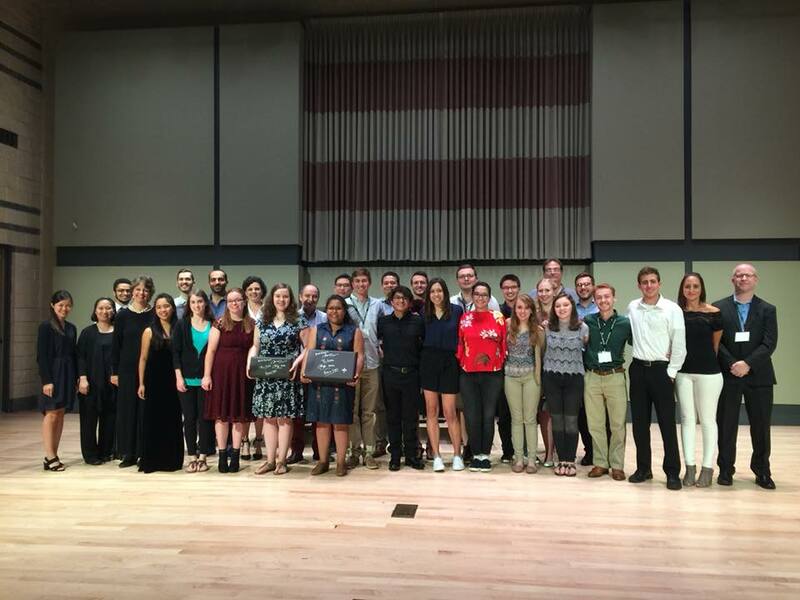 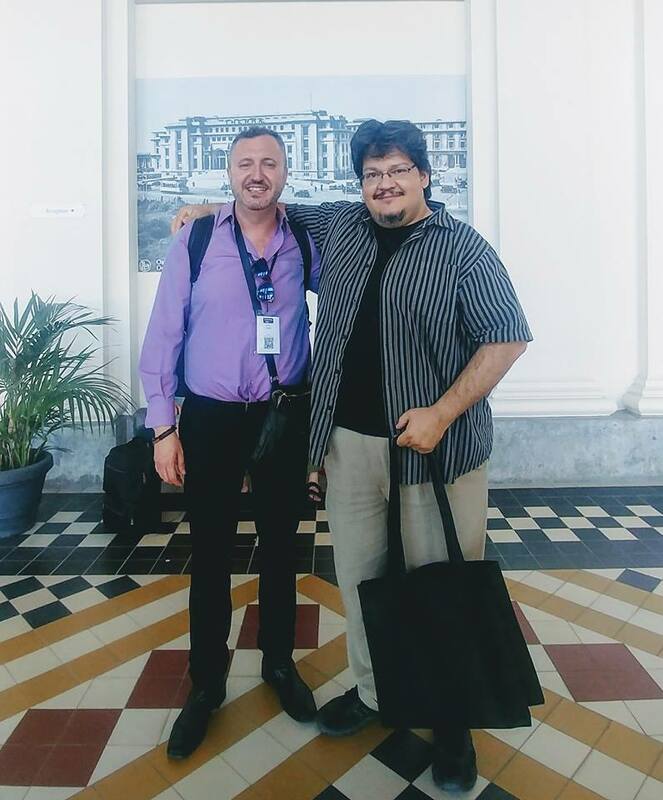 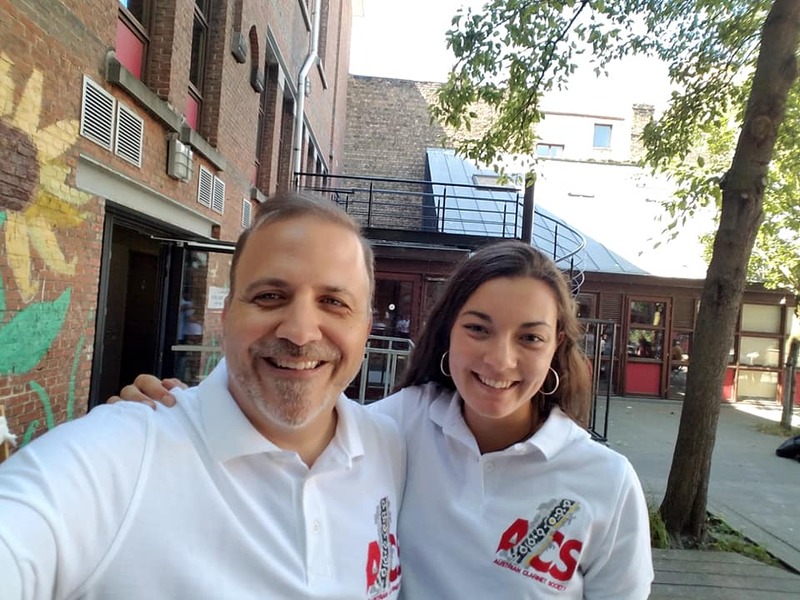 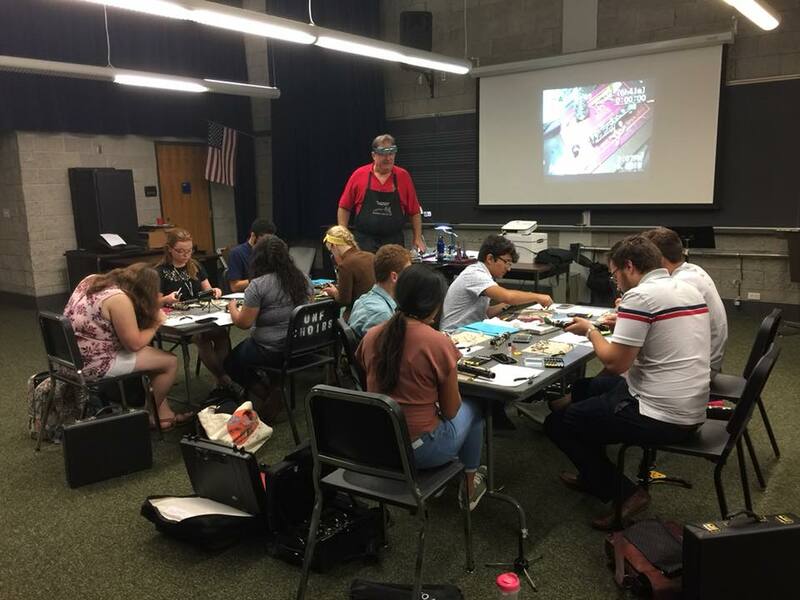 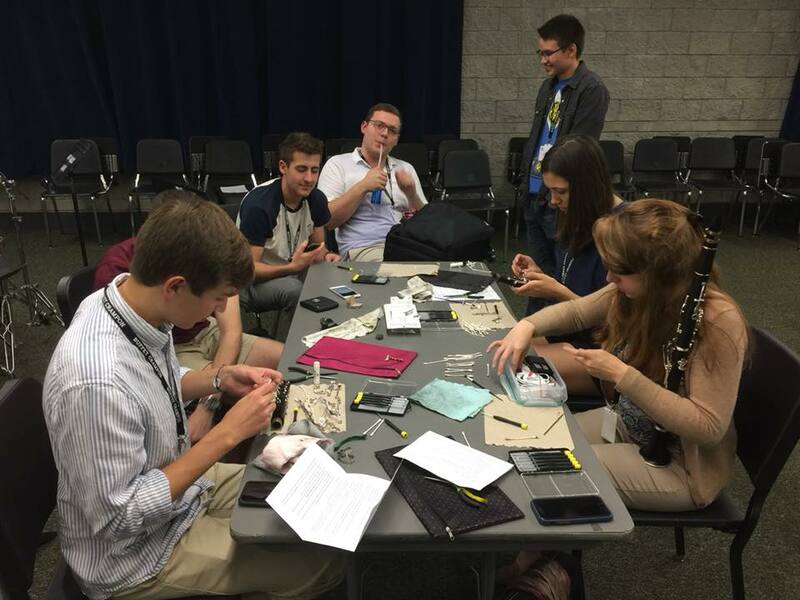 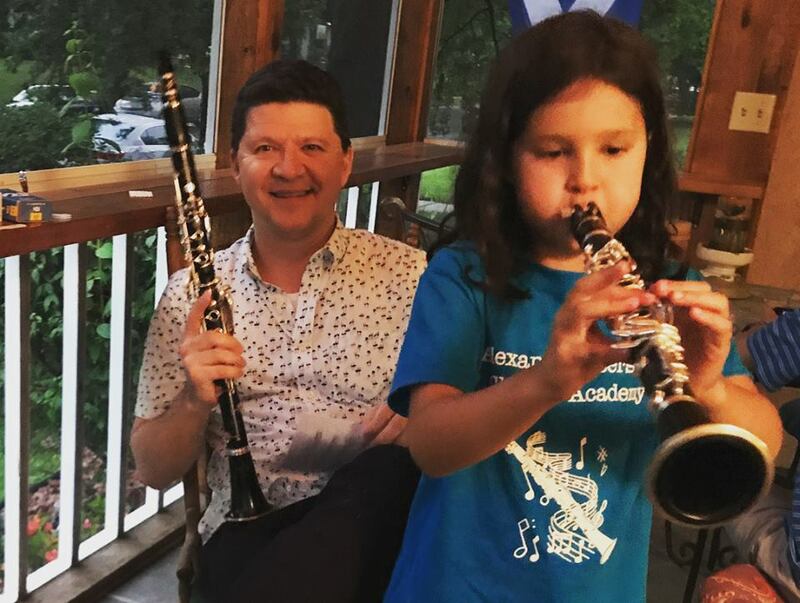 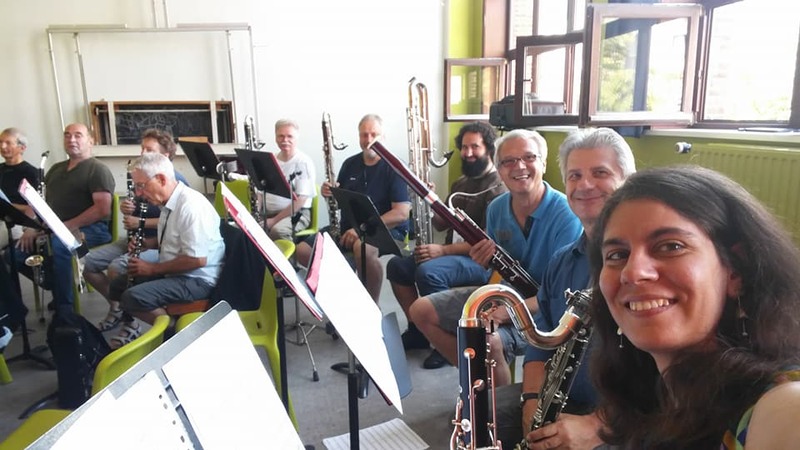 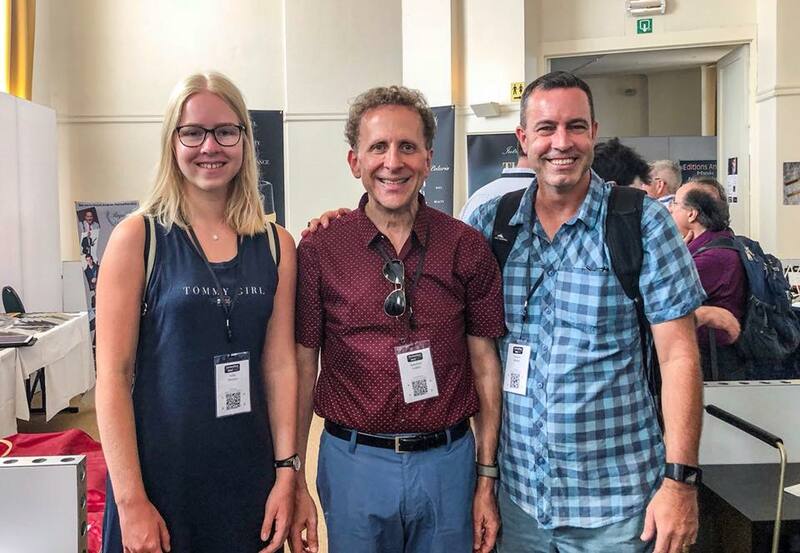 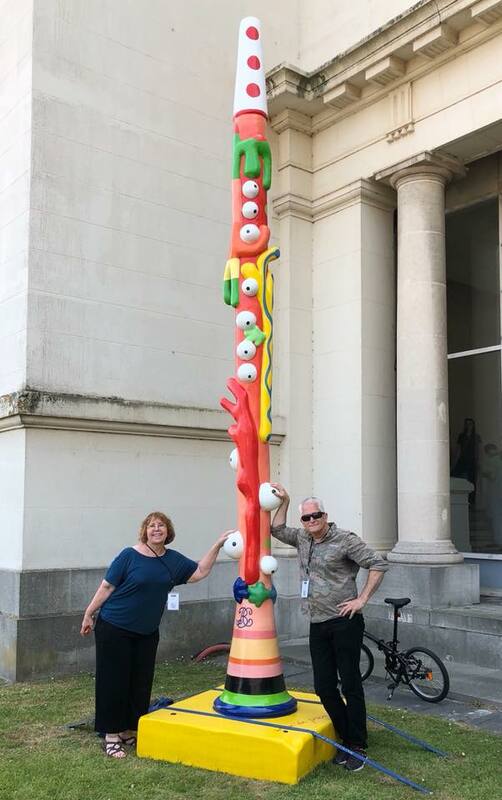 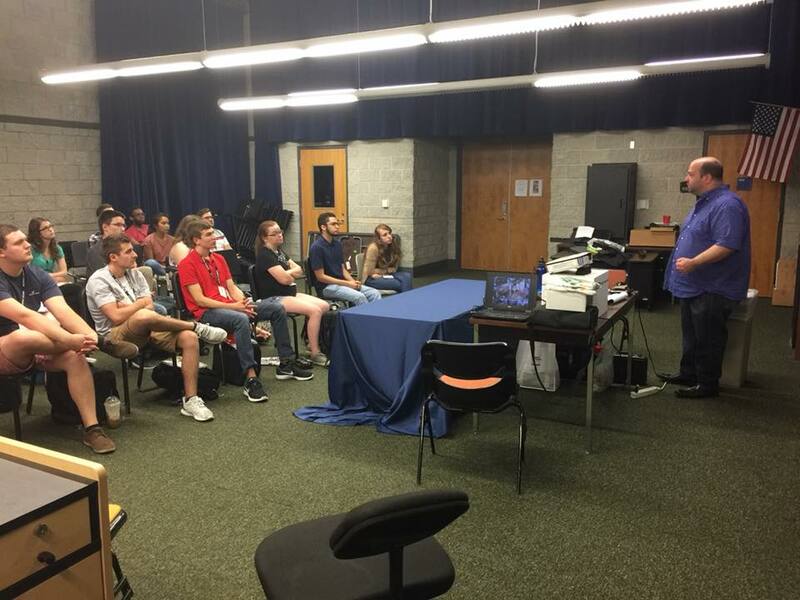 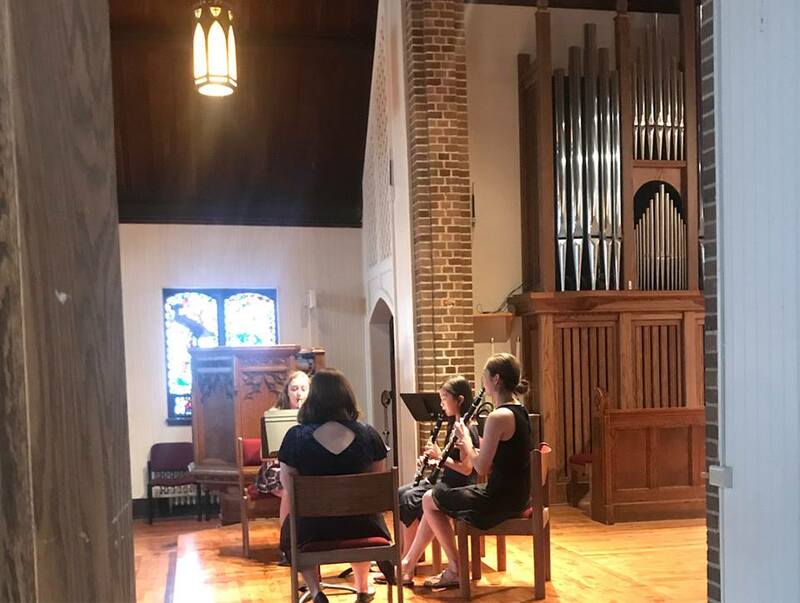 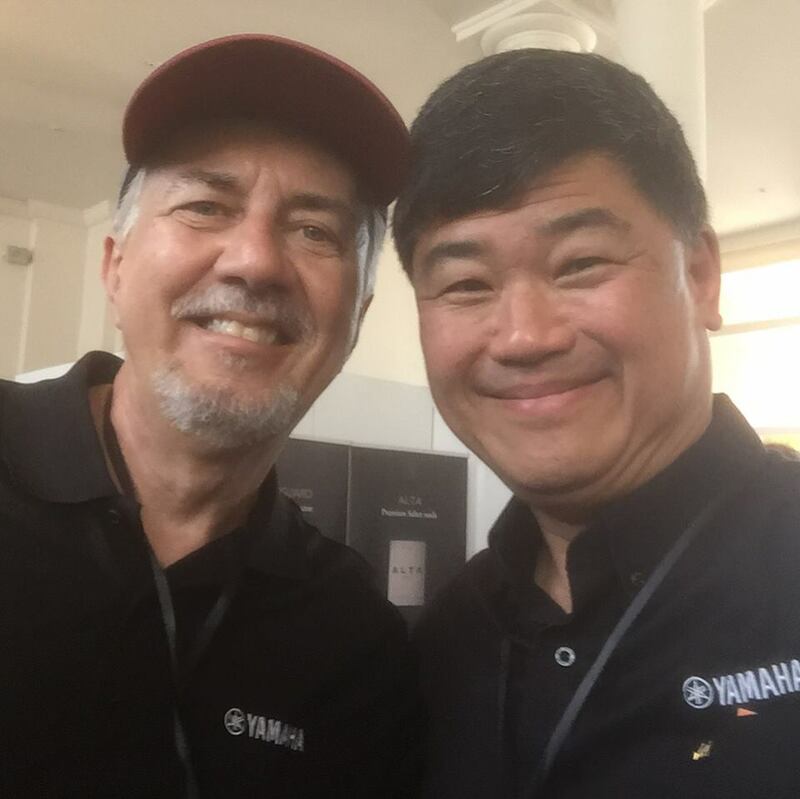 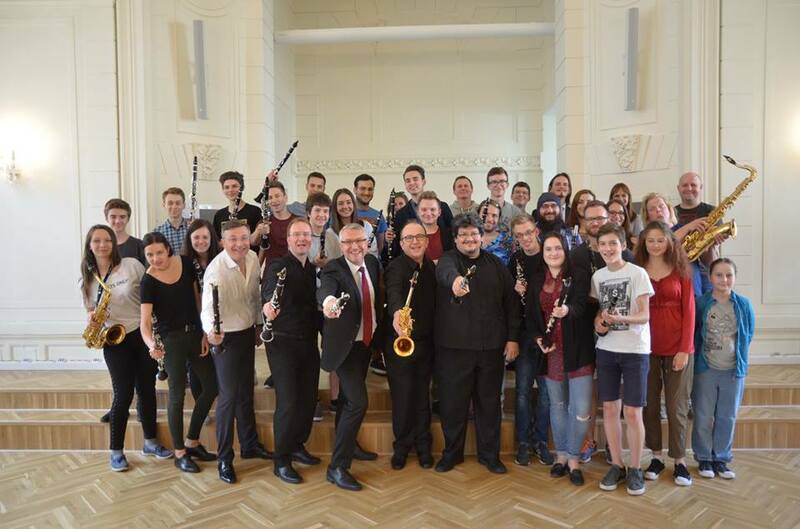 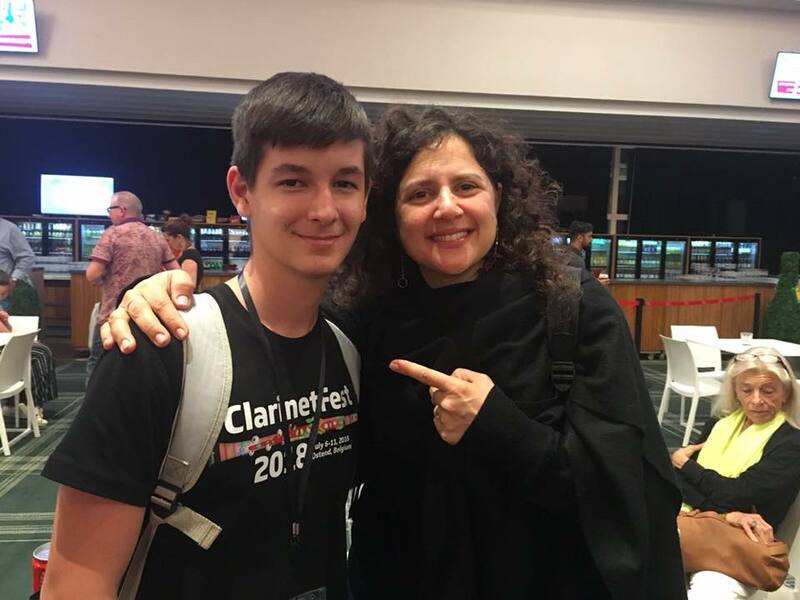 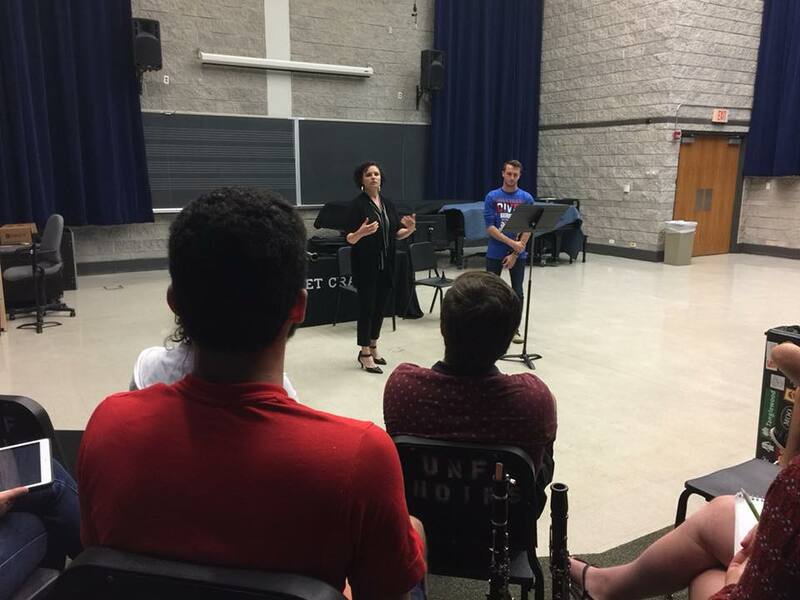 Through CCOM International Clarinet Festival, continuously learning, communicating and showing ourselves, making us really become an important role in the international clarinet playing. 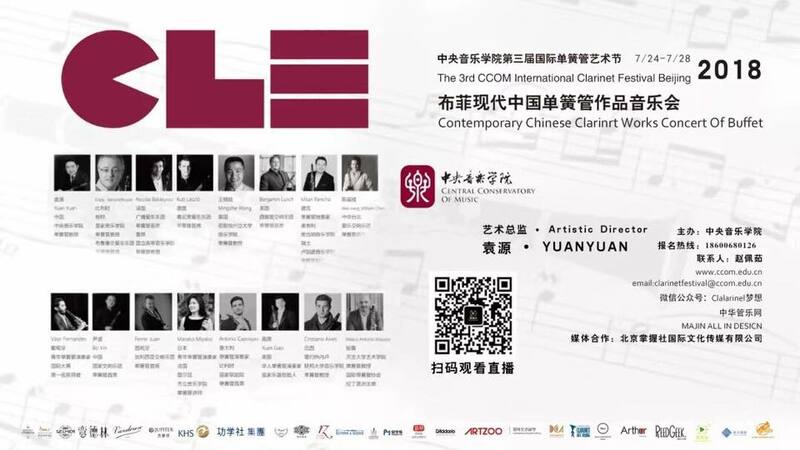 Hereby, on behalf of the Organizing Committee. 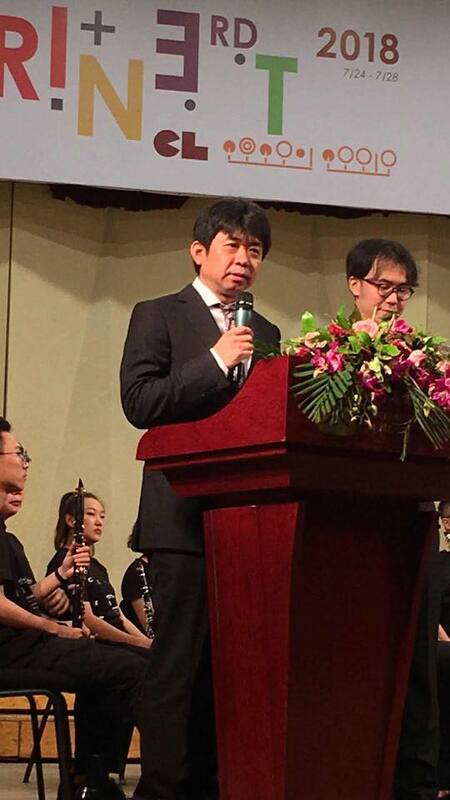 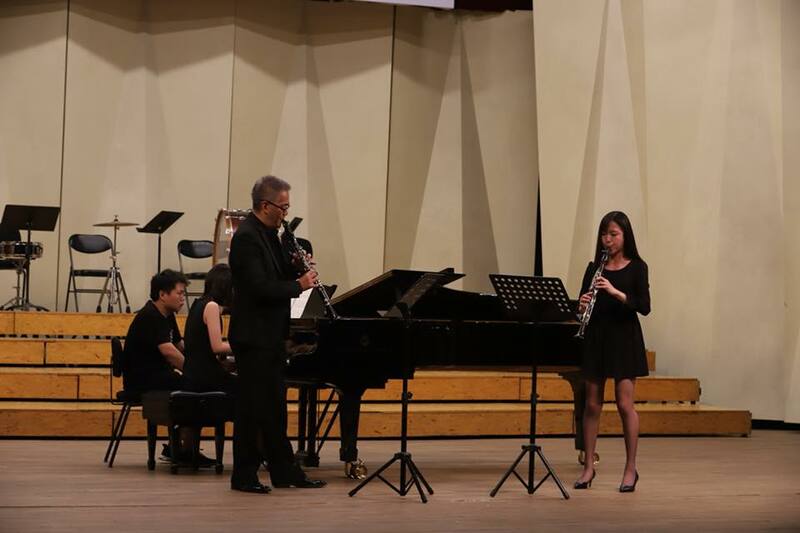 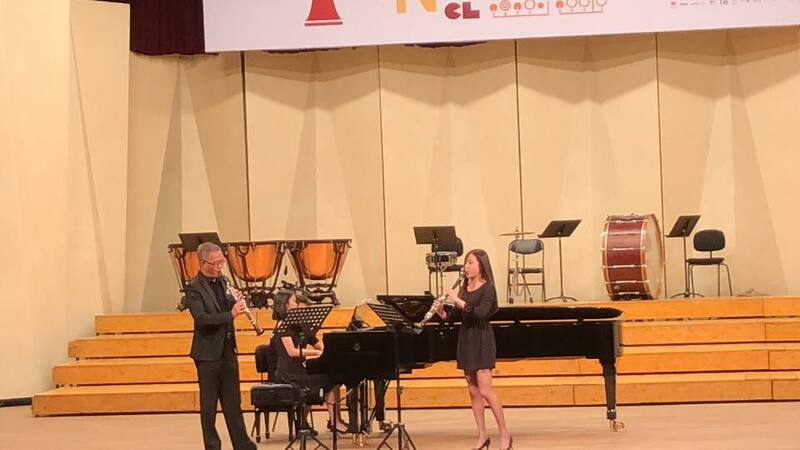 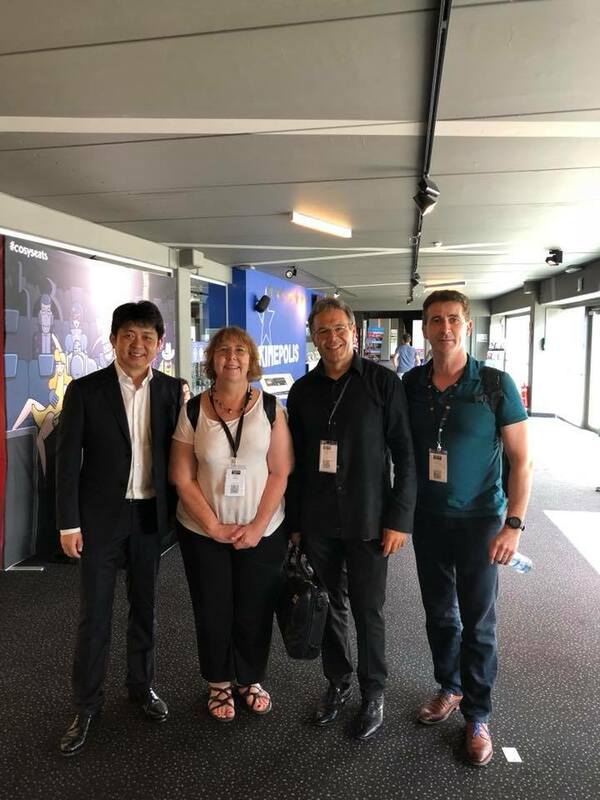 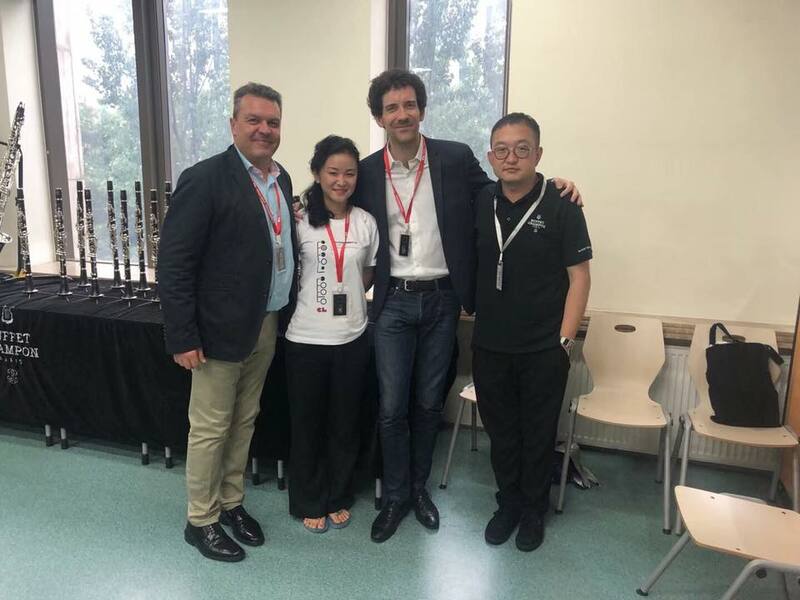 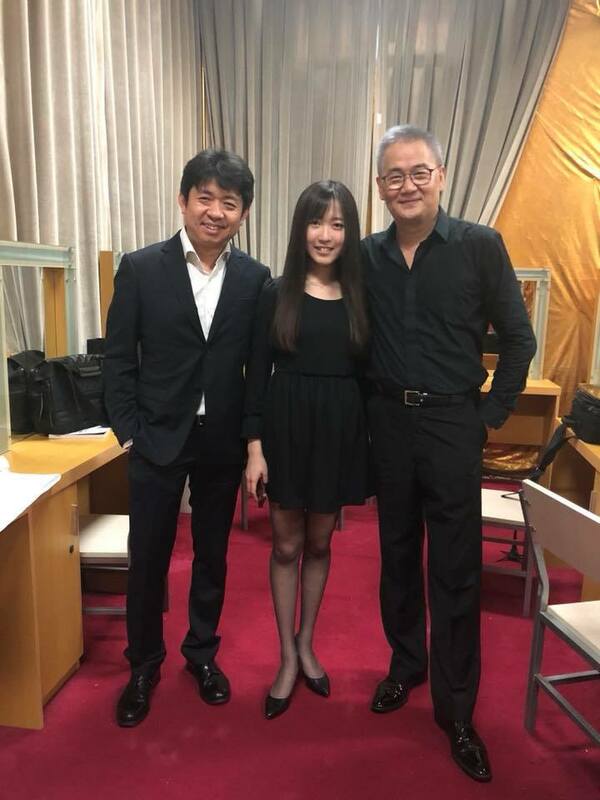 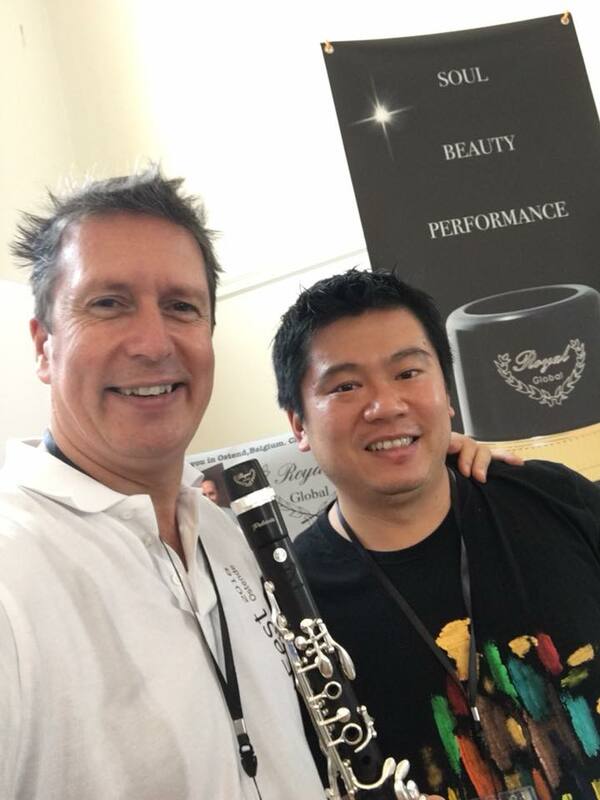 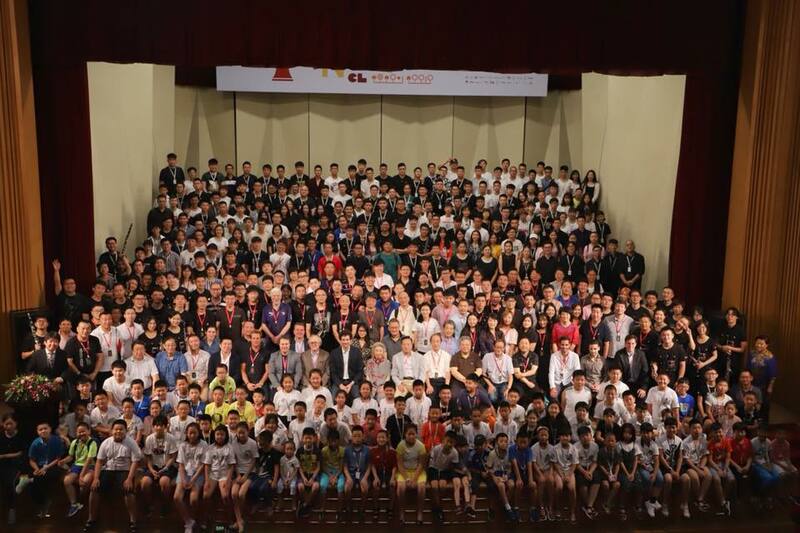 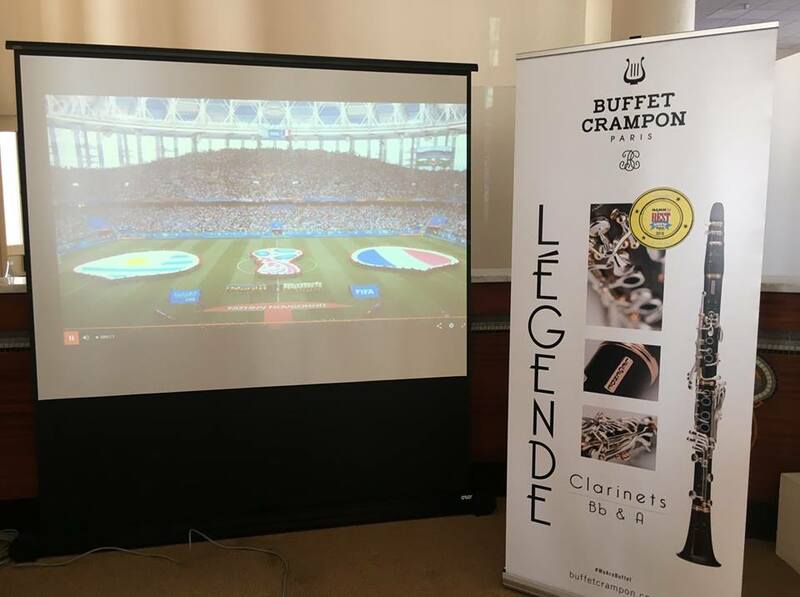 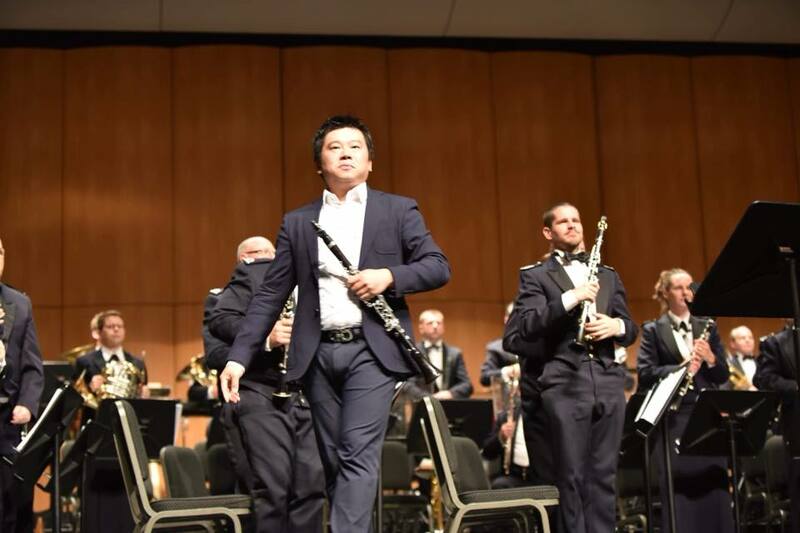 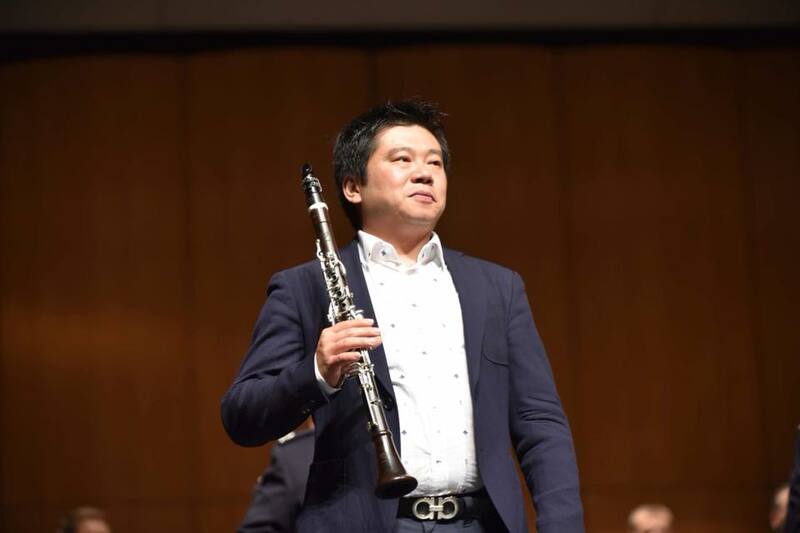 Thank the Chinese clarinetists who played on the Marathon Concert, we created a new Chinese clarinet history together, each one of them showed the audience a very high playing level, they are the representative of Chinese clarinet playing level. 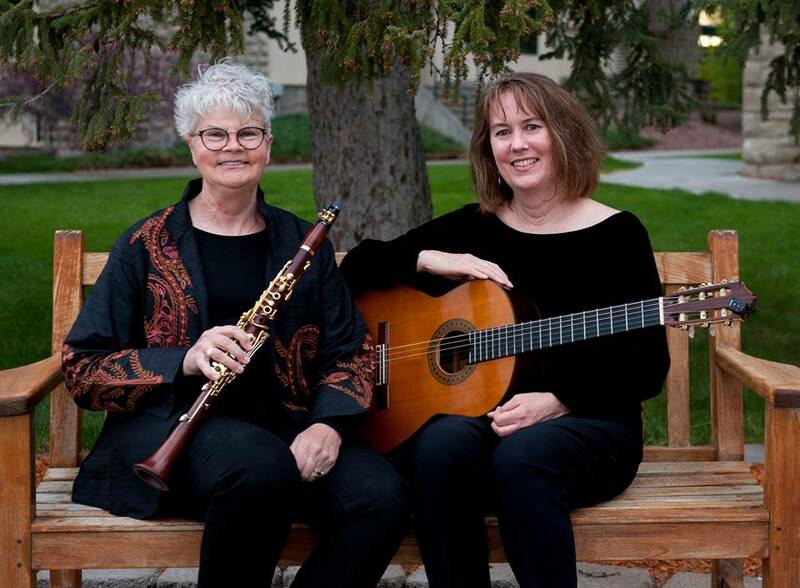 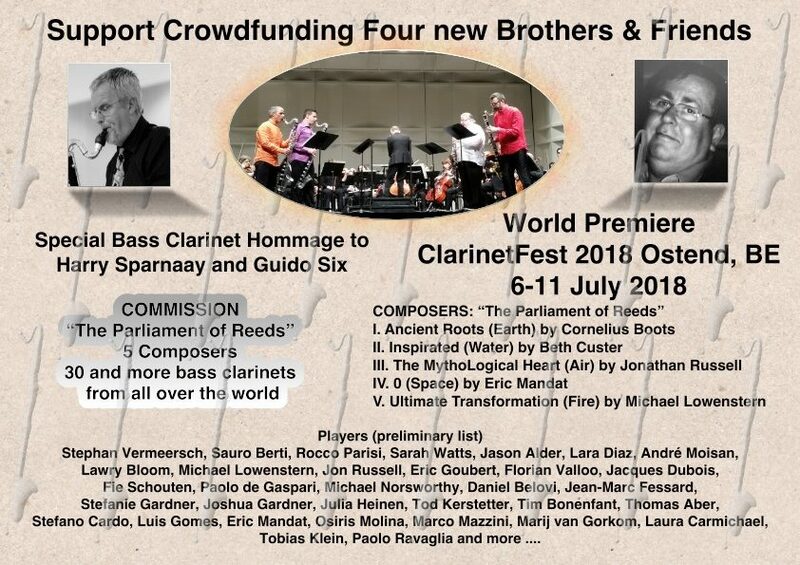 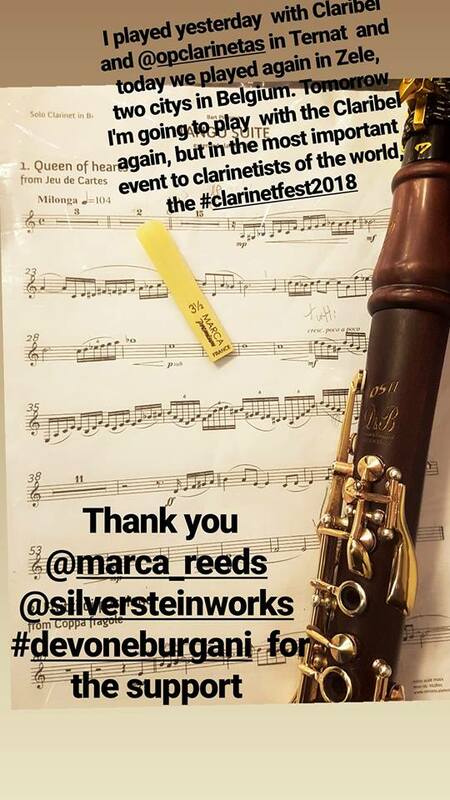 And because of their participation, we communicate from each other, promoting our friendship, devoting ourselves to the Chinese clarinet playing cause. 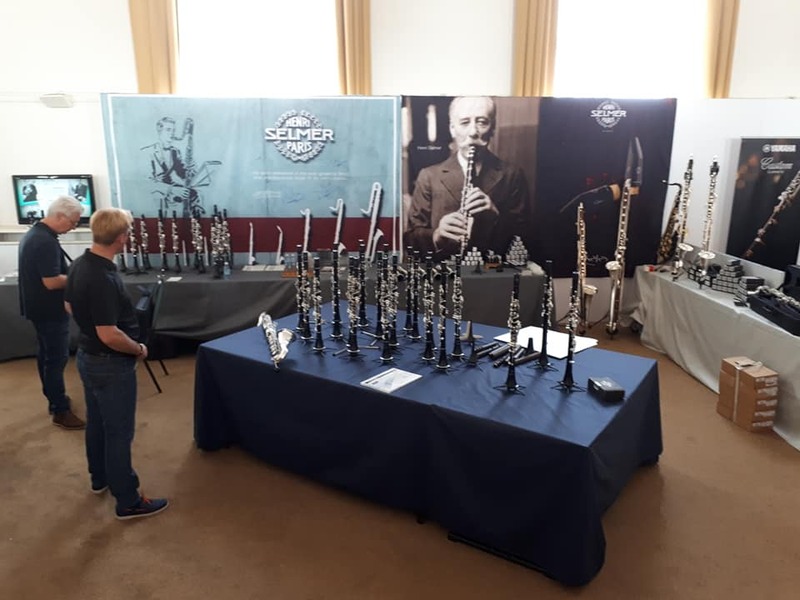 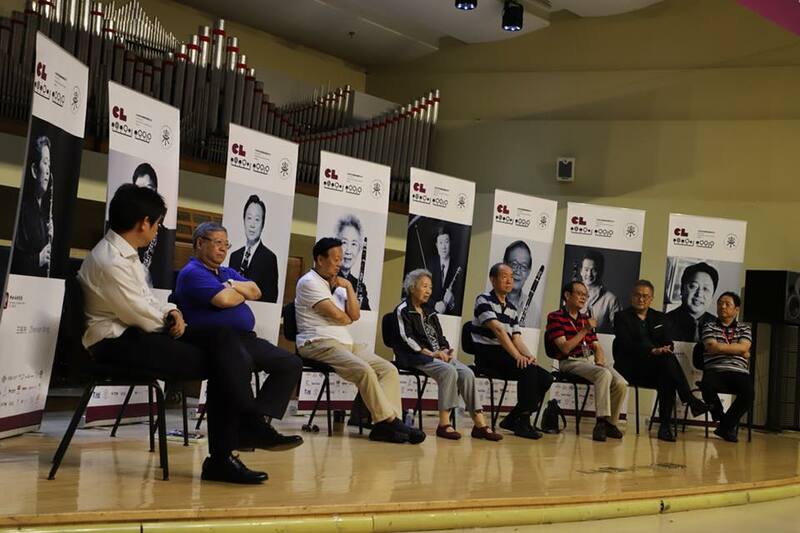 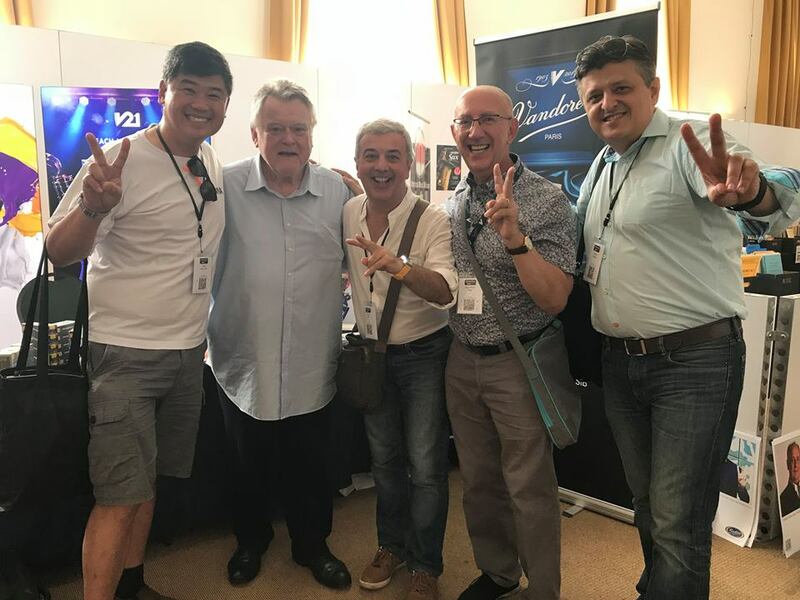 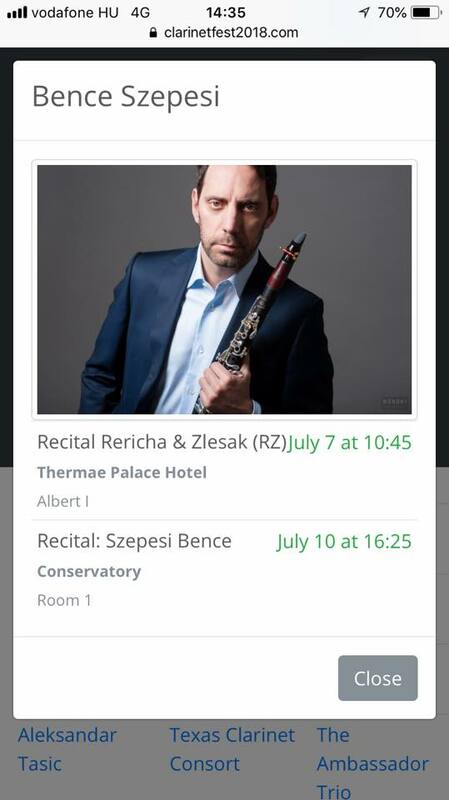 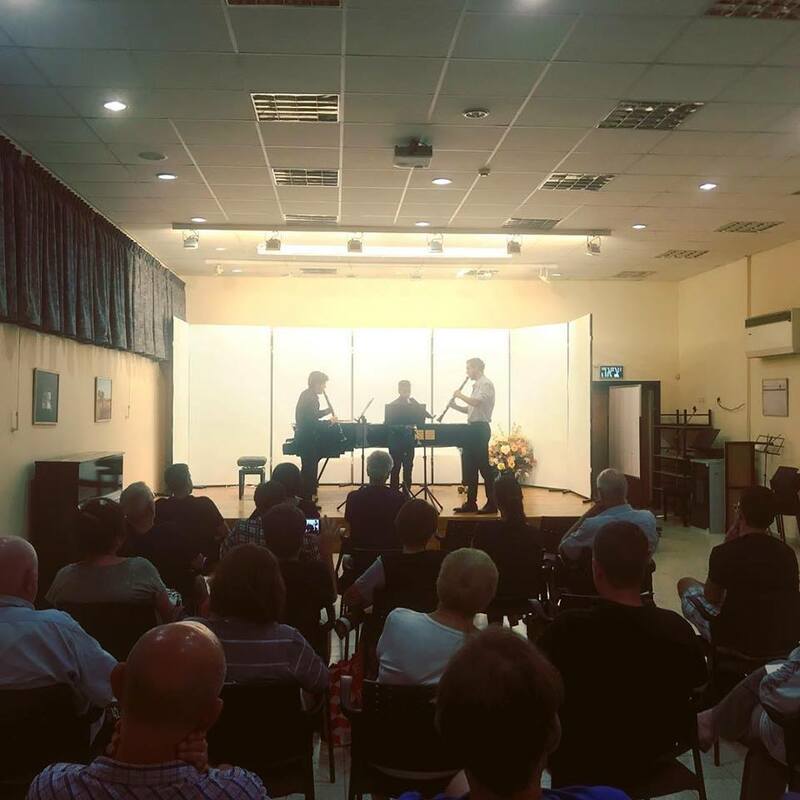 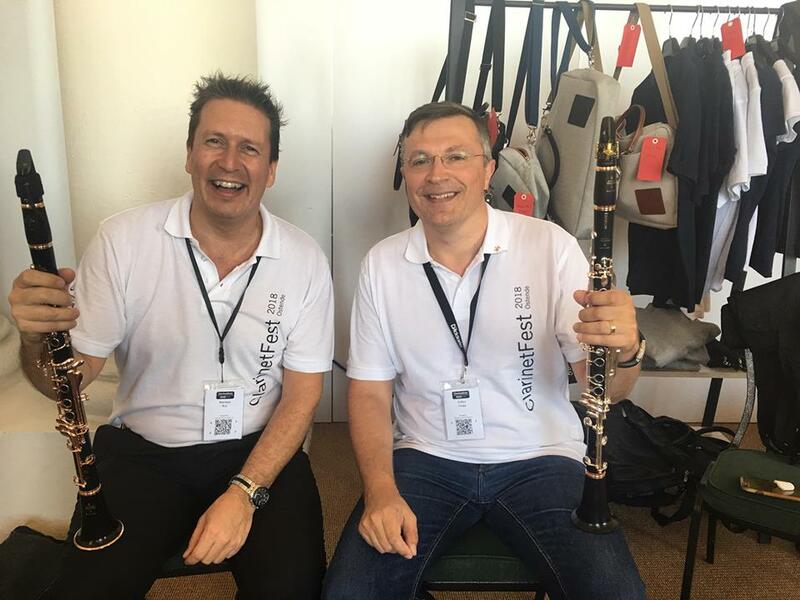 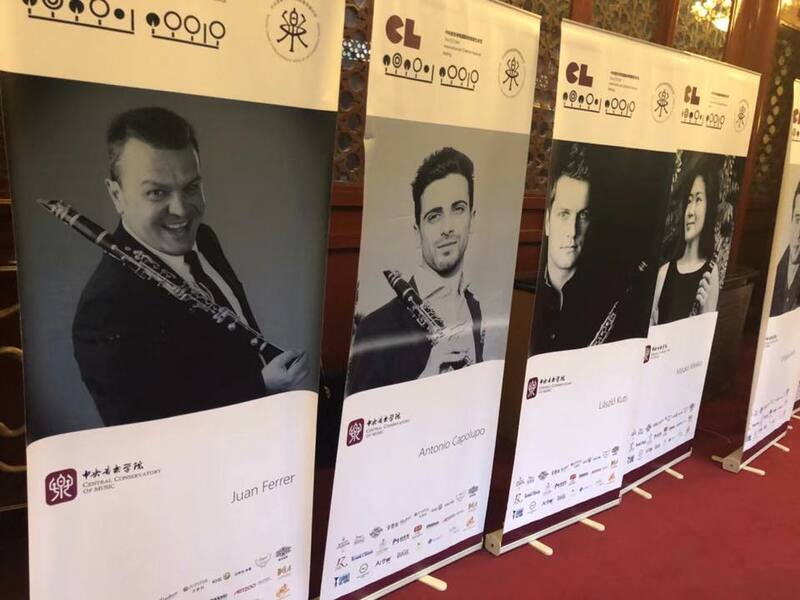 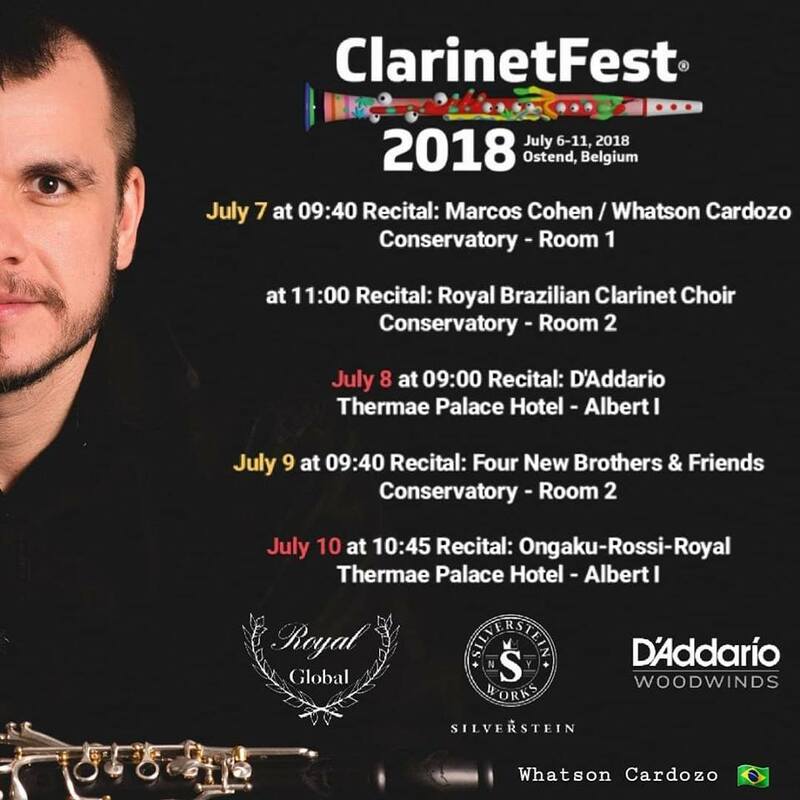 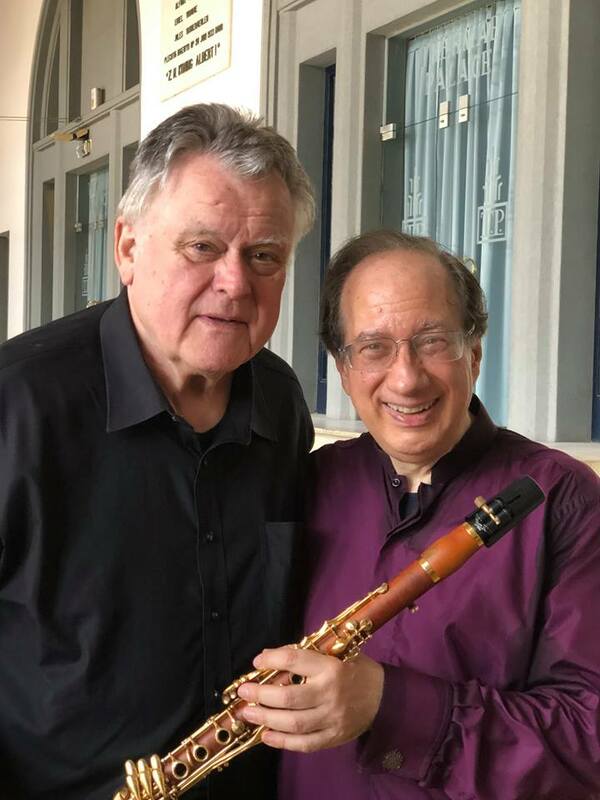 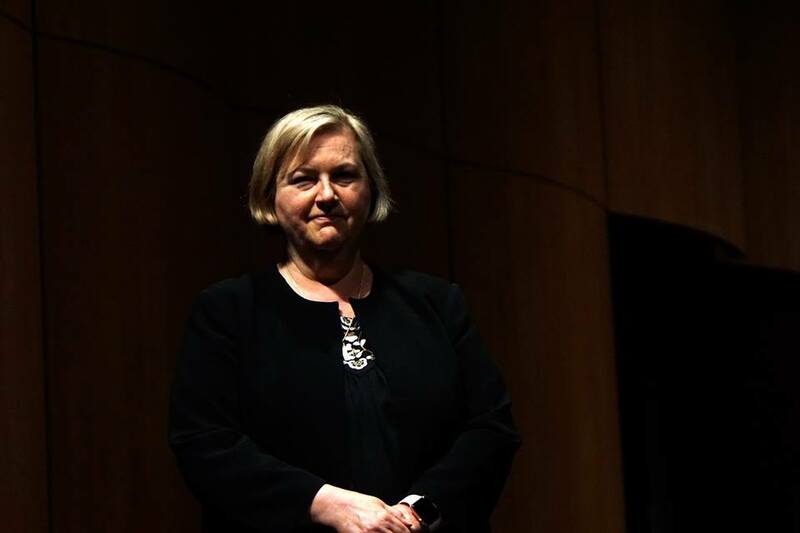 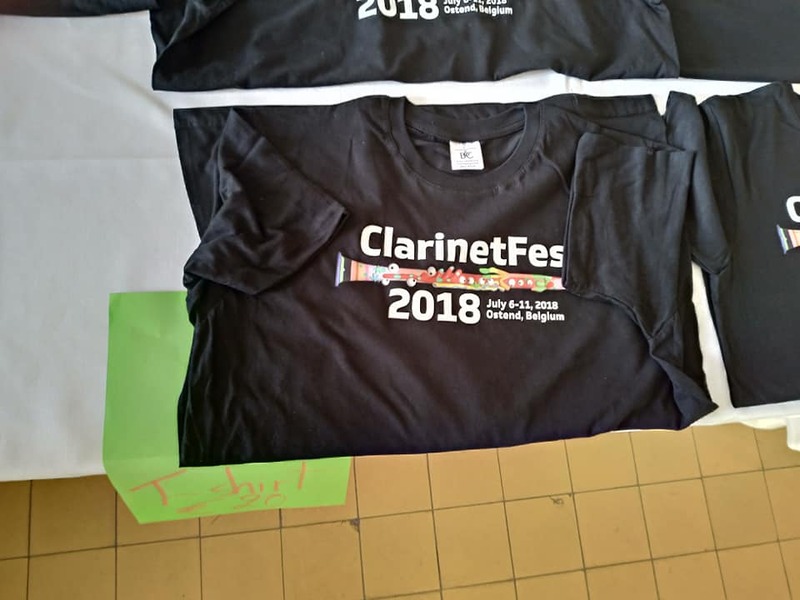 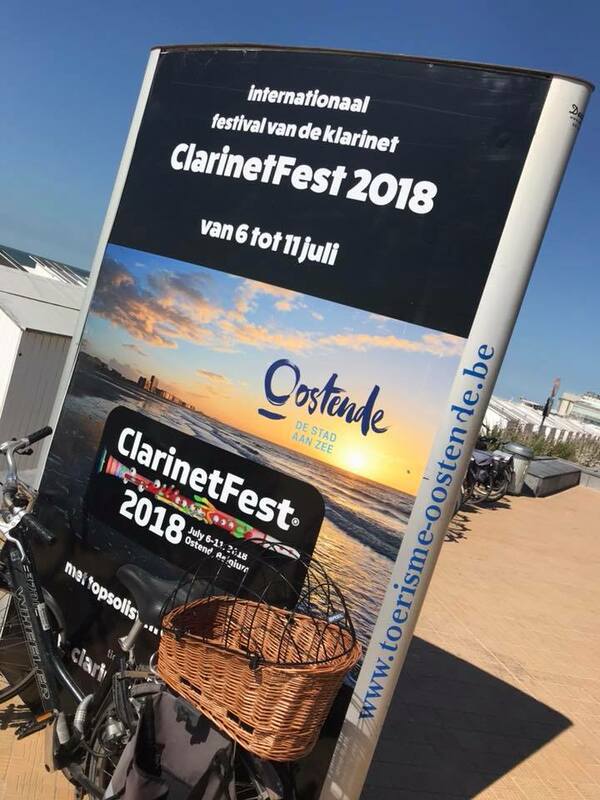 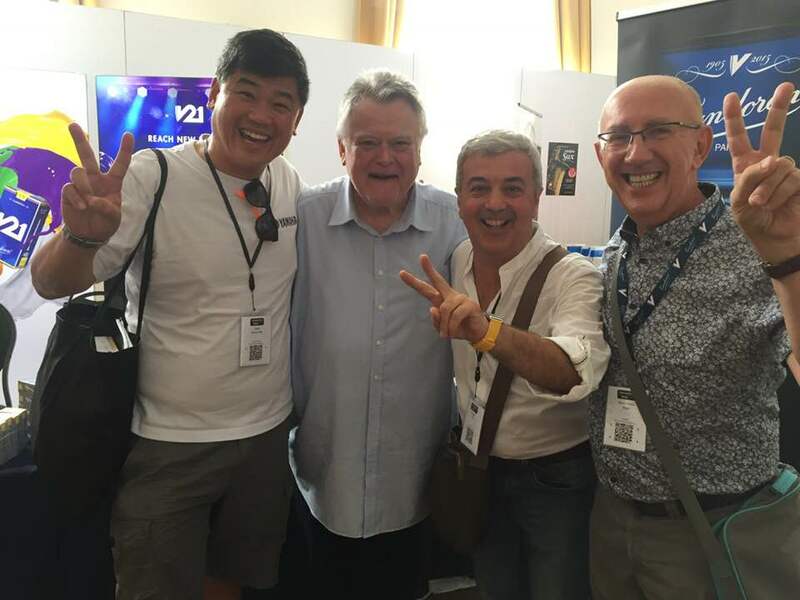 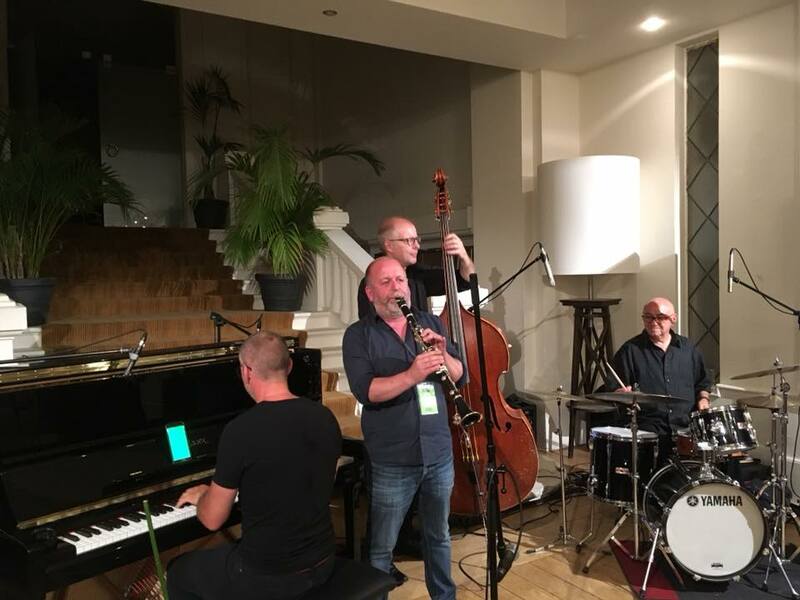 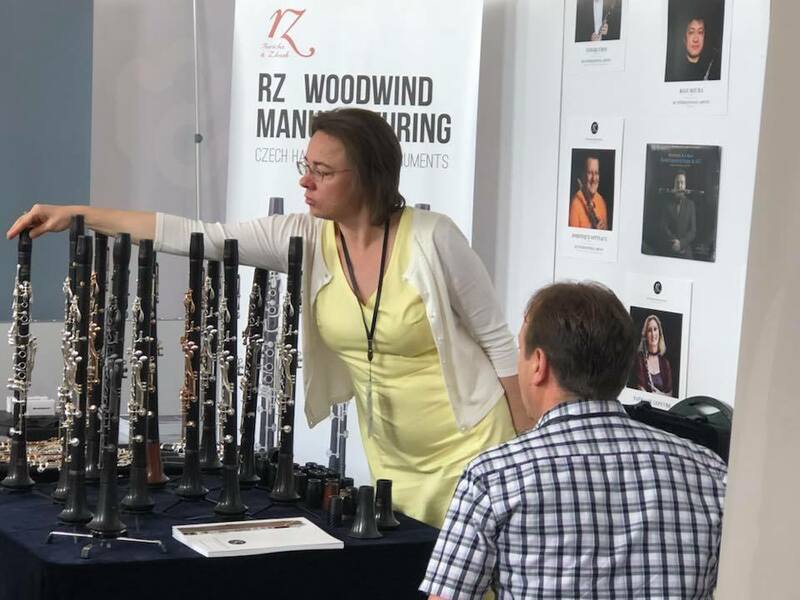 Thank the maestros who gave us fantastic and impressive recitals, they brought us different styles, different culture clarinet music, their playing pushed our festival into climax, as well as closer the distance between Chinese clarinetistry and World clarinetistry. 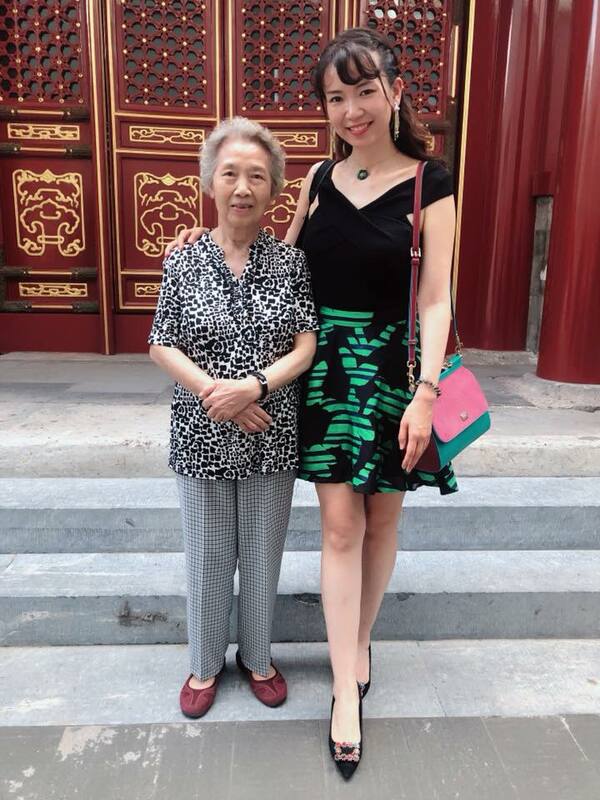 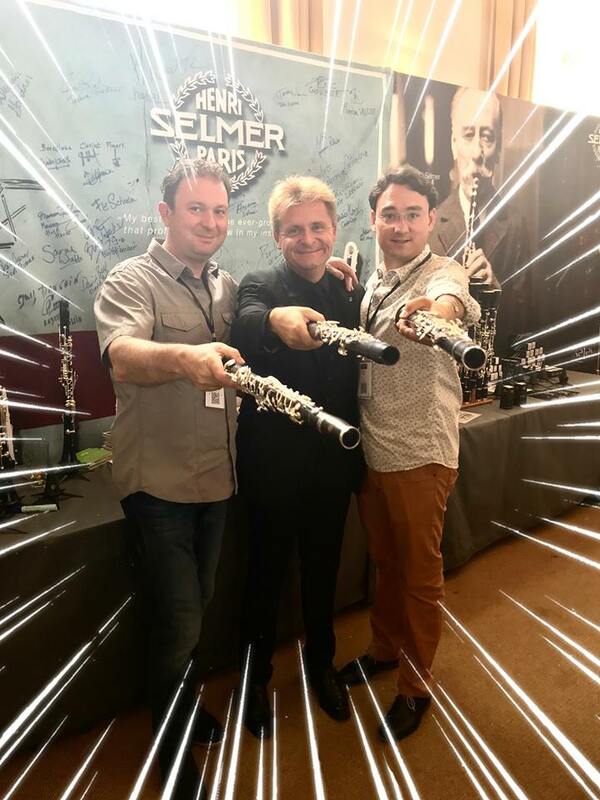 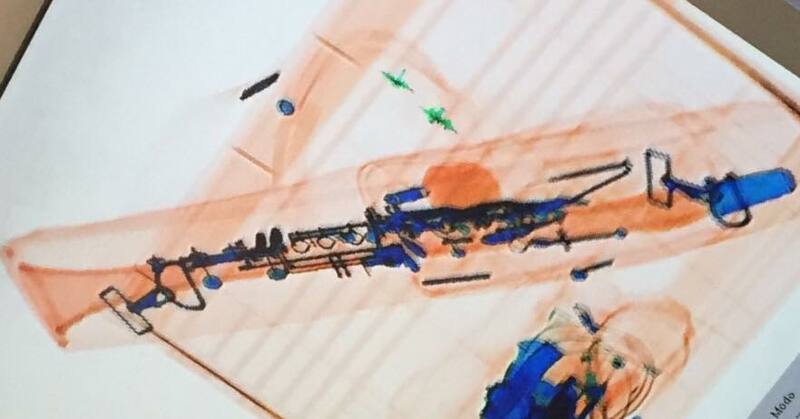 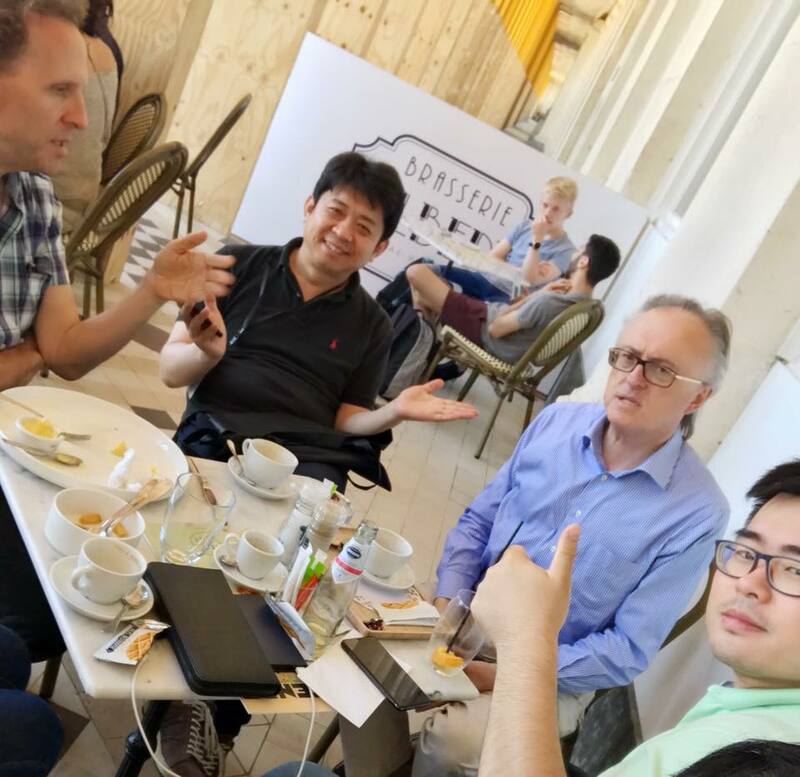 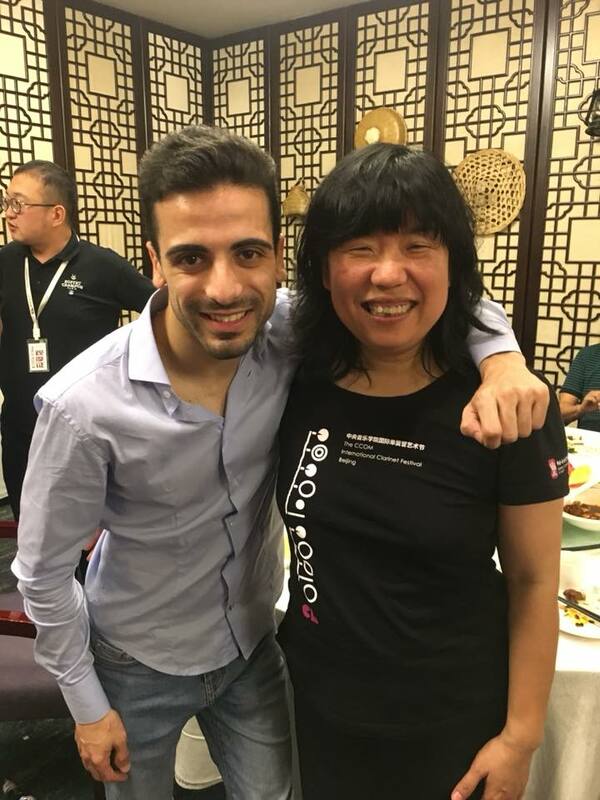 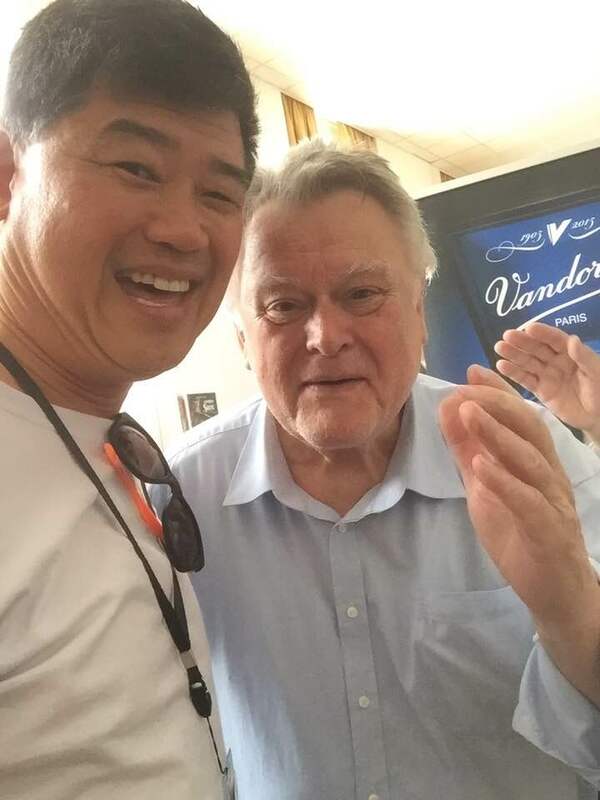 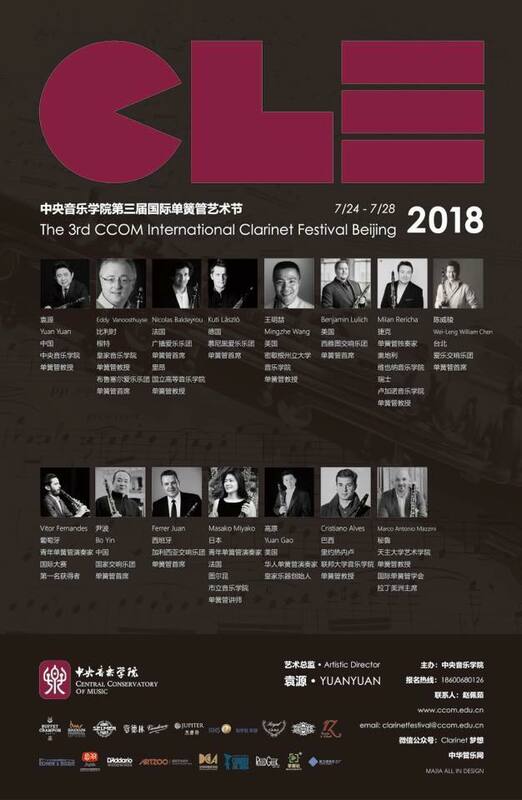 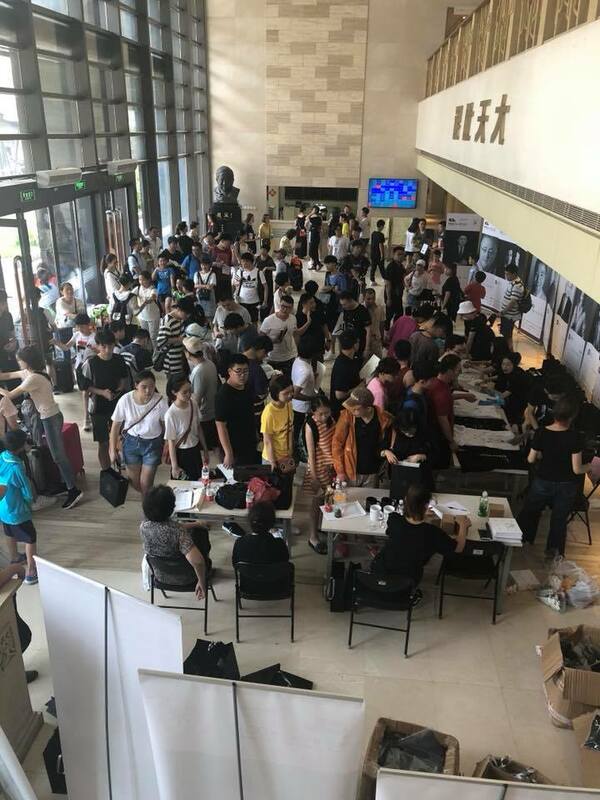 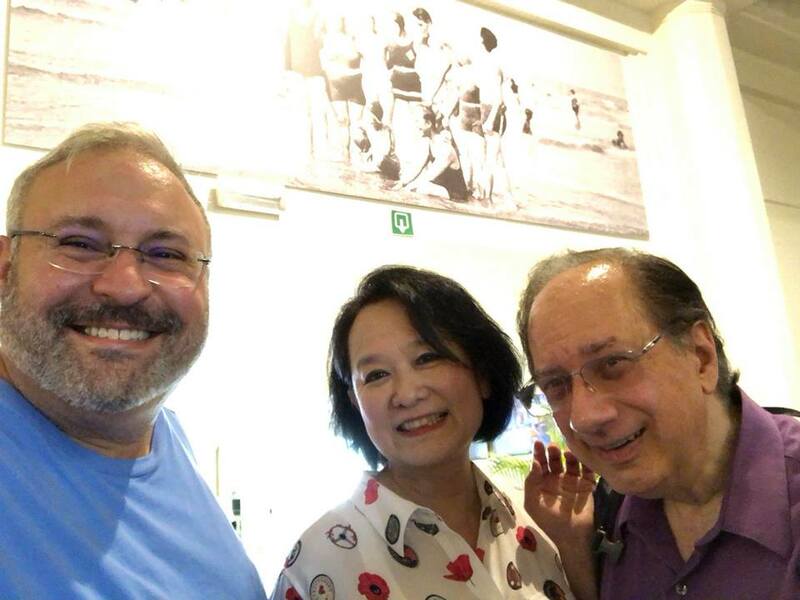 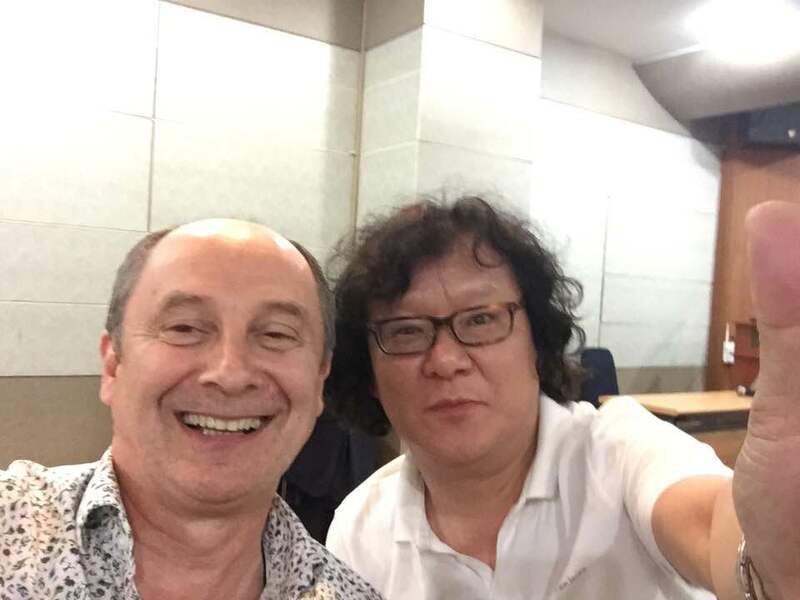 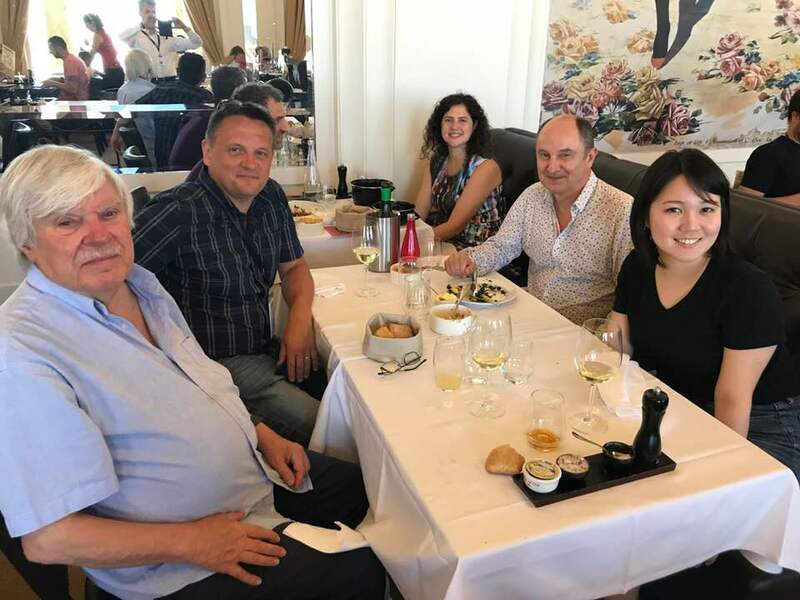 In the meantime we wish them could know the situation and level of Chinese clarinet development, wish them like all of you, enjoy this festival, bring what they feel here back to their country, welcome more international clarinetists to China, to Beijing. 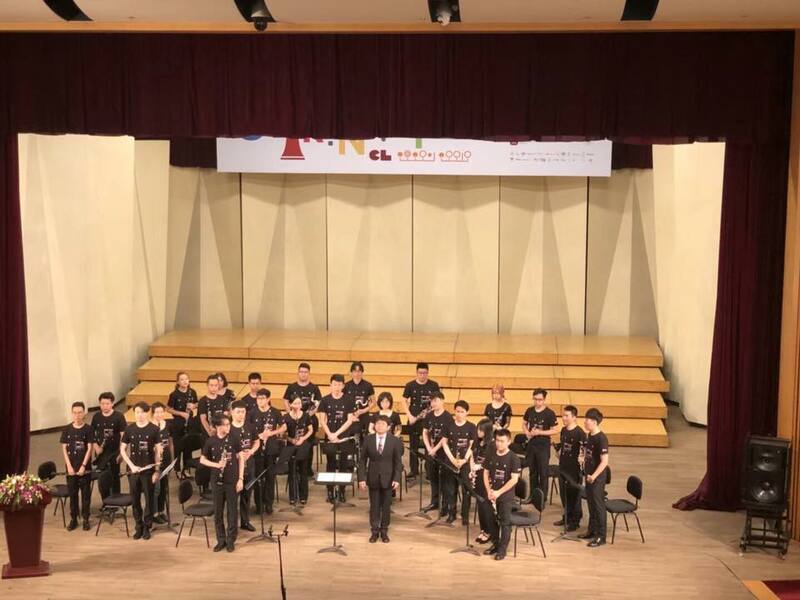 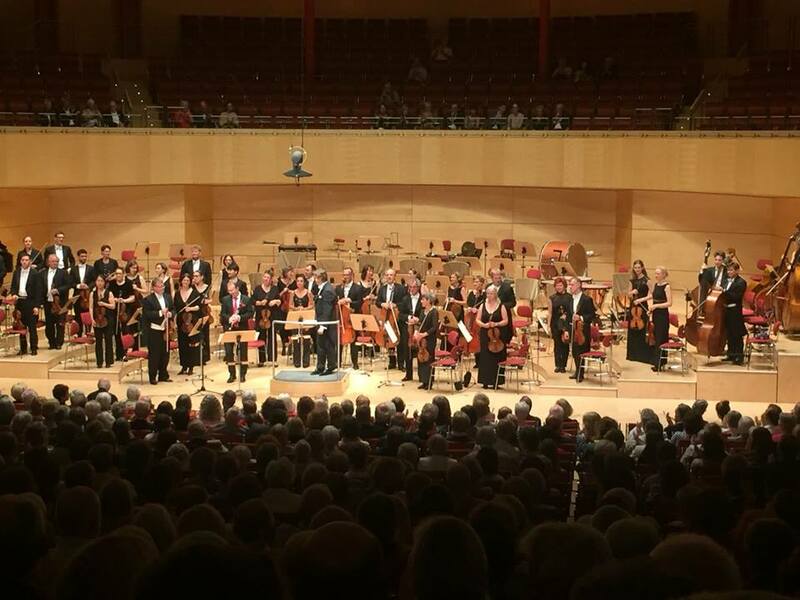 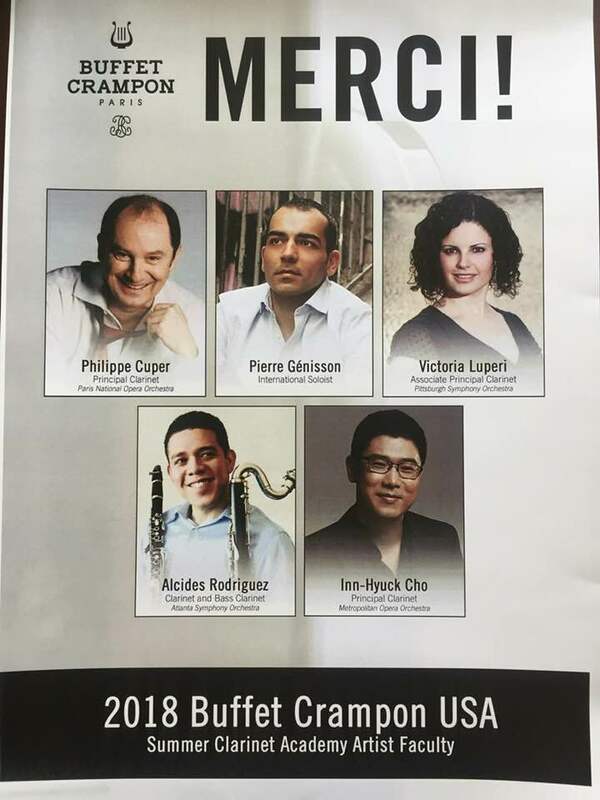 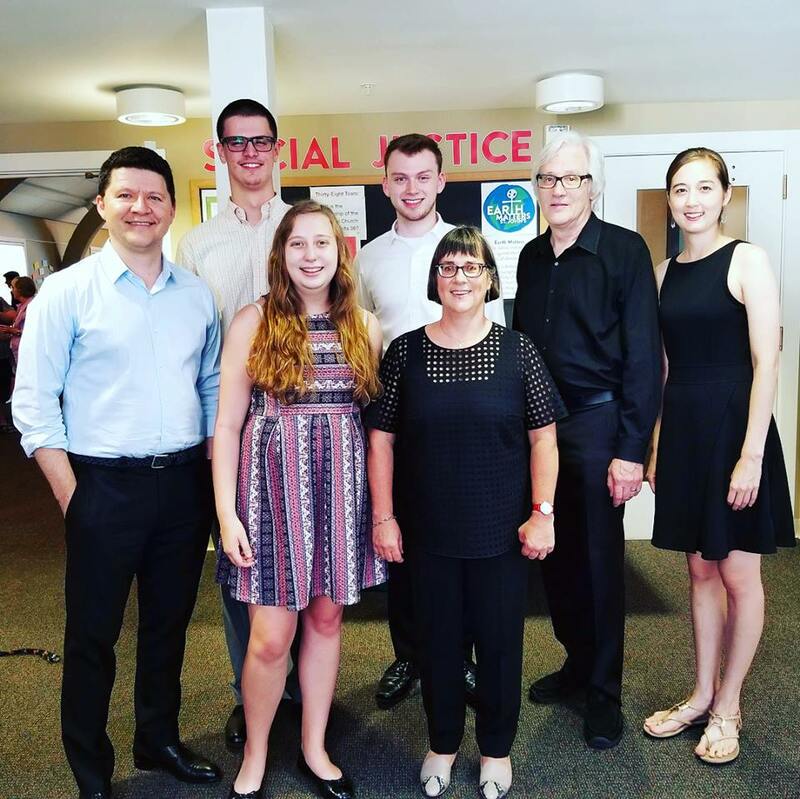 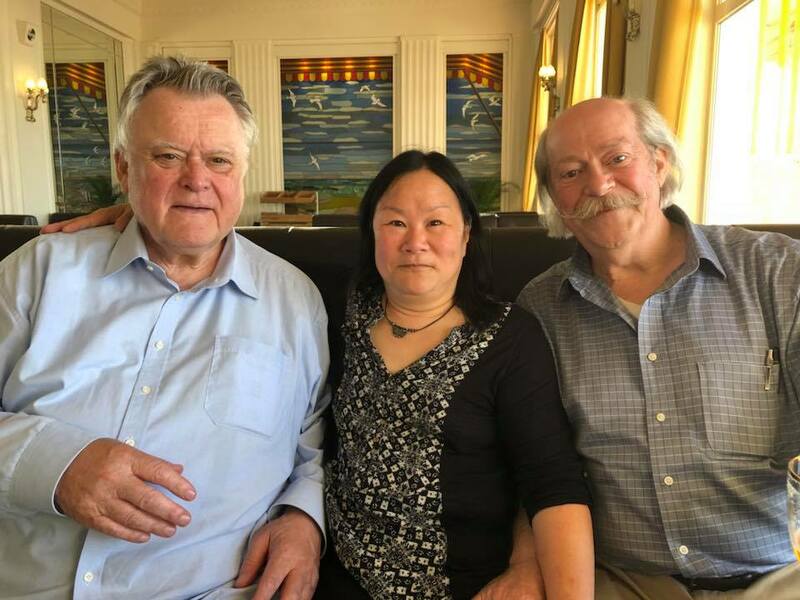 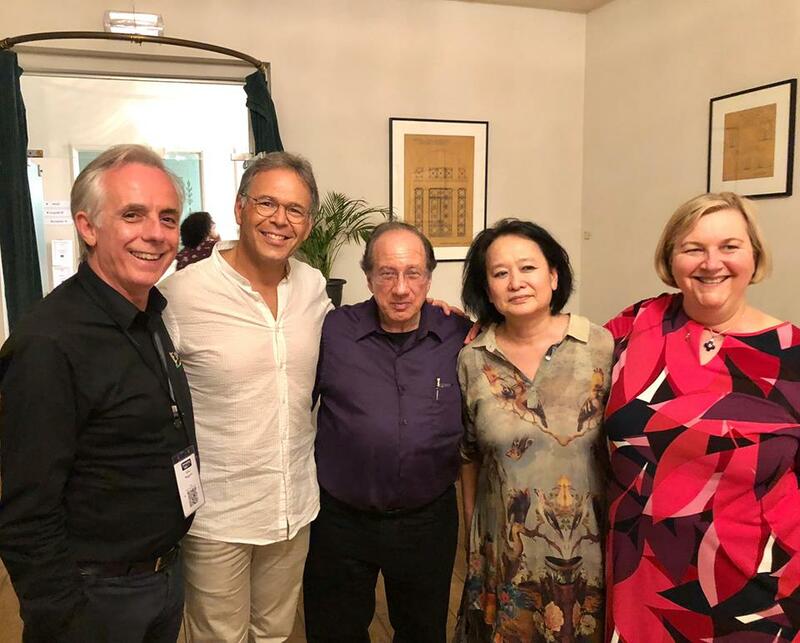 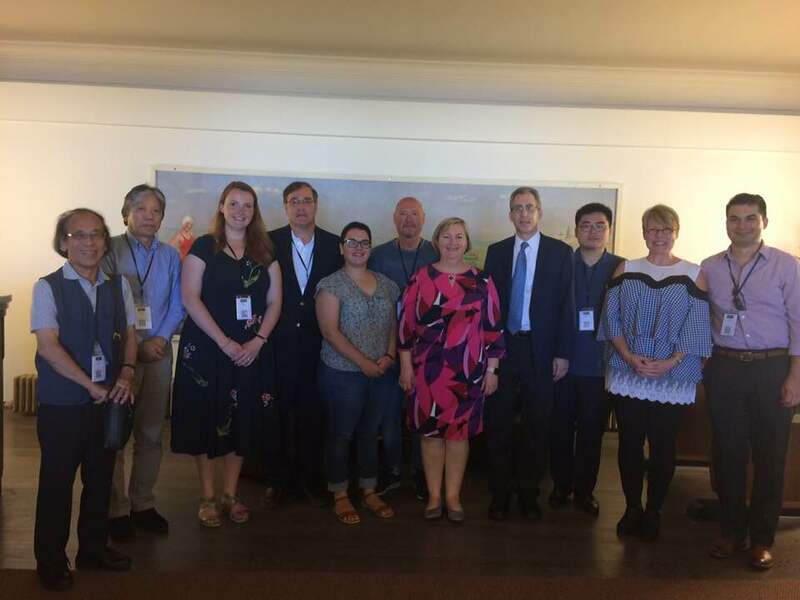 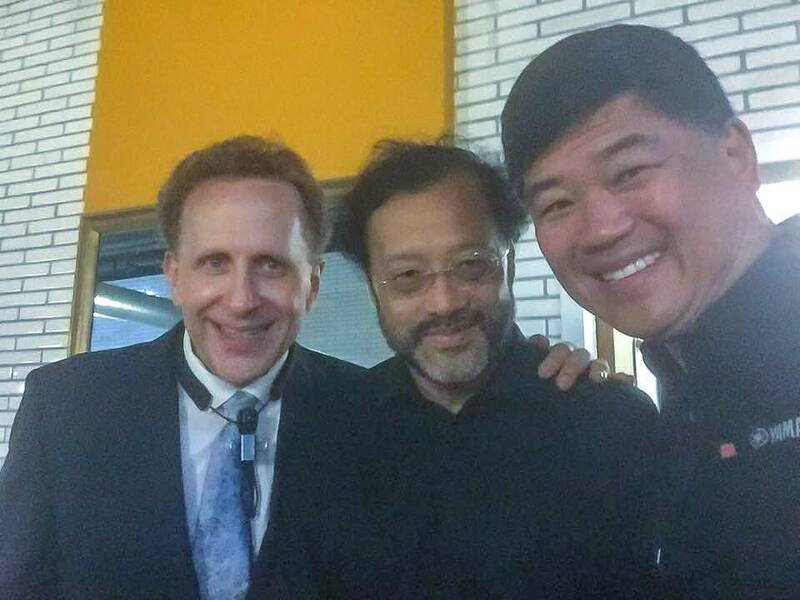 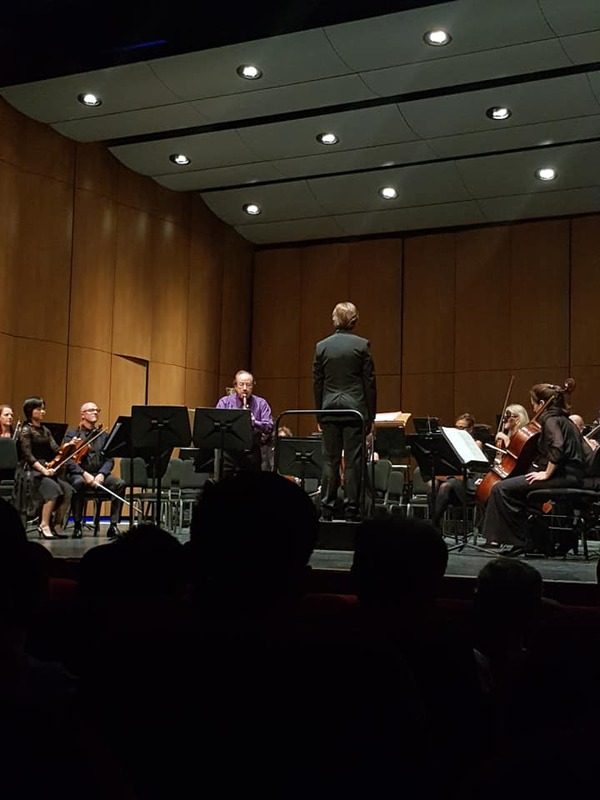 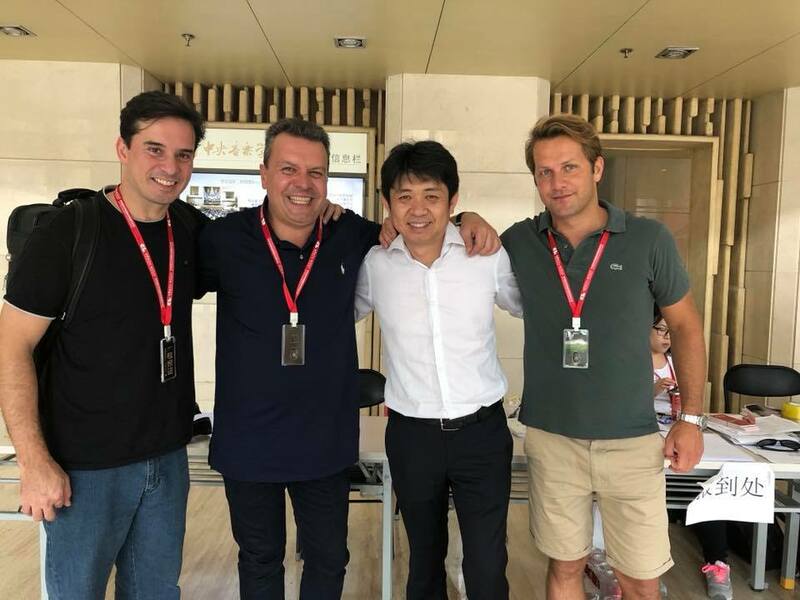 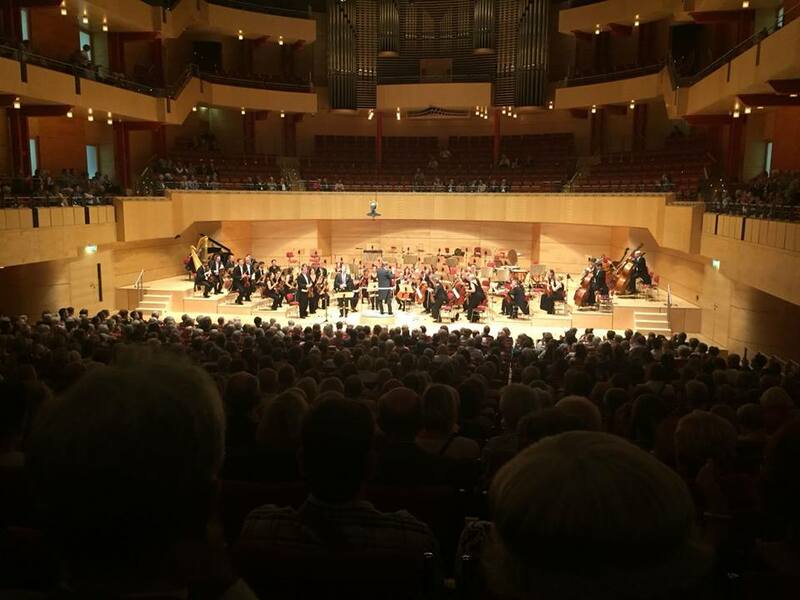 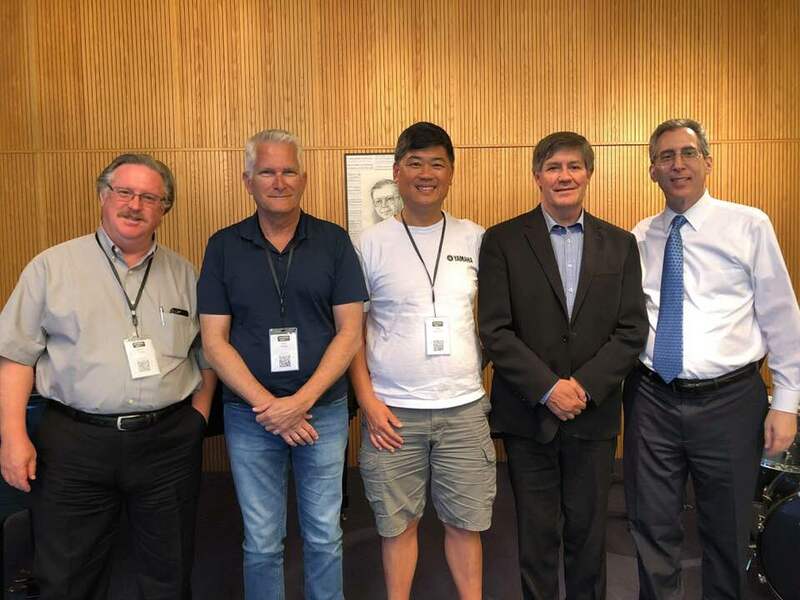 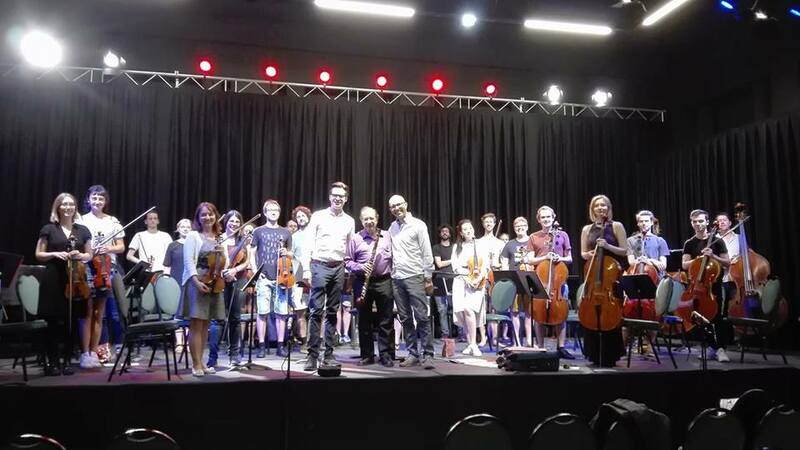 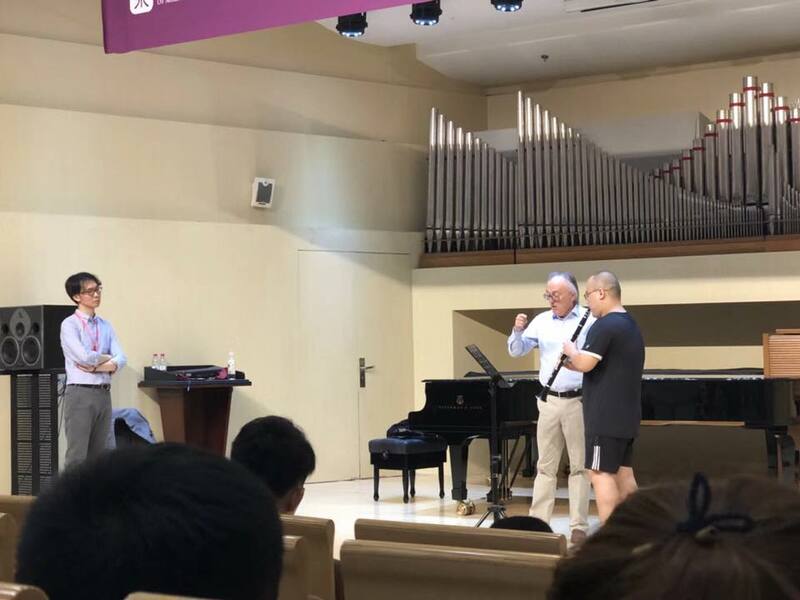 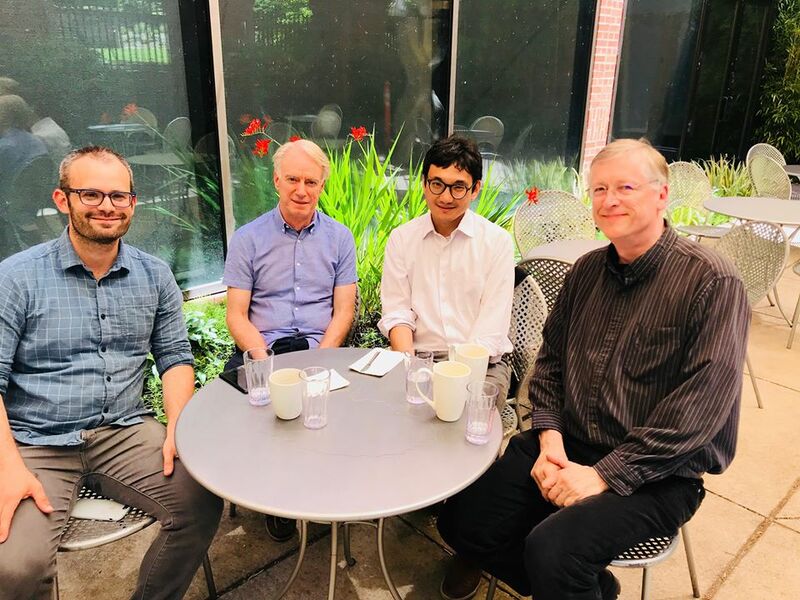 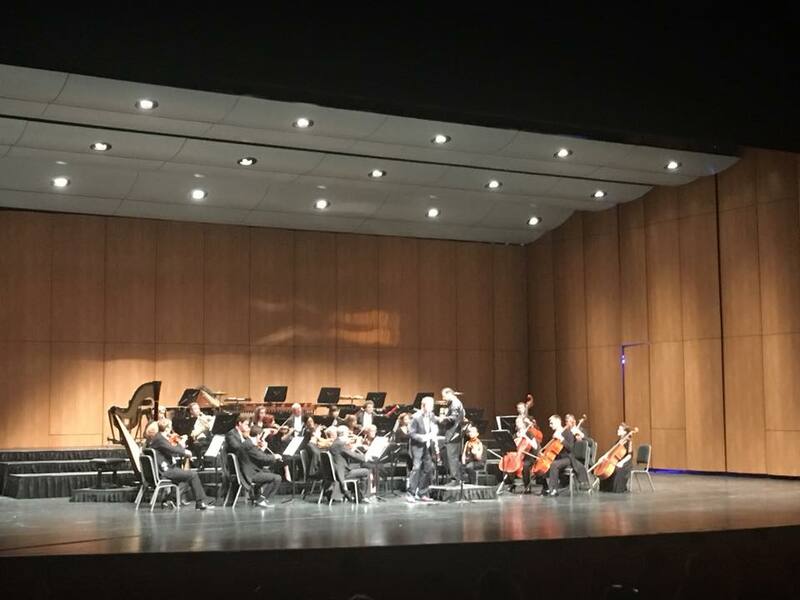 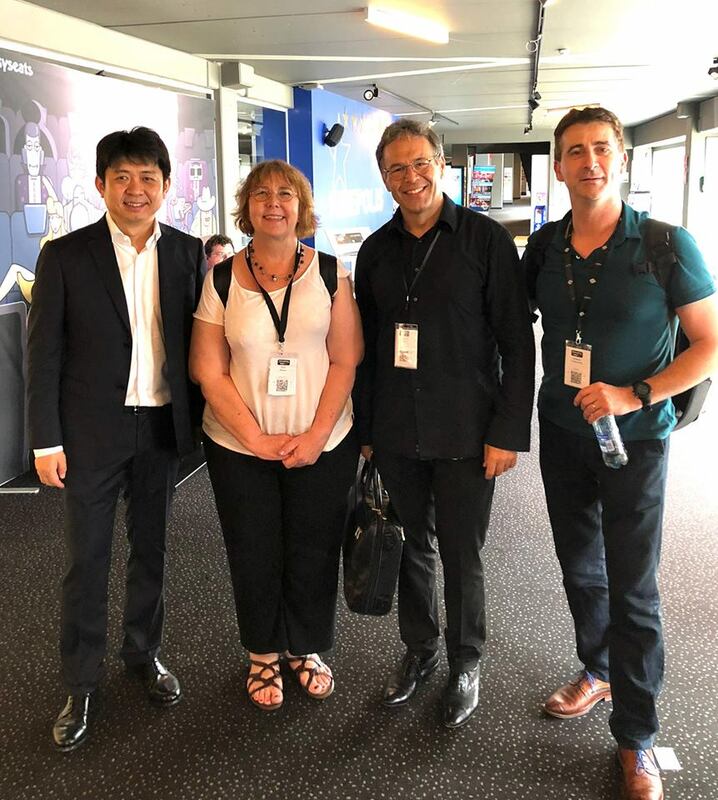 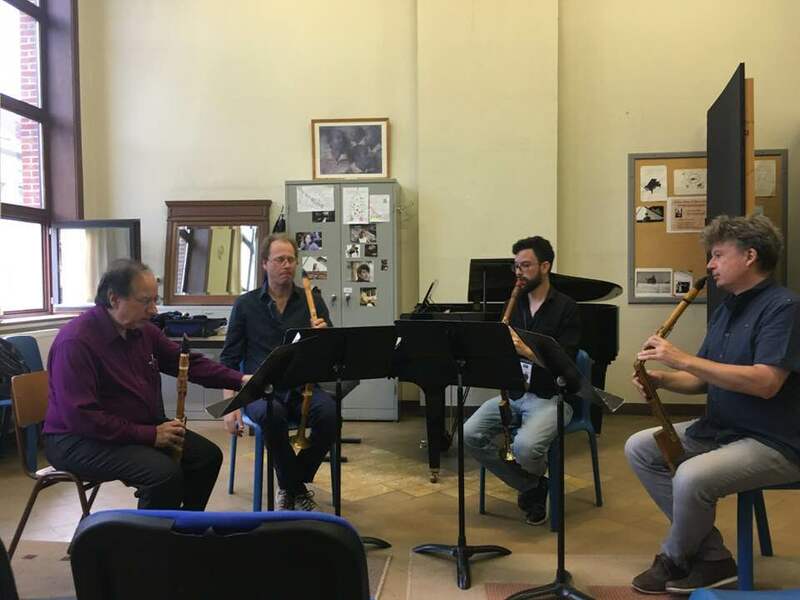 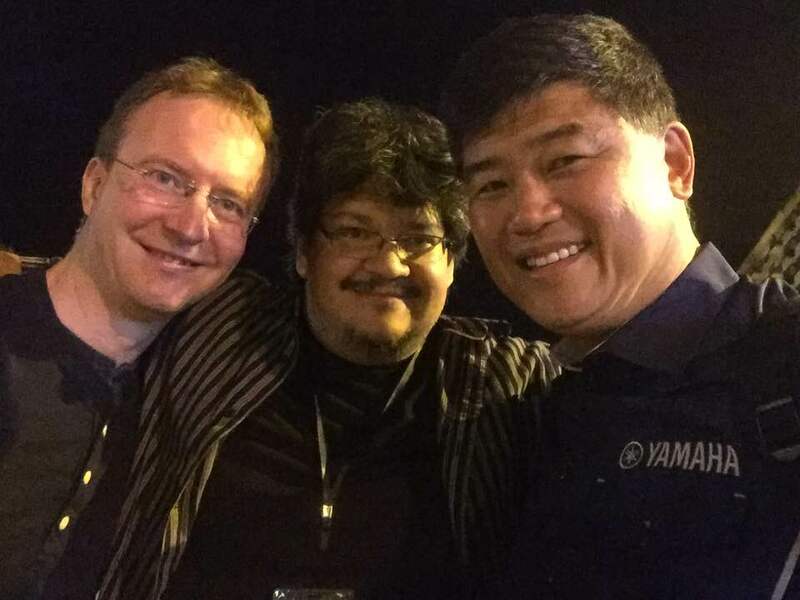 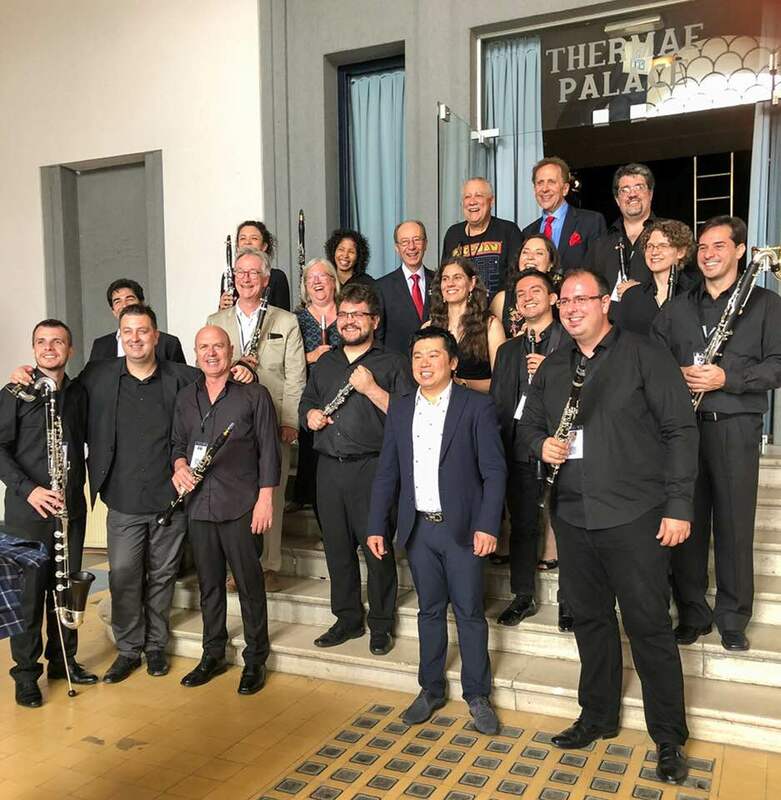 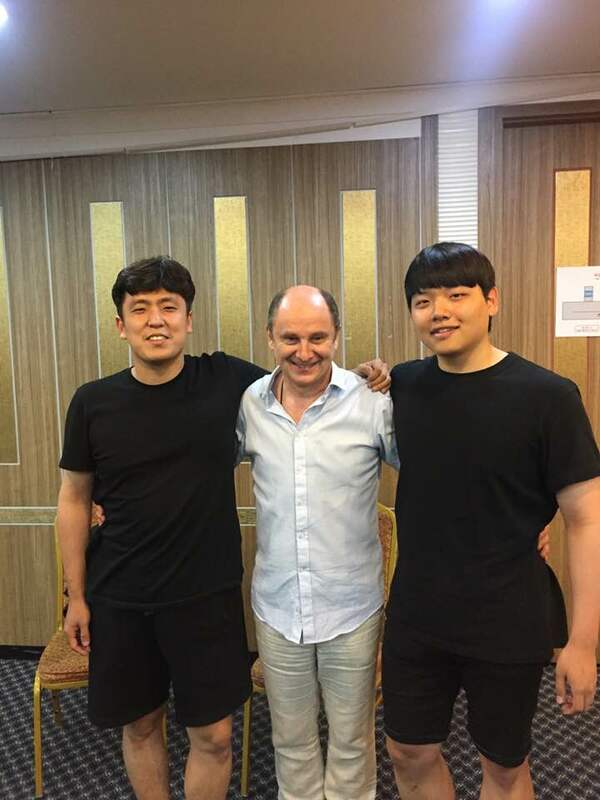 Hereby, I would like to quote a few words prof. Tao Chunxiao wrote to them: “Thank you for bringing us such lovely music, thank you for bringing us such excellent virtuosity and playing experience, welcome you come to China again”. 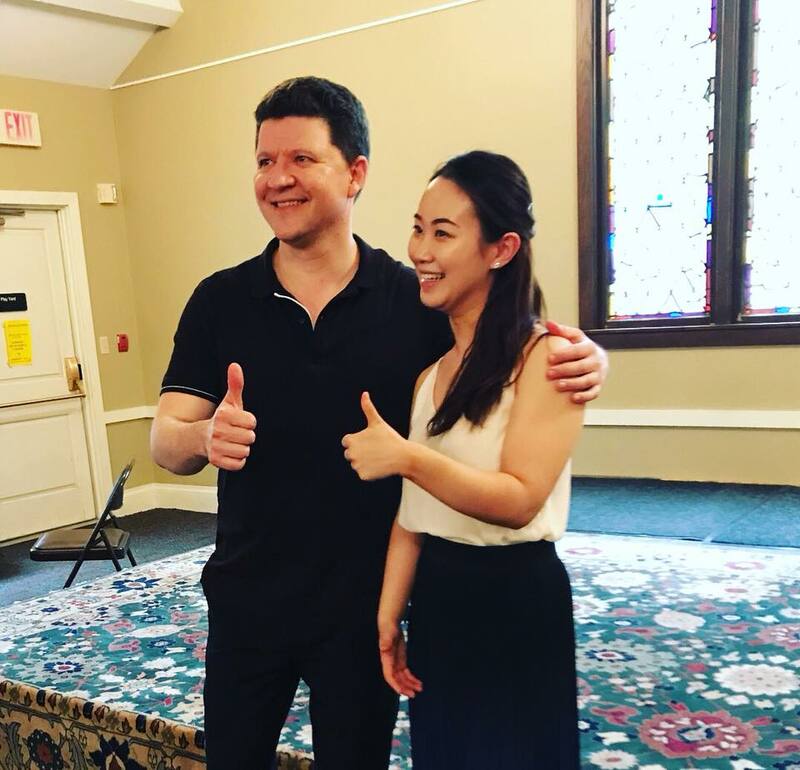 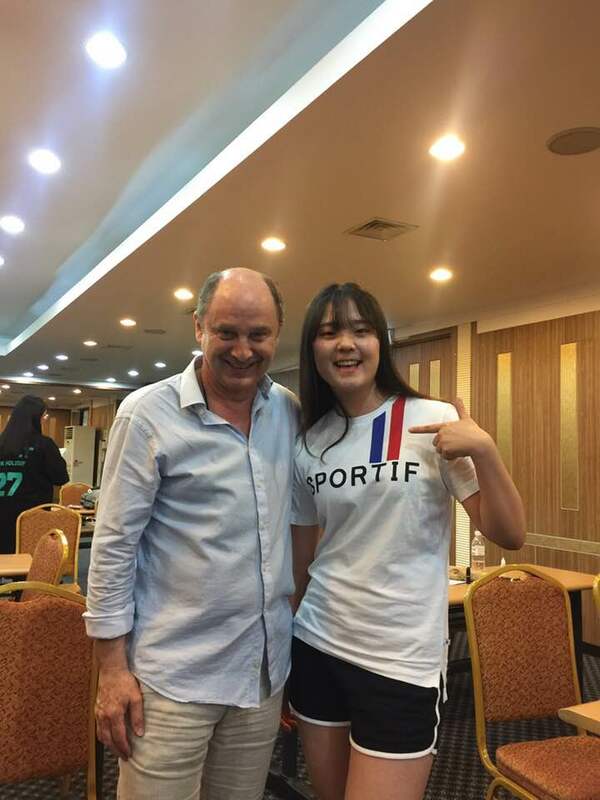 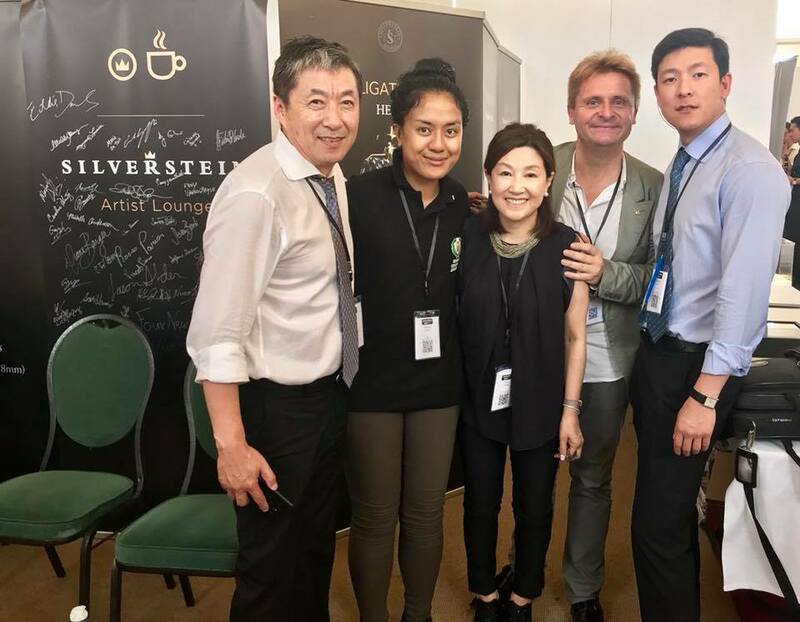 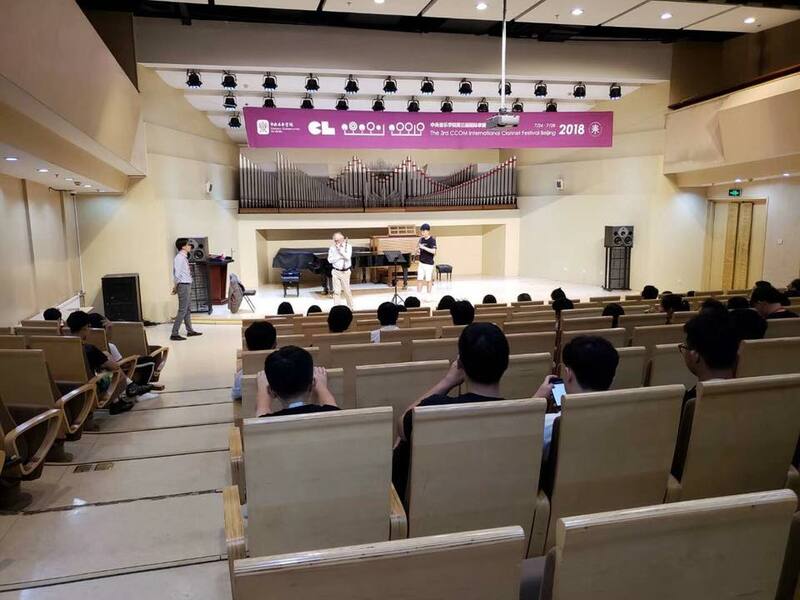 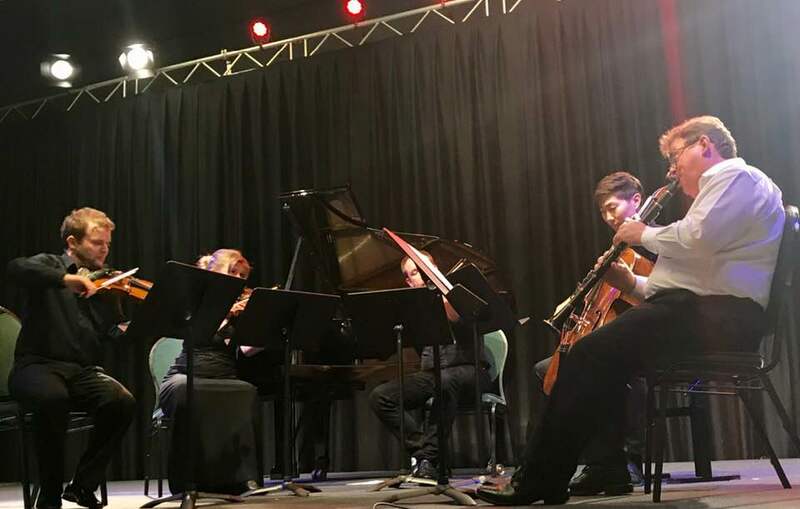 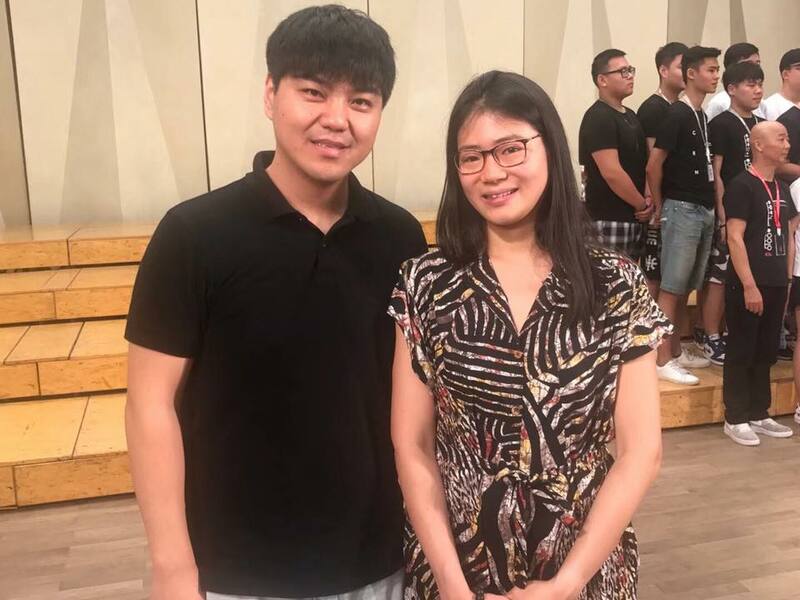 Thank four organizing committee appointed pianists, Liu Ruosha, Yuan Ding, Fang Jia, Fatima Alieva, their virtuosity and noble professional ethics made the concerts still more perfect. 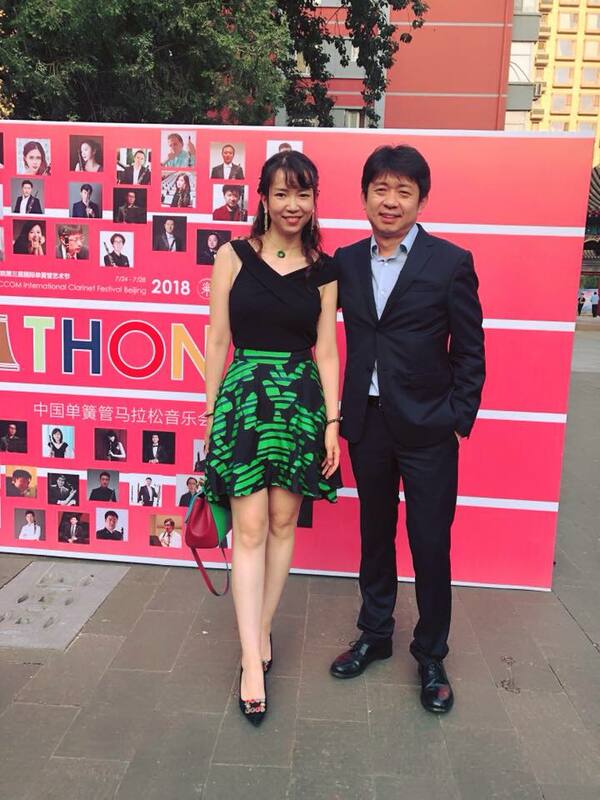 Thank Design Director of the festival, Mr. Ma Jia, his talents, creativities and nearly two-month hard work made our festival’s publicity more Internationalized. 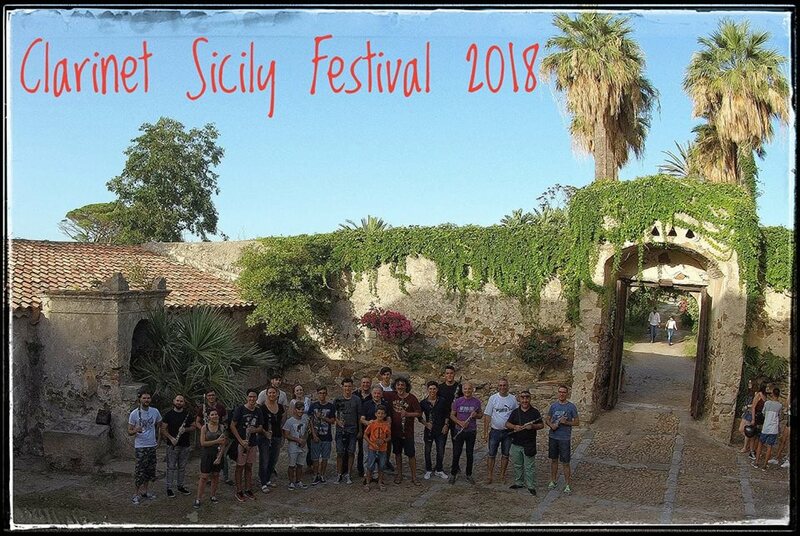 Thank the volunteers on and behind the stage working for the festival. 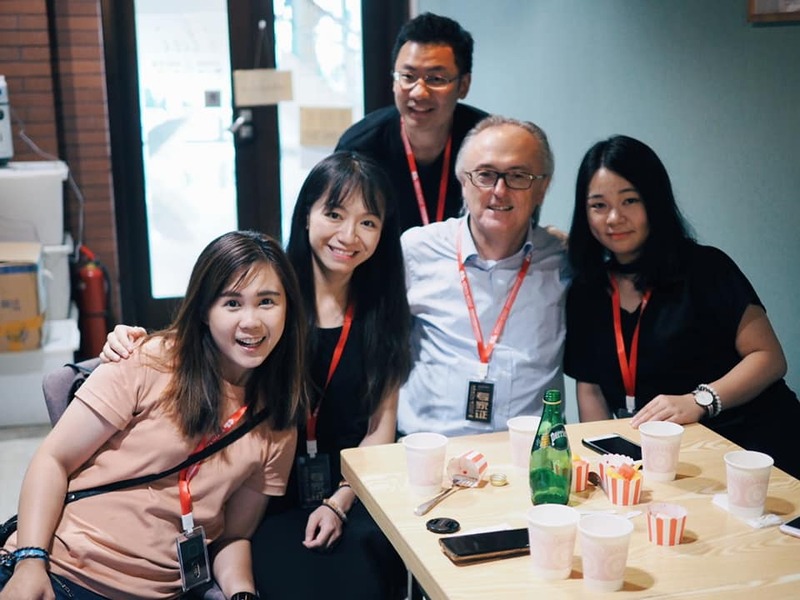 Everything is not worked without them, they spent great efforts and hard work, trying their best to make everything perfect. 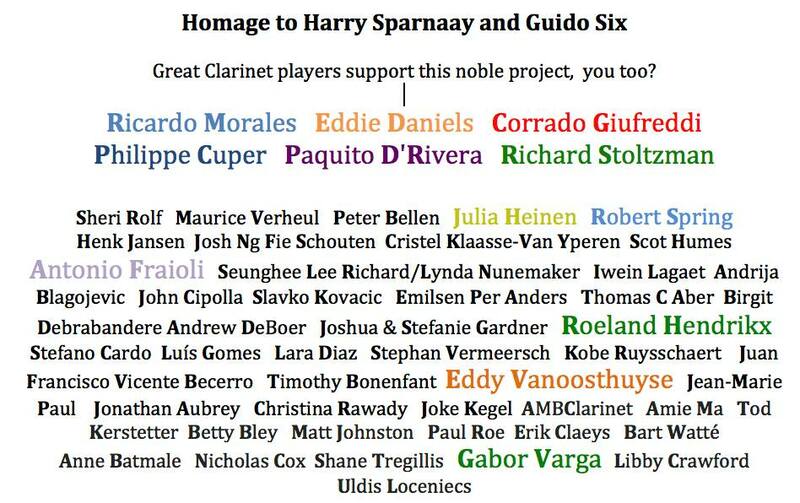 Please allow me read their names. 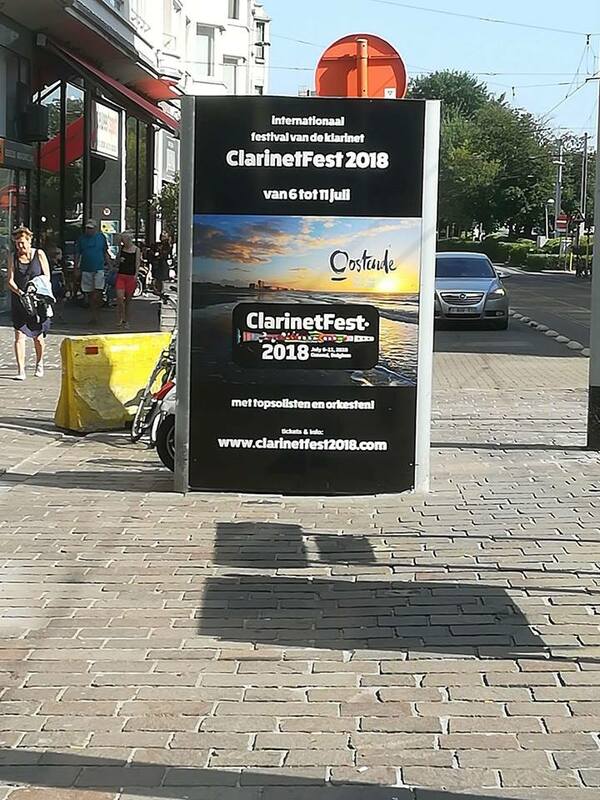 Tonight, the festival is nearly to the end. 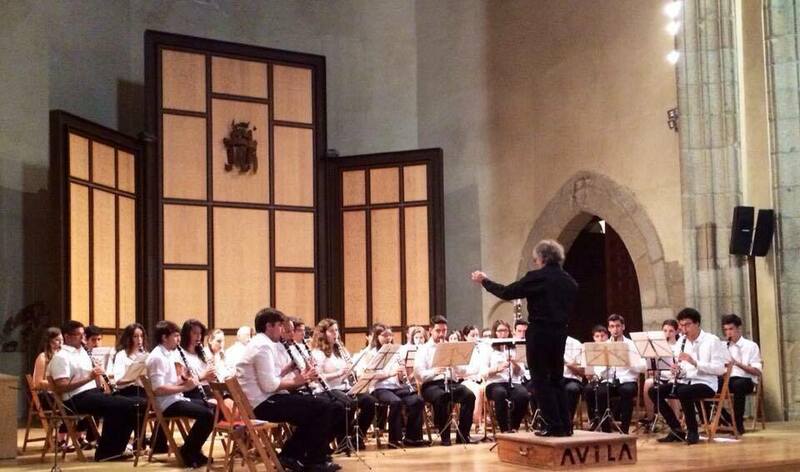 Still, we put a perfect stop for the festival by concert. 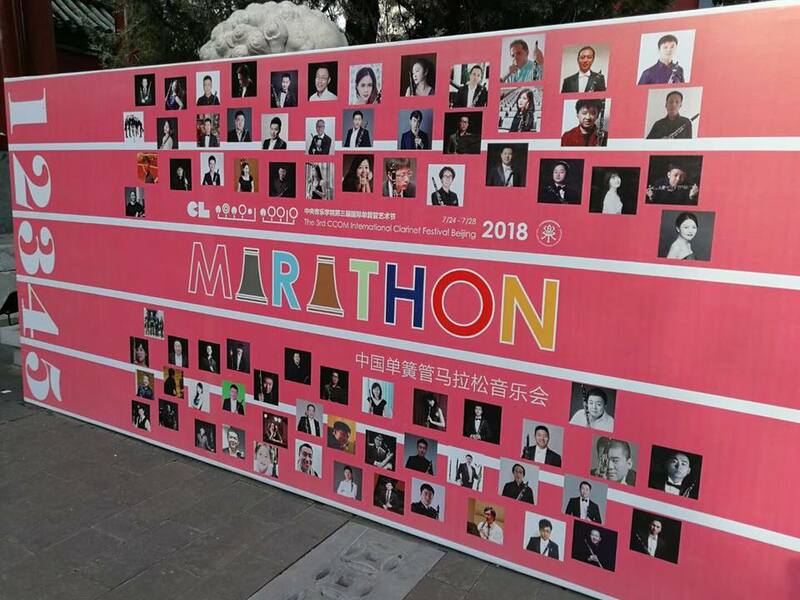 Hope the festival give you an unforgettable experience. 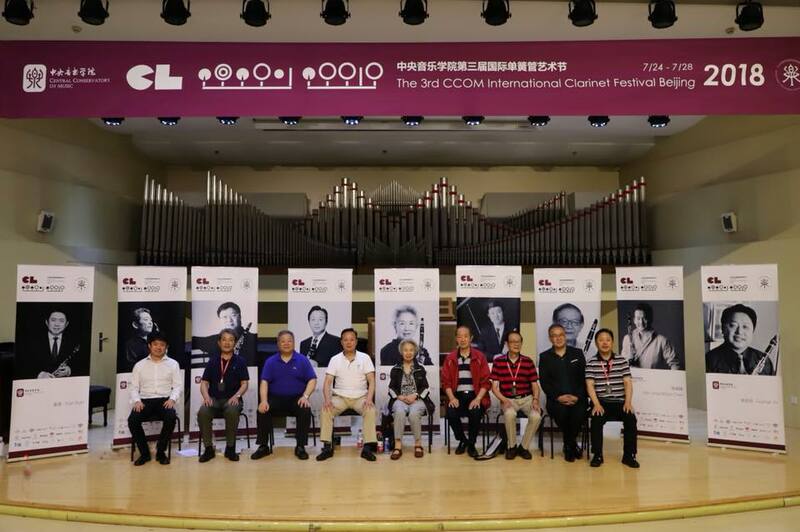 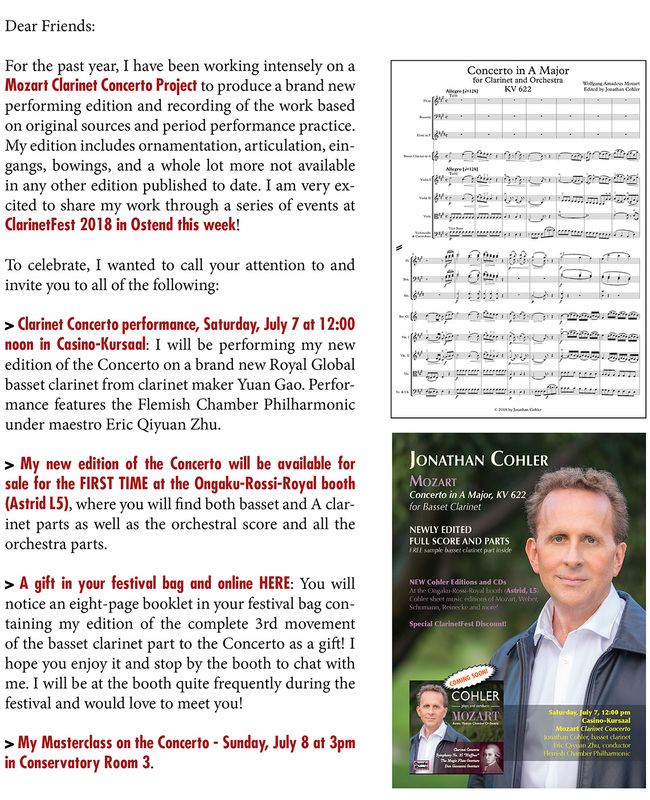 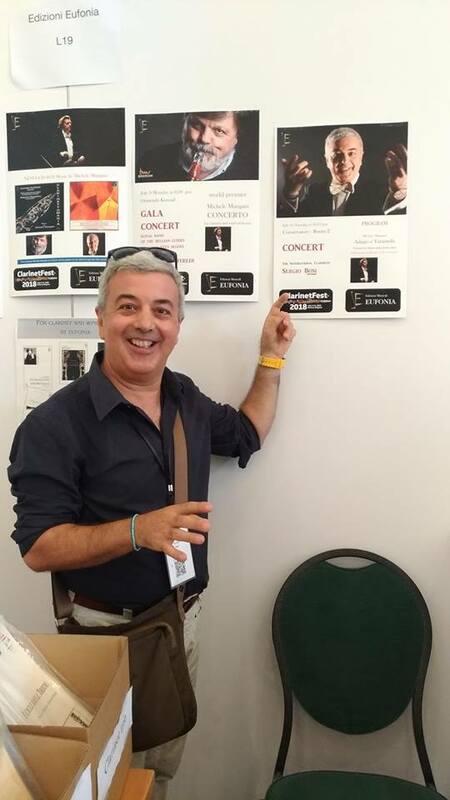 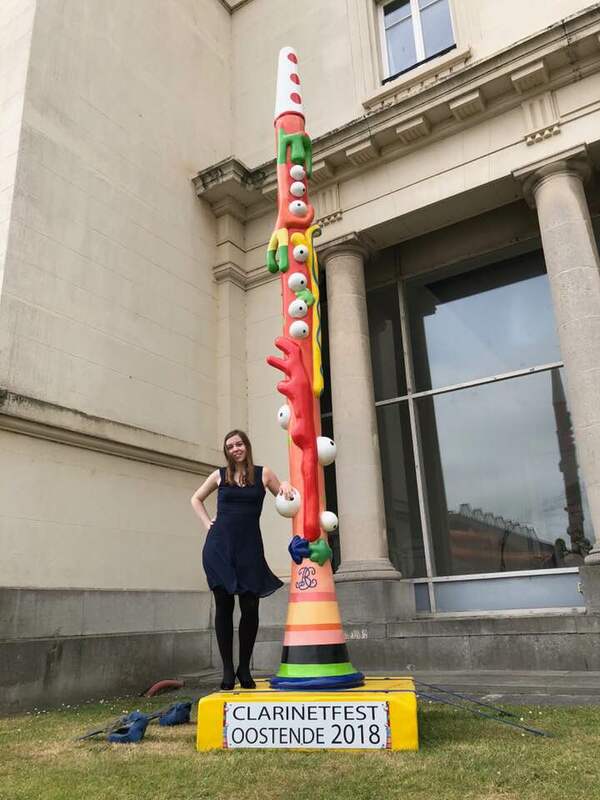 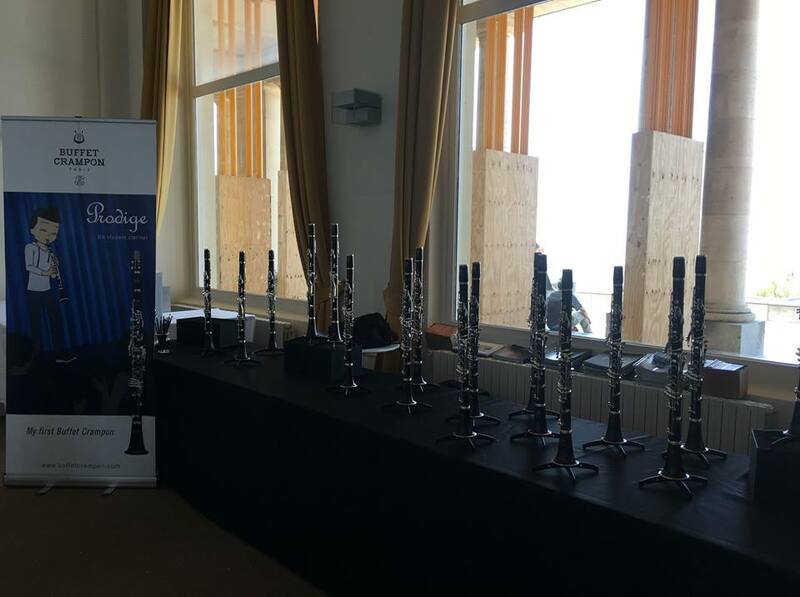 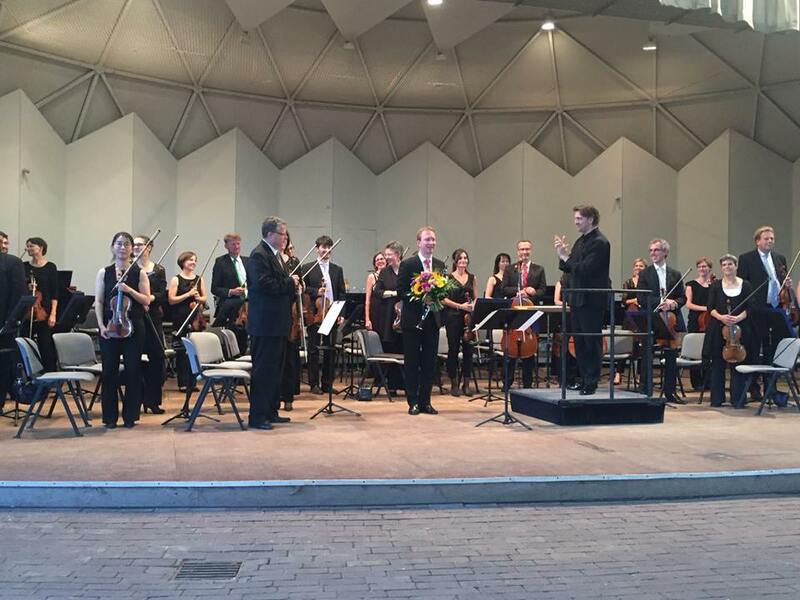 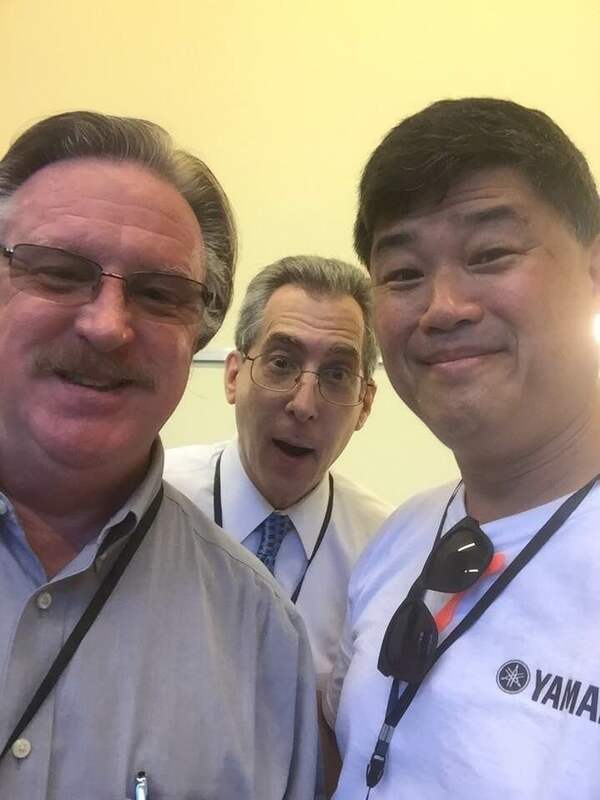 See you next time at the 4th CCOM International Clarinet Festival! 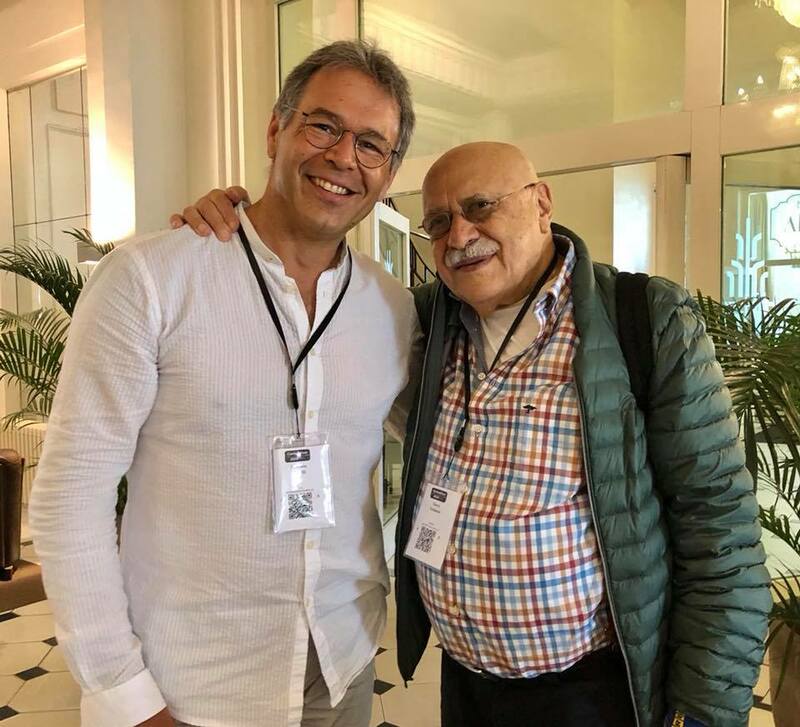 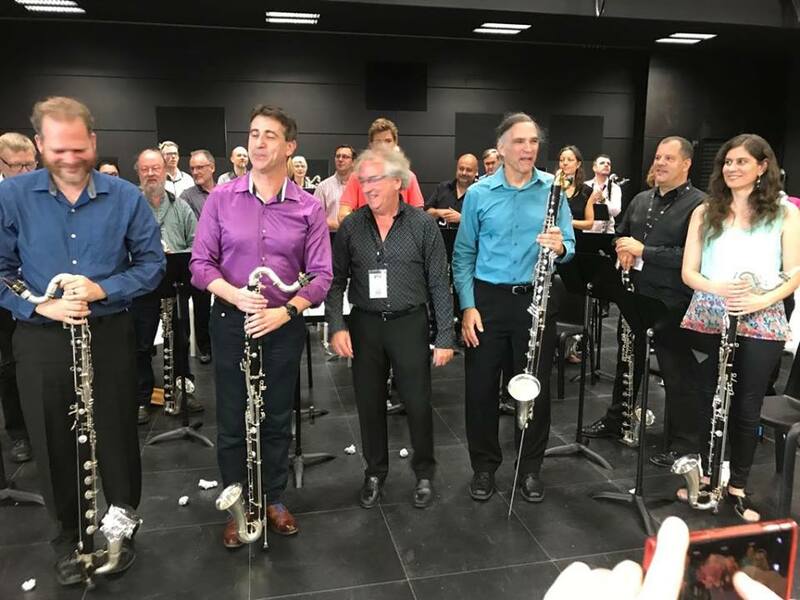 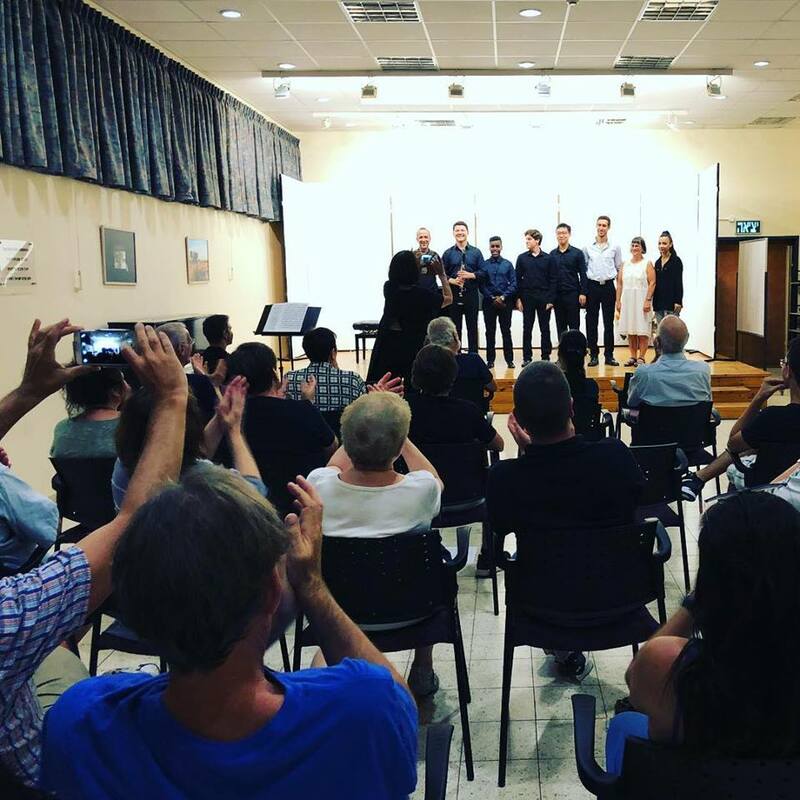 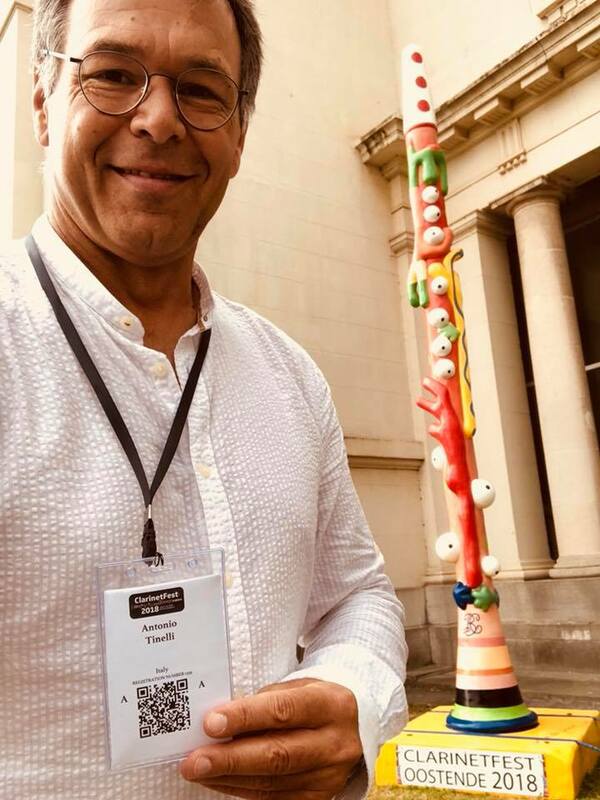 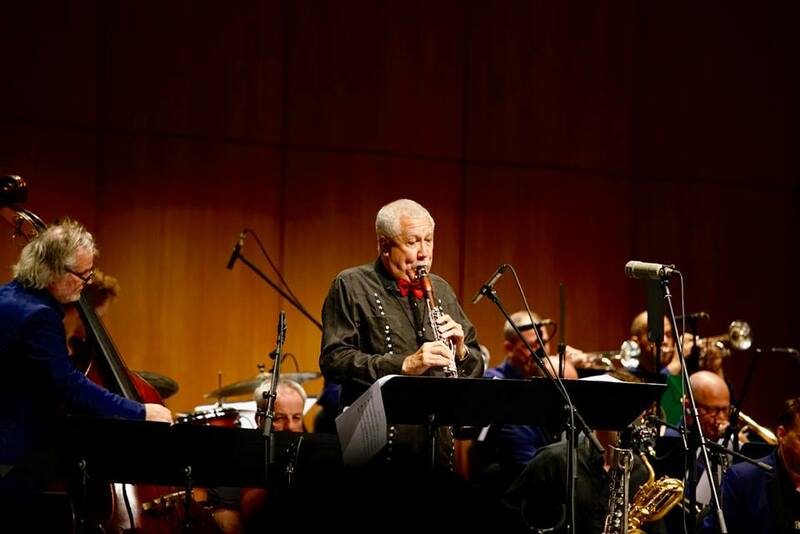 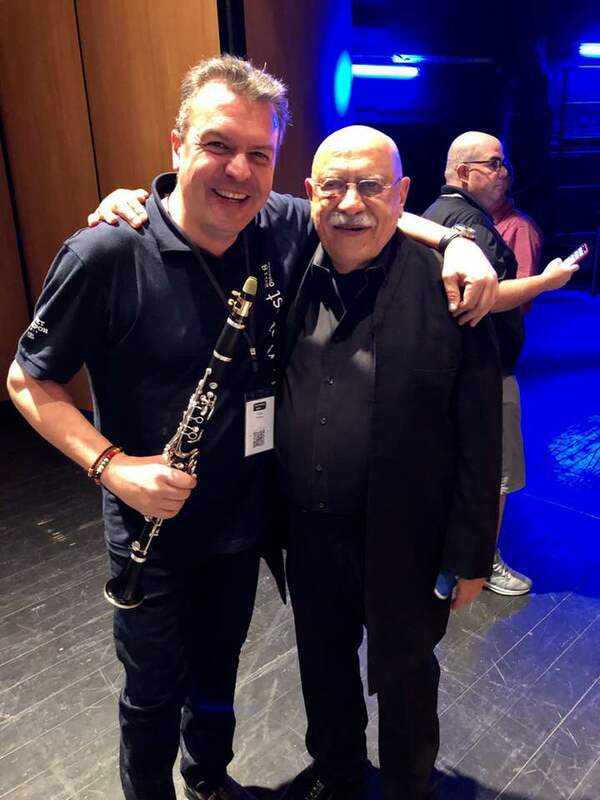 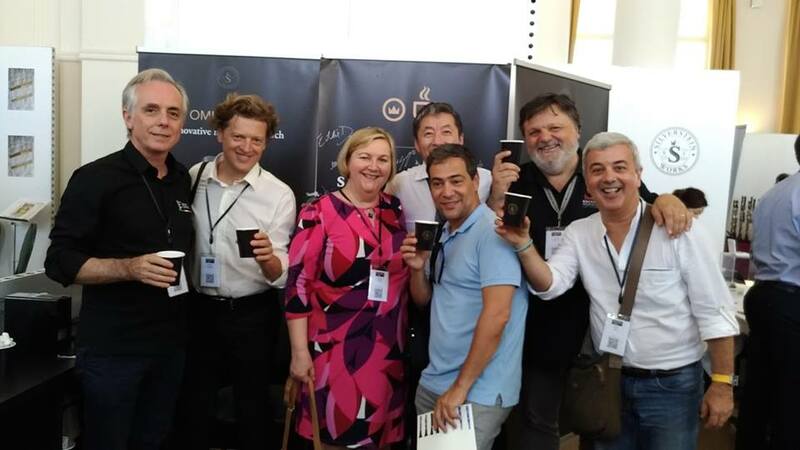 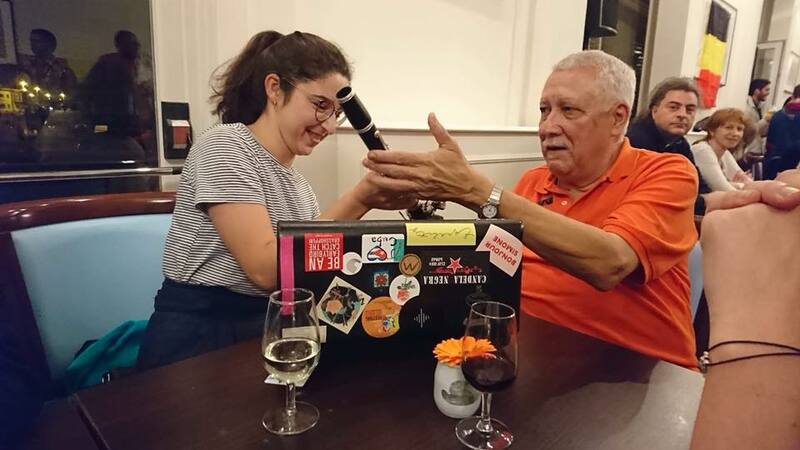 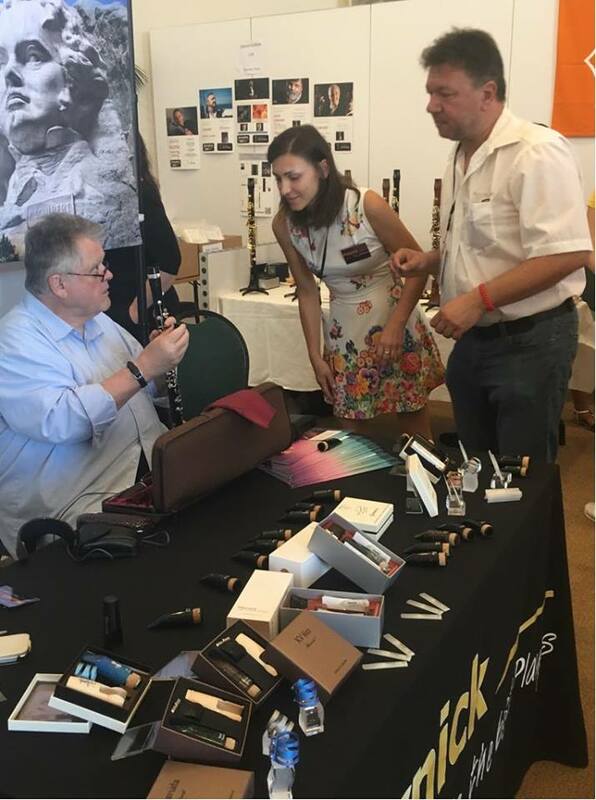 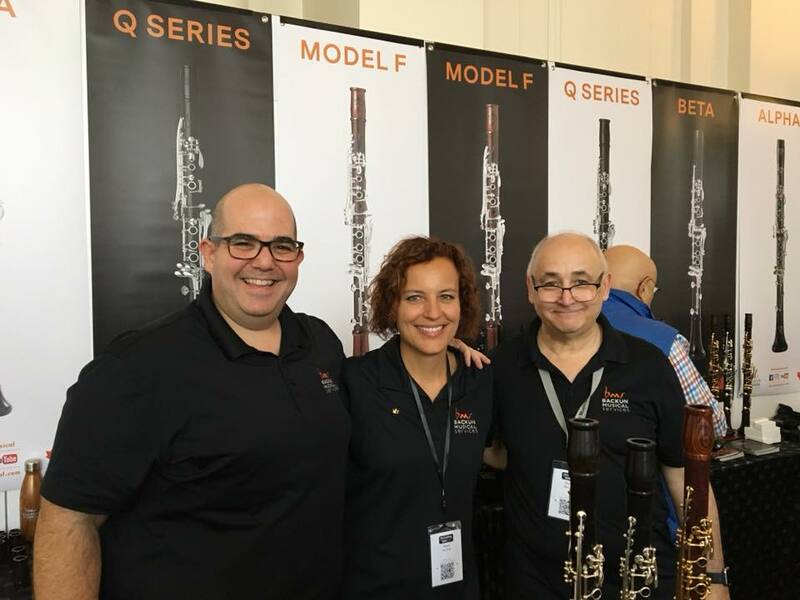 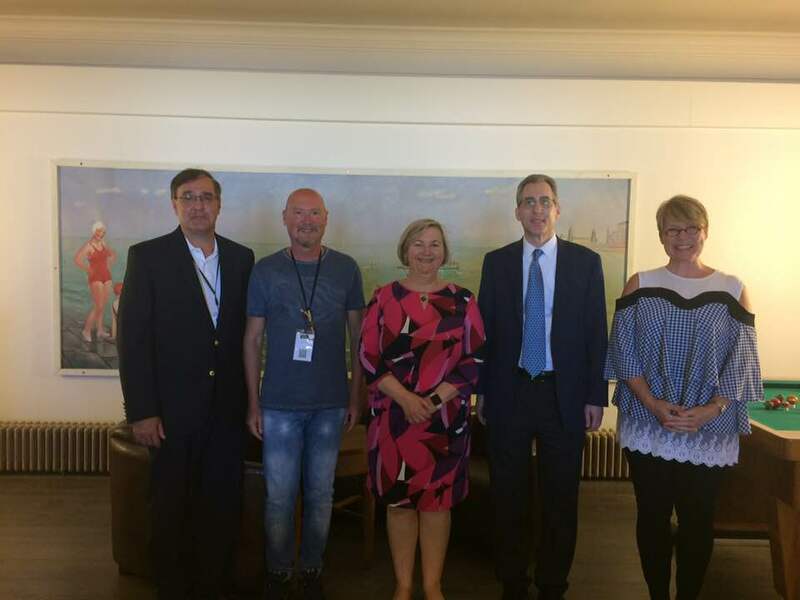 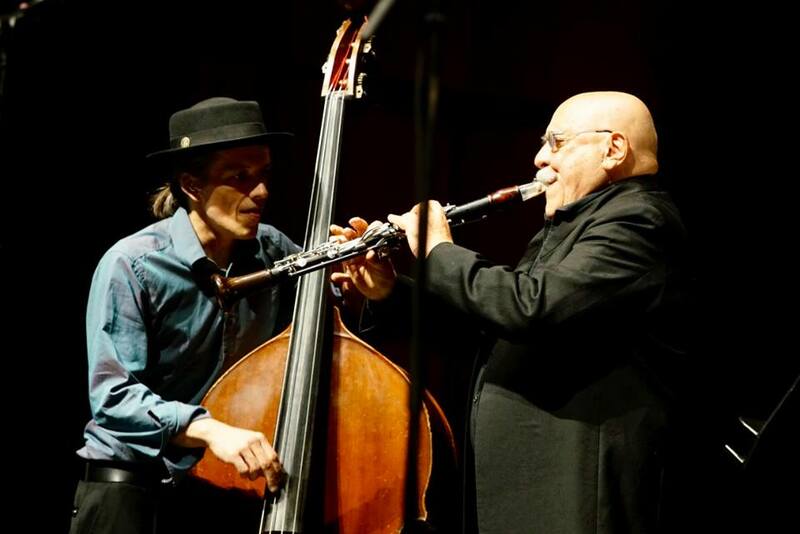 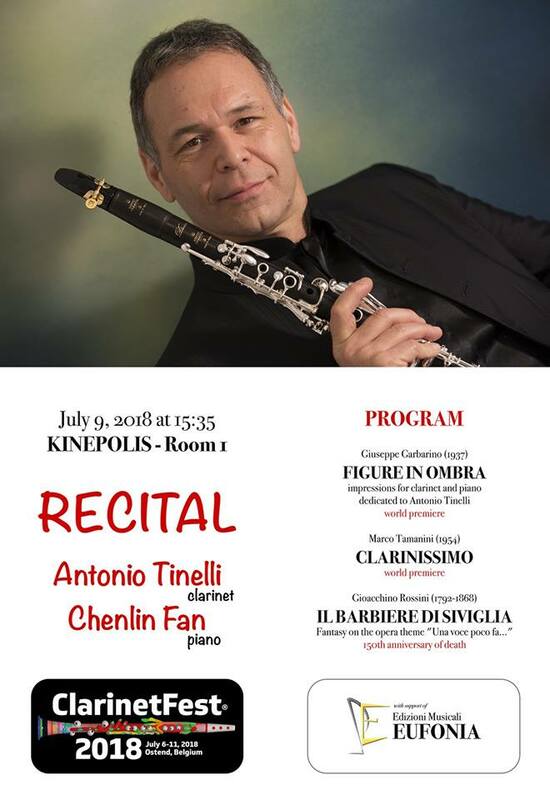 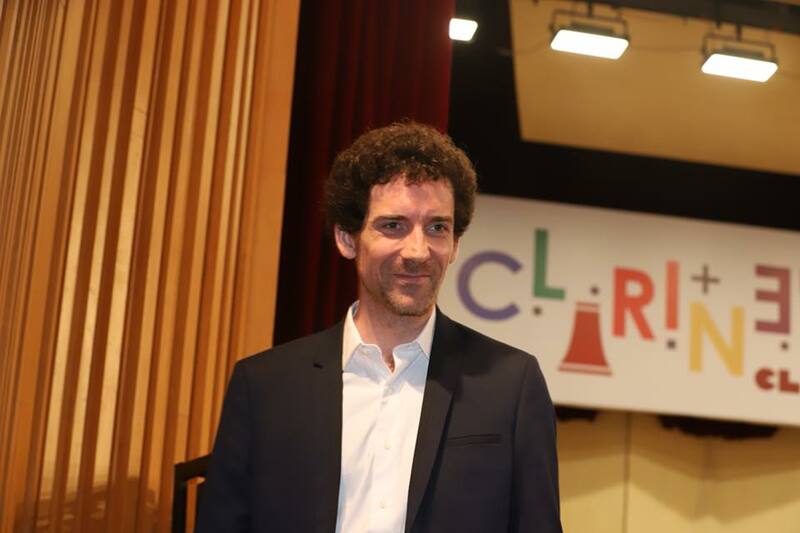 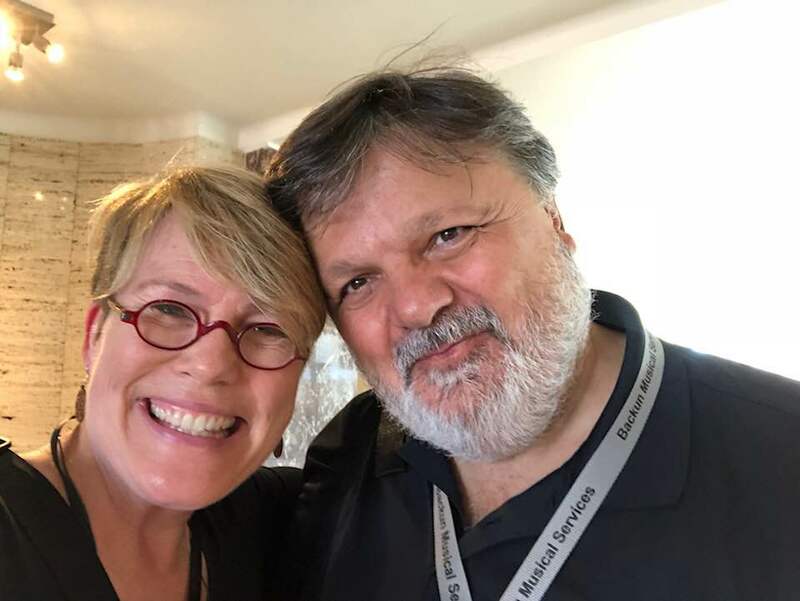 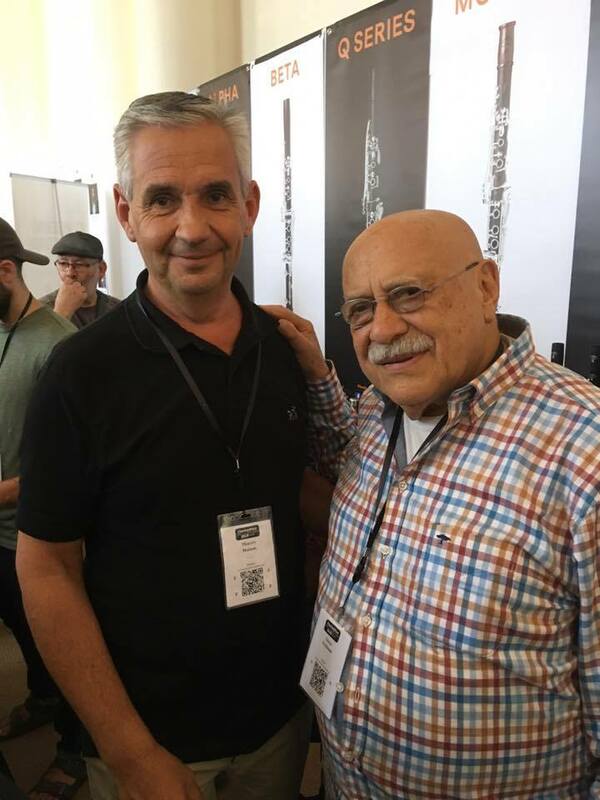 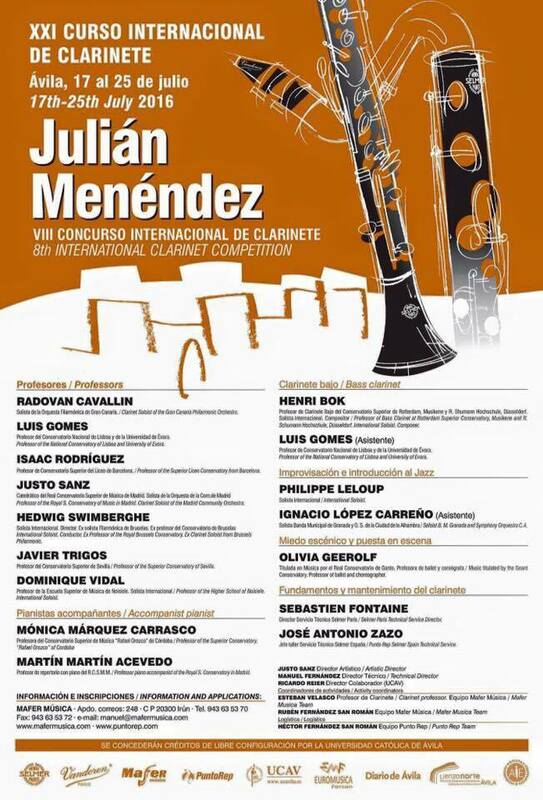 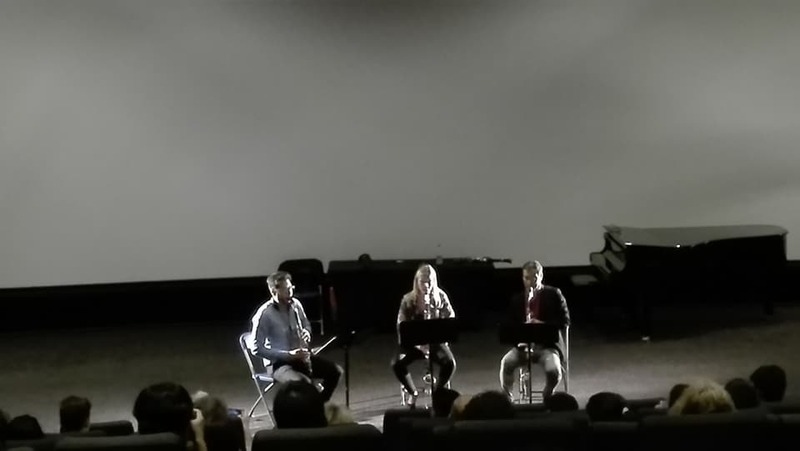 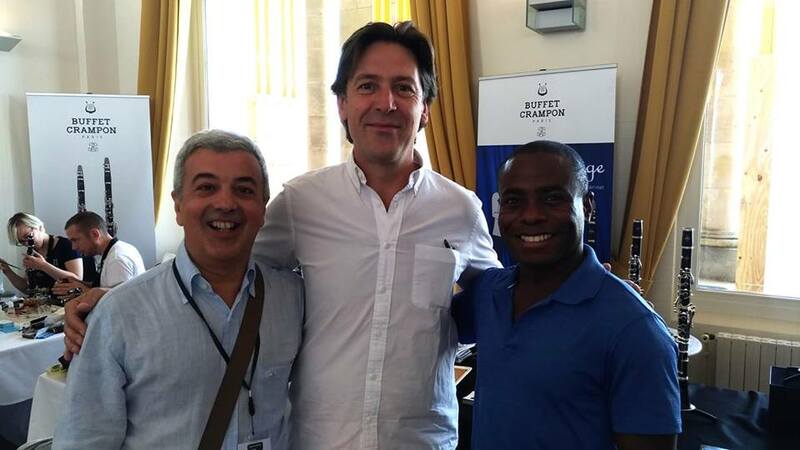 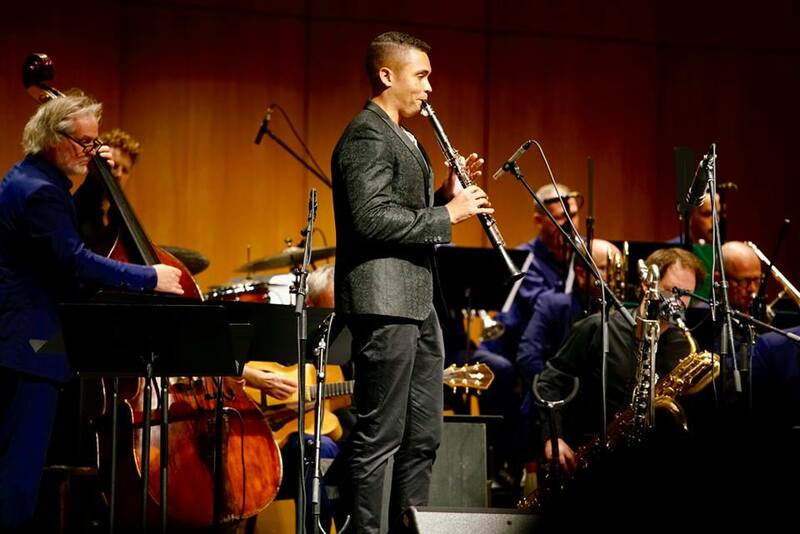 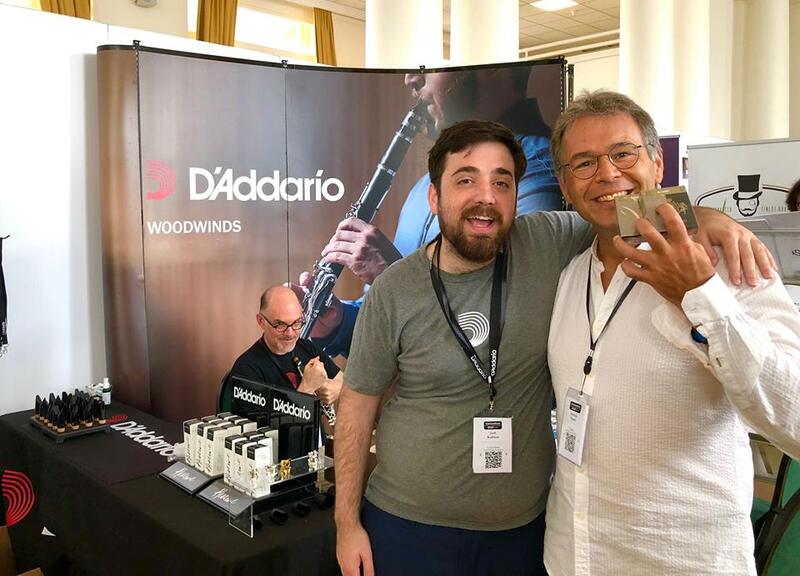 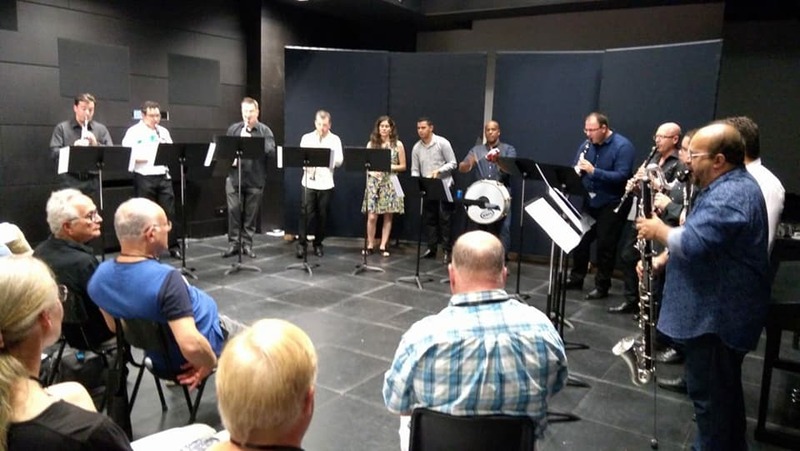 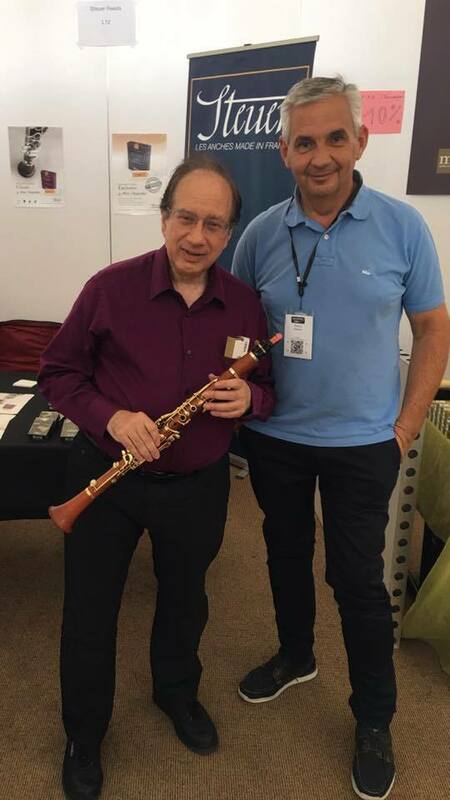 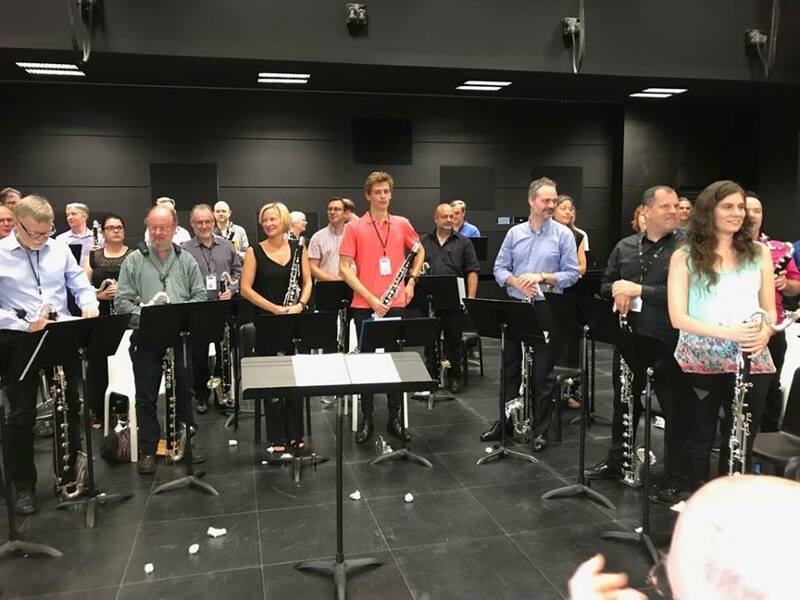 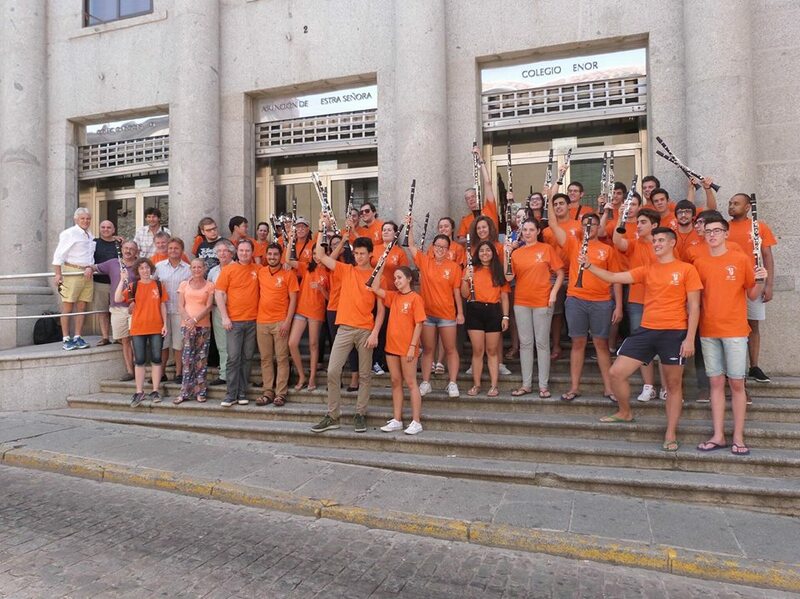 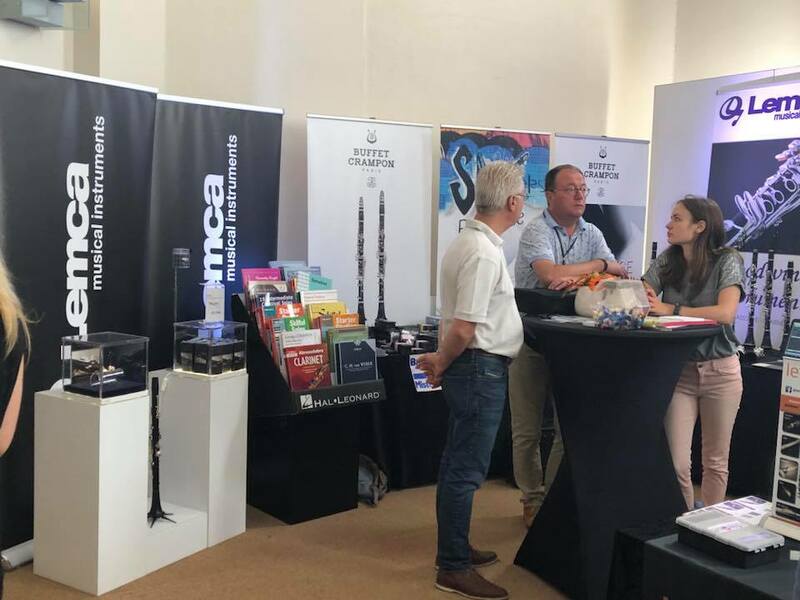 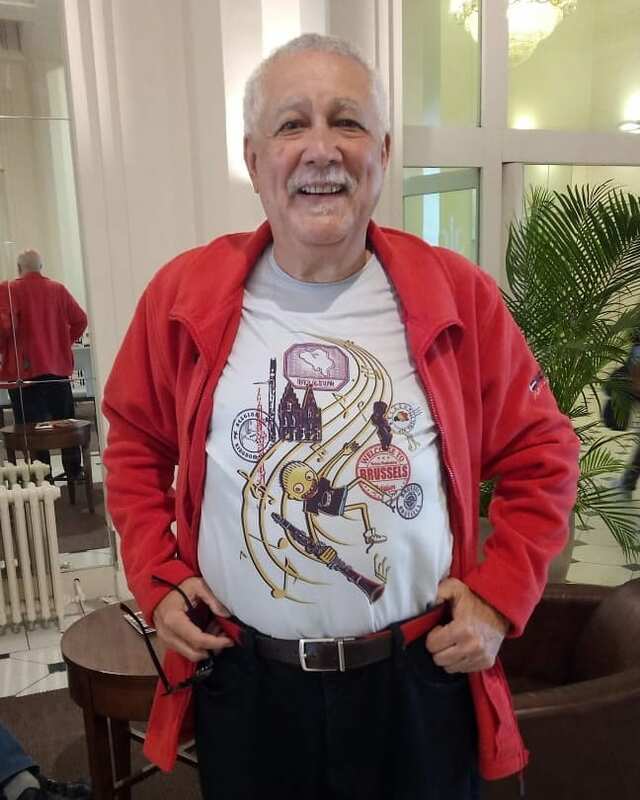 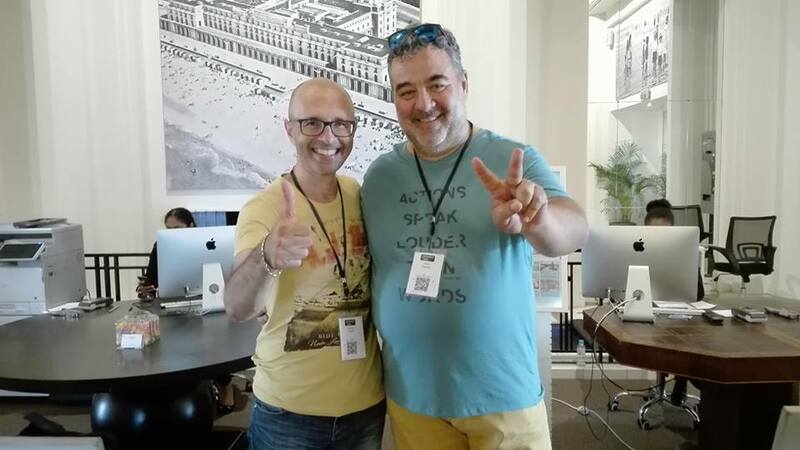 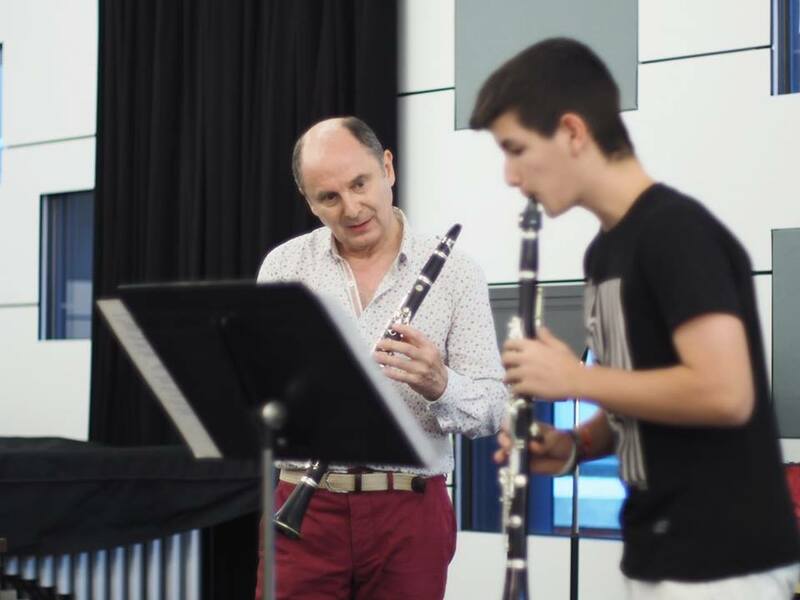 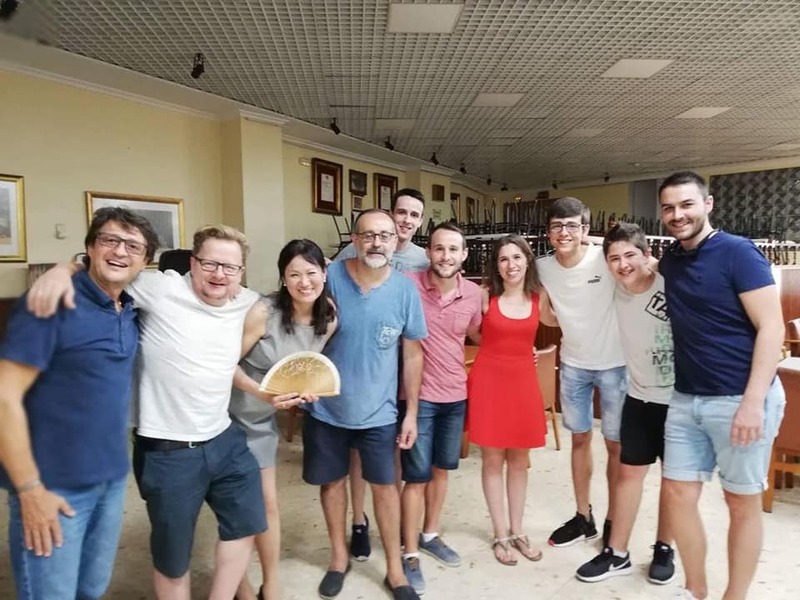 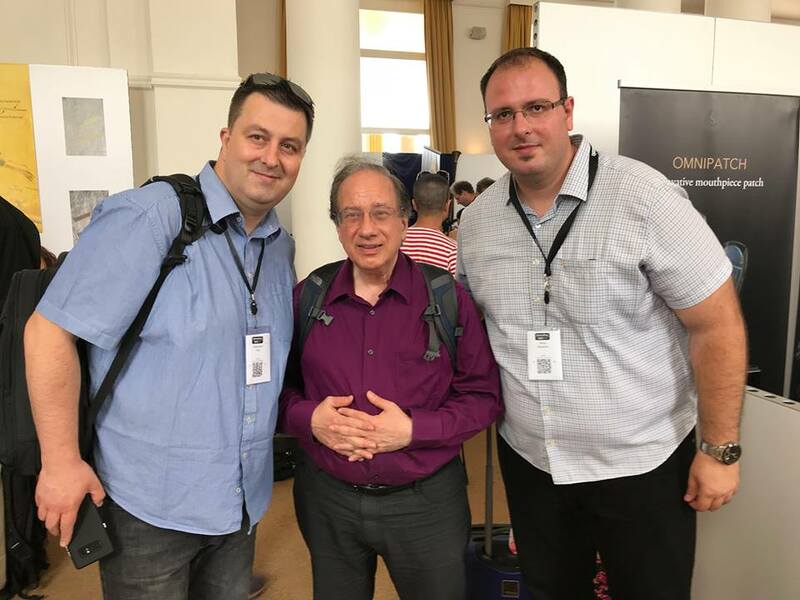 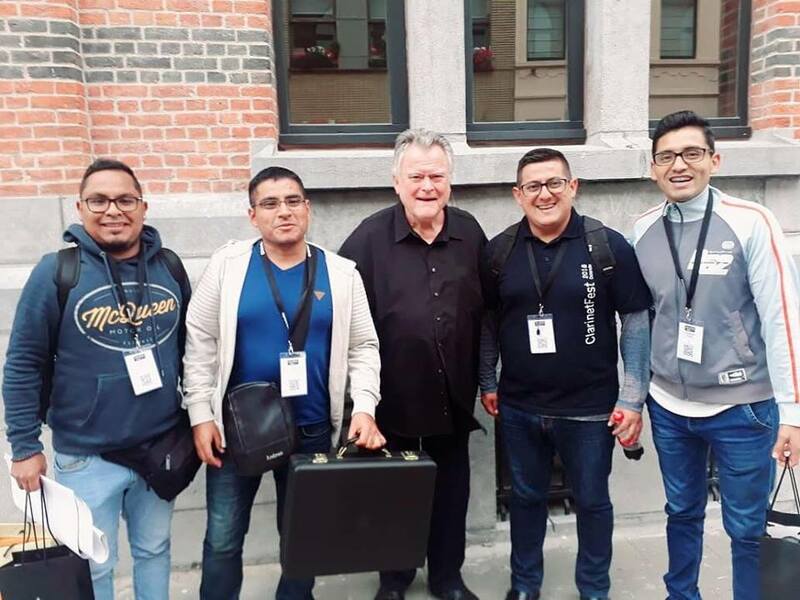 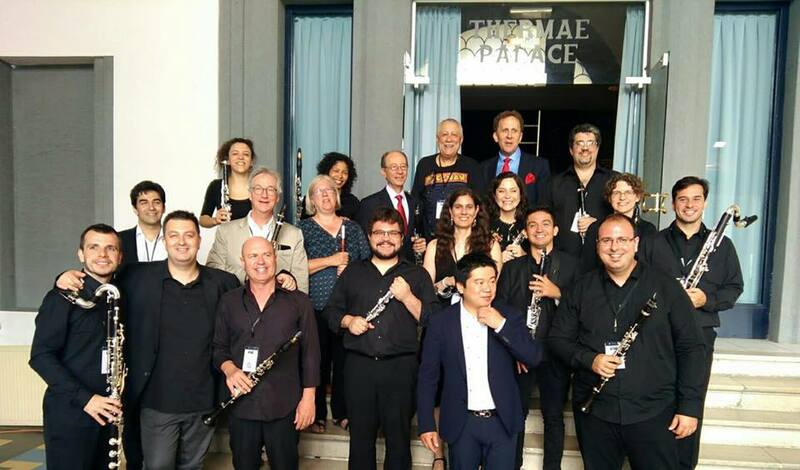 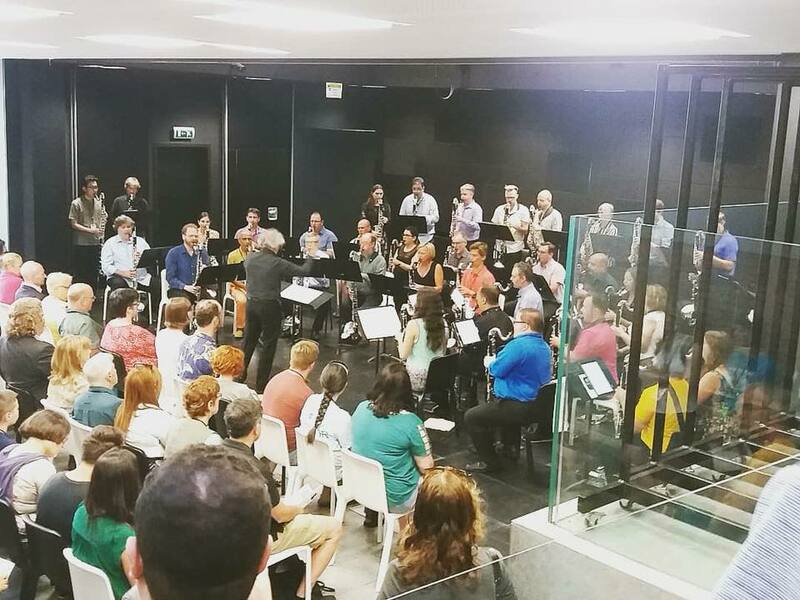 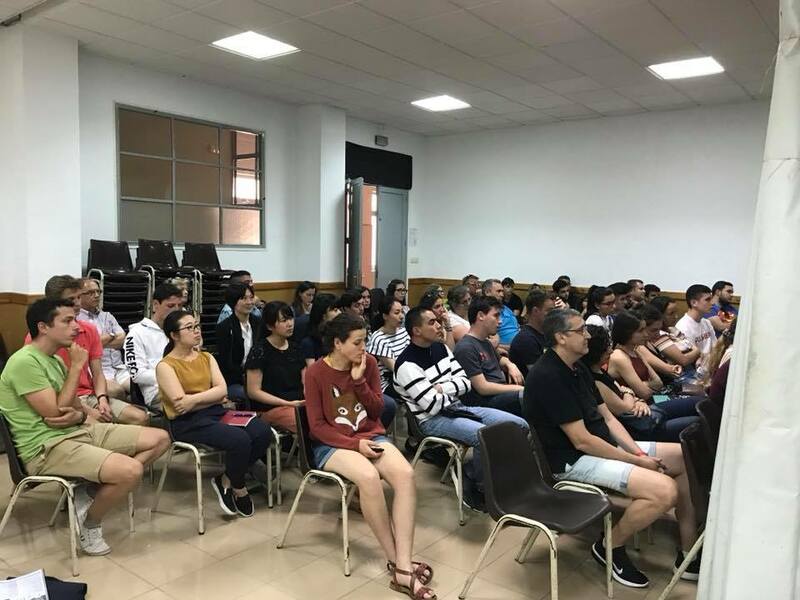 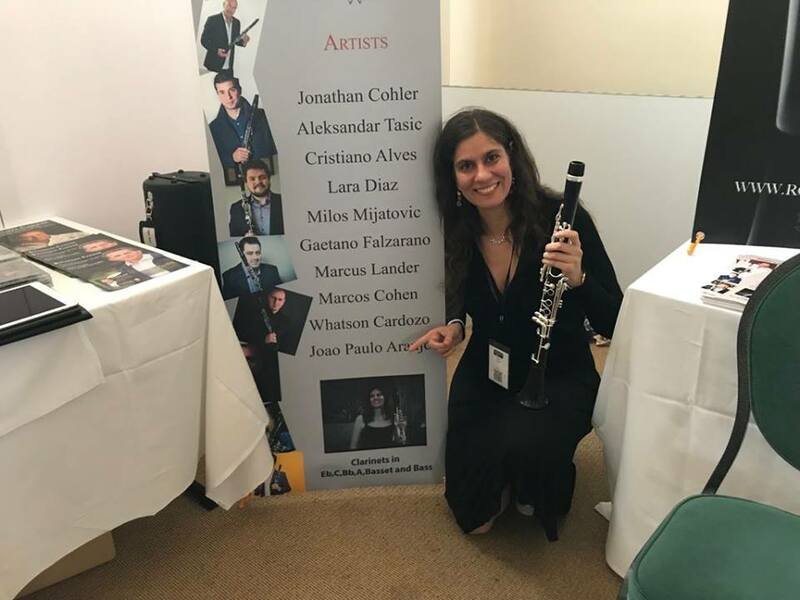 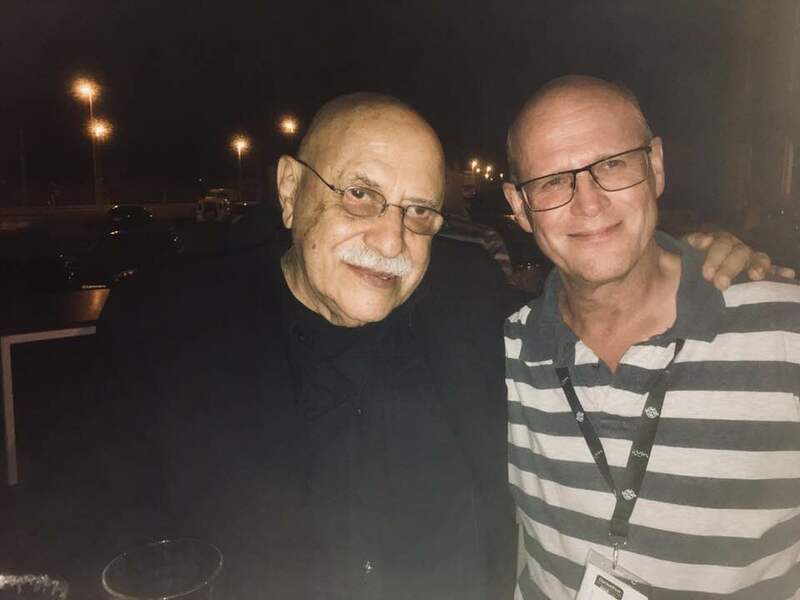 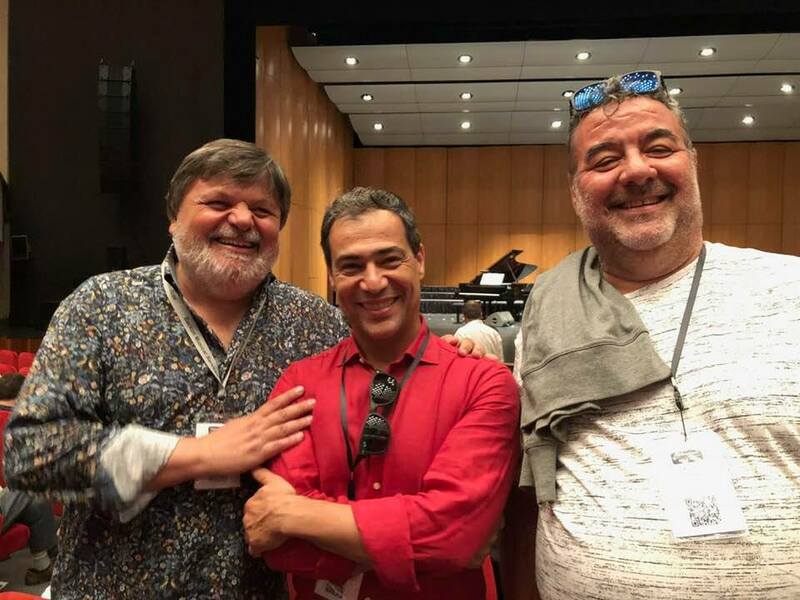 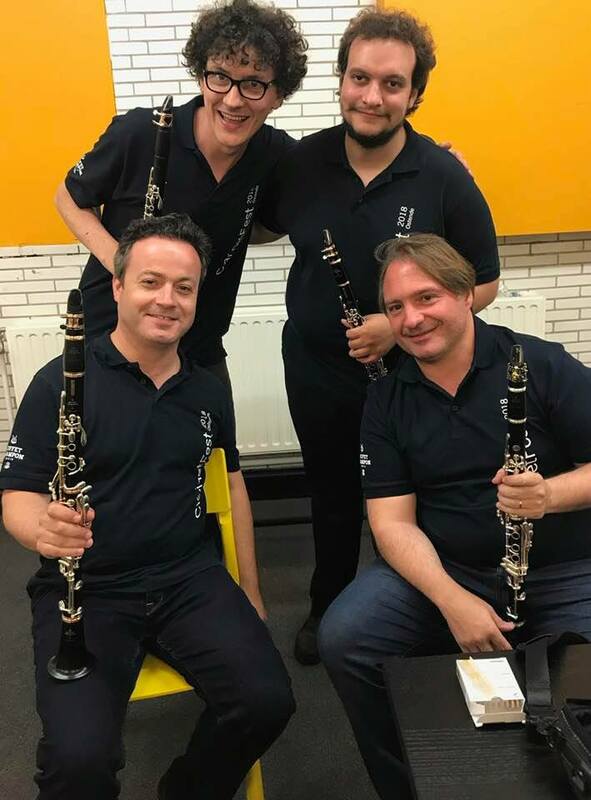 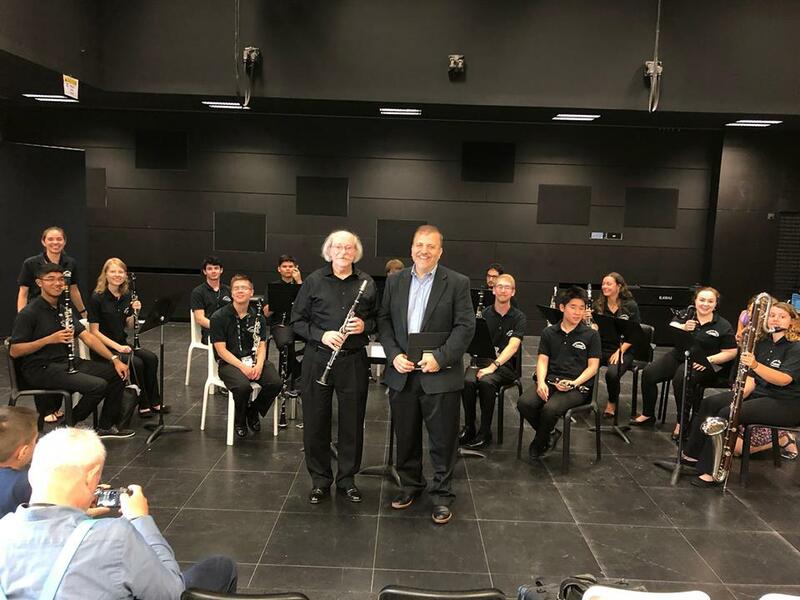 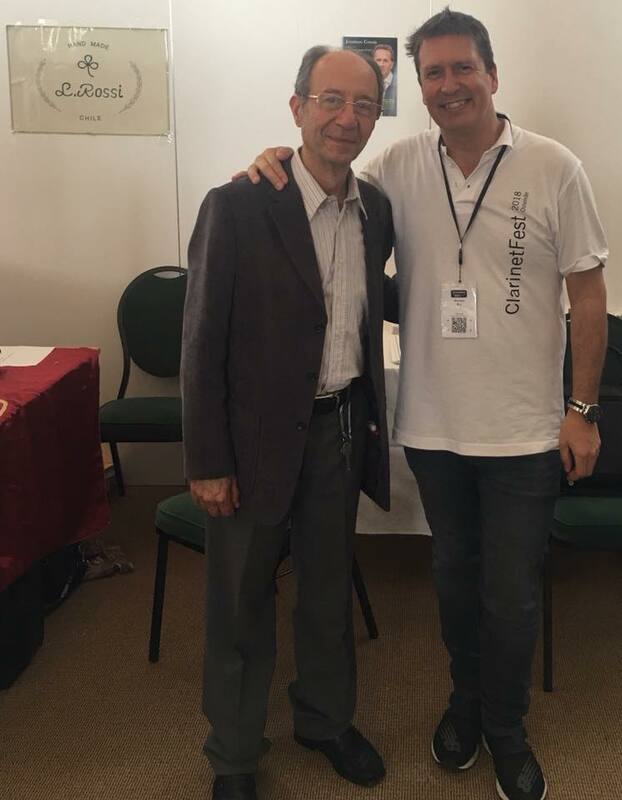 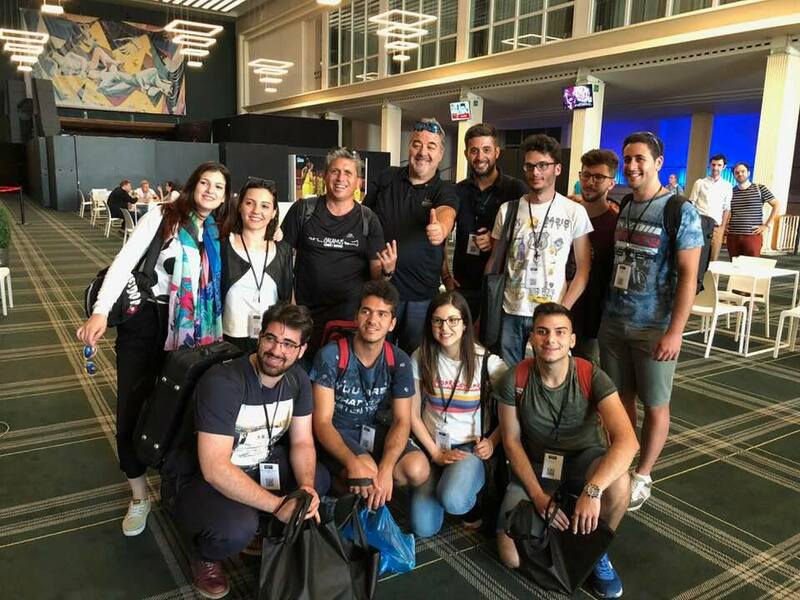 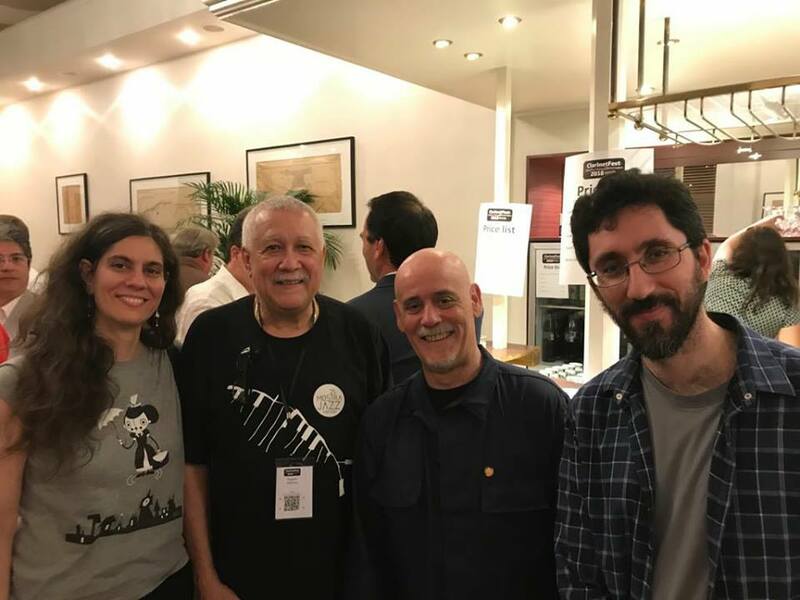 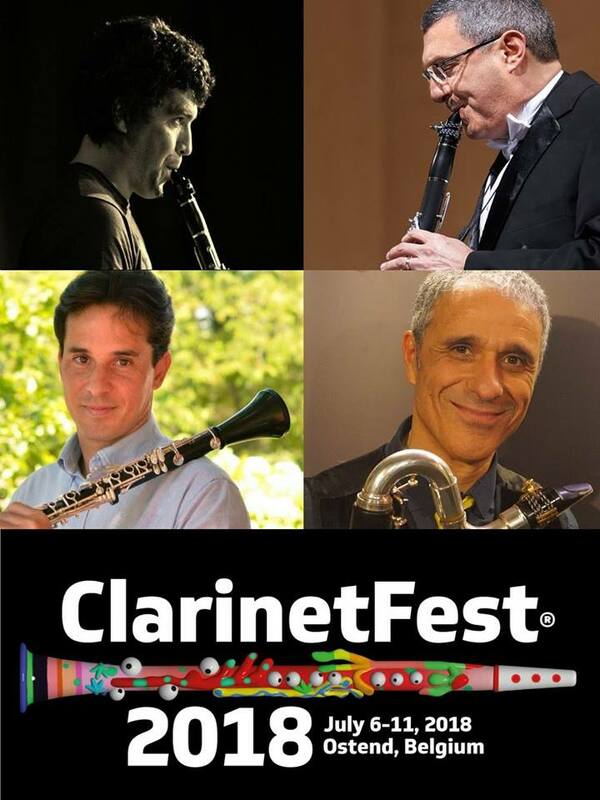 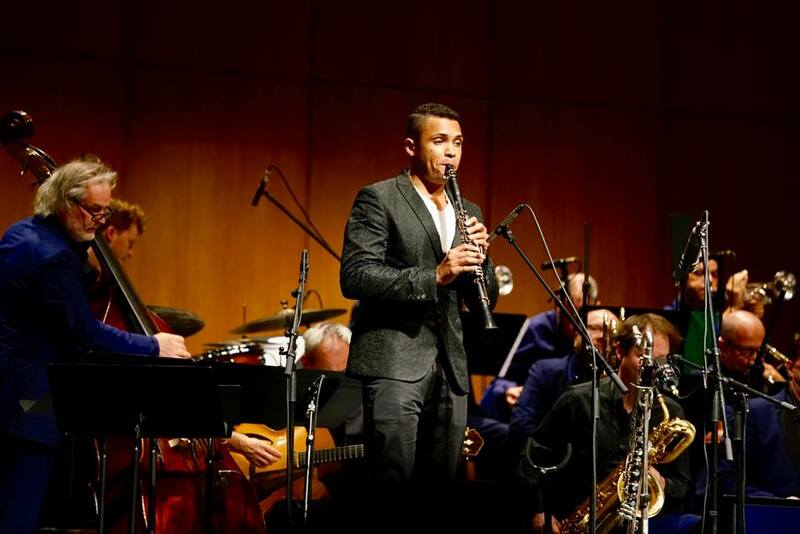 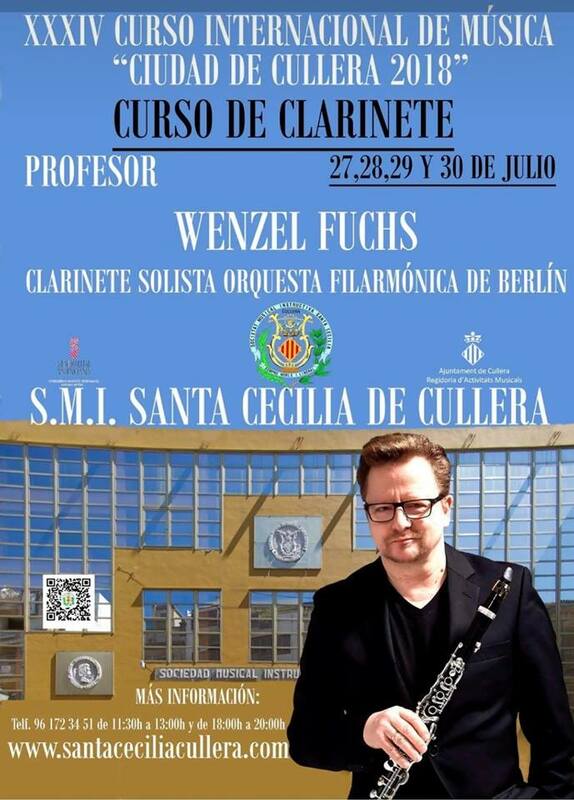 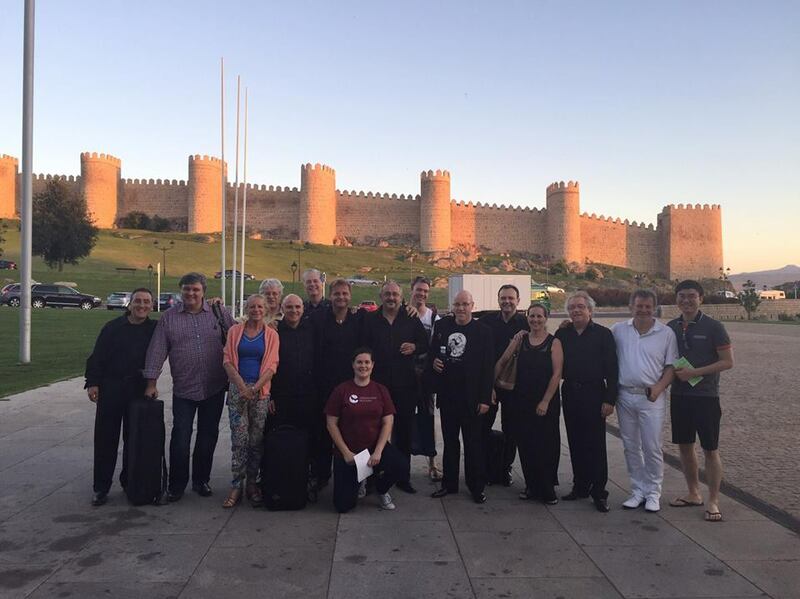 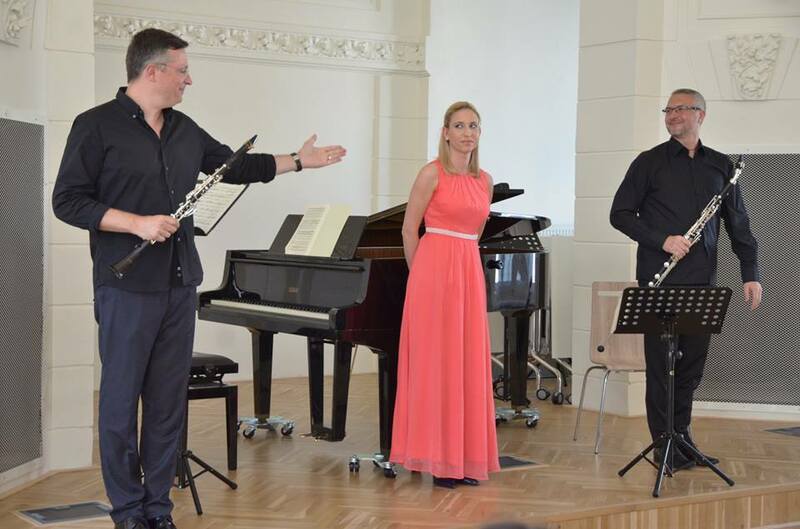 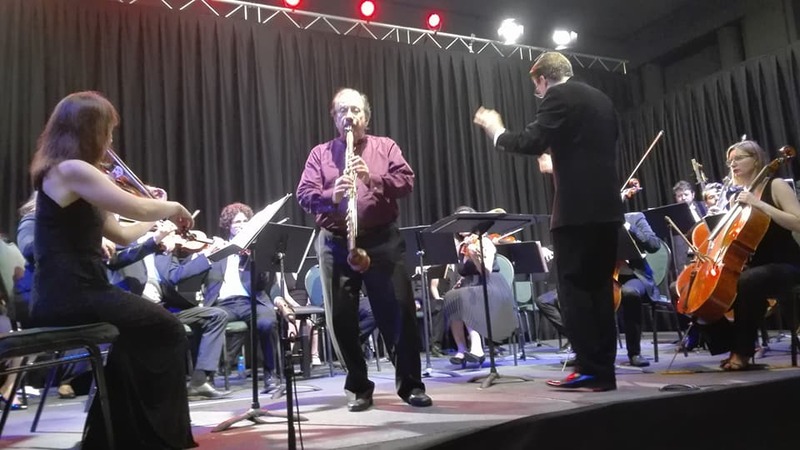 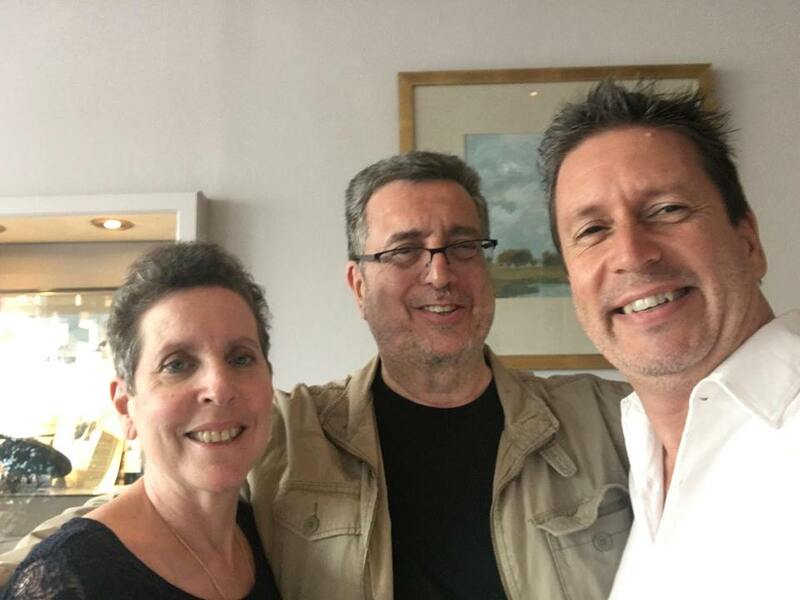 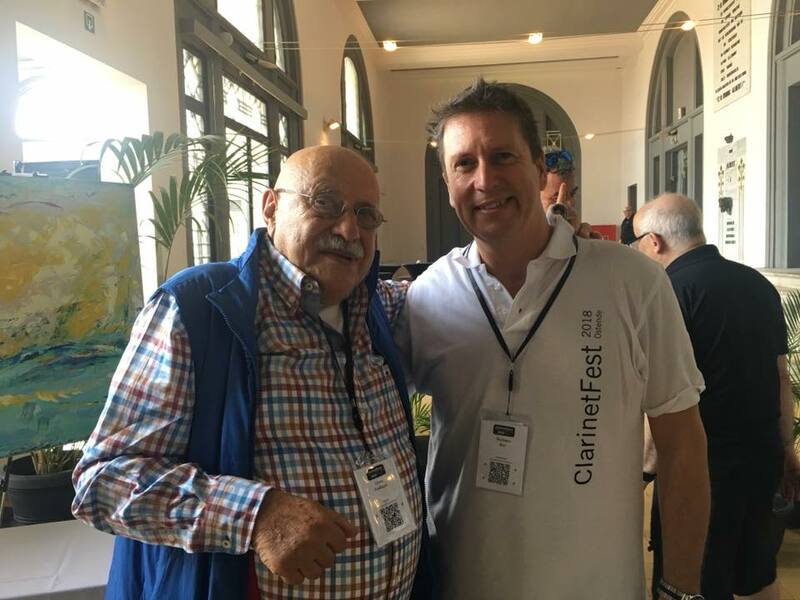 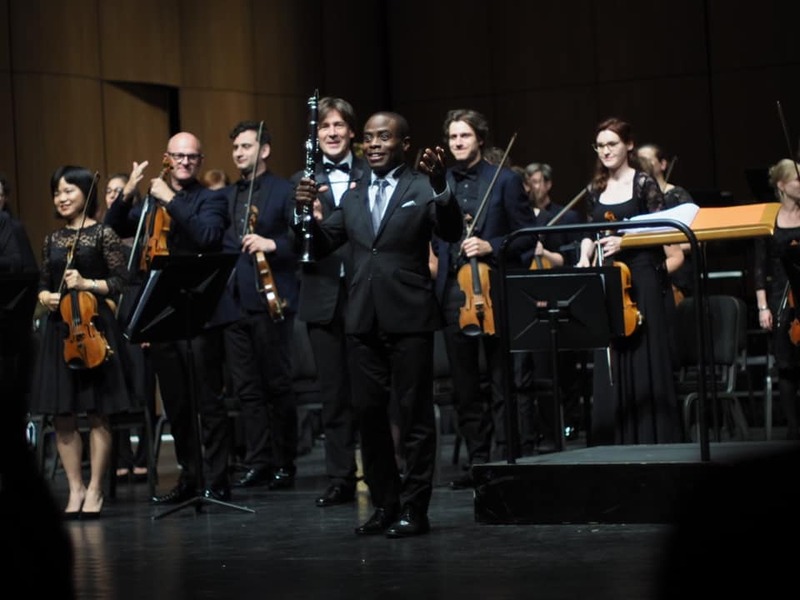 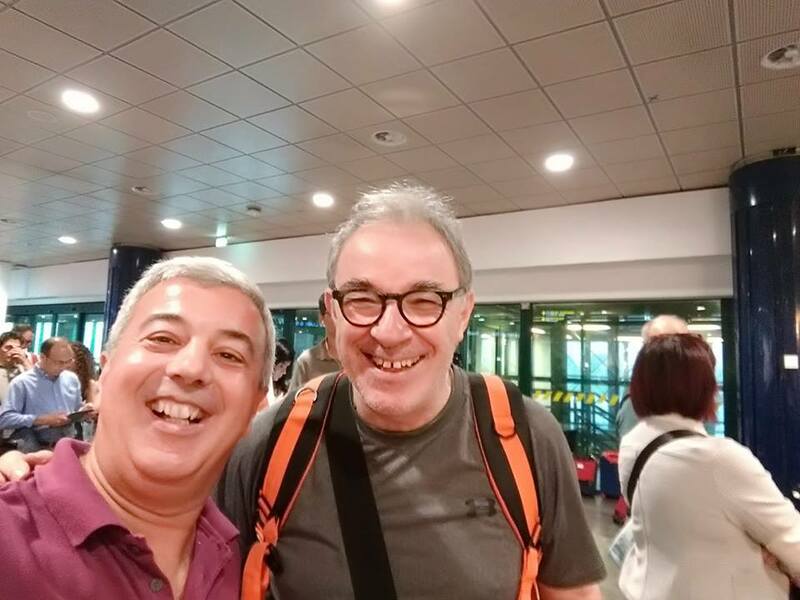 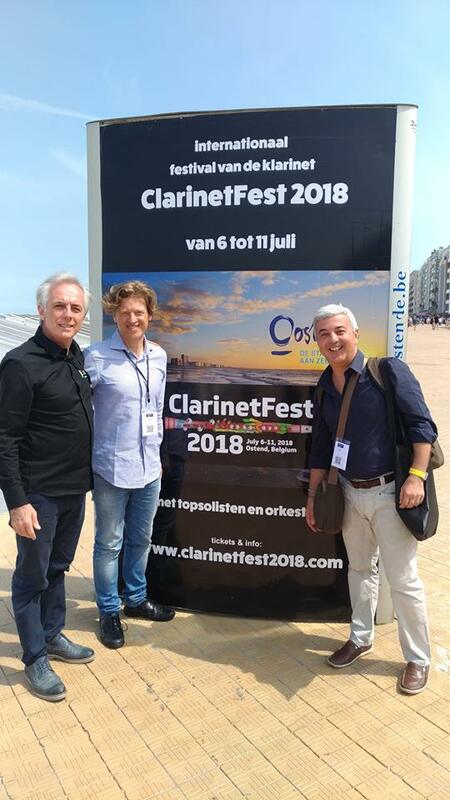 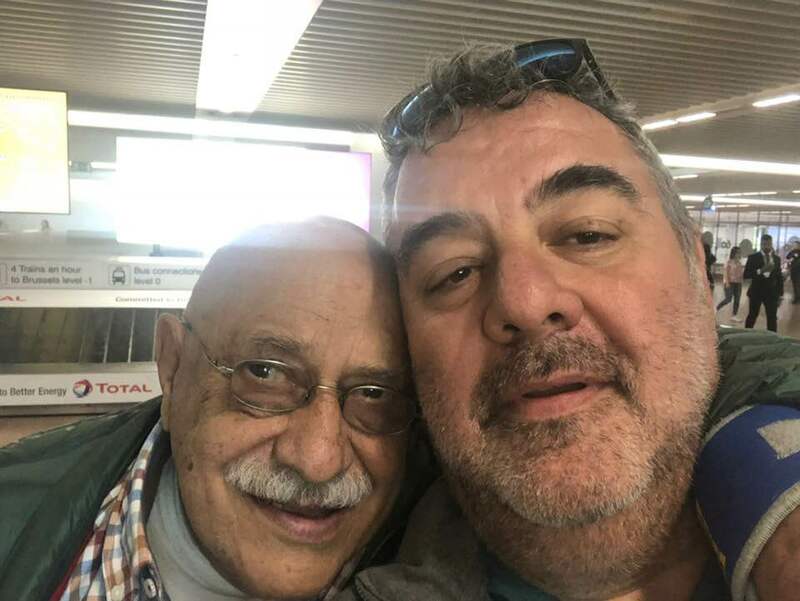 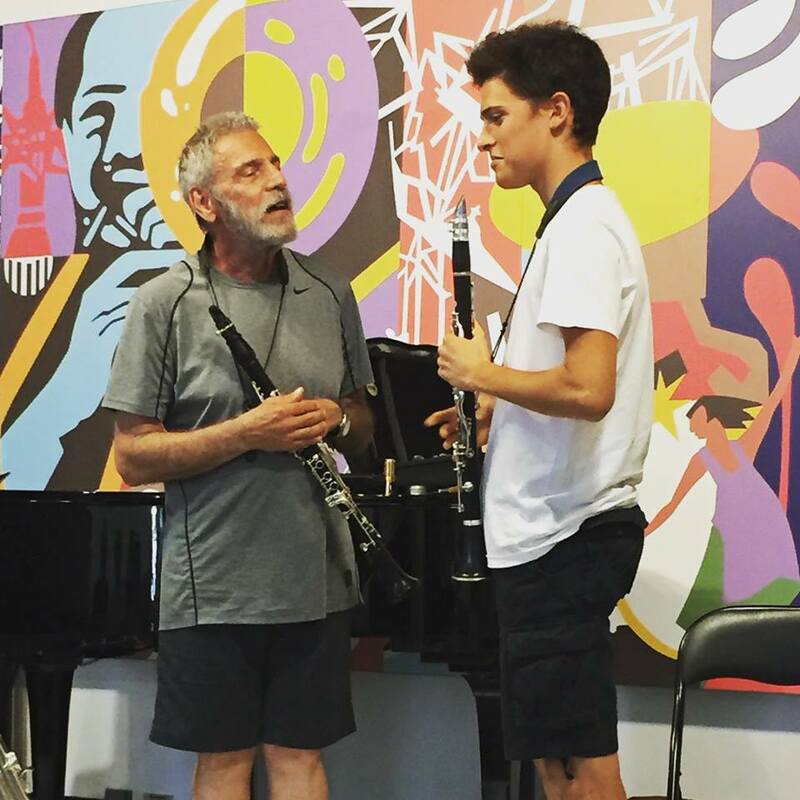 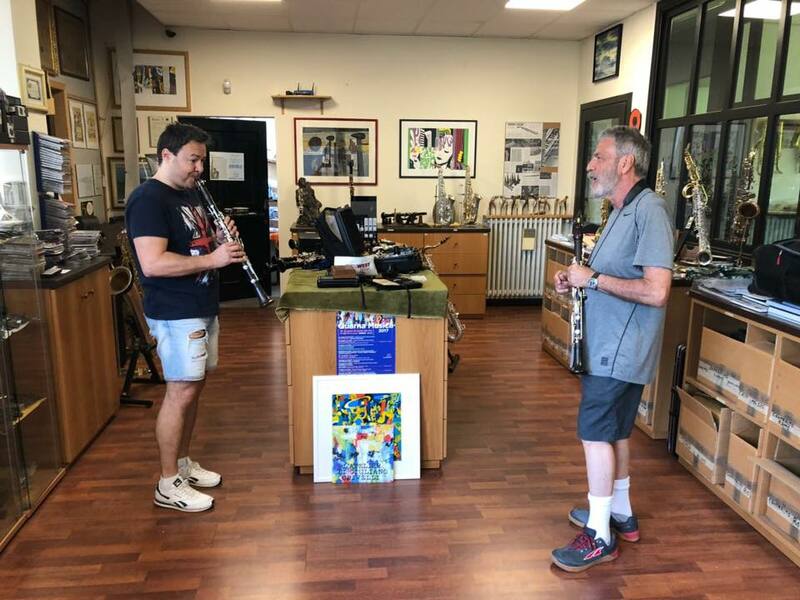 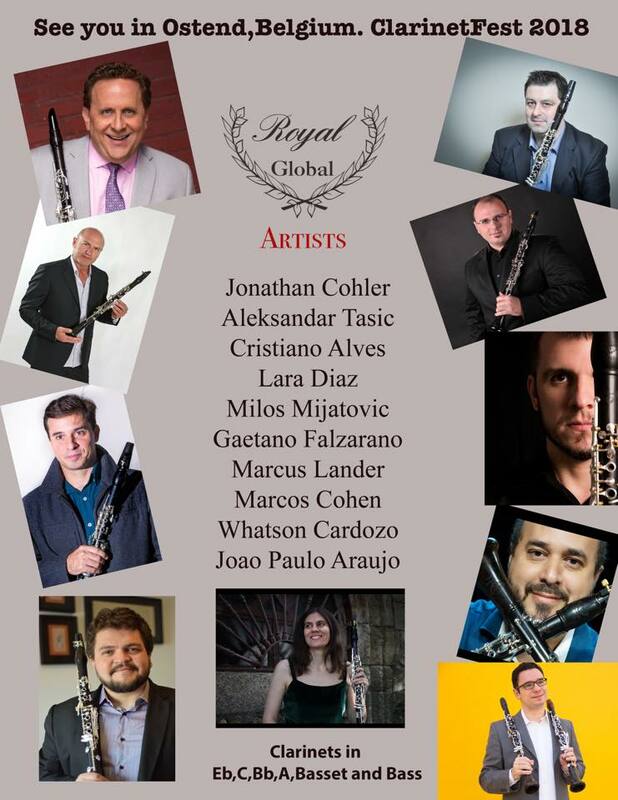 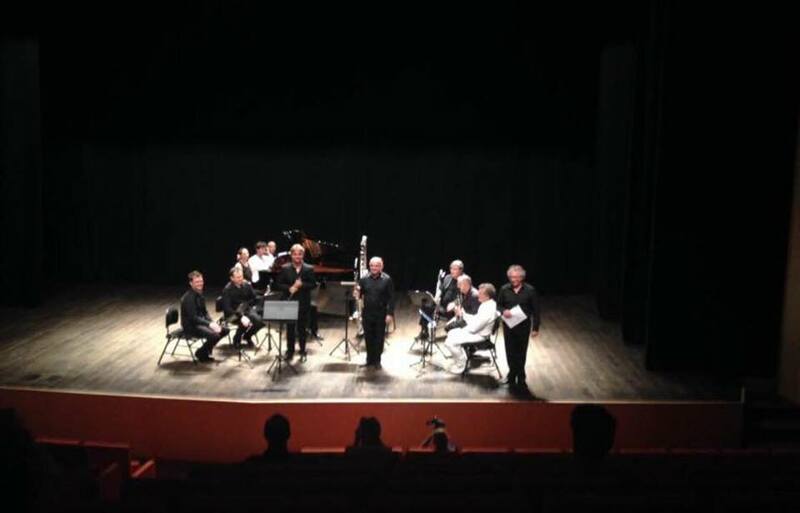 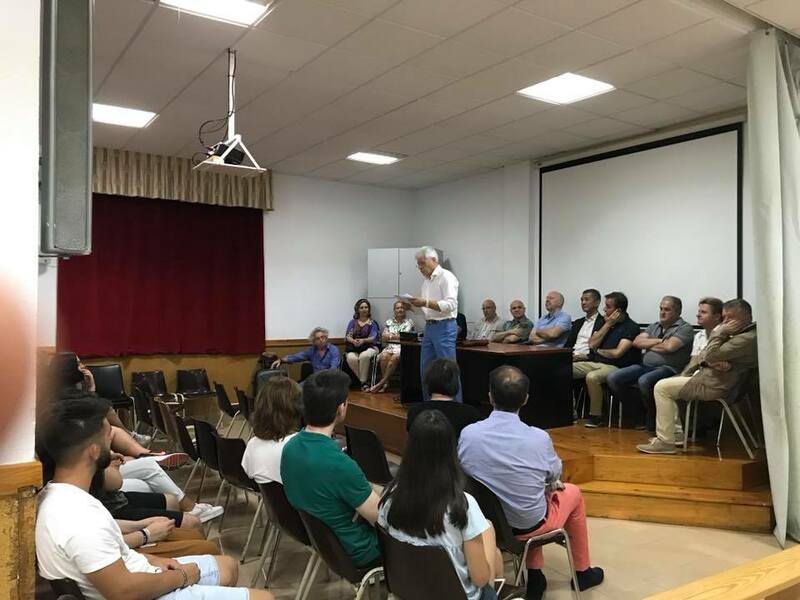 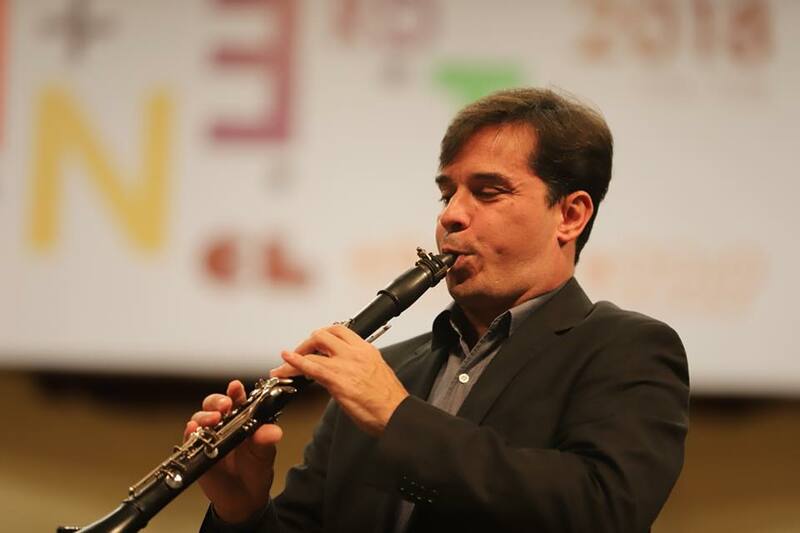 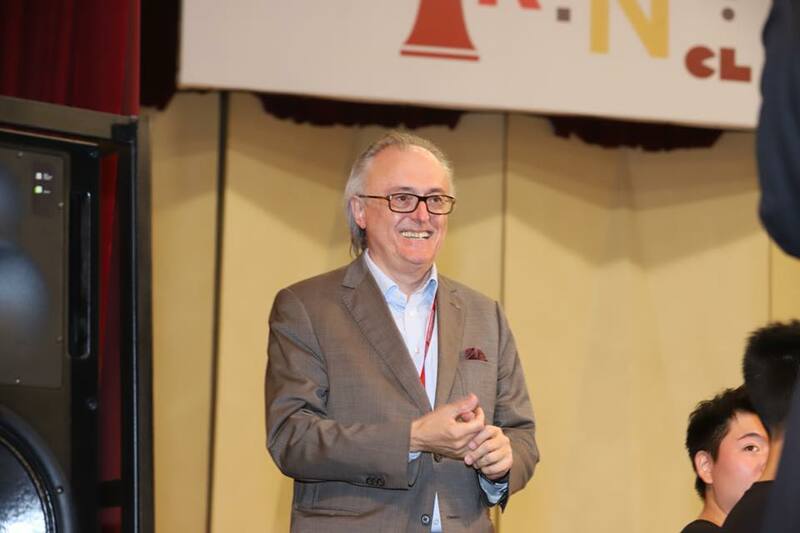 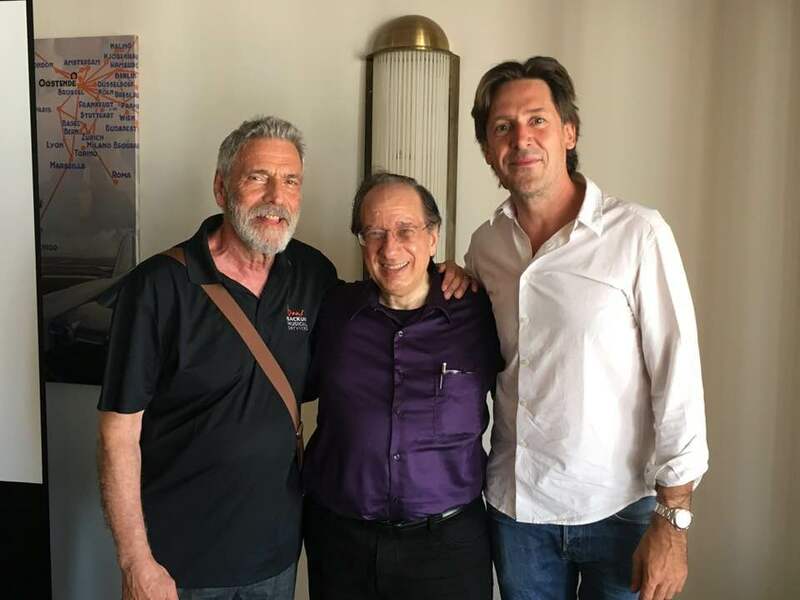 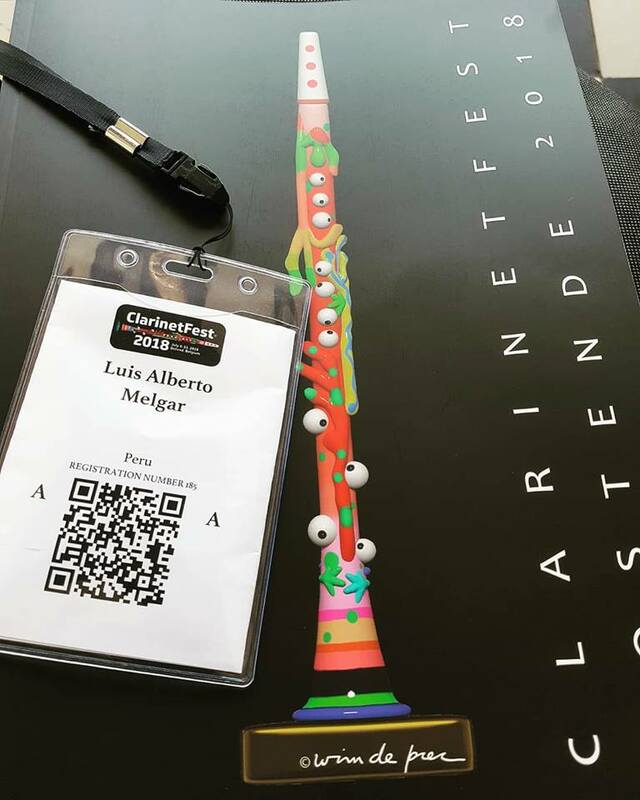 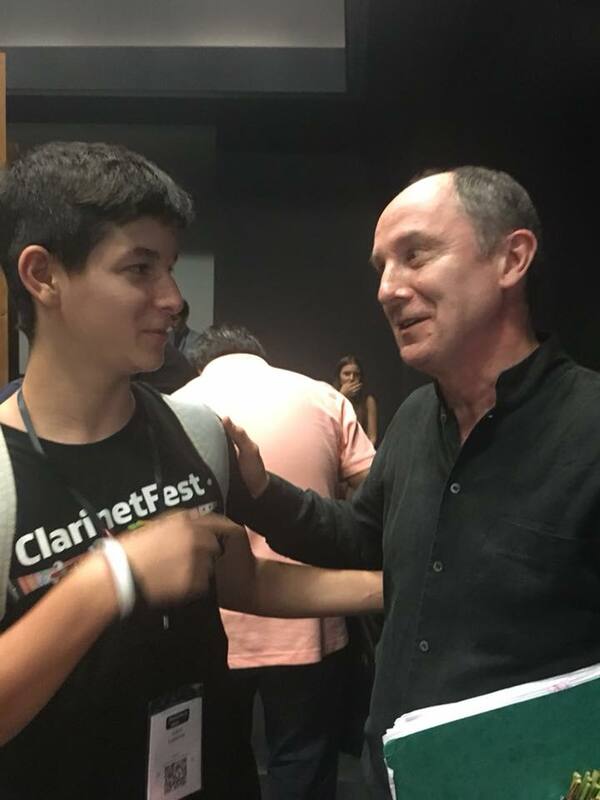 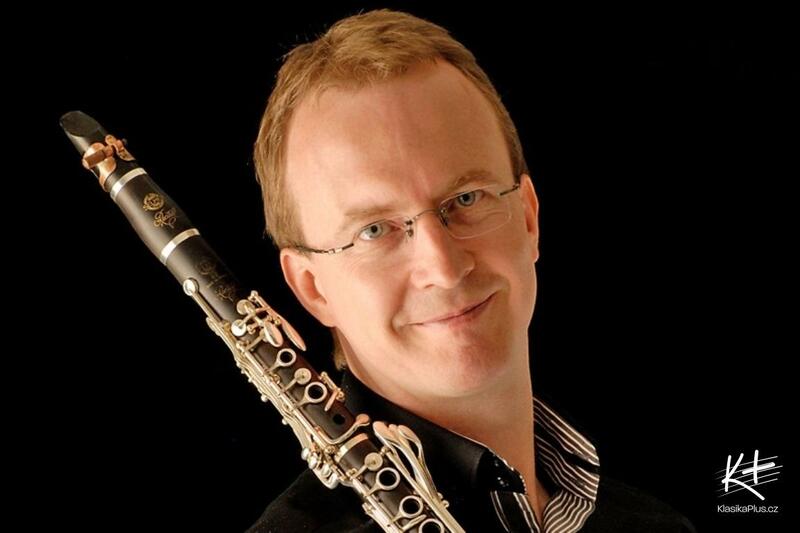 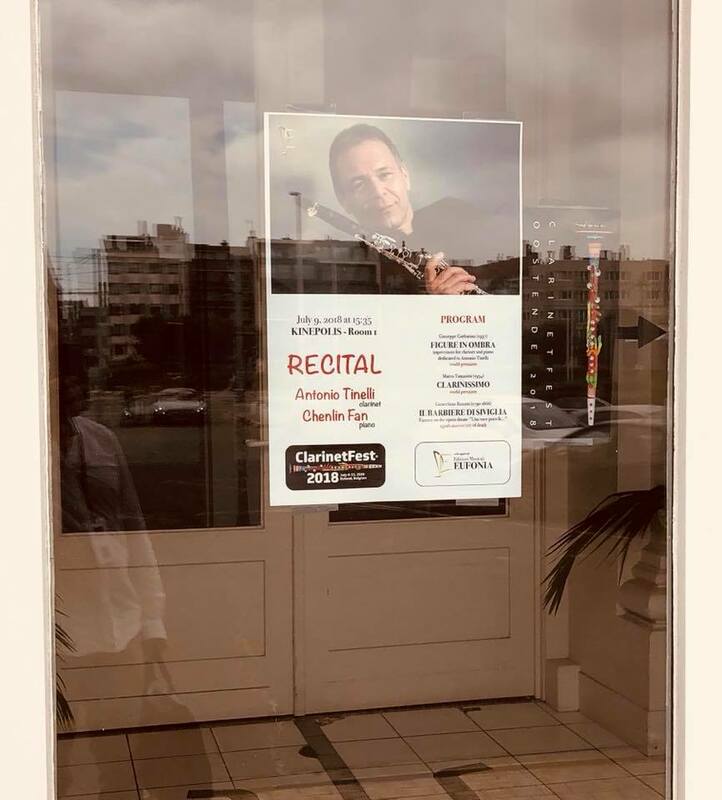 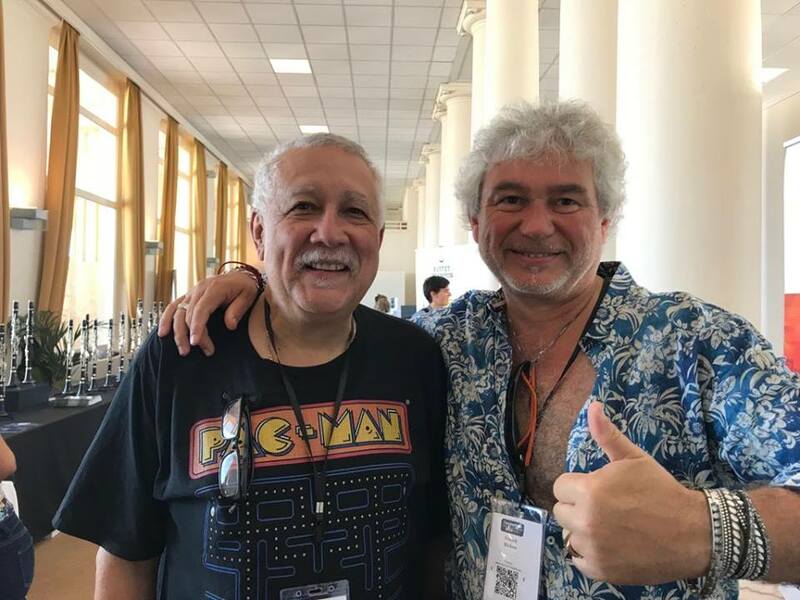 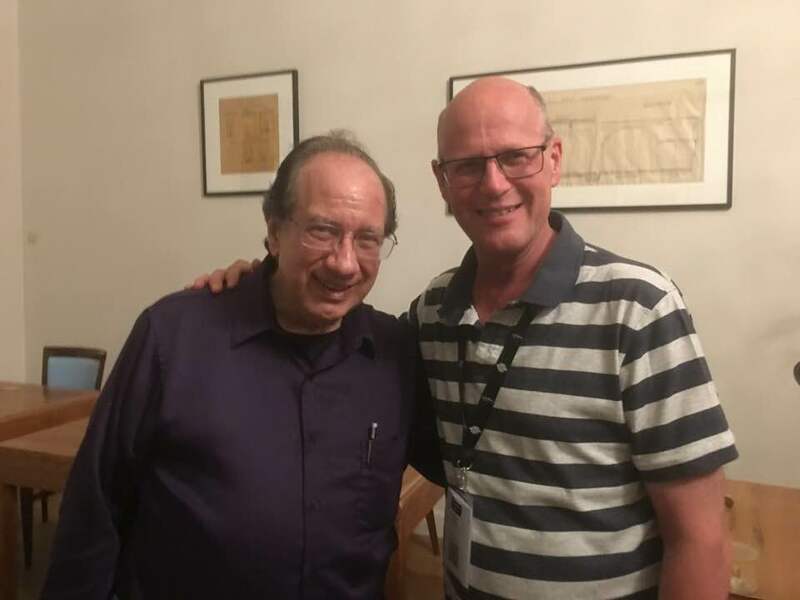 The International Clarinet Masterclass and Competition " Julian Menendez " in Avila is one of the most important clarinet event in Europe reuniting over 40 clarinetists at its 21. 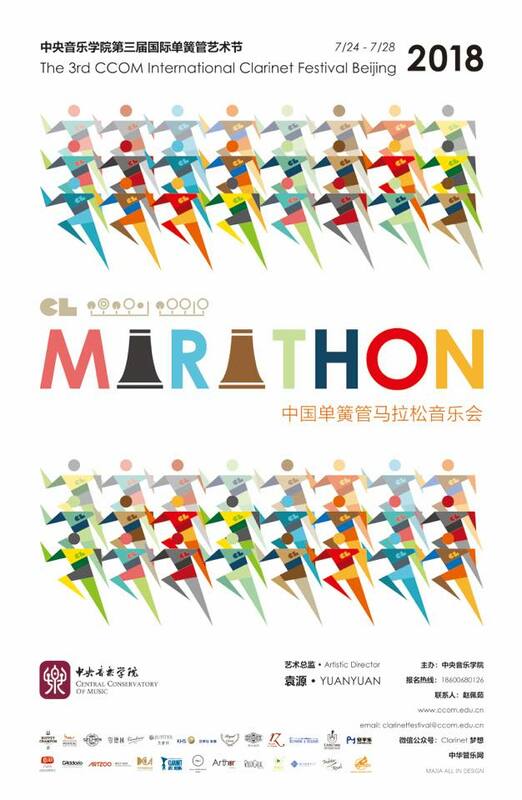 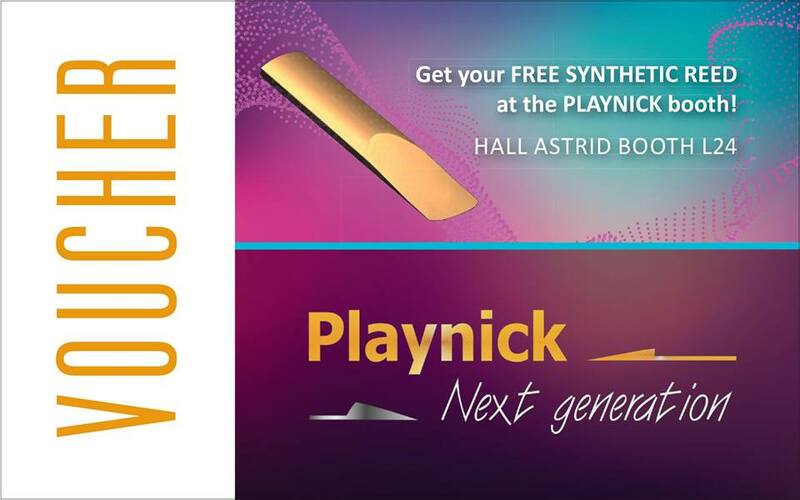 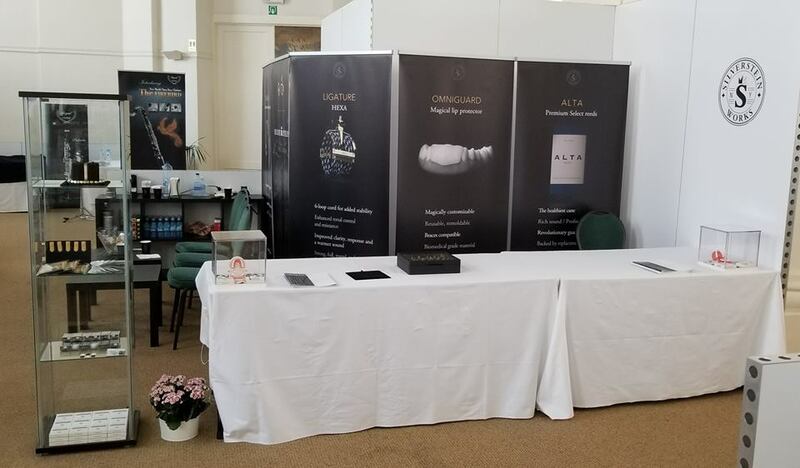 Edition this year. 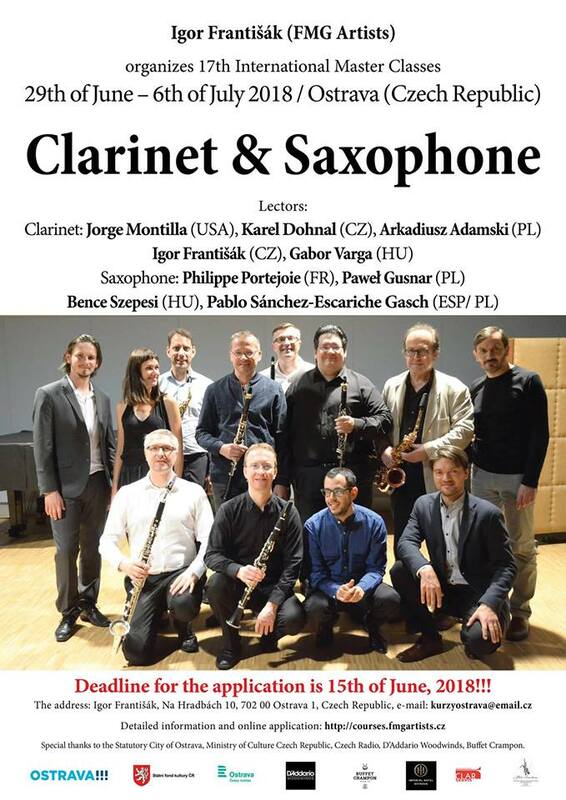 The clarinet students and professionals from all over the world assist every year to enjoy different activities: Individual clarinet lessons Bass Clarinet Lessons Clarinet Ensemble Orquestral Repertoire Clarinet maintainers and repares Improvisation and a Introduction to a Jazz How to behave on the stage and resolve a stage fright. 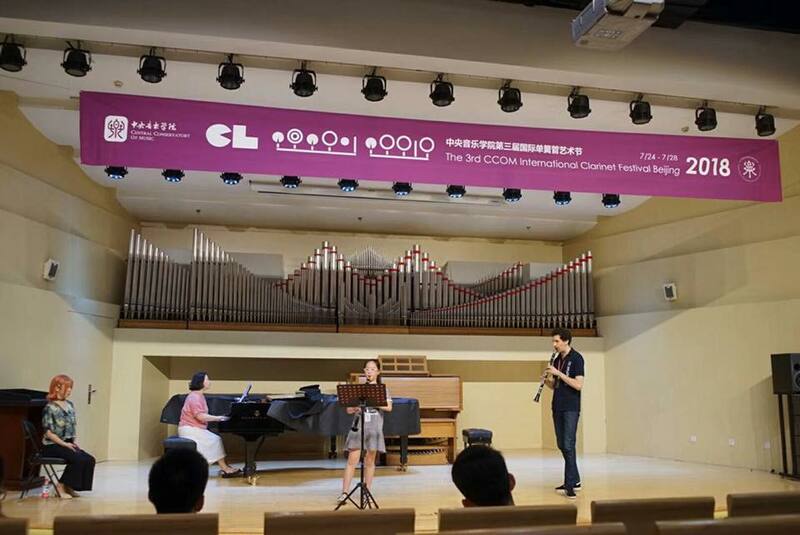 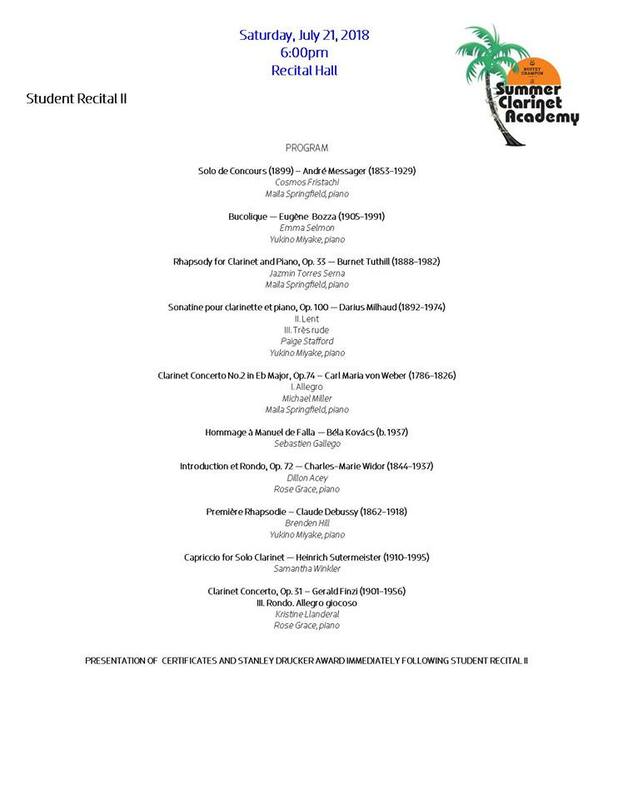 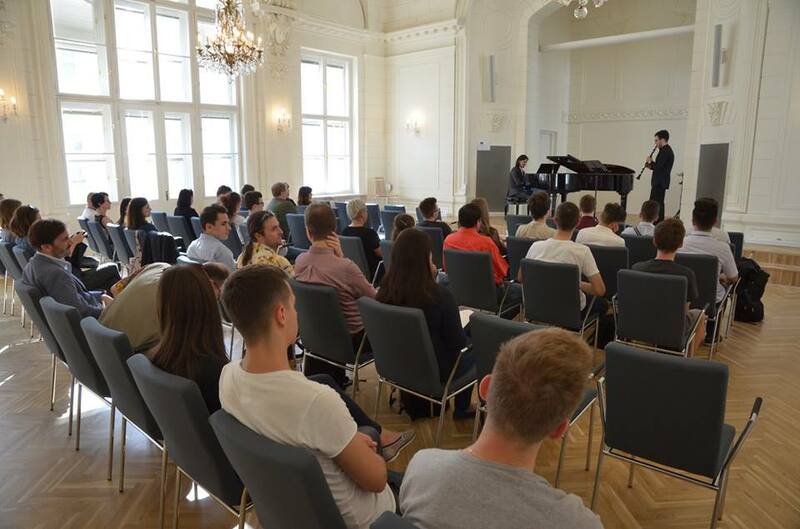 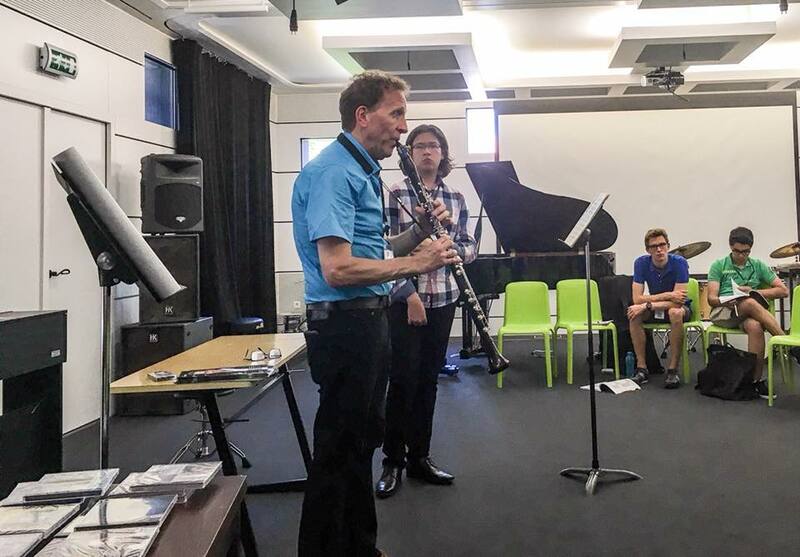 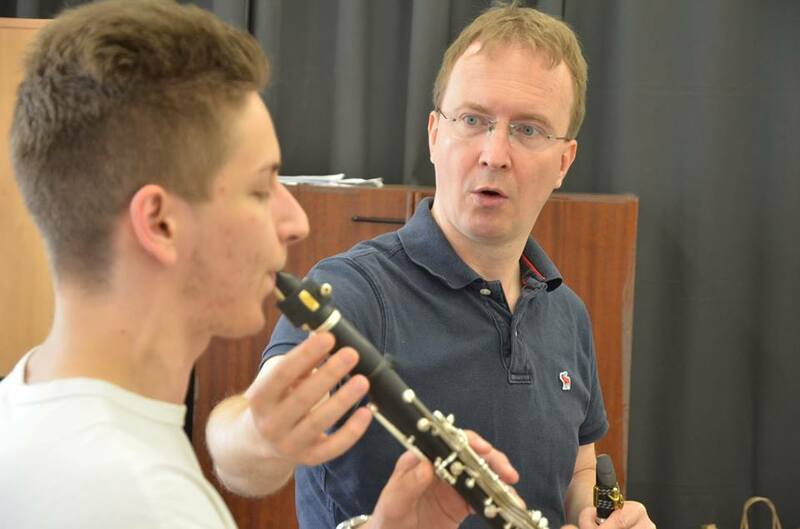 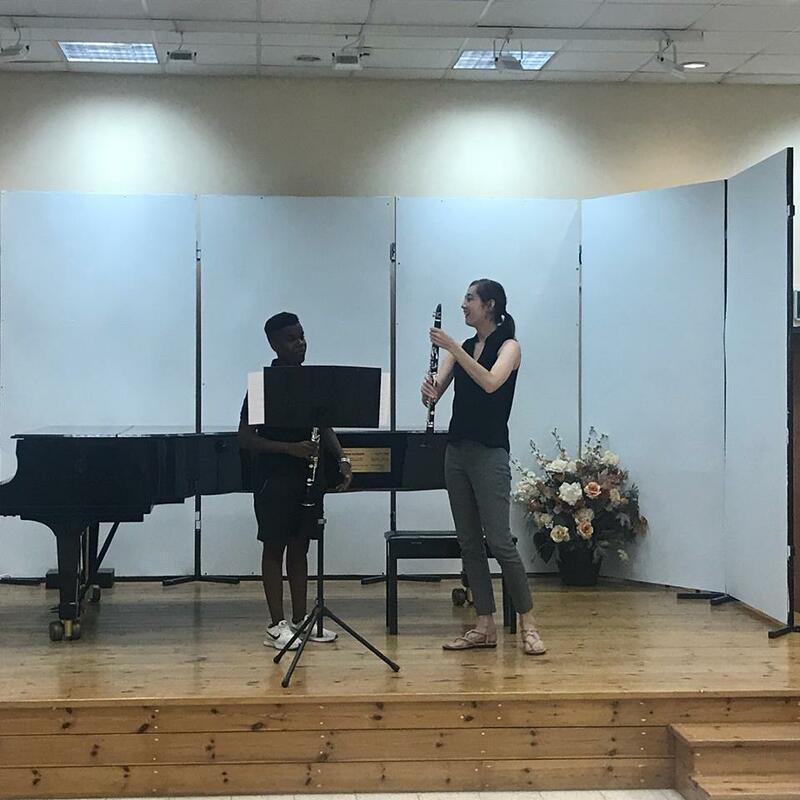 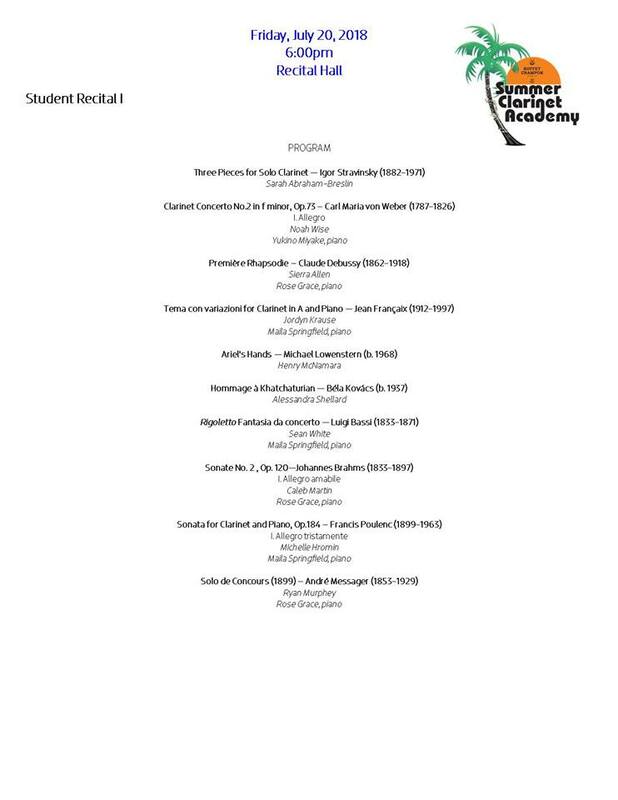 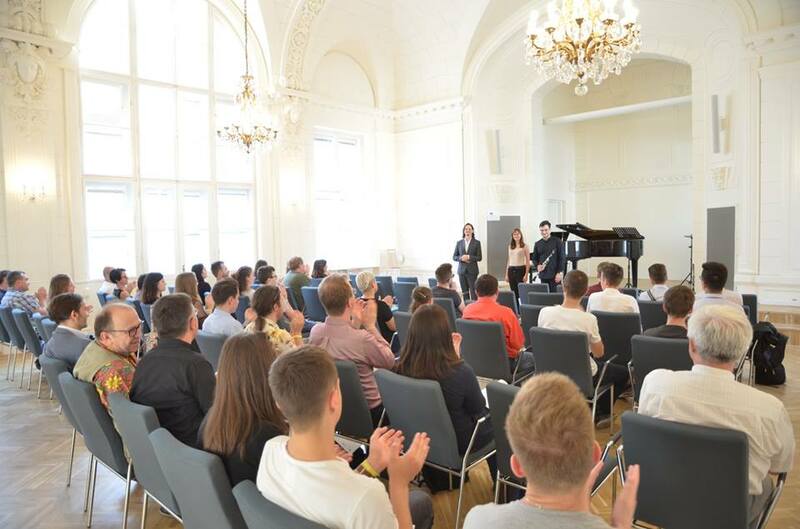 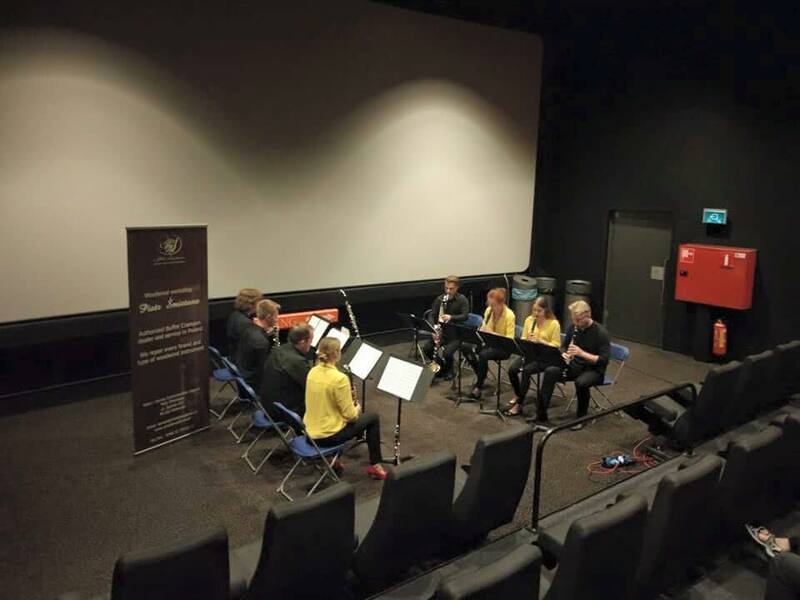 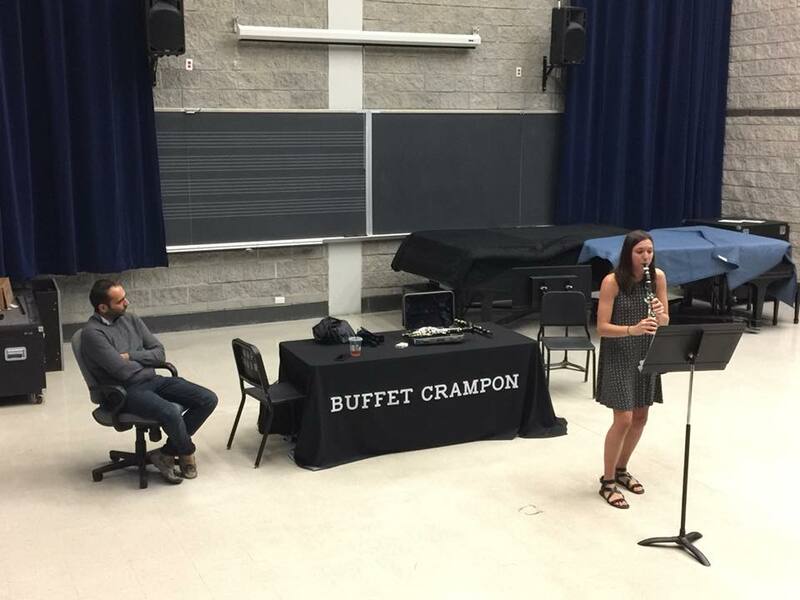 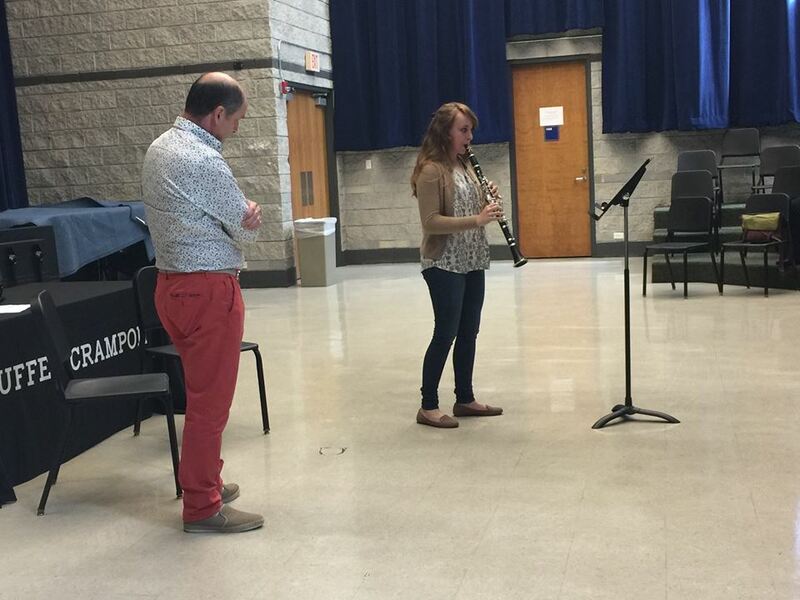 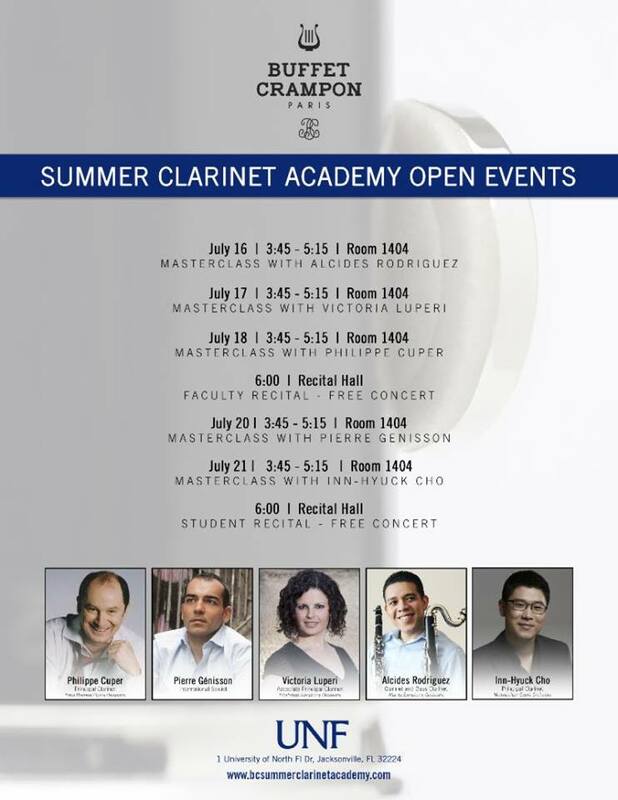 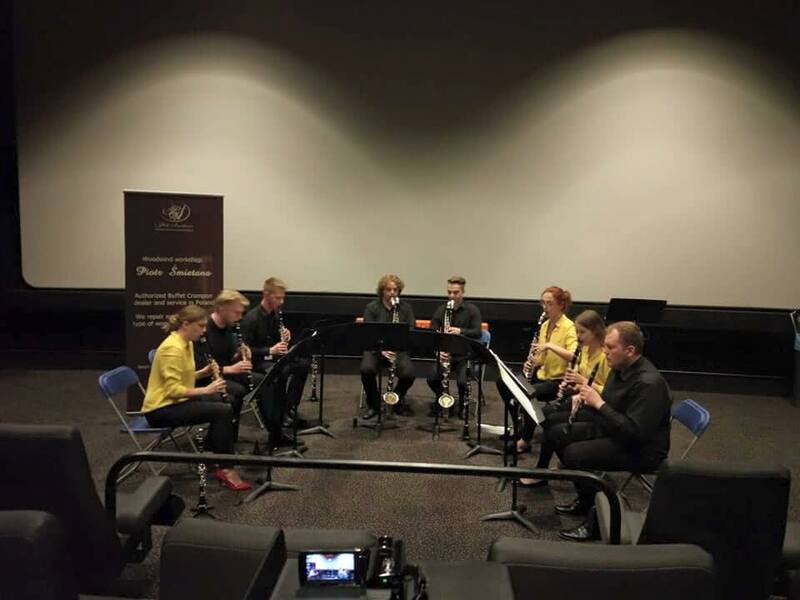 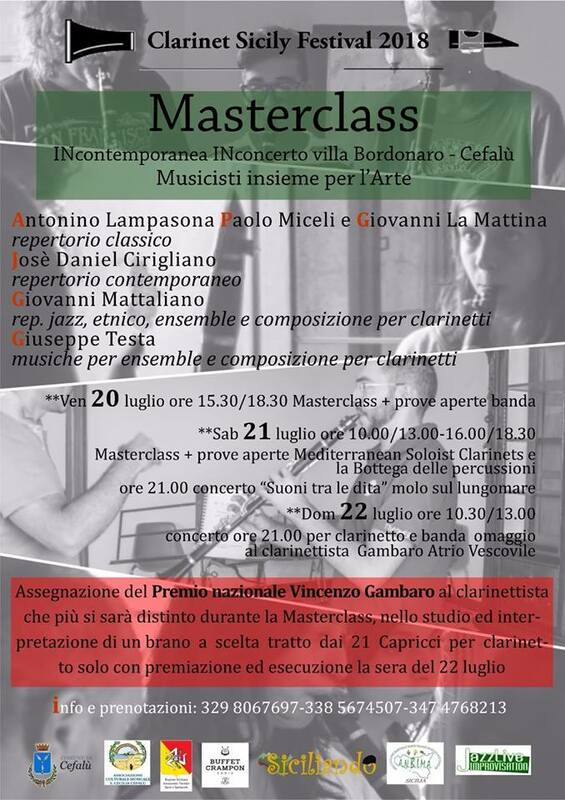 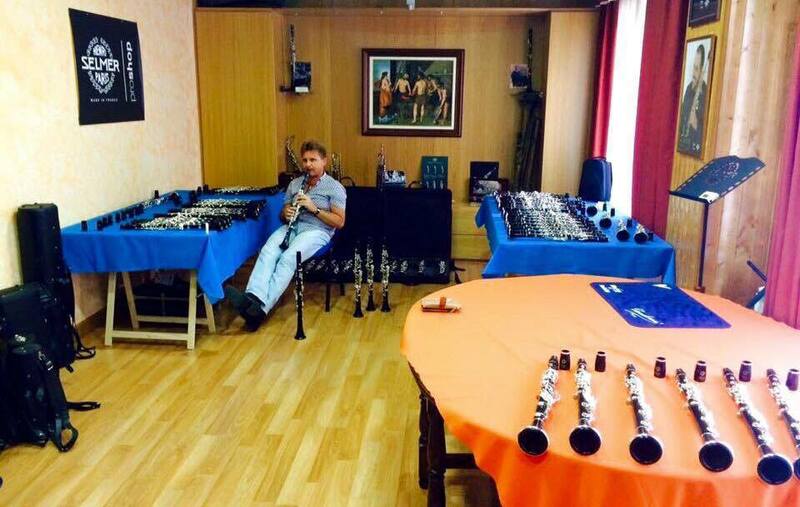 This year 8. International Clarinet Competition has been held at the Masterclass. 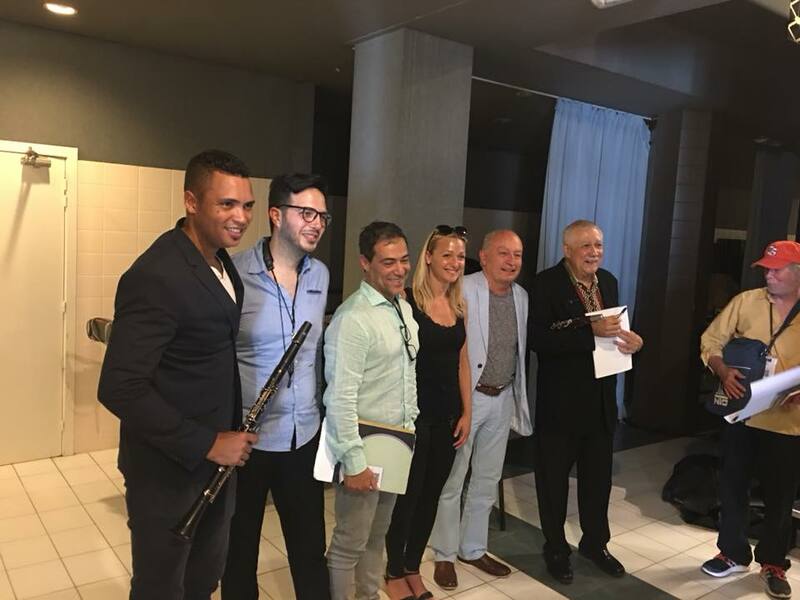 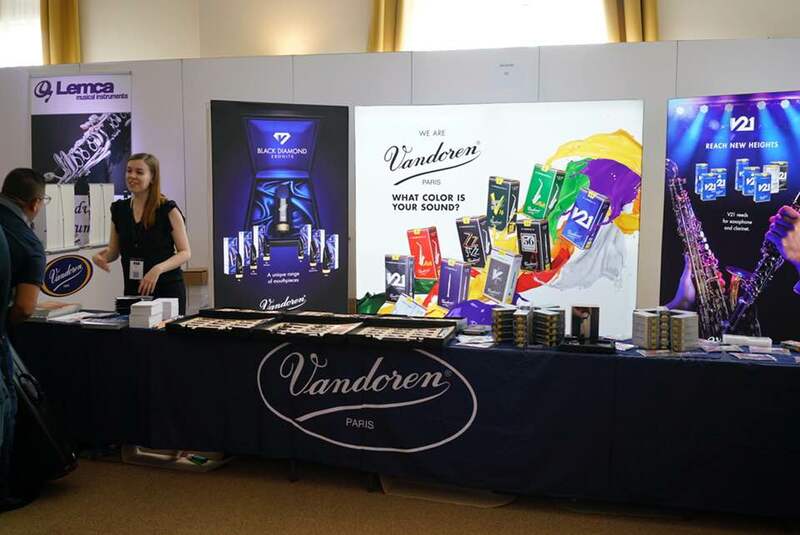 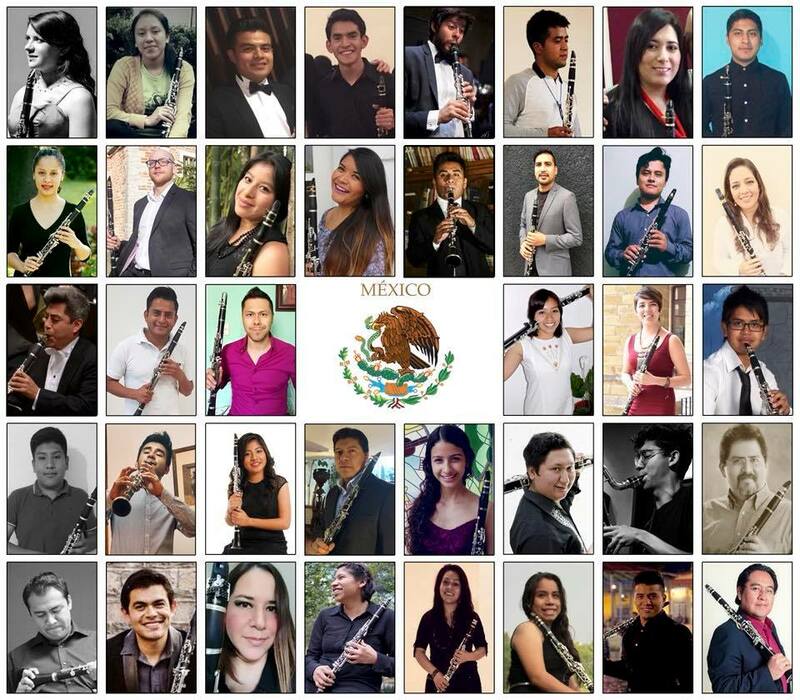 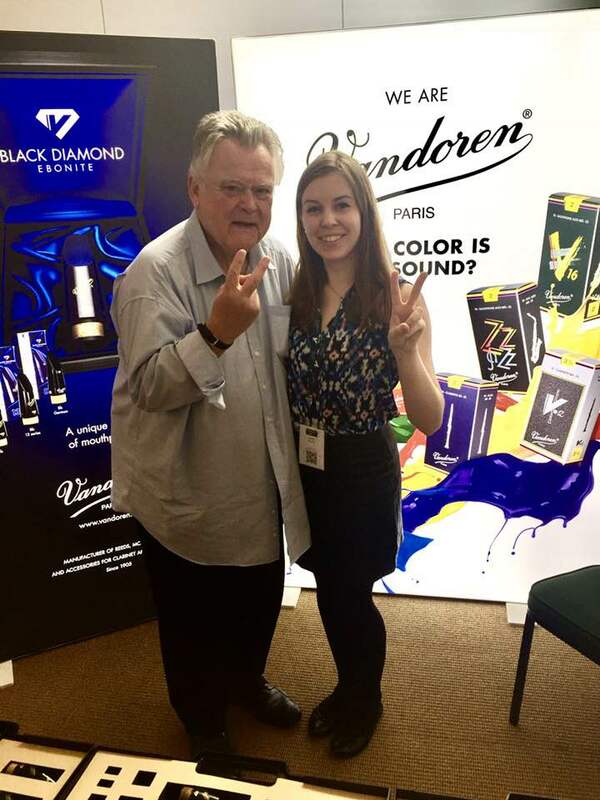 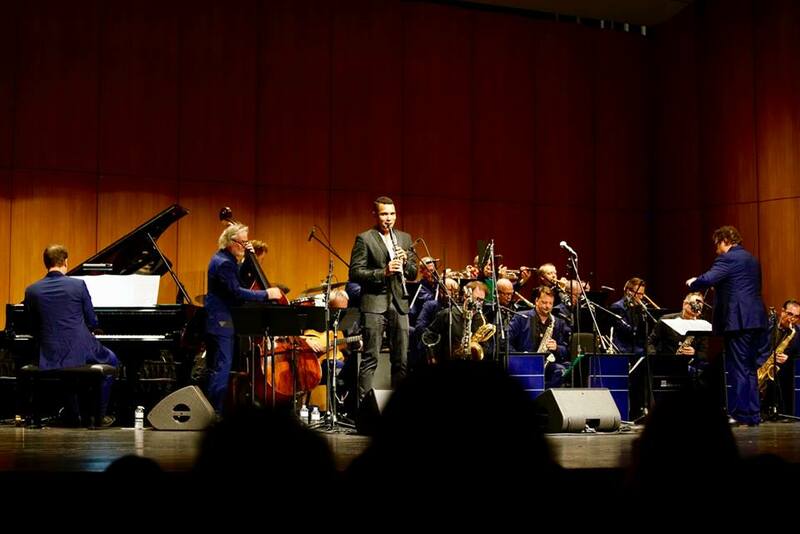 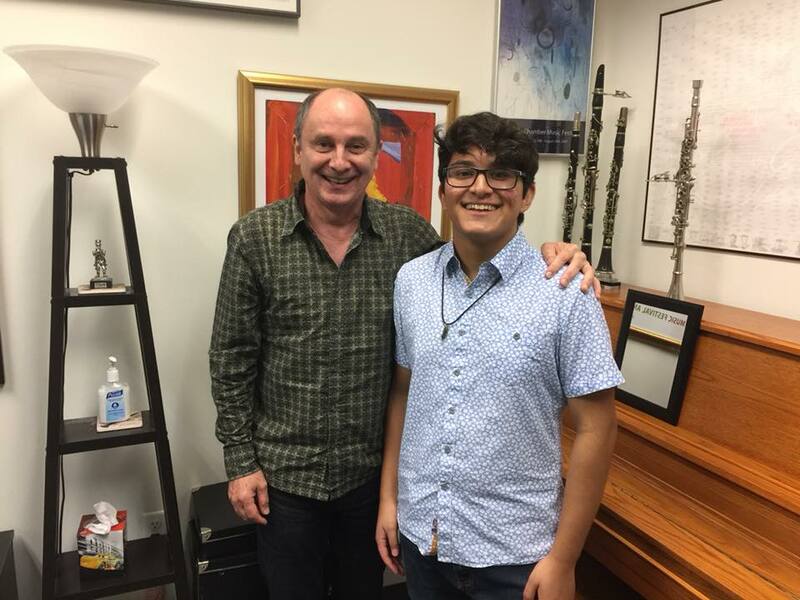 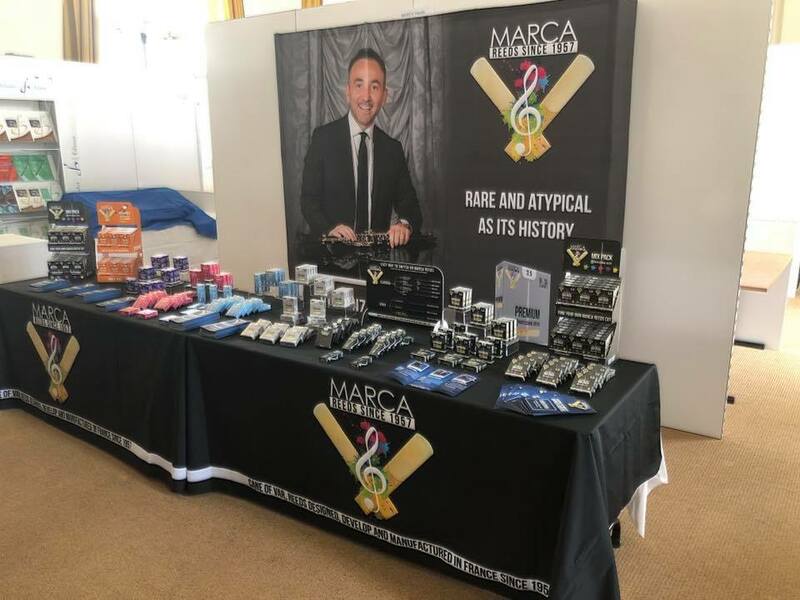 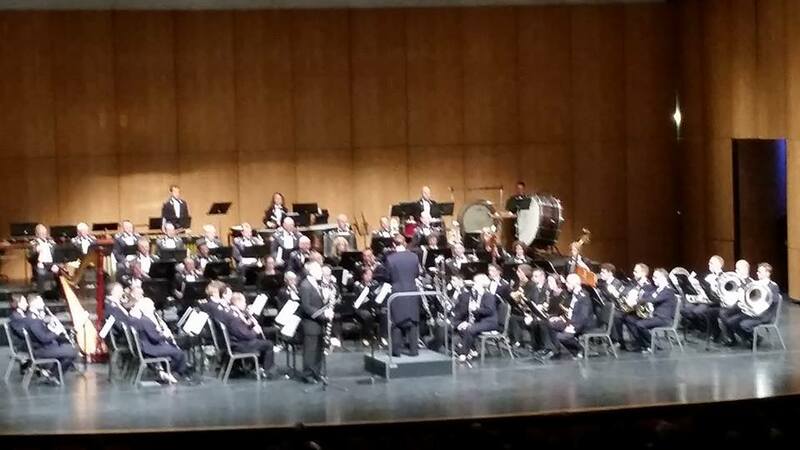 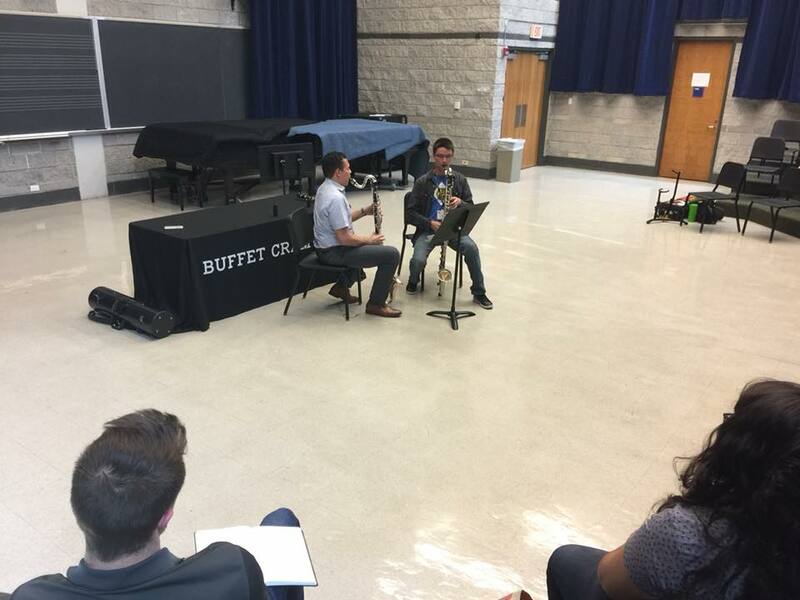 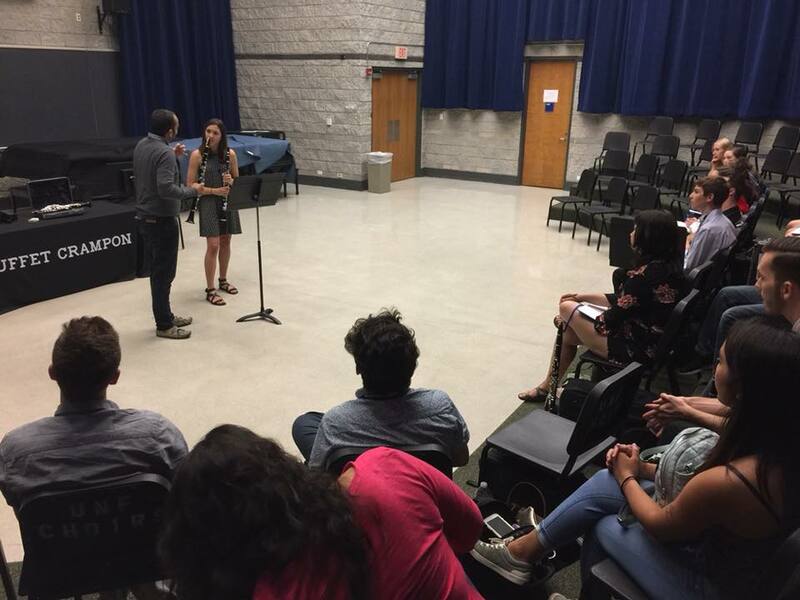 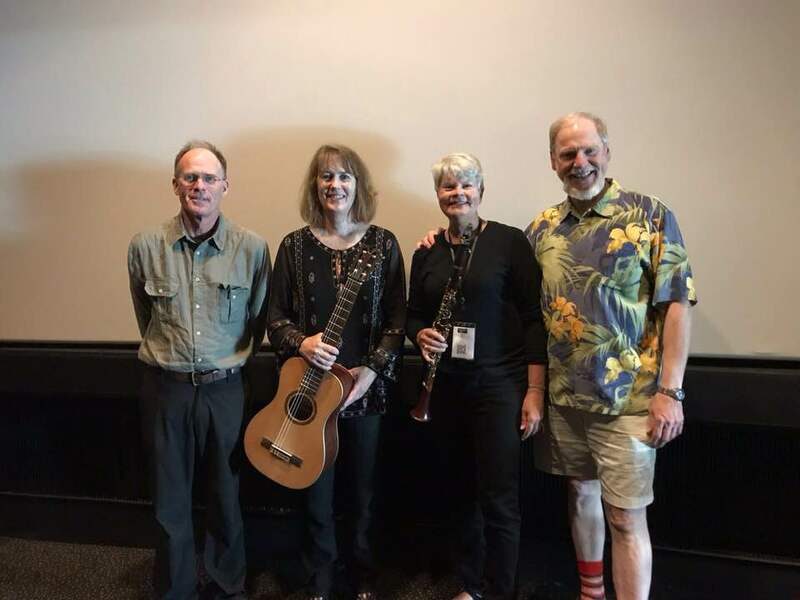 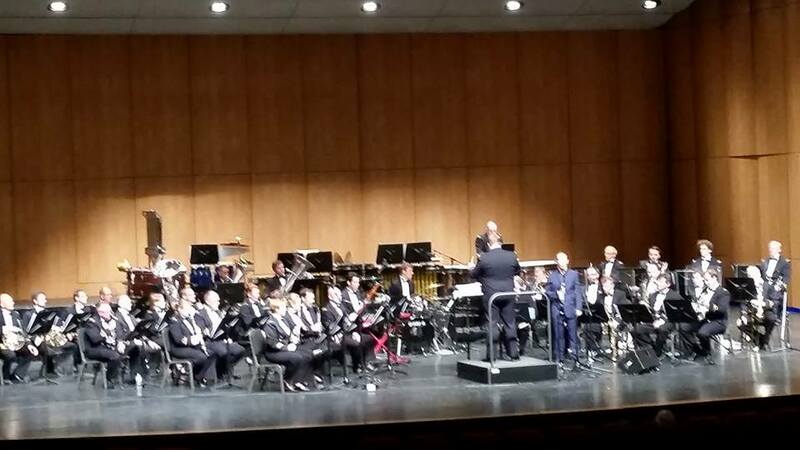 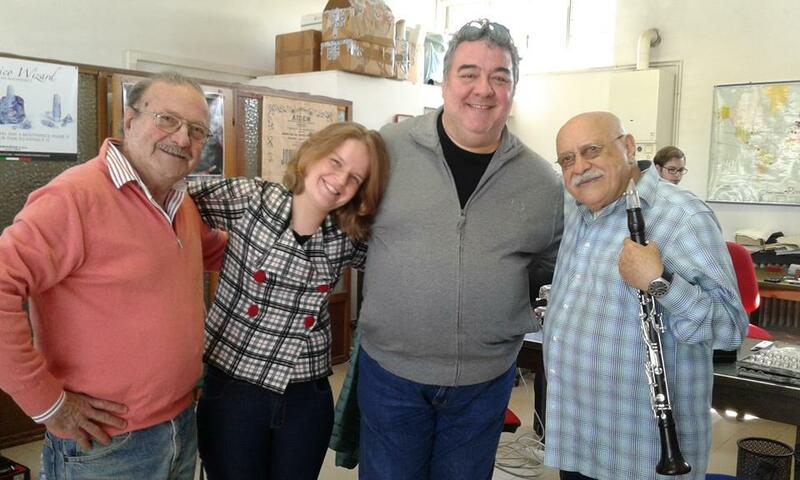 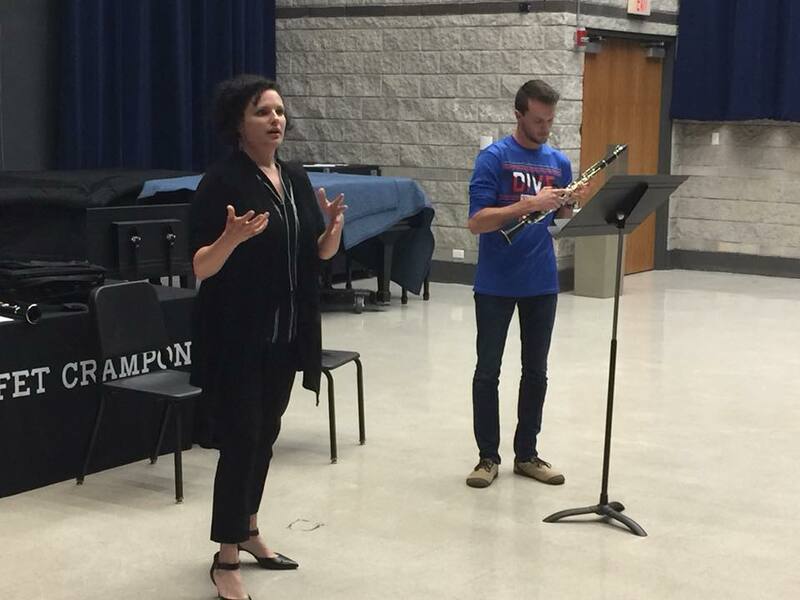 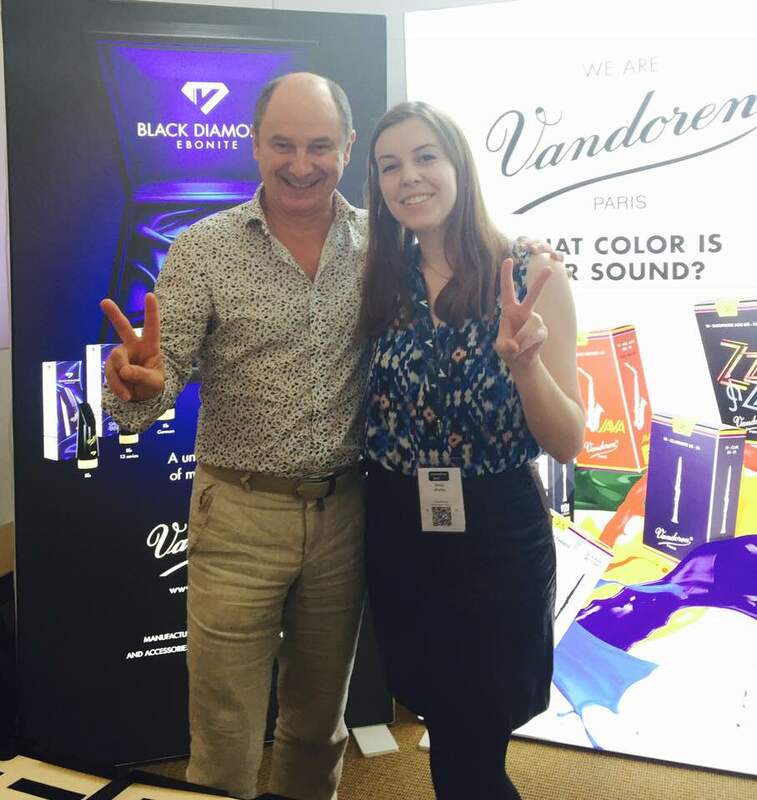 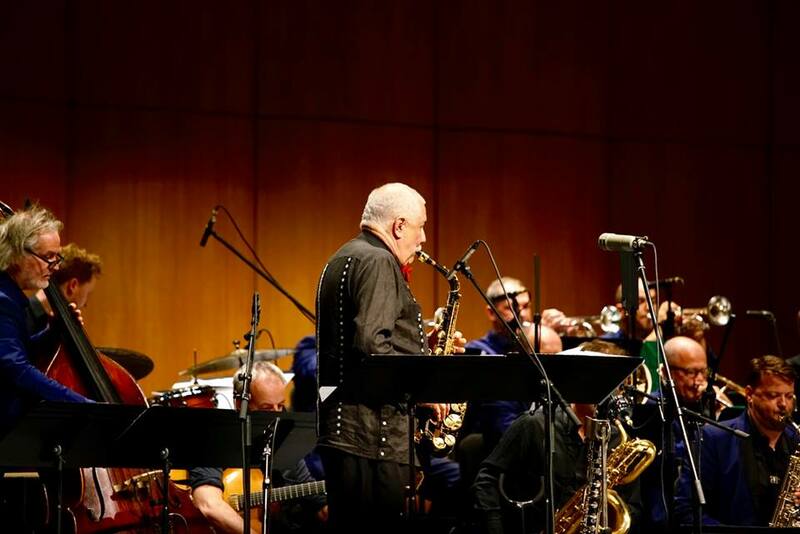 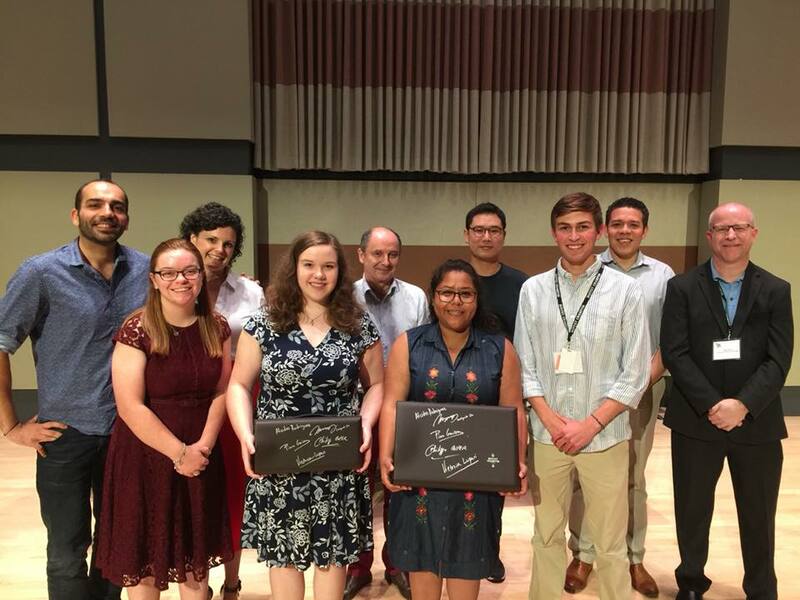 Prizes from Selmer Vandoren and Mafermusica societies were given to a following winners: 1. 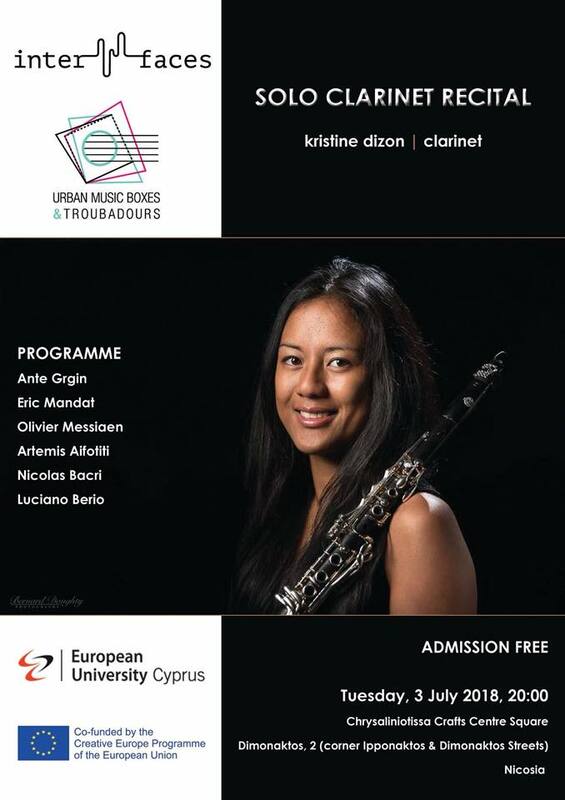 Prize EUNICE RIJO GIL PORTUGAL 2. 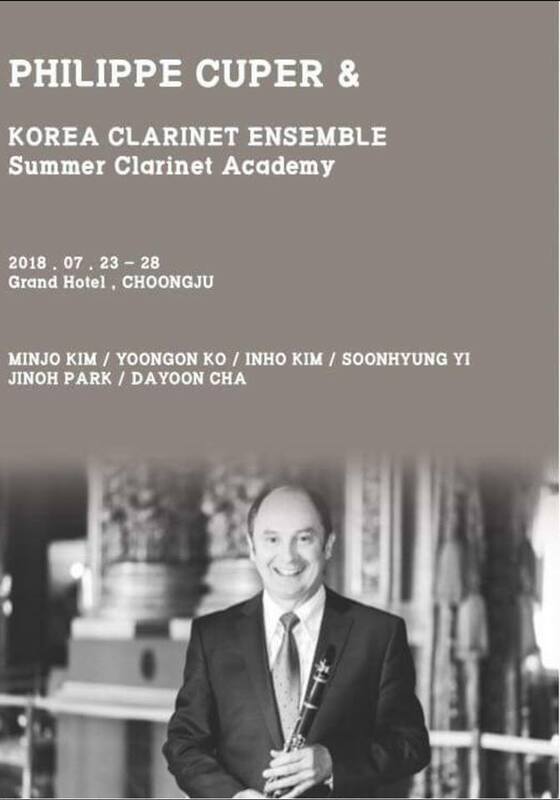 Prize HOCHEOL CHA COREEA 3. 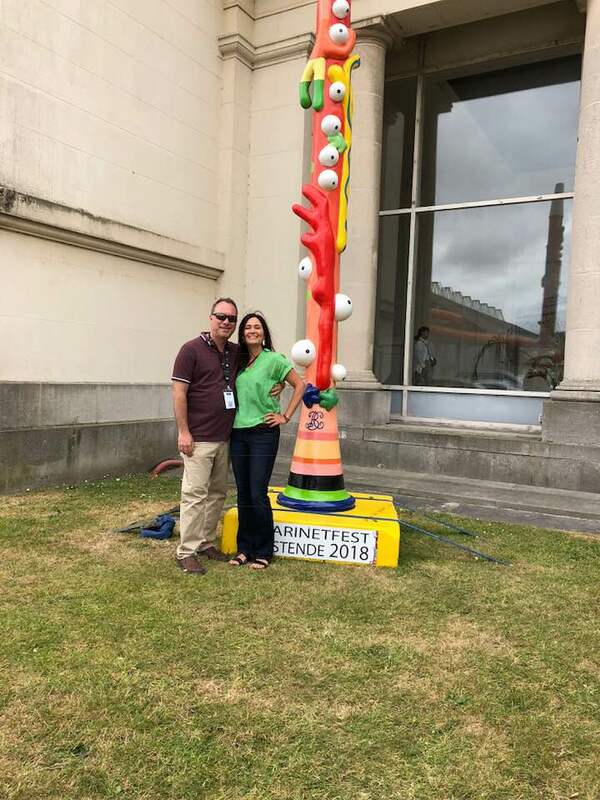 Prize HELIA CRISTINA VARANDA PORTUGAL. 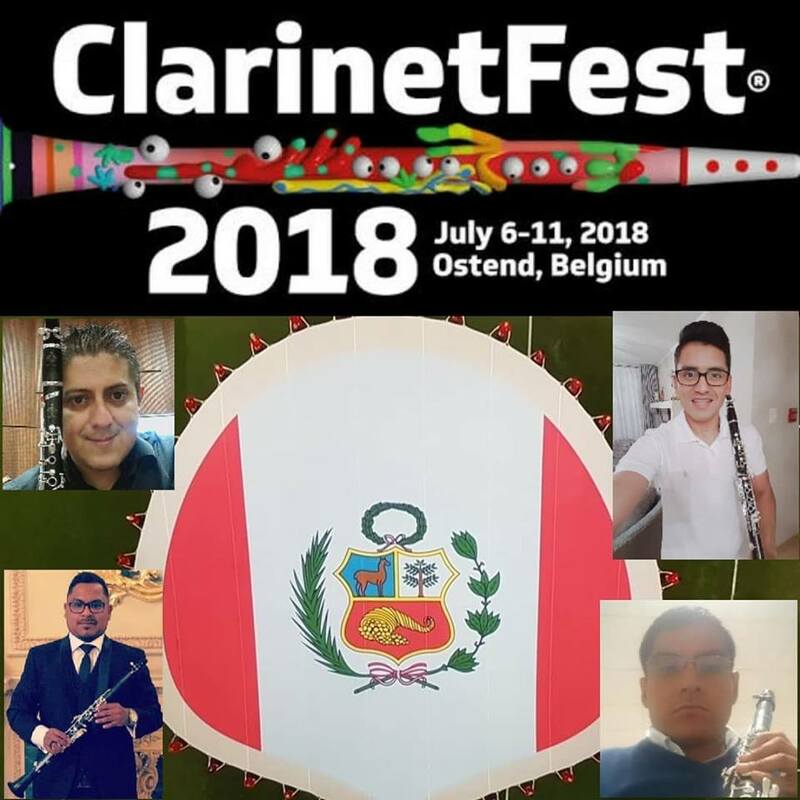 Many Congratulationes to the winners! 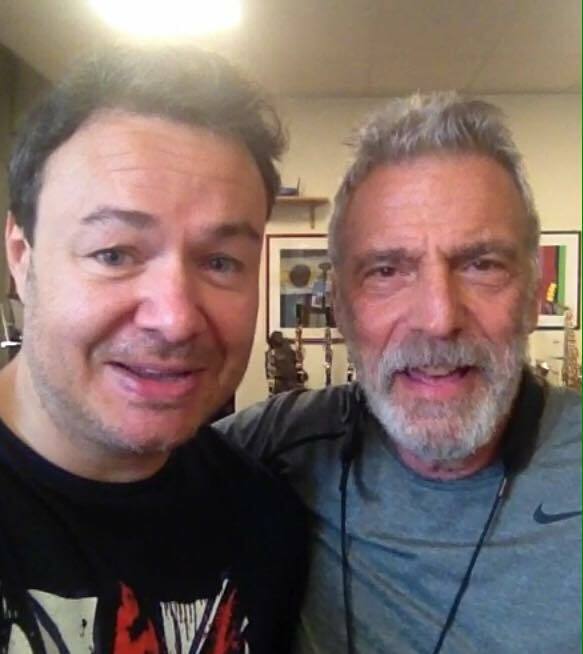 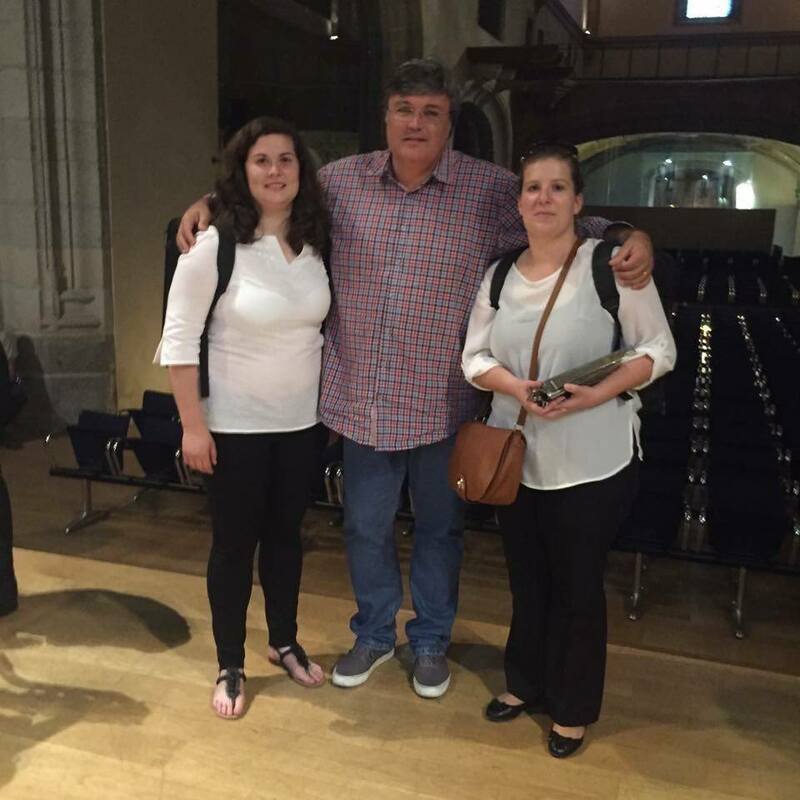 Condolences to the family of Guido Six, with the loss of both Guido and his son Jef in a tragic accident on October 30, 2015. 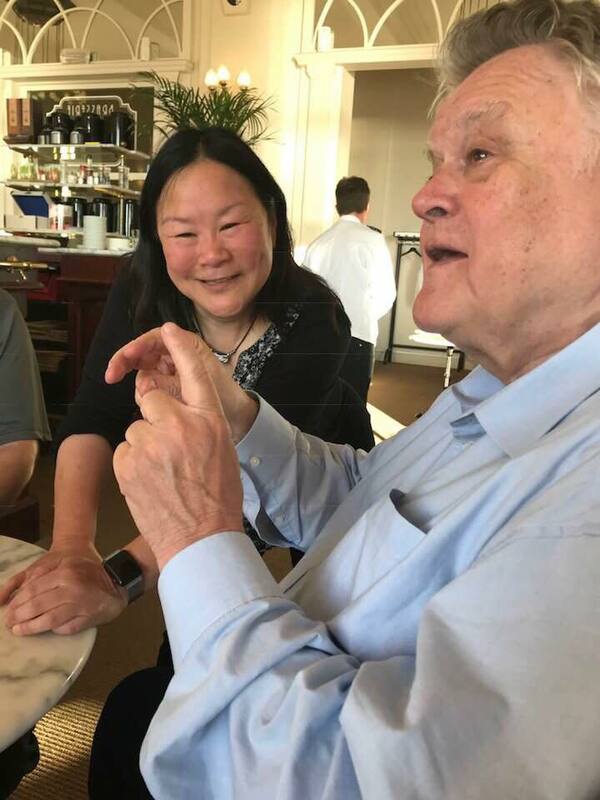 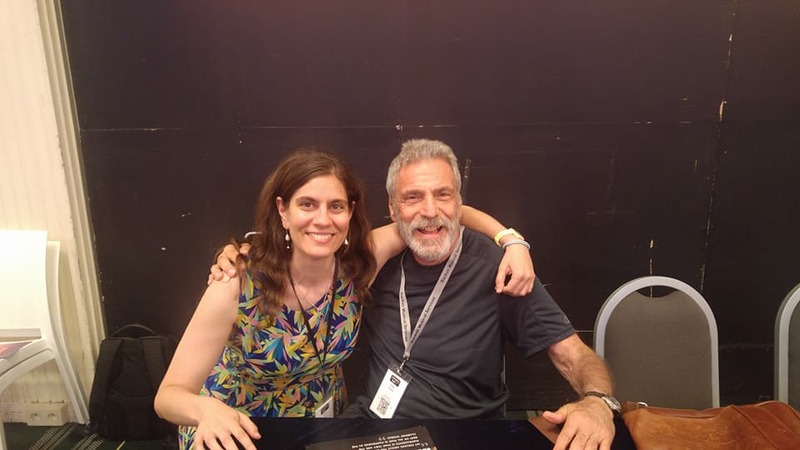 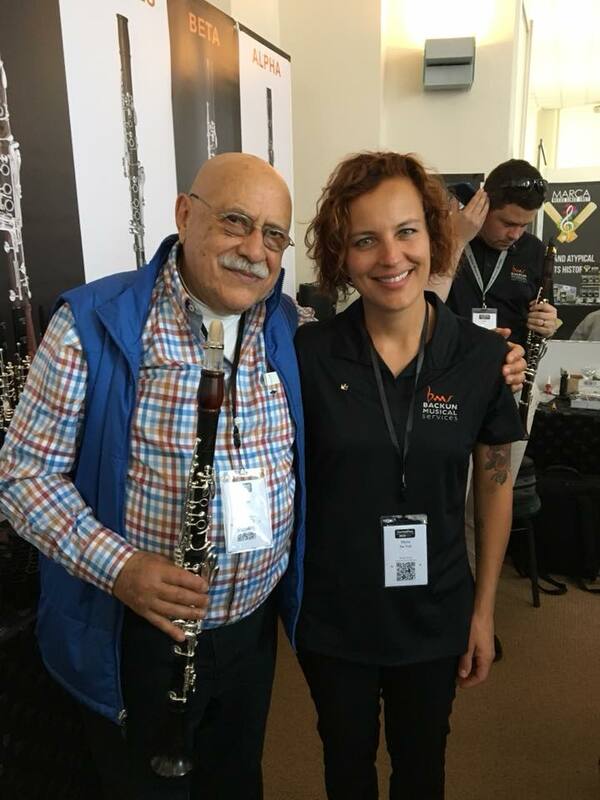 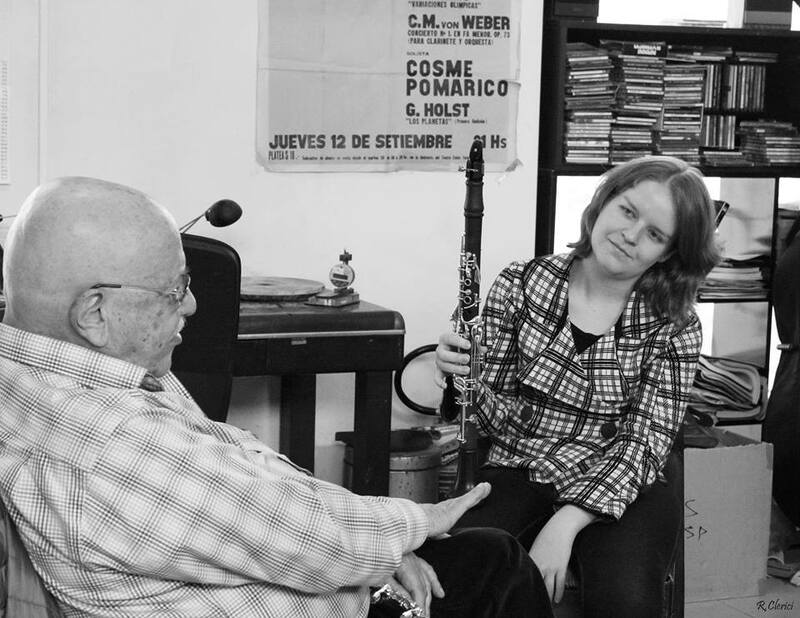 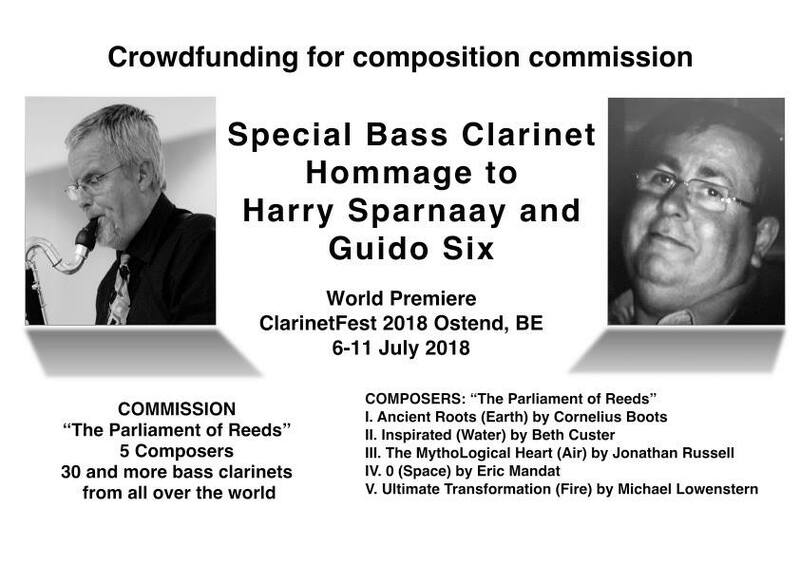 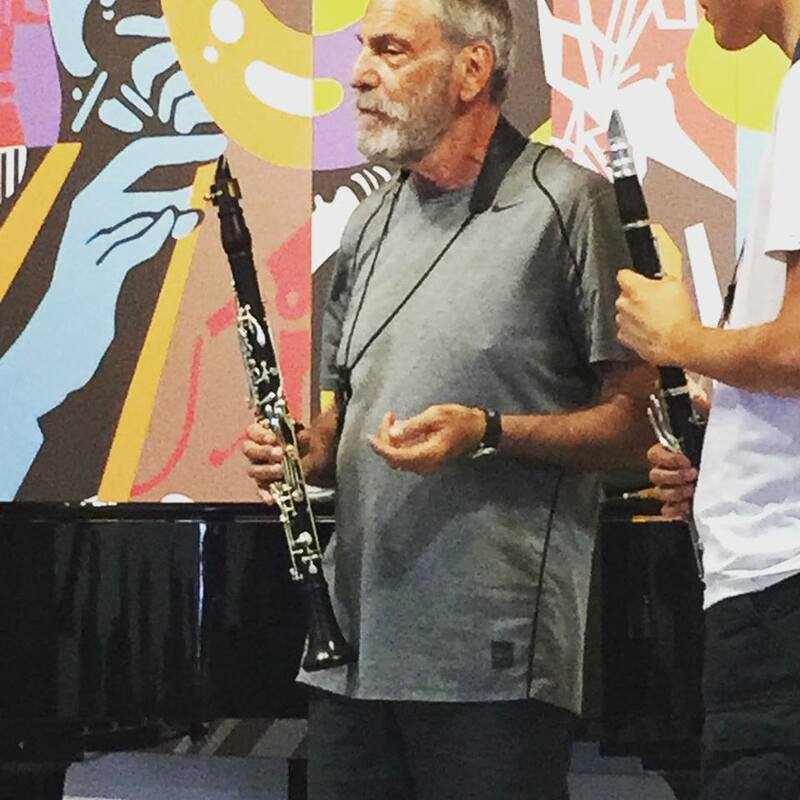 Guido‘s contributions to the world of clarinet, to music, and to his family in the clarinet world will be remembered for generations to come. 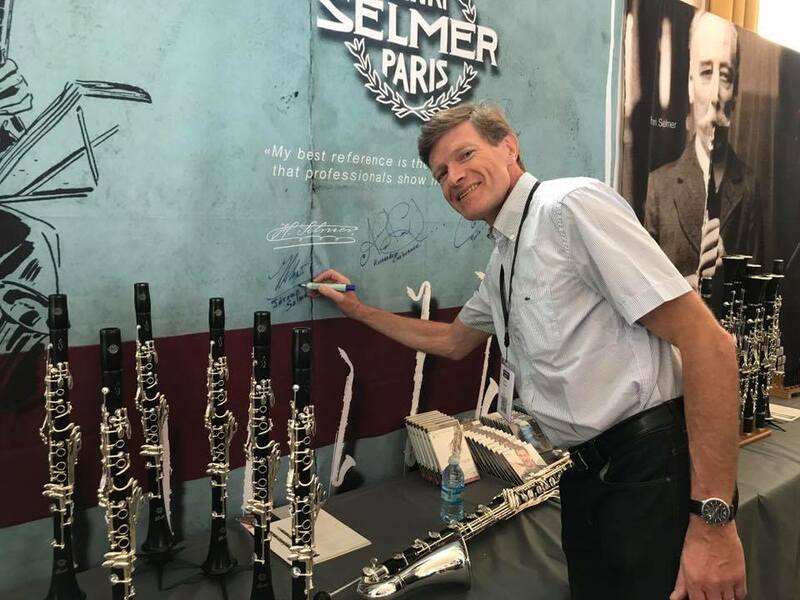 A tireless and enthusiastic promoter of clarinet as of a solo instrument, and at the same time, one of the most respectful clarinettists today, Karel Dohnal, during his entire career has always challenged to perform in his concerts and studio recordings compositions of revealing dramaturgy, demonstrating that the technical and expressive potential of clarinet makes it equally important as compared to violin, piano or cello, despite that the available repertoire is rather meagre. 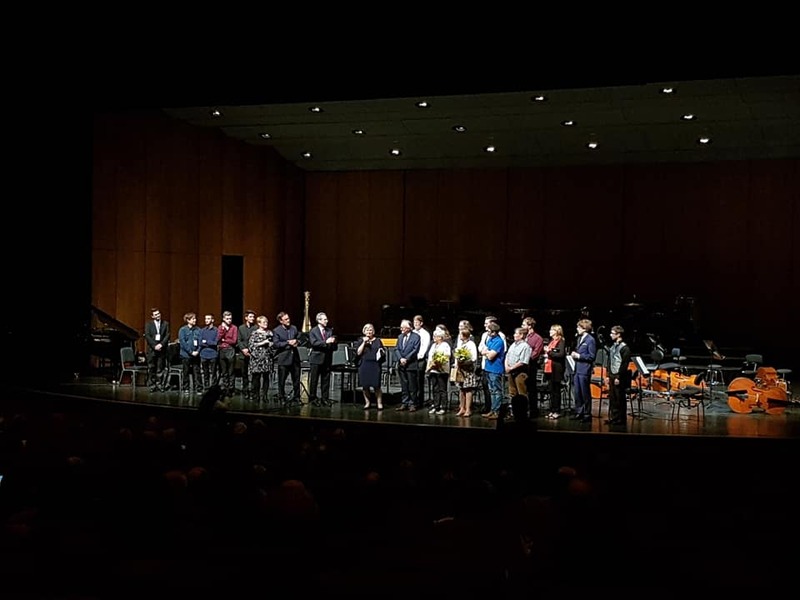 Thus, Karel Dohnal unveils works which have been neglected, but which deserve to be performed along with other prominent works. 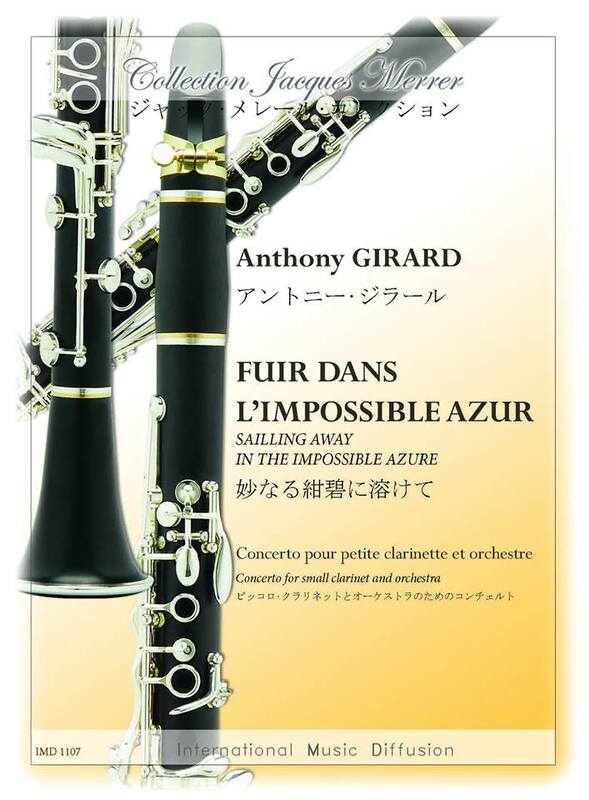 As an outcome of his efforts is the newest CD recording. 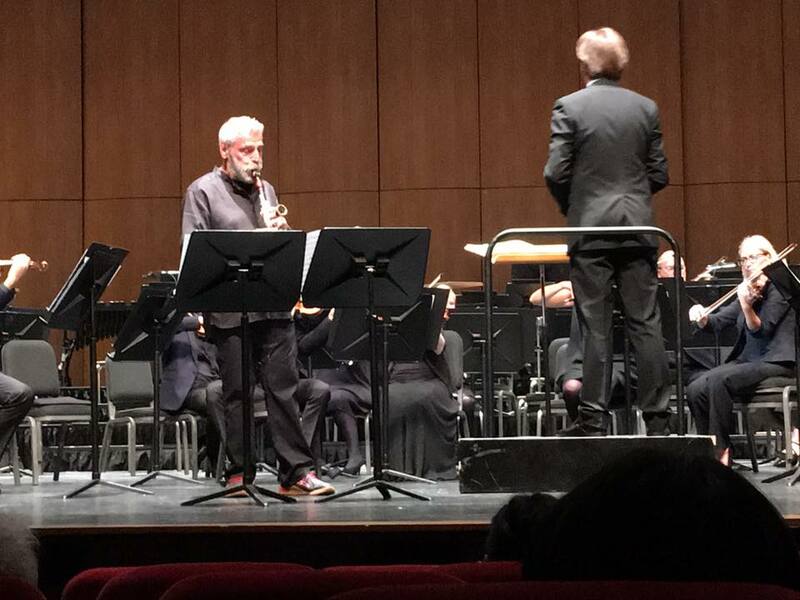 Rudolf Kubin’s Concerto for clarinet and orchestra or Miloslav Kabelac’s Symphony No. 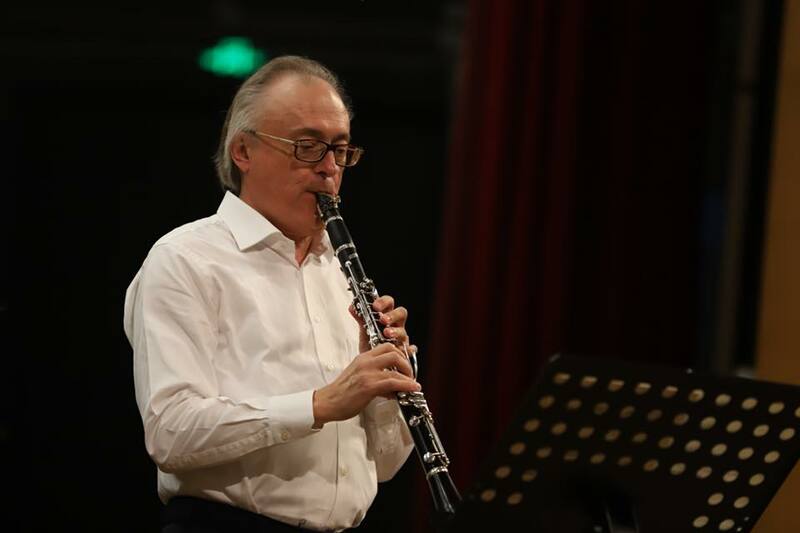 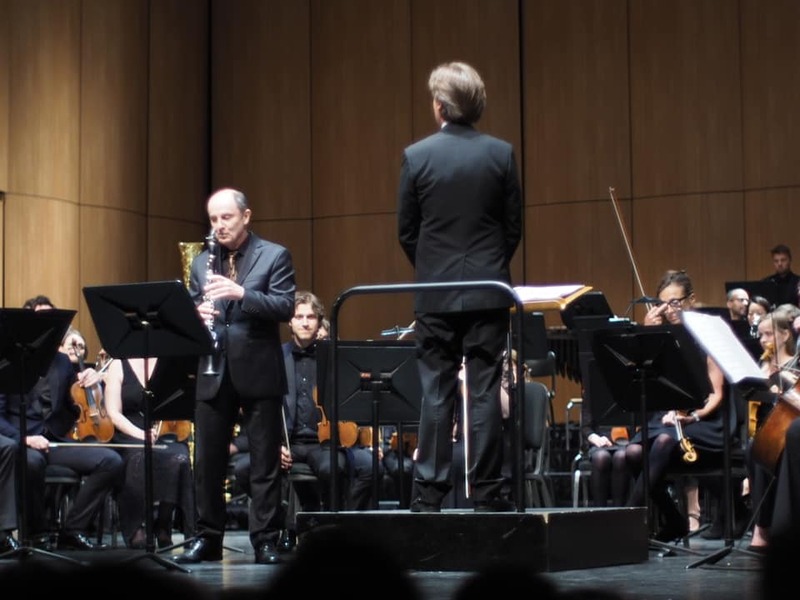 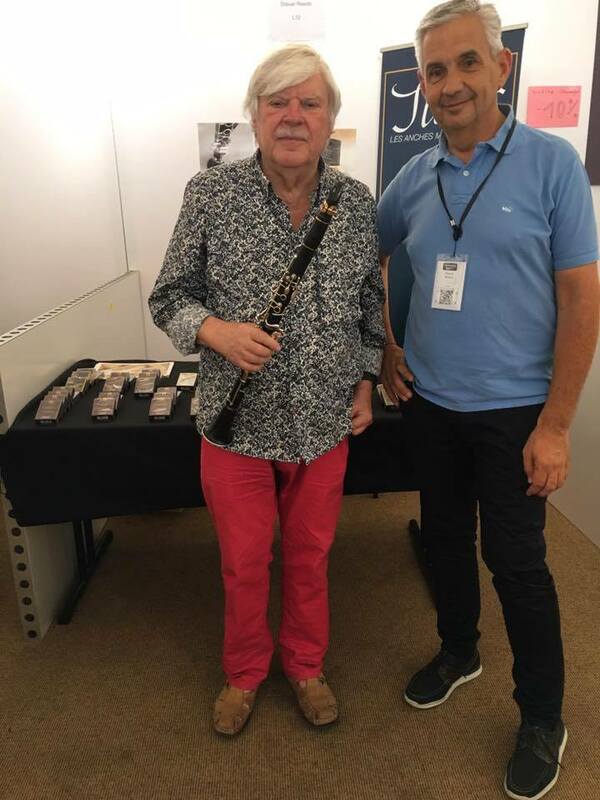 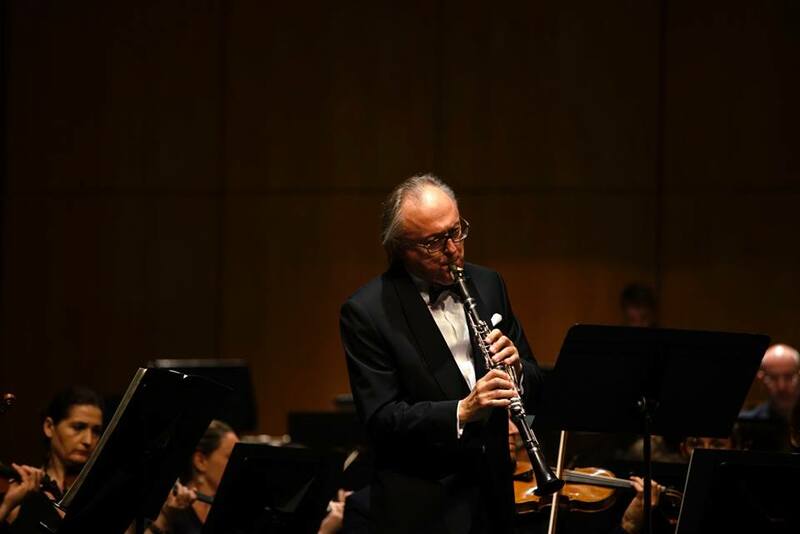 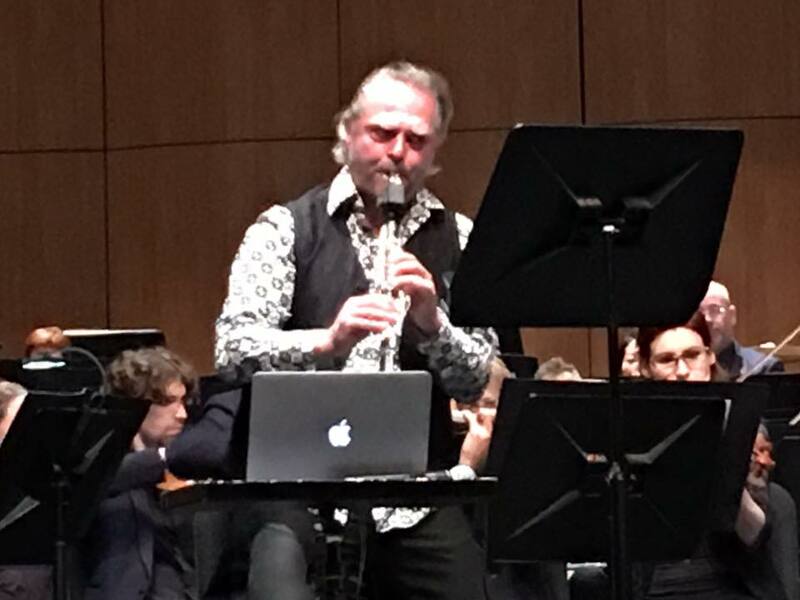 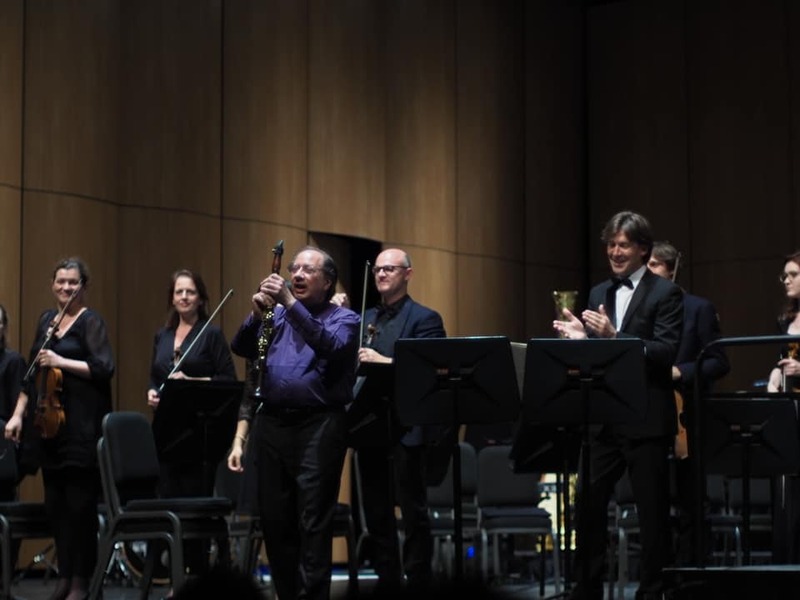 6 "Concertante" could boldly compete against such a well-known star of clarinet repertoire, which undoubtedly is the Concerto for clarinet and orchestra of Jean Françaix. 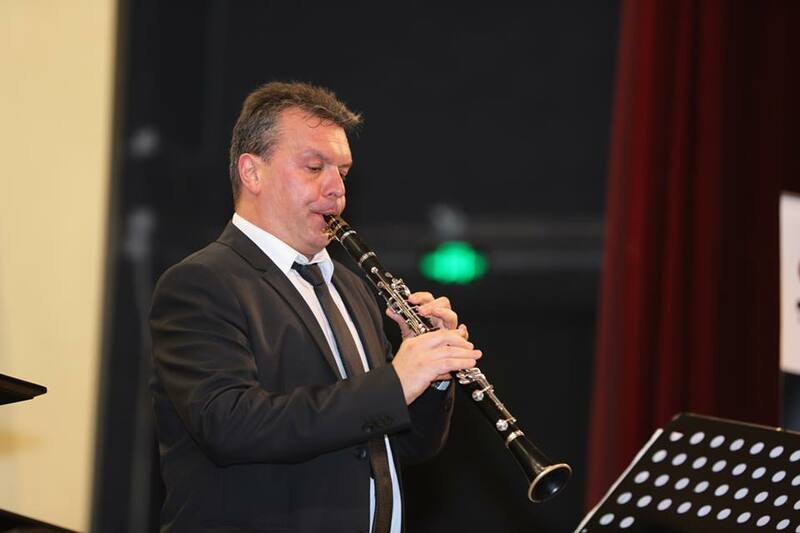 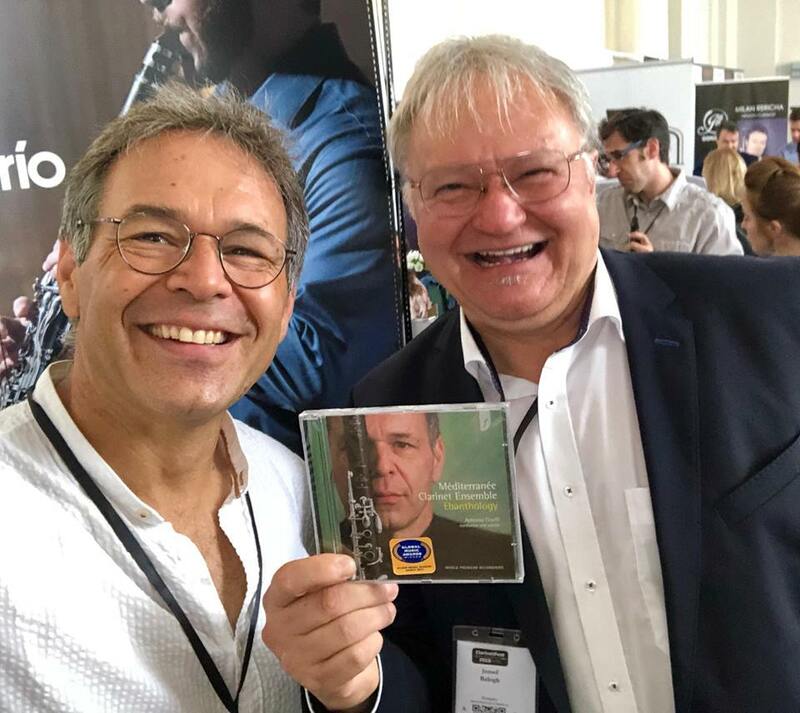 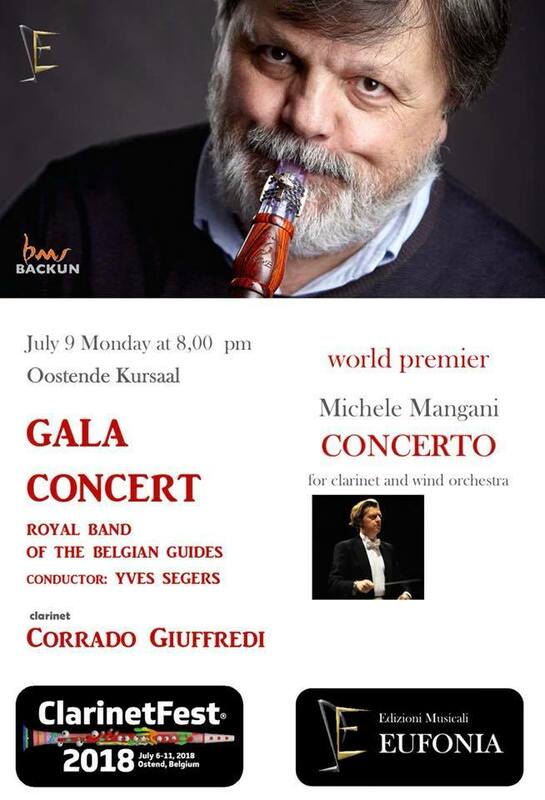 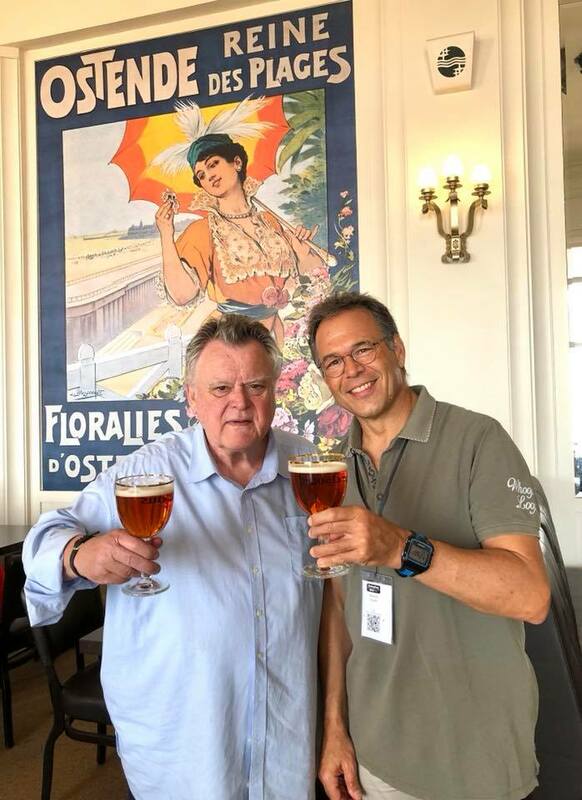 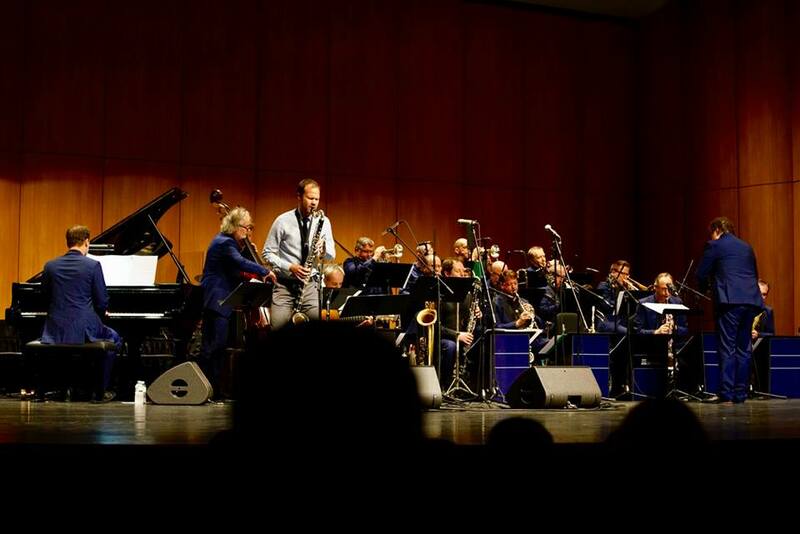 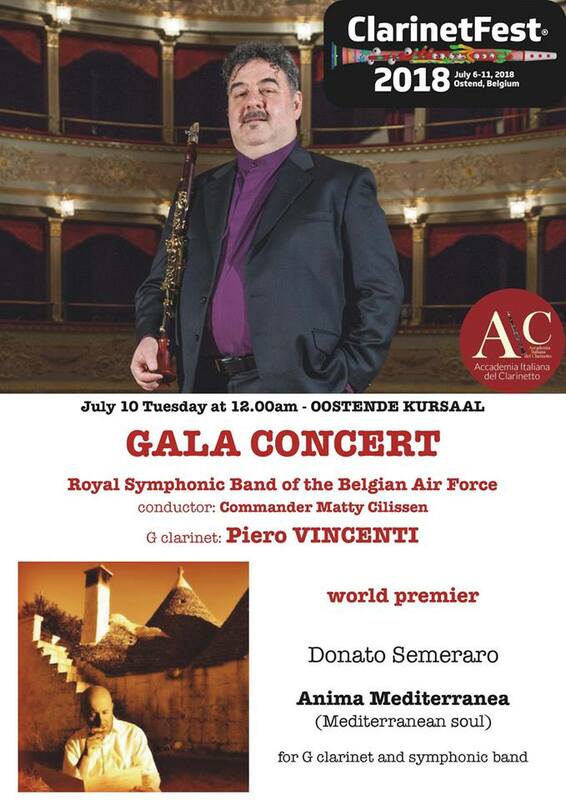 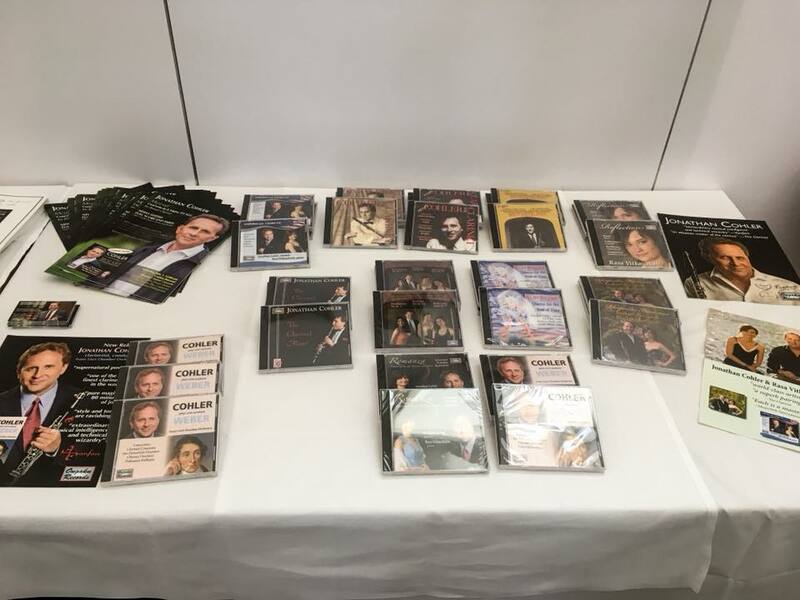 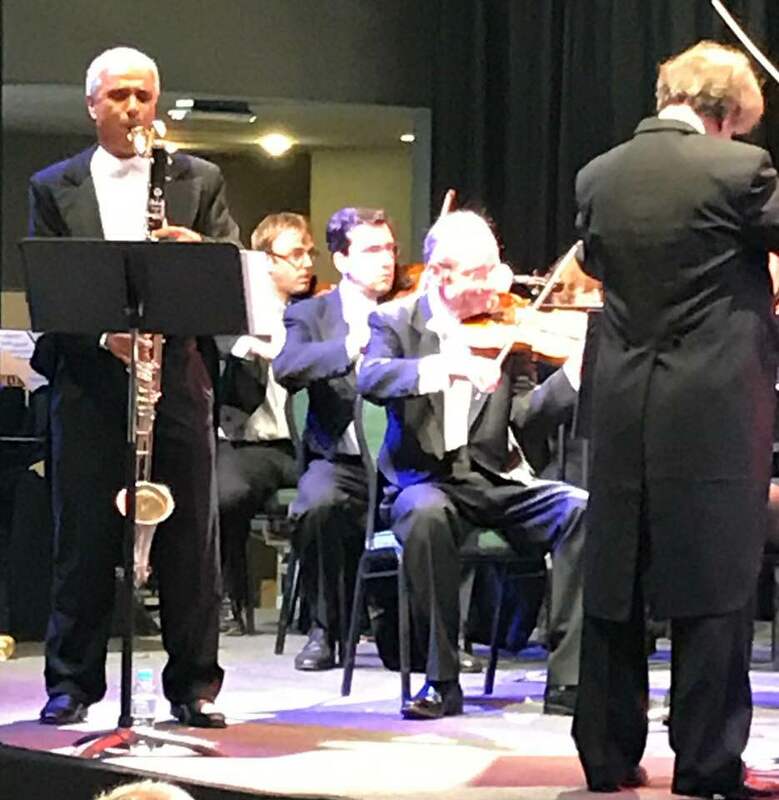 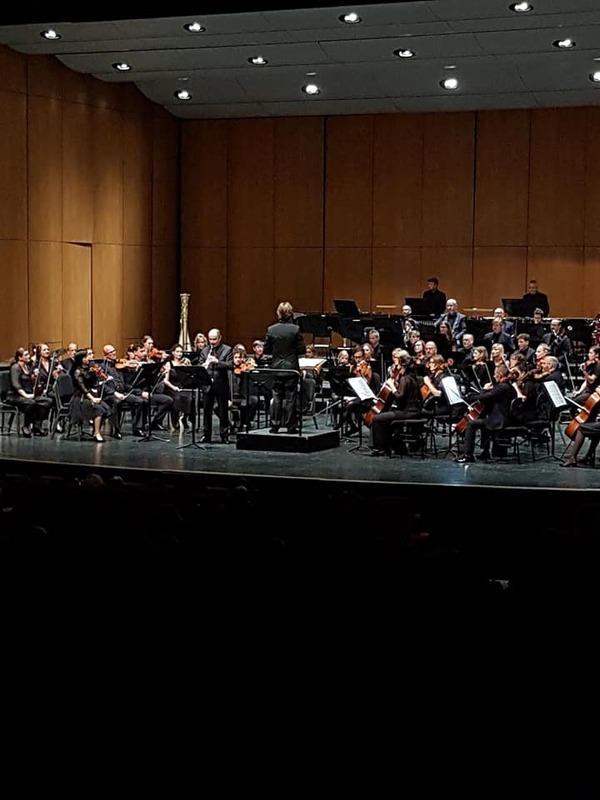 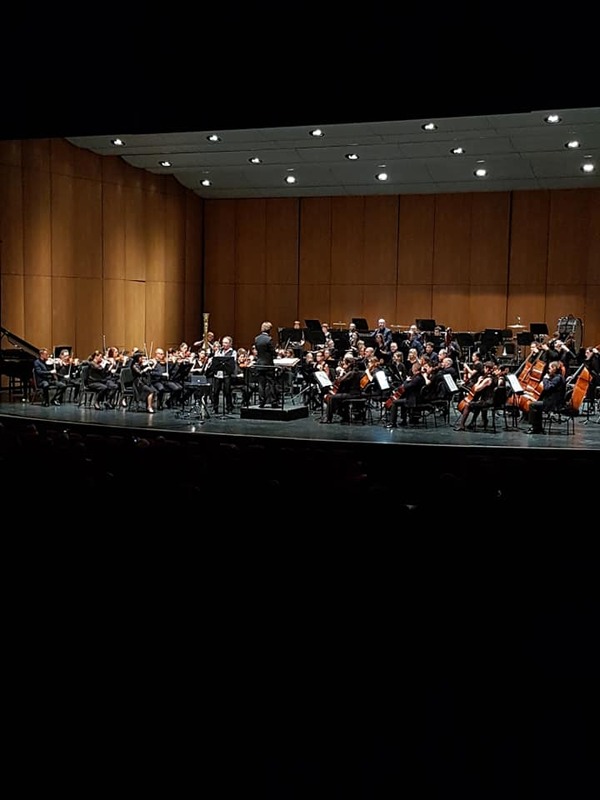 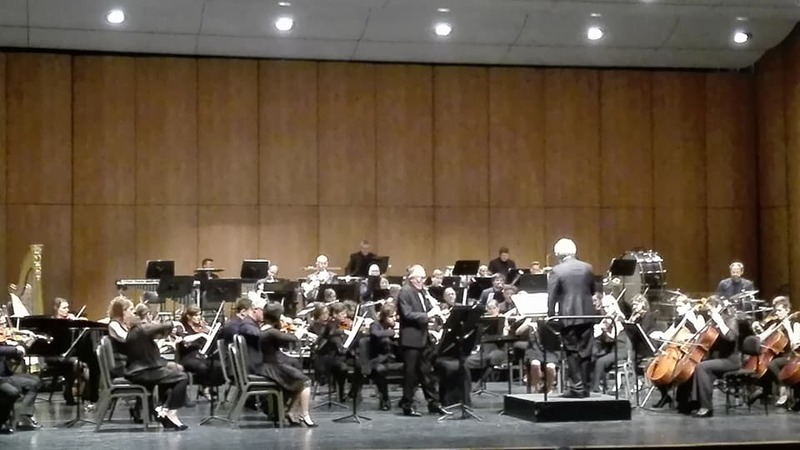 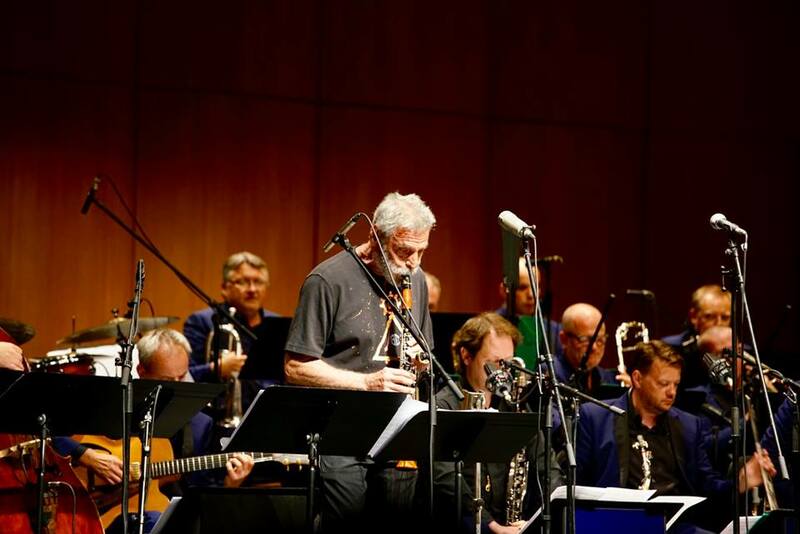 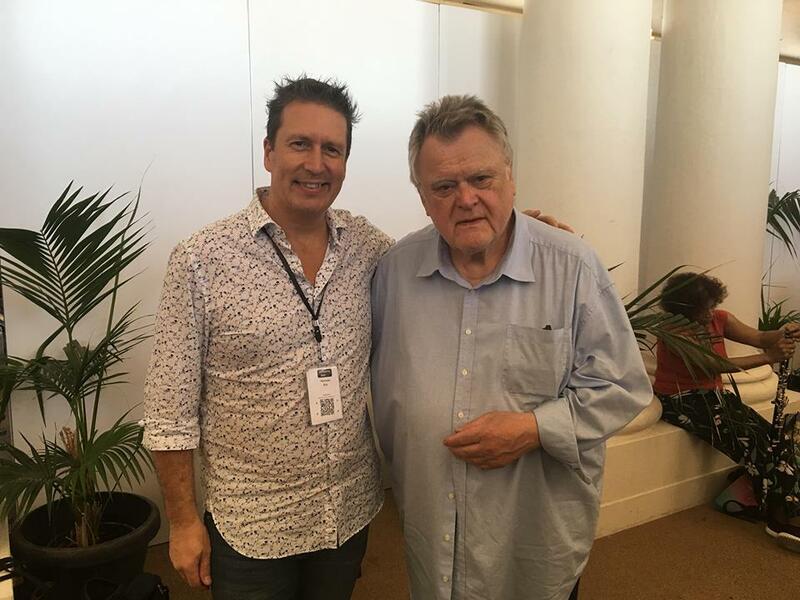 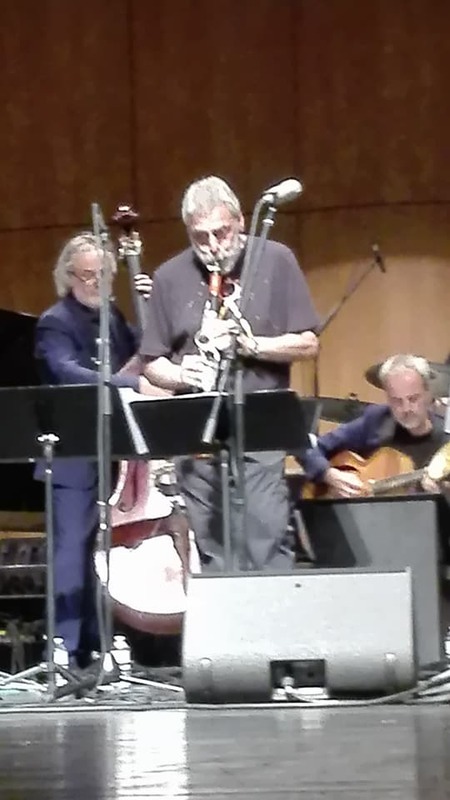 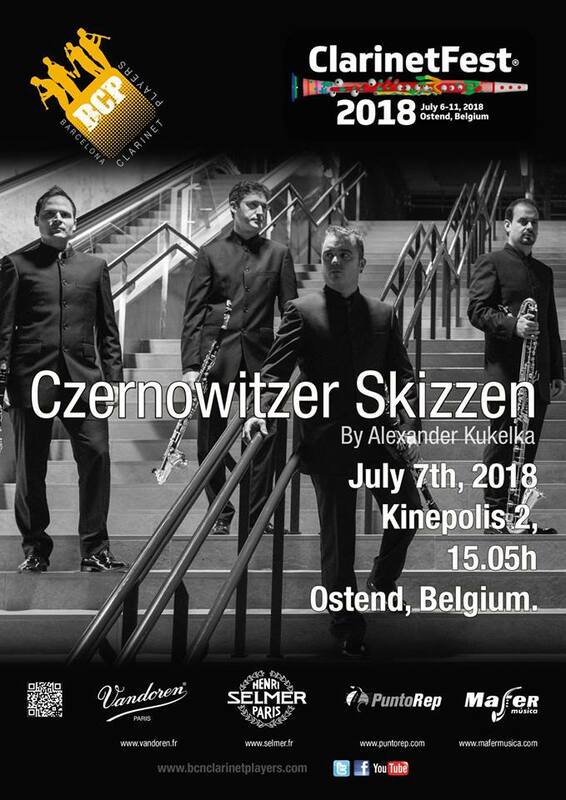 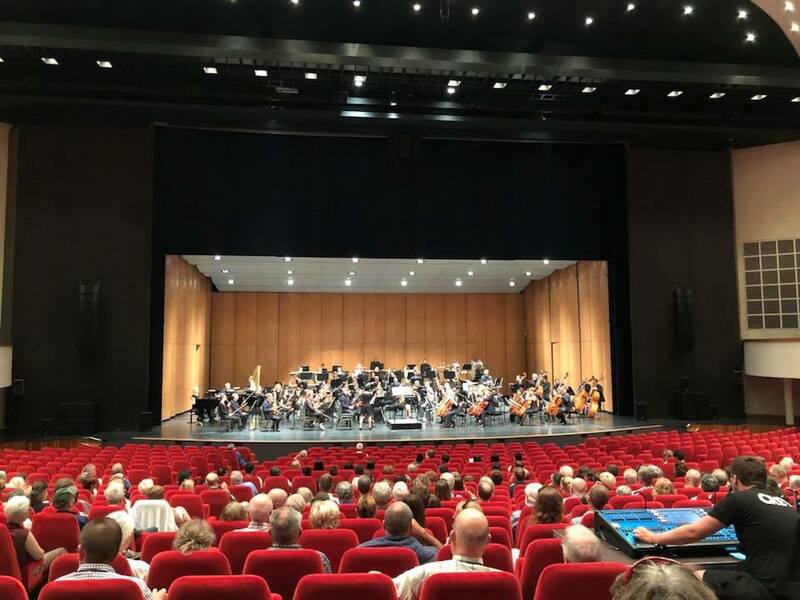 As a soloist performer of works of Carl Nielsen, Krzystof Penderecki, Aaron Copland, Trygve Madsen, Jan Frank Fischer, Ondrej Kukal, Wolfgang Amadeus Mozart, Carl Maria von Weber, Frantisek Vincenc Krommer, Jan Vaclav Stamic and of numerous other composers, Karel Dohnal played to audiences in many countries of Europe, Asia, North and South America, performing as in chamber recitals as well as under the accompaniment of orchestras, such as Prague Philharmonia, Prague Chamber Orchestra, Janacek Philharmonic Orchestra in Ostrava, South Czech Chamber Philharmonia, Philharmonia in Lvov, Philharmonia in Sczeczin, Belgrade Philharmonic Orchestra, Chamber Philharmonic Orchestra Pardubice, Czech Chamber Orchestra, Talich Philharmonia Prague, Hofer Symphoniker and other ensembles. 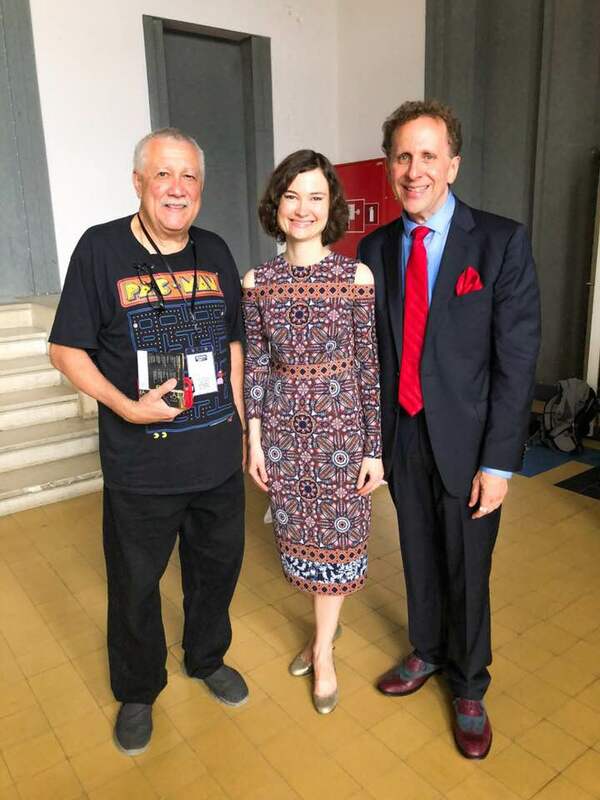 Together with a famous soprano, Edita Gruberova, Karel Dohnal performed at the Prague Spring International Music Festival. 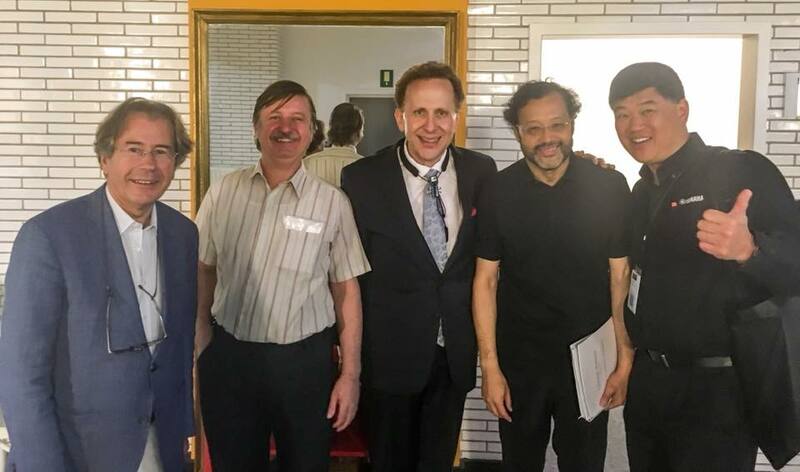 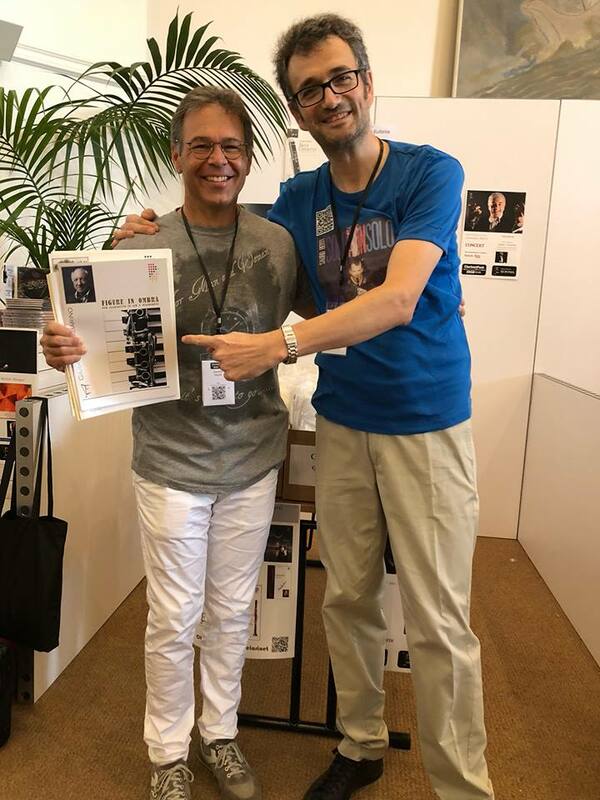 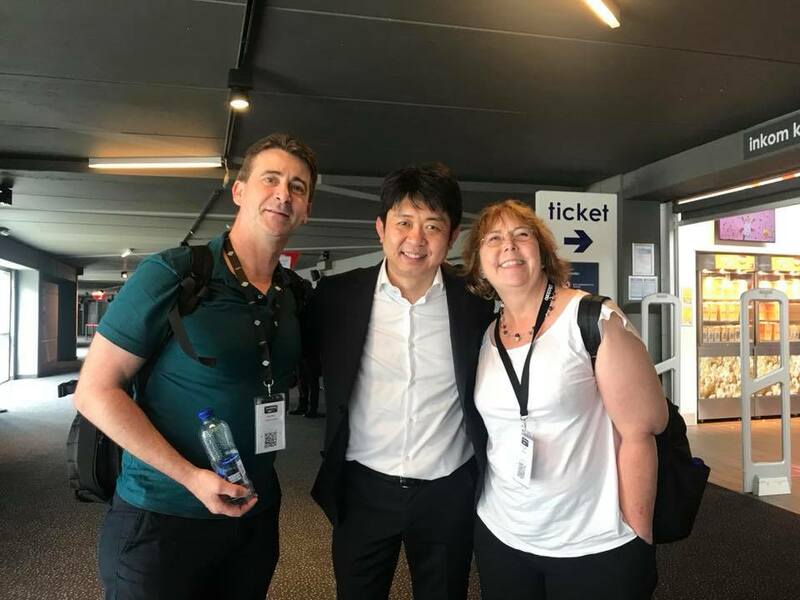 In cooperation with Tokyo String Quartet, Karel Dohnal also performed at the Dvorak Prague International Music Festival. 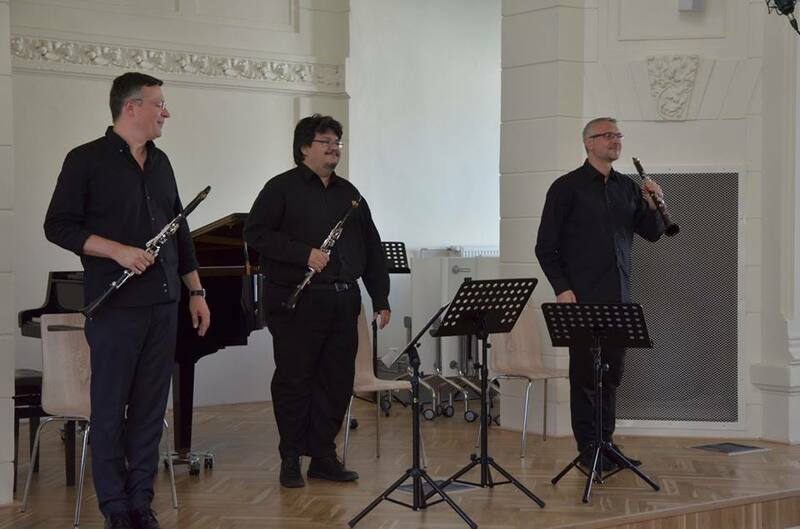 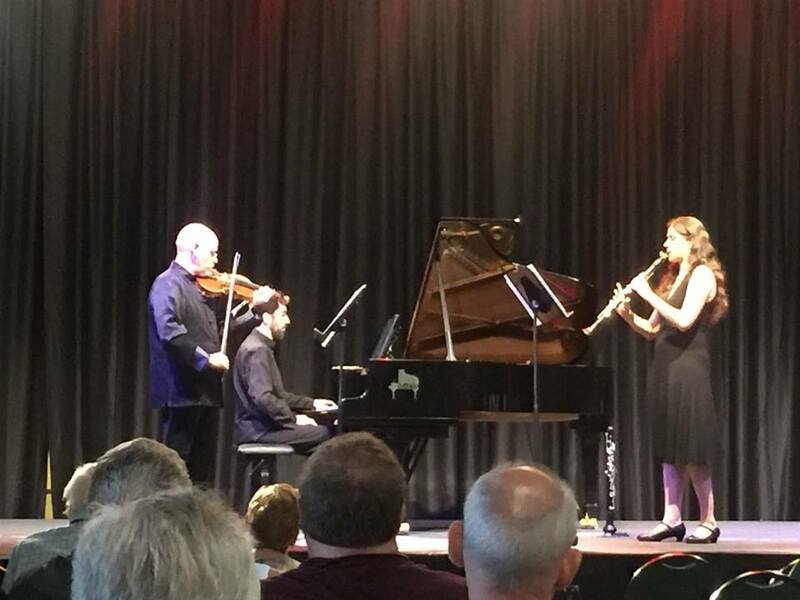 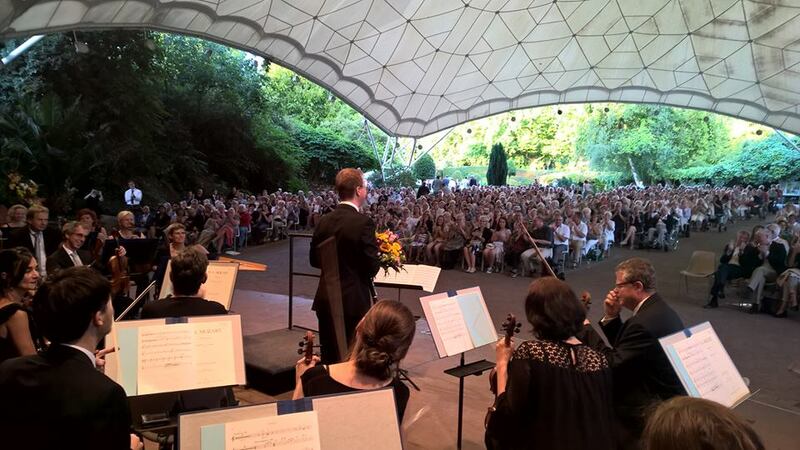 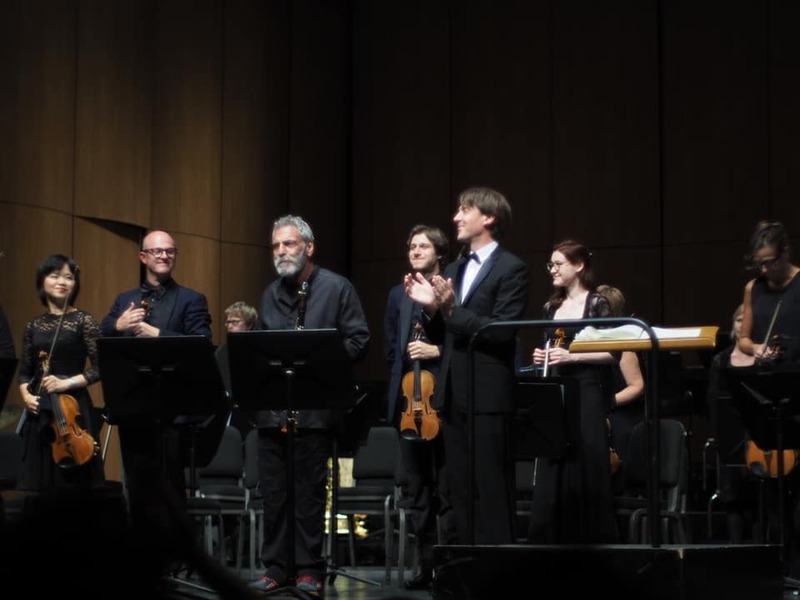 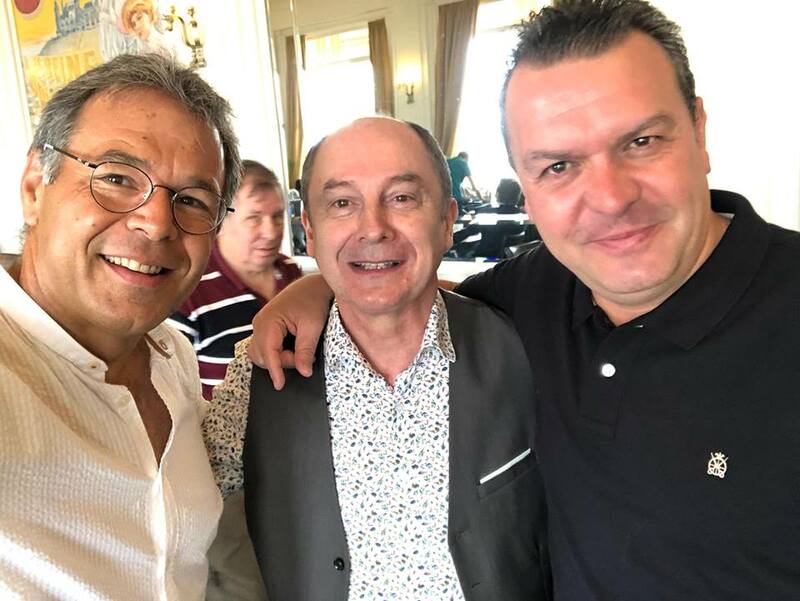 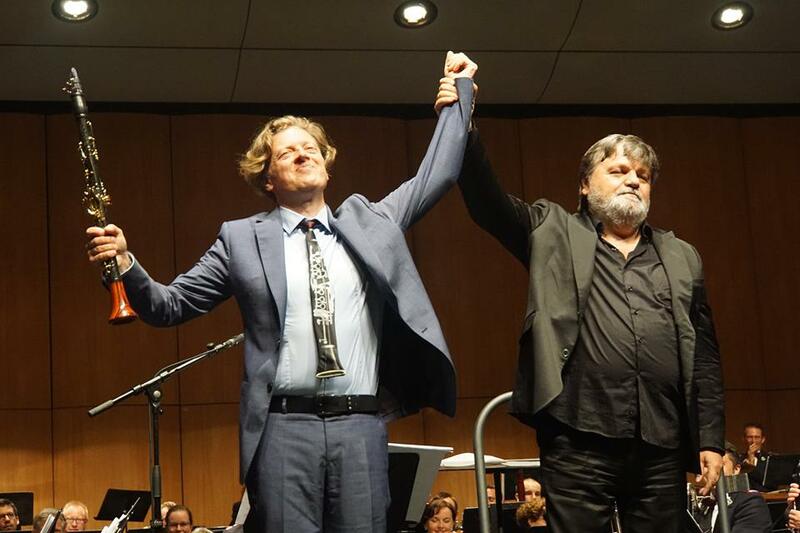 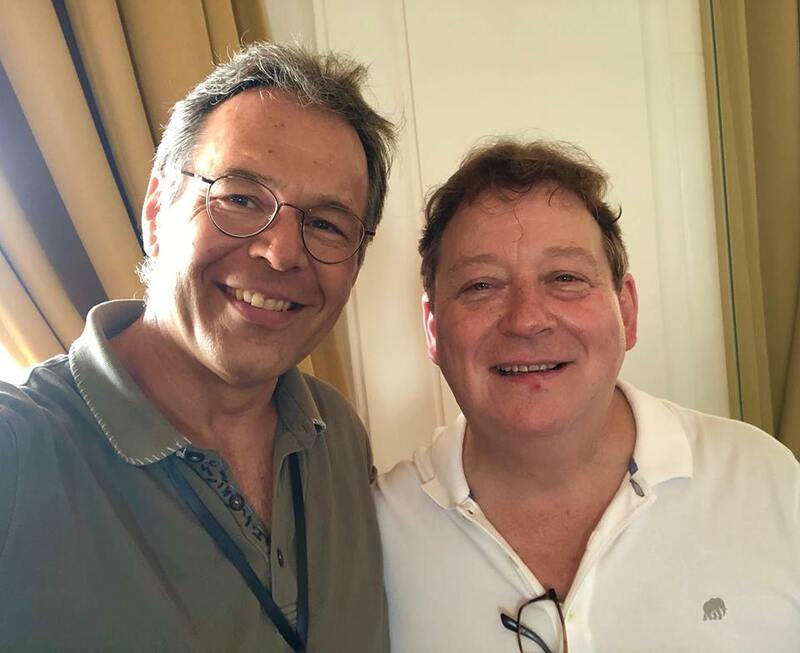 At the Bodensee Festival, he performed together with Pavel Haas Quartet. 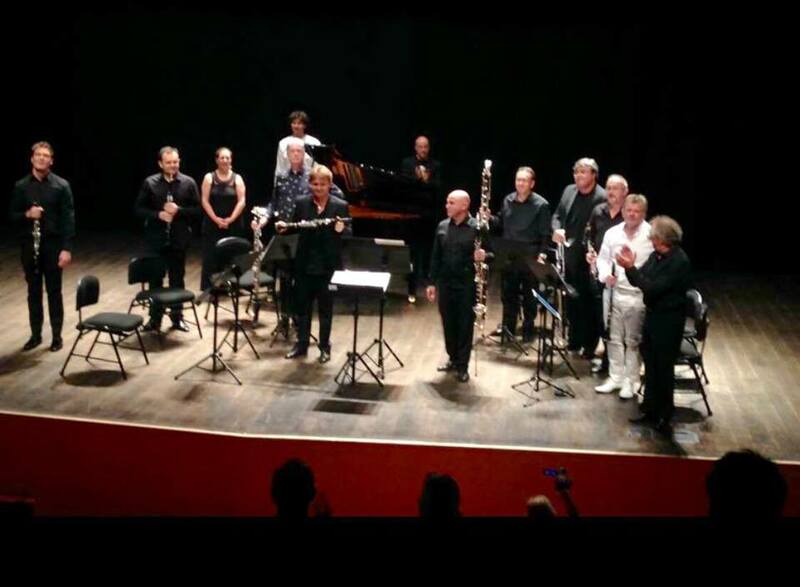 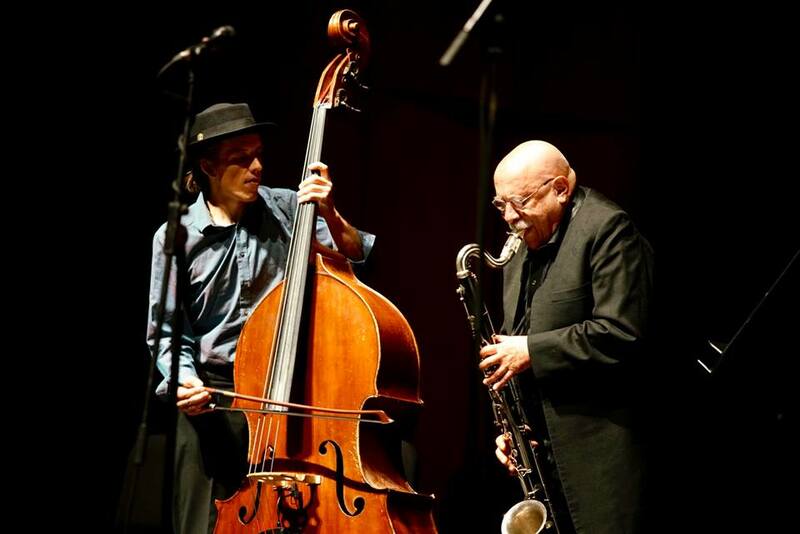 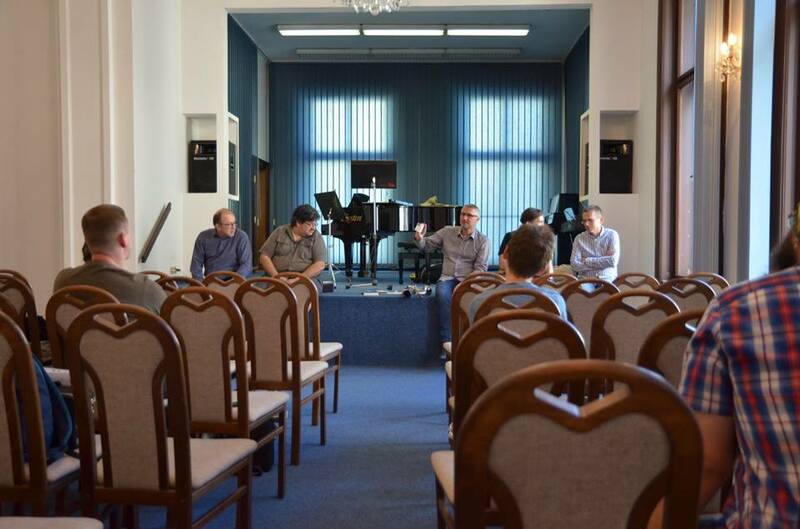 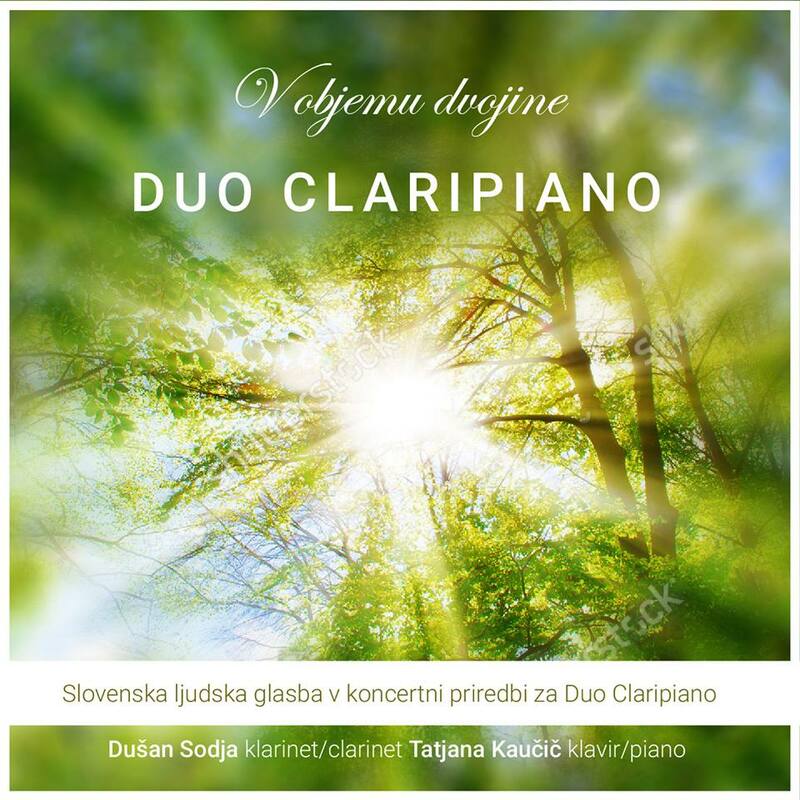 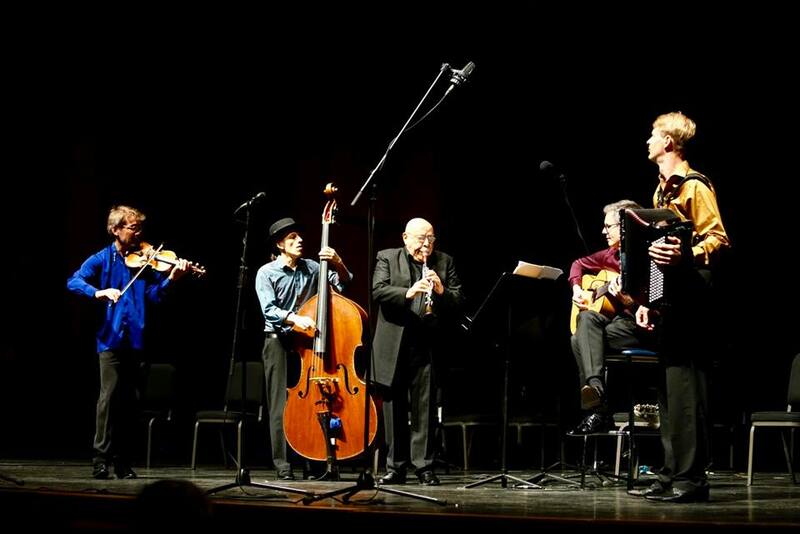 Karel Dohnal regularly performs with Talich Quartet, Wihan Quartet, pianists Martin Kasik, Evgeny Samoilov and others. 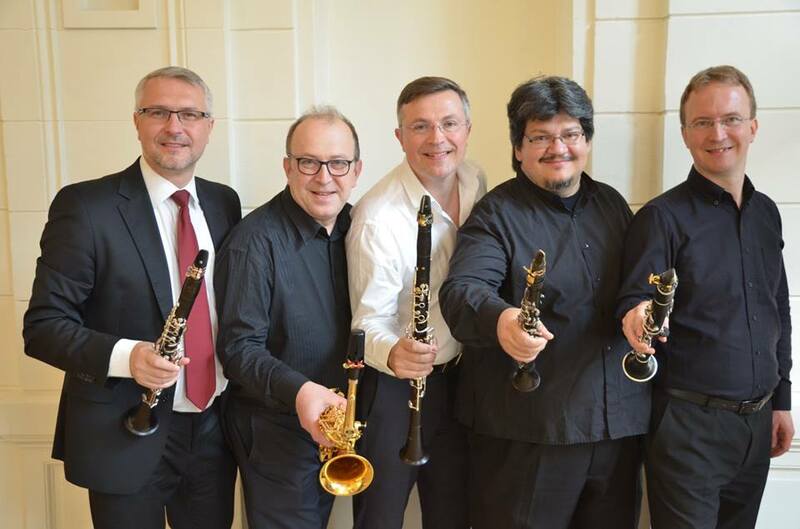 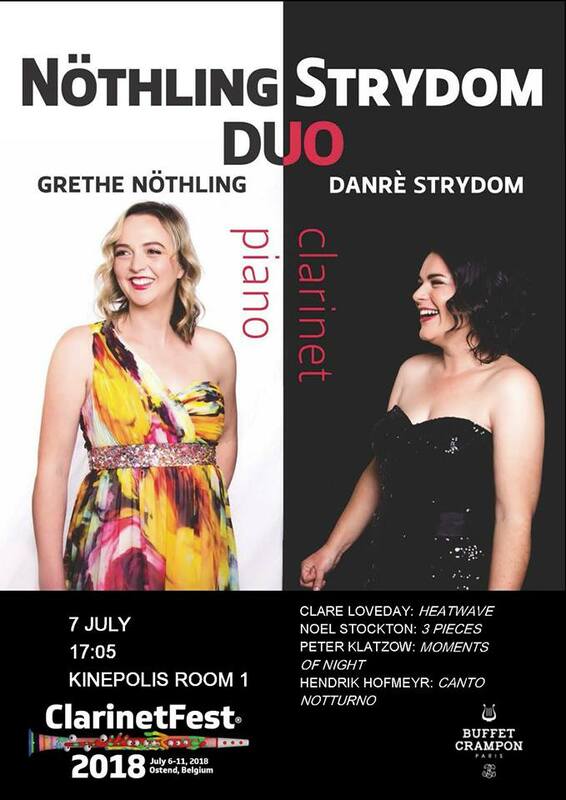 Karel Dohnal is a member of the Prague State Opera Orchestra and a new approach ensemble, Philharmonia Octet Prague, which feature the leading soloists of the Czech music scene, and of Trio Amadeus. 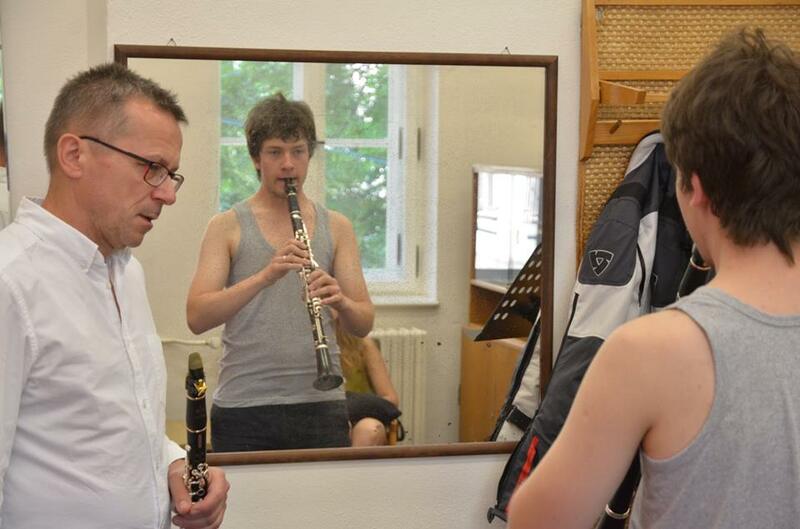 Karel Dohnal is also a highly recognized and sought-after interpreter of the contemporary music. 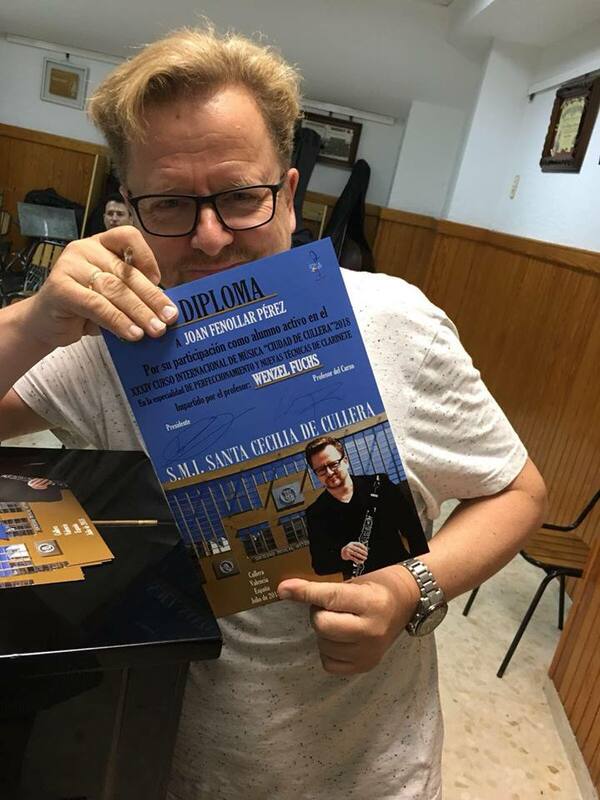 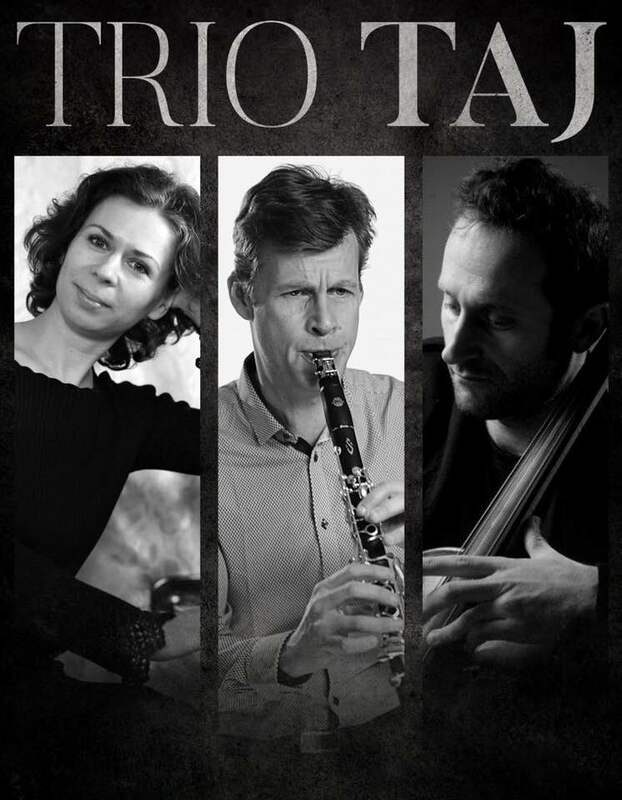 He devoted his doctoral thesis to the study of modern clarinet performance techniques, revealing and initiating emergence of many compositions of solo and chamber repertoire of such composers as Antonin Tucapsky, Otmar Macha, Jiri Teml, Juraj Filas, Petr Wajsar, Ales Pavlork, Ivana Loudova, Ondrej Stochl, Krzesimir Debski and others. 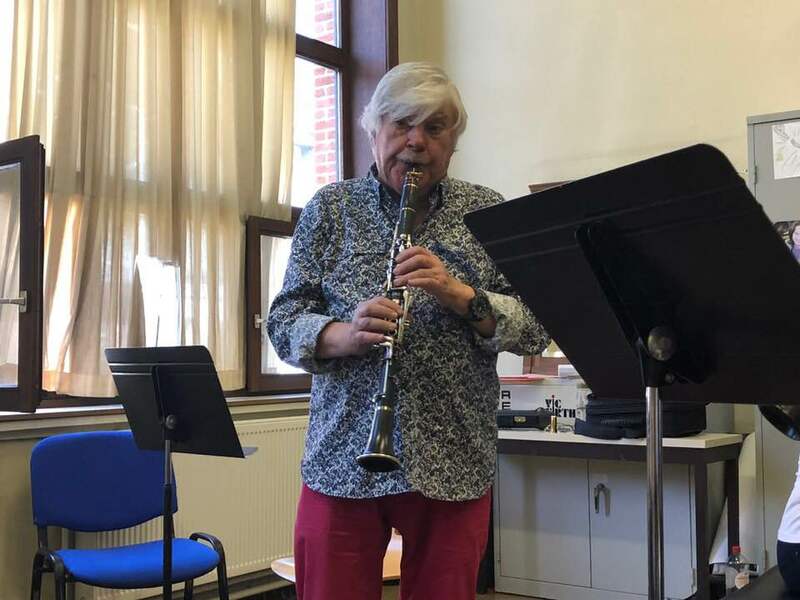 Karel Dohnal has also enjoyed great acclaim with his unique performance of Karlheinz Stockhausen’s Harlequin, where he as a harlequin in addition to his virtuosic playing the clarinet, demonstrates his comedic and acting talent. 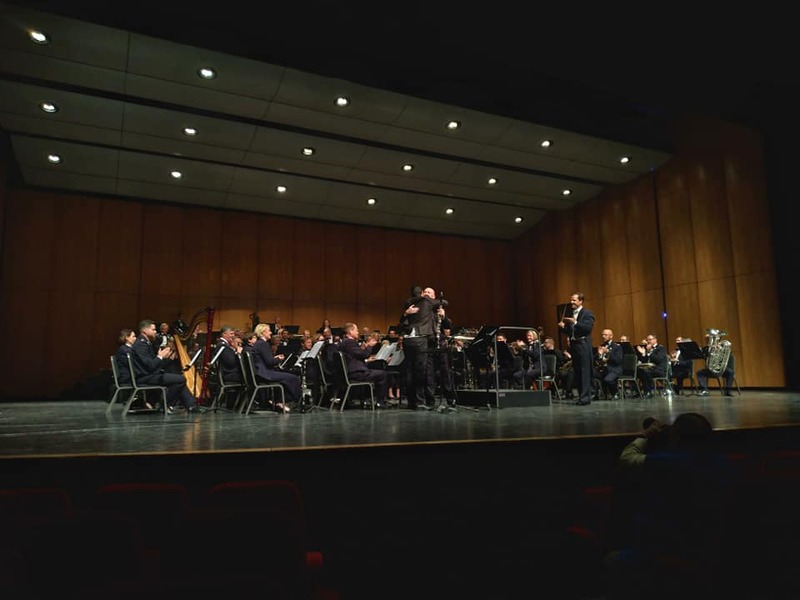 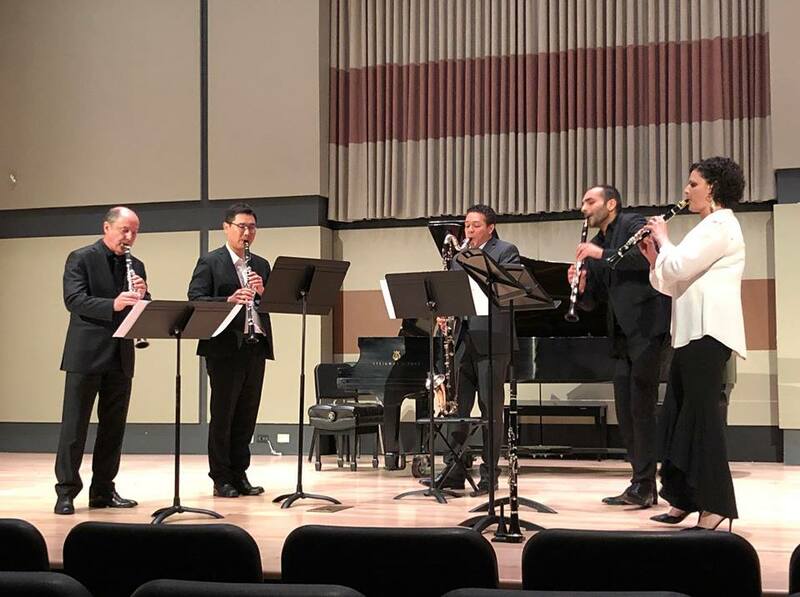 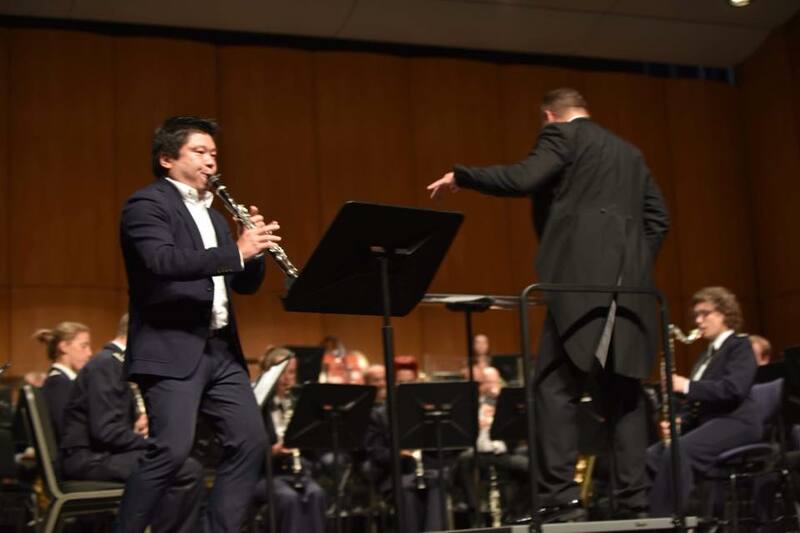 Karel Dohnal is one of few clarinettists in the world who performs this exceptionally difficult composition, which has received unsurpassed acclamation from critics as well as from the public. 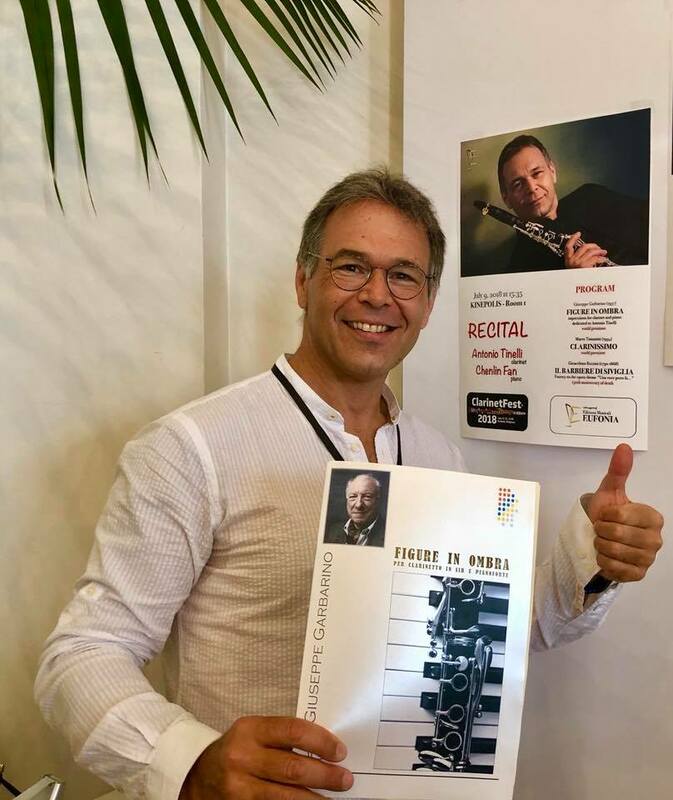 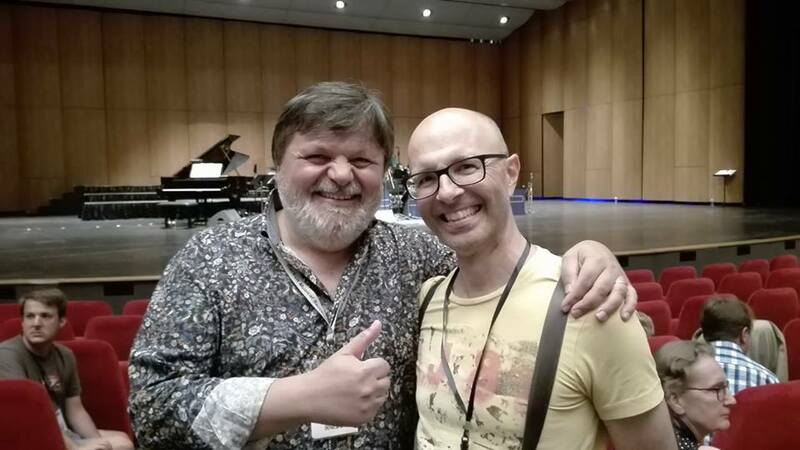 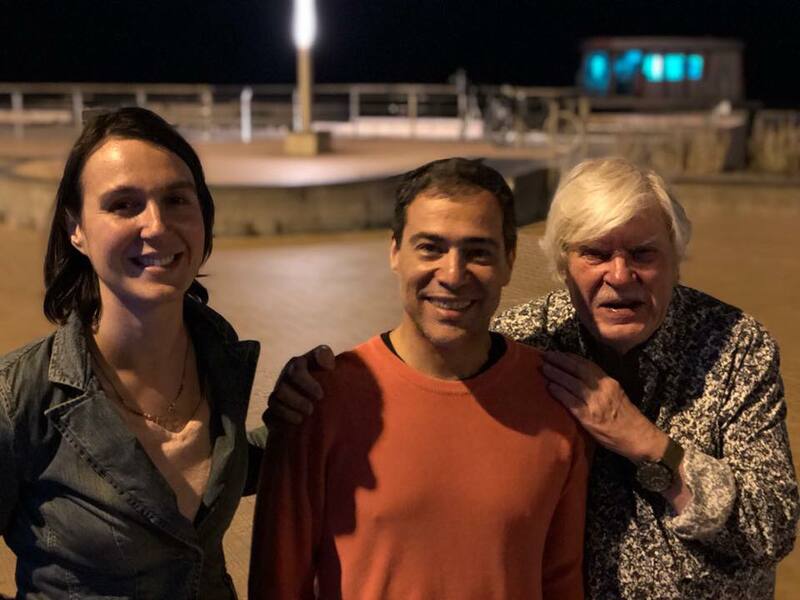 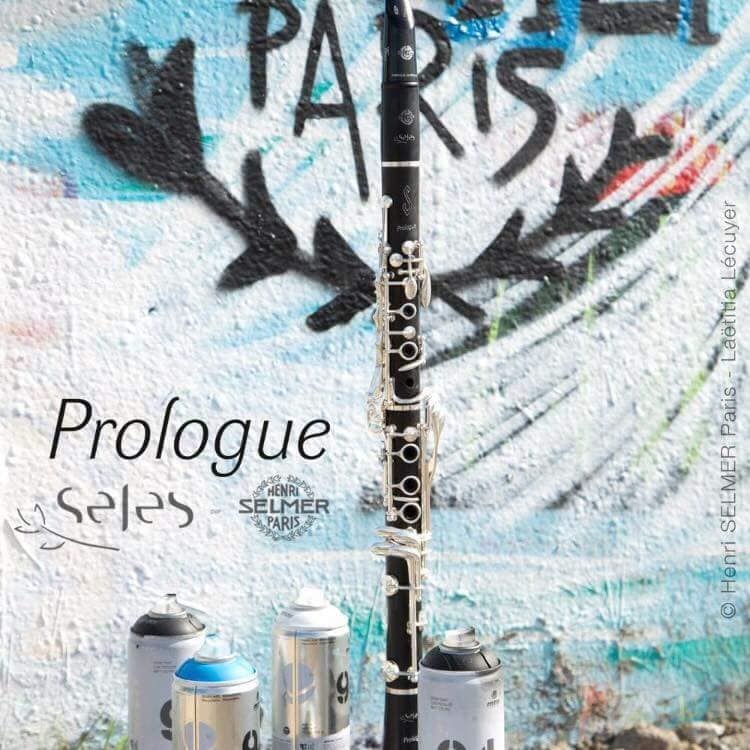 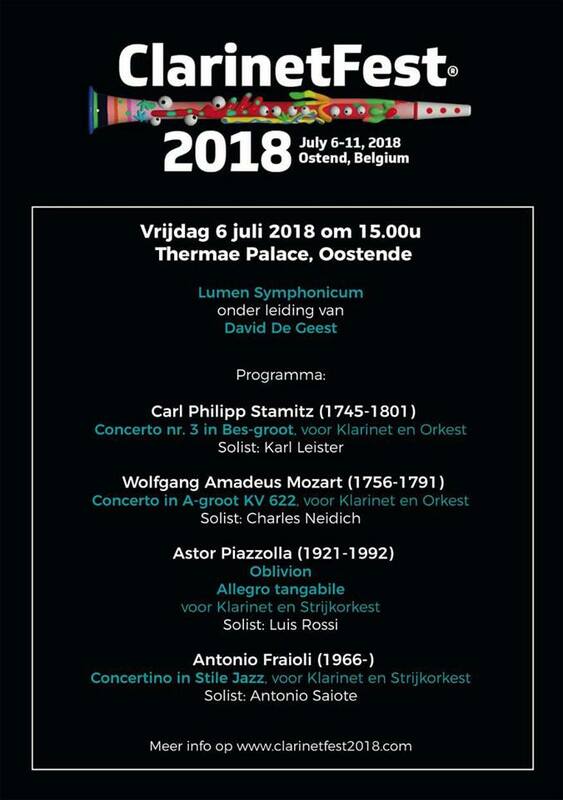 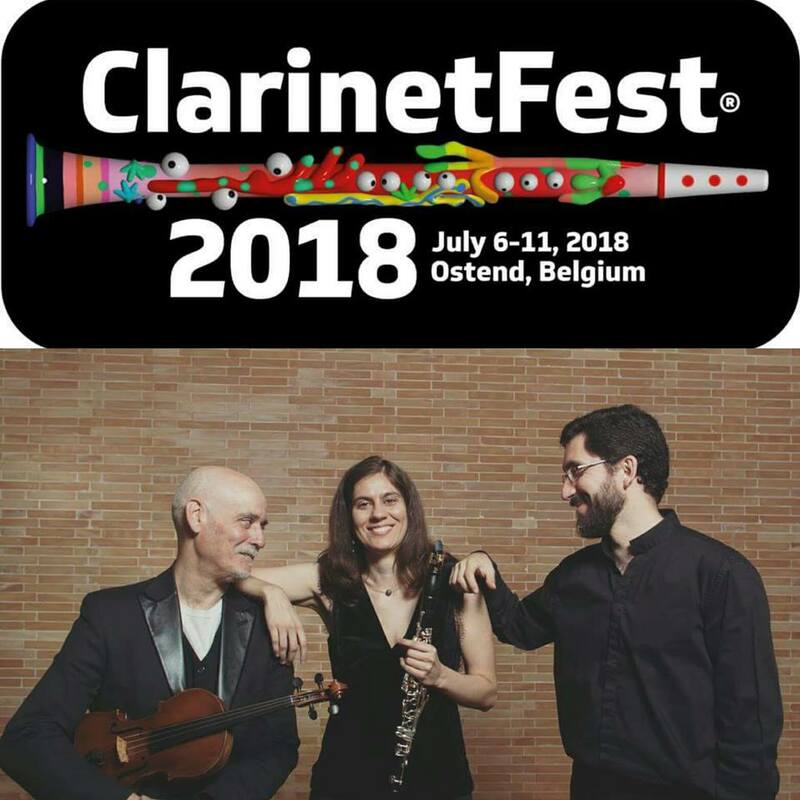 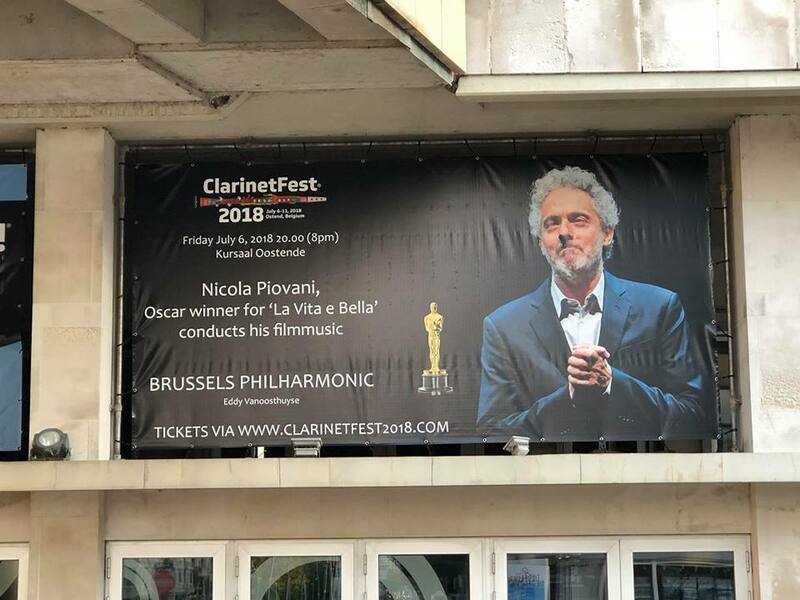 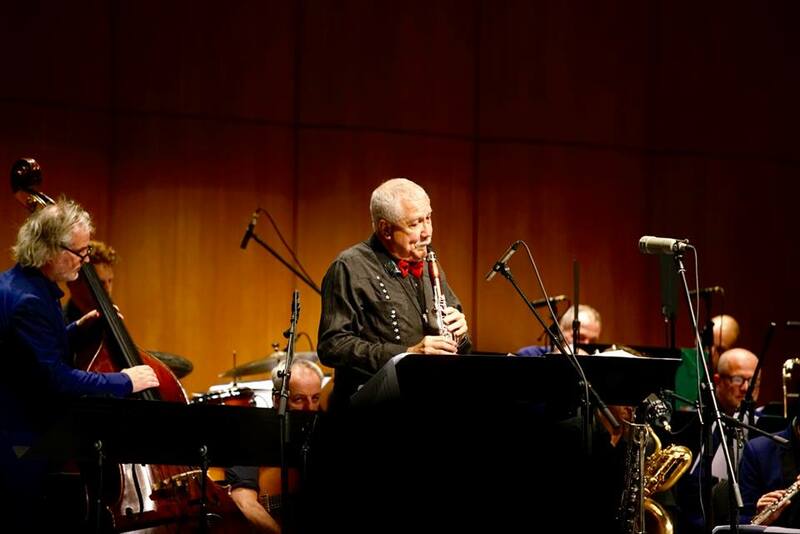 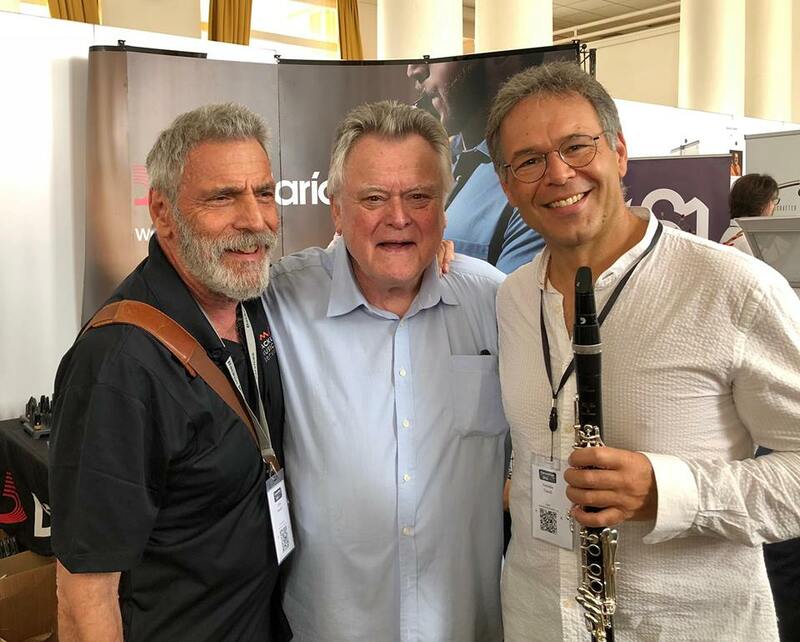 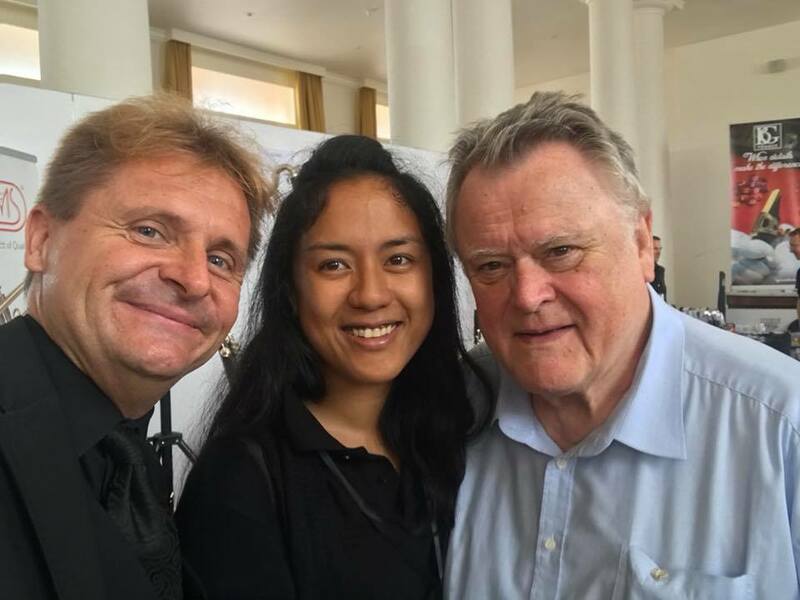 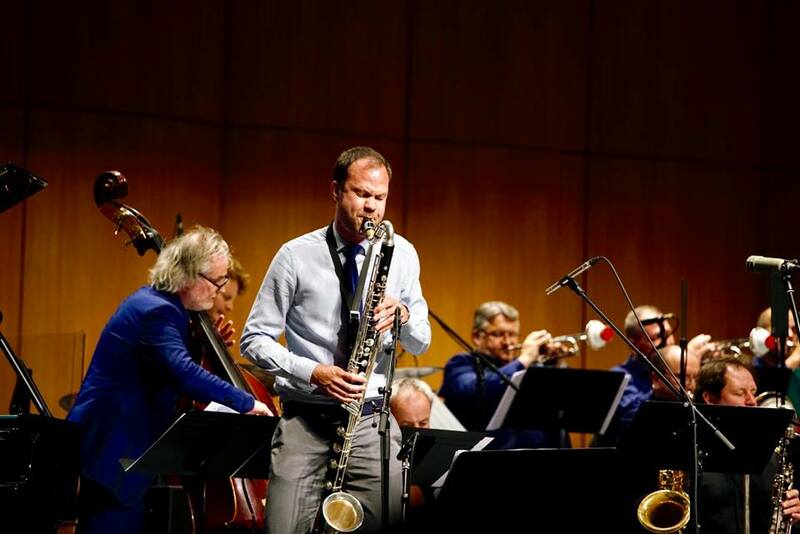 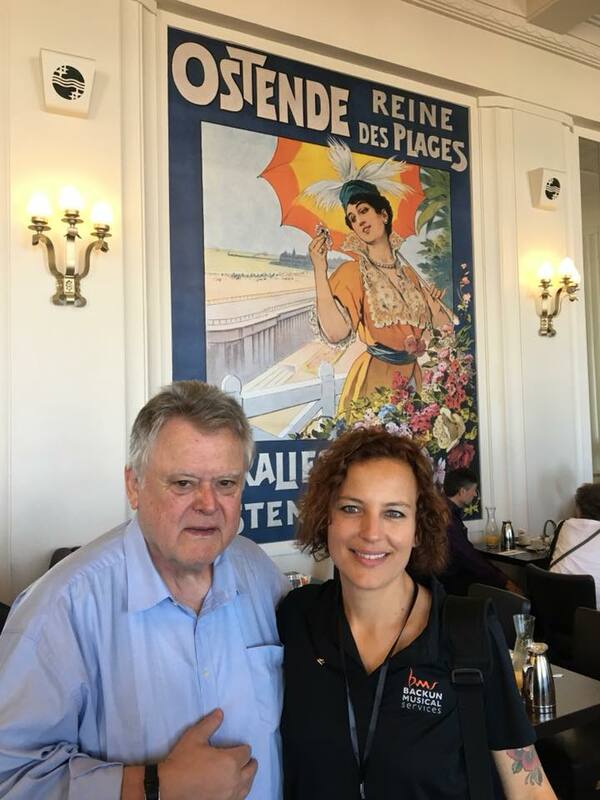 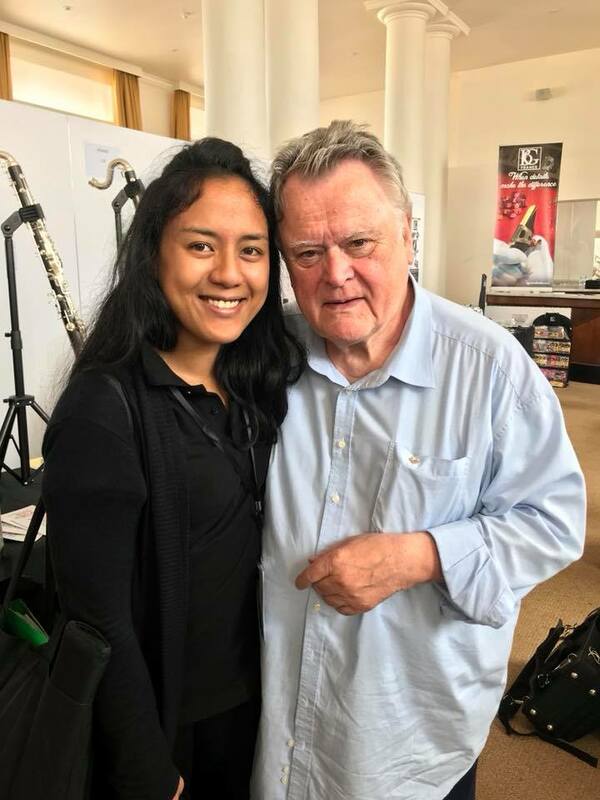 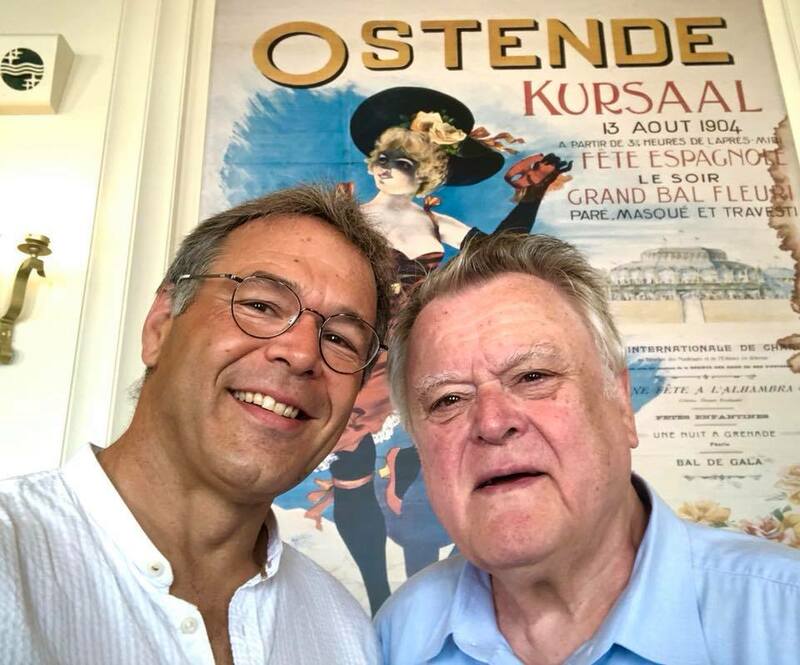 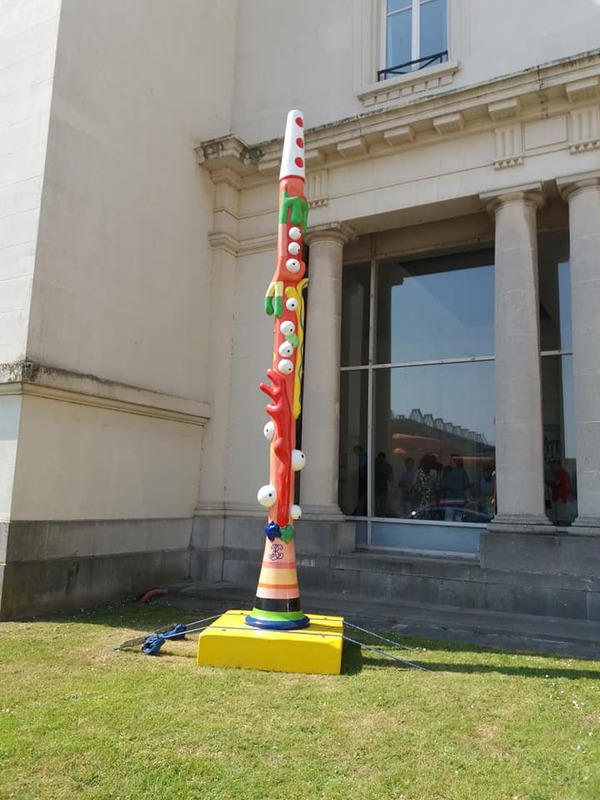 Karel Dohnal is a laureate of international clarinet competitions, such as Prague Spring, Premio Valentino Bucchi in Rome, Dos Hermanas in Spanish Seville, Pacem in Terris in Bayreuth or Young Artist Competition in Belgian Ostend. 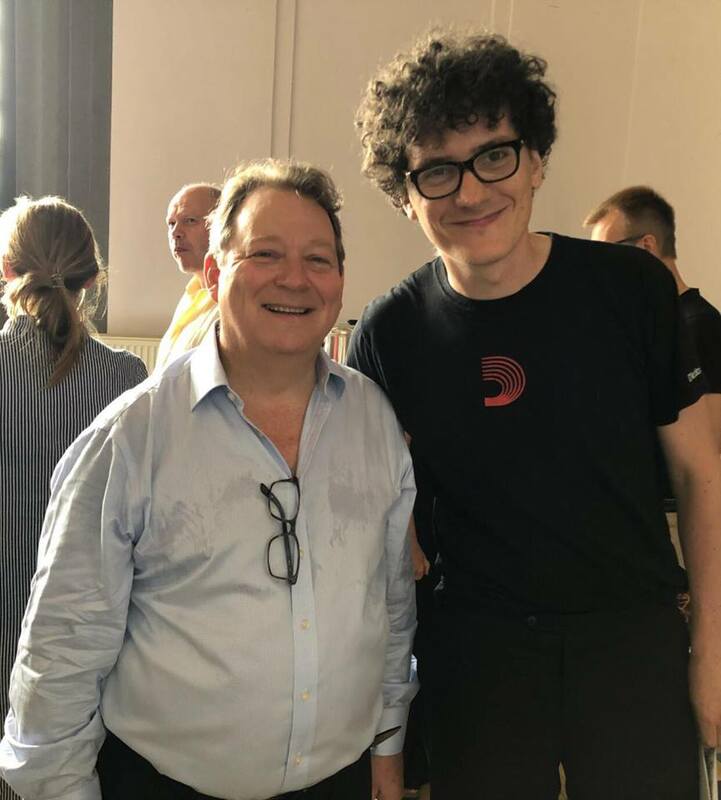 Karel Dohnal graduated from the Conservatory in Ostrava (Petr Bohus) and from the Academy of Performing Arts in Prague (Vlastimil Mares). 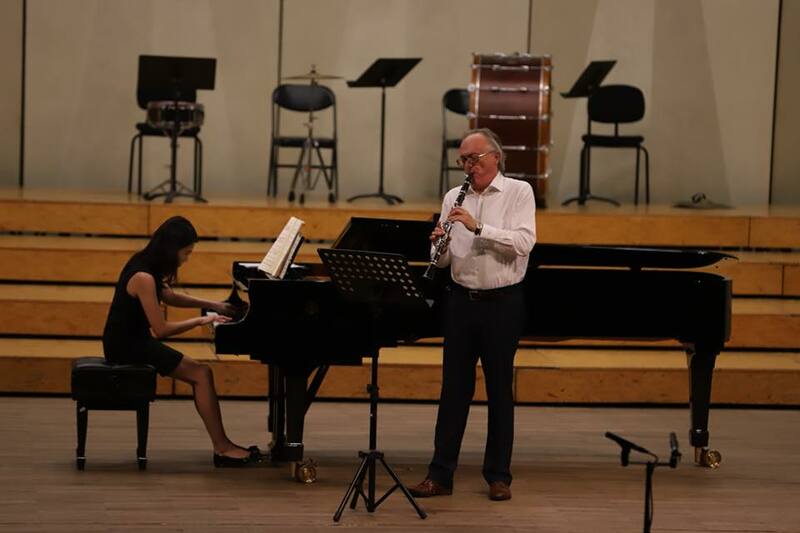 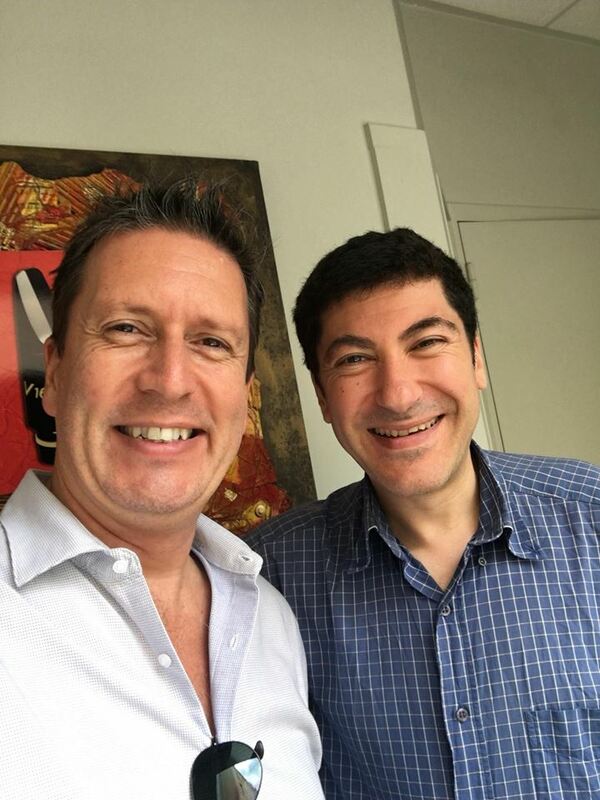 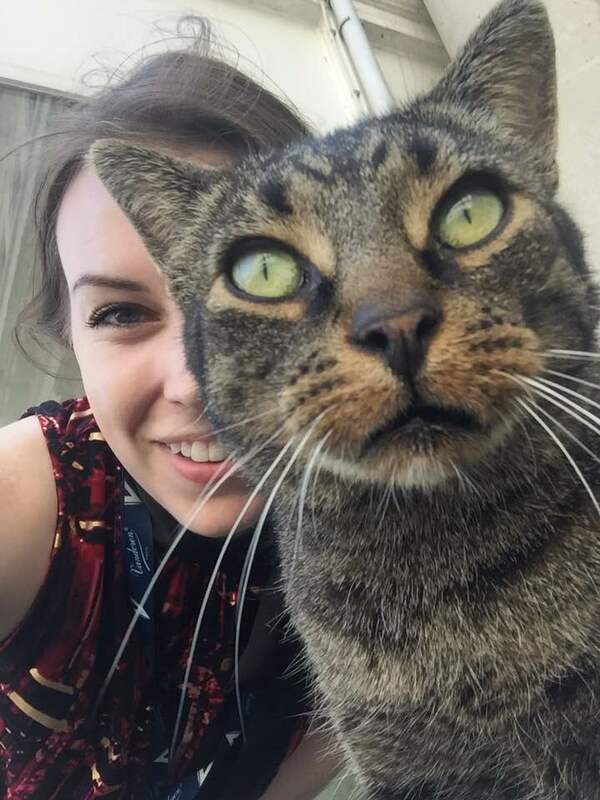 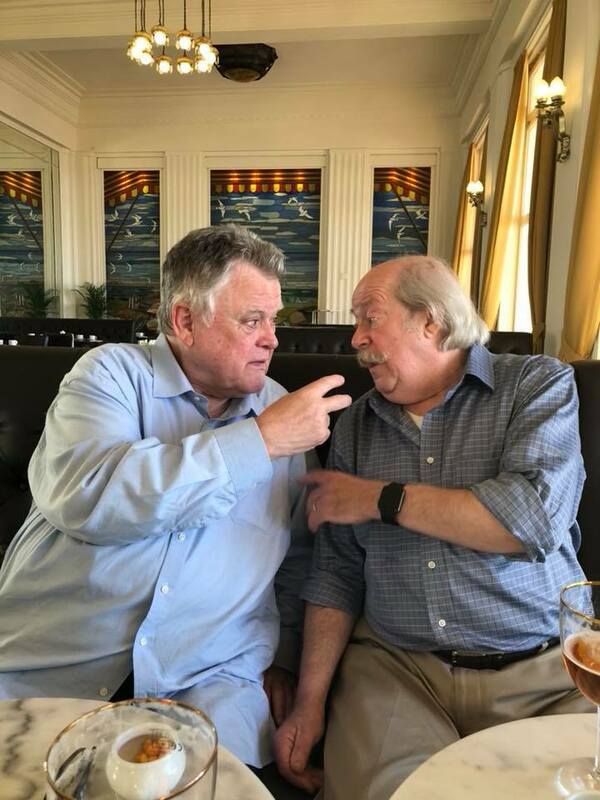 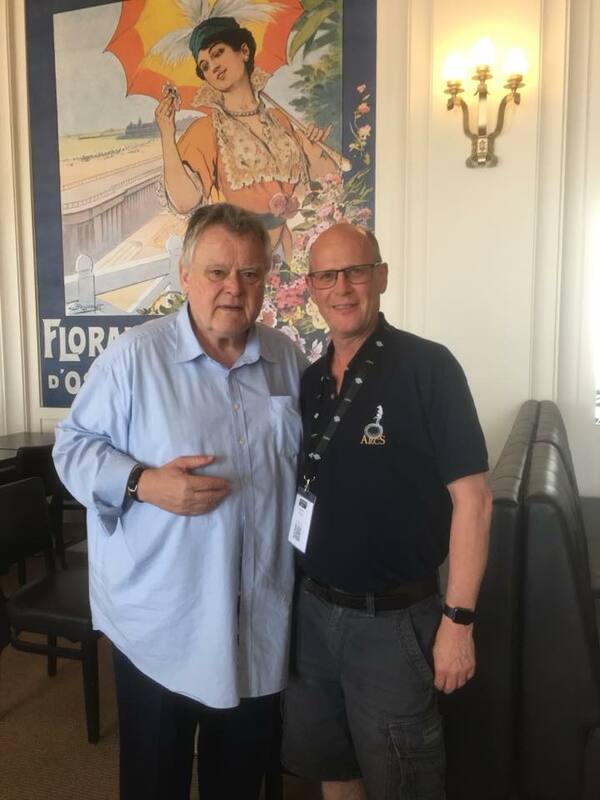 He continued his studies at Guildhall School of Music and Drama in London (Thea King, Julian Farrell, Joy Farrall), Universität der Künste in Berlin (Francois Benda), Rimsky-Korsakov Saint Petersburg Conservatory (Valery Bezruchenko) and at the Conservatory in Hilversum (Henk de Graaf). 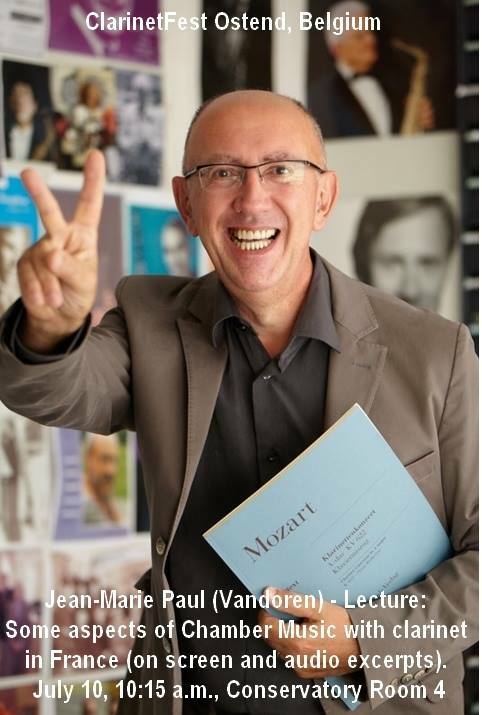 Karel Dohnal is also a co-founder of the International master class courses in Ostrava. 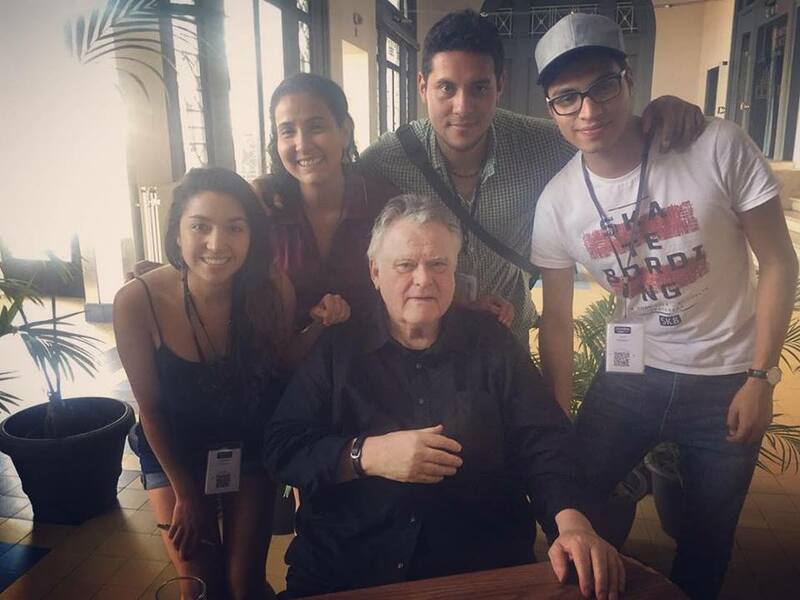 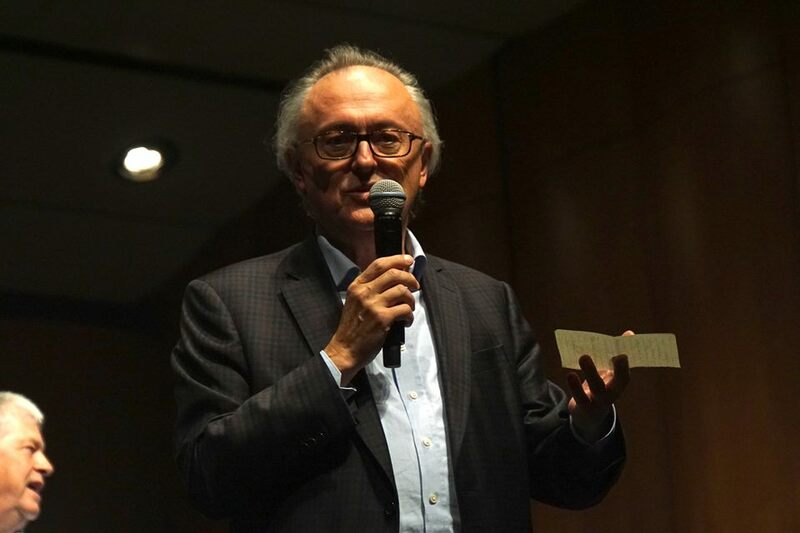 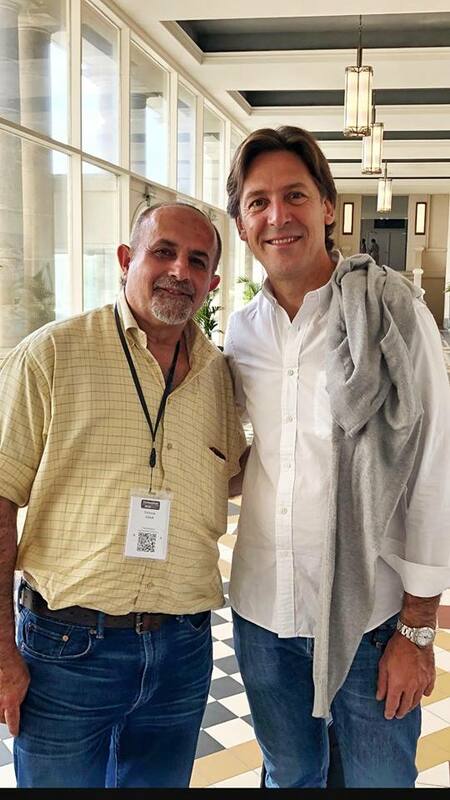 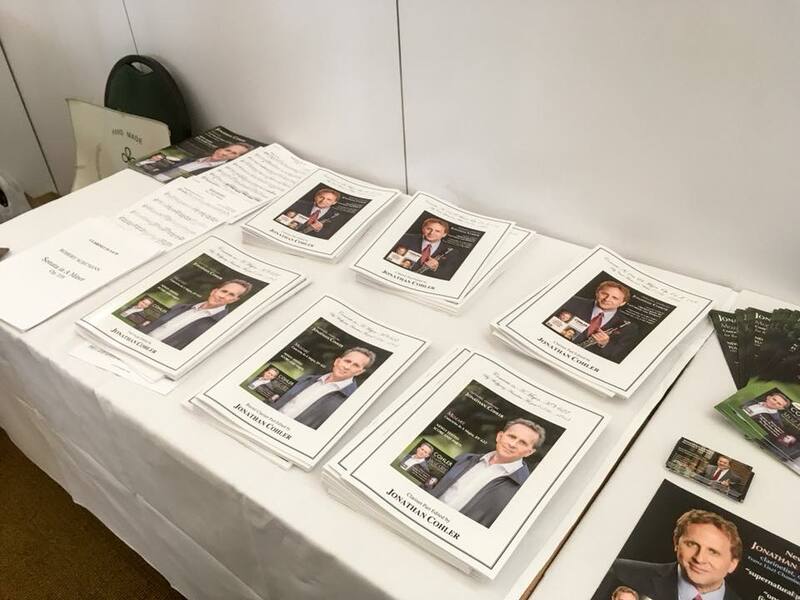 At the same time, he is also frequently invited as a lector to a variety of interpretive seminars all over the world.